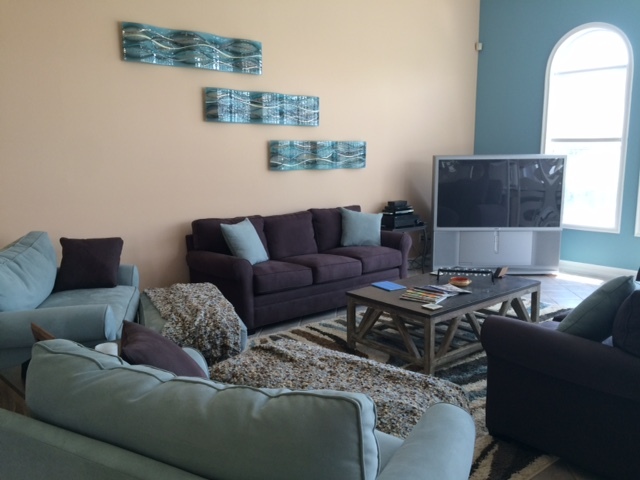 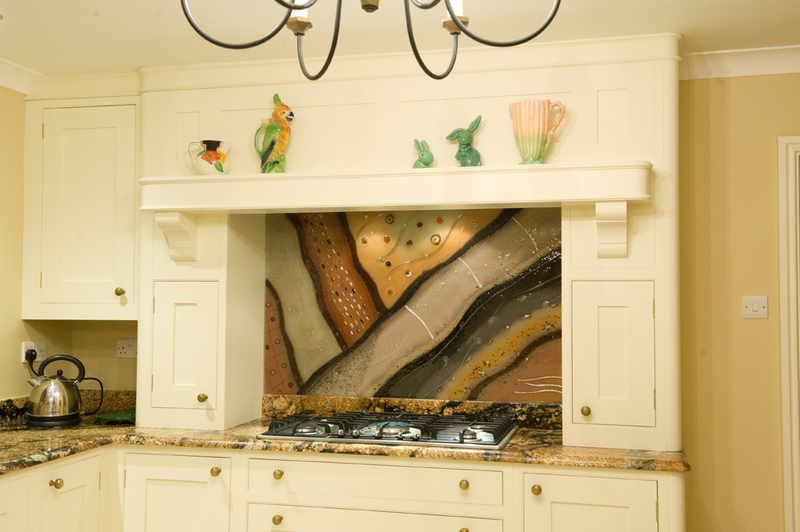 Are you having a little difficulty getting the look of your home just right? 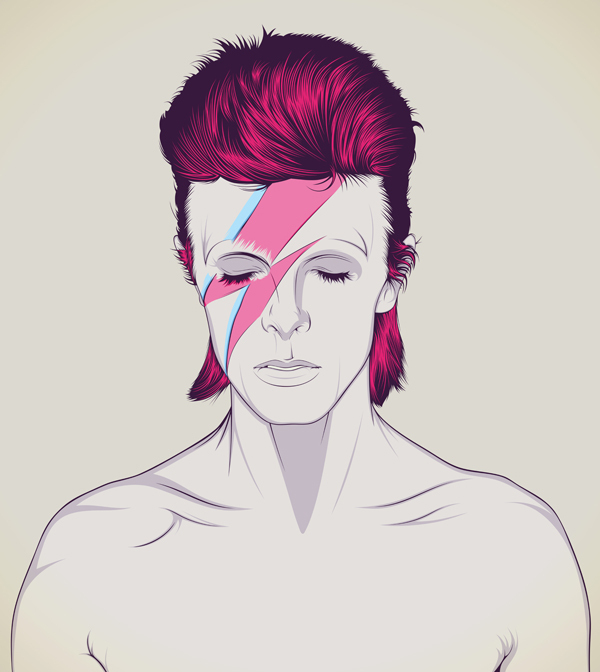 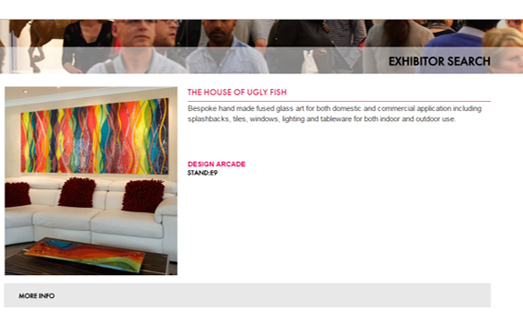 We here at the House of Ugly Fish know all too well that it can be difficult to find art that you truly love, and it can take few tries to find something with staying power – especially if you’re building a theme in your home or aiming for a specific style in a certain room. 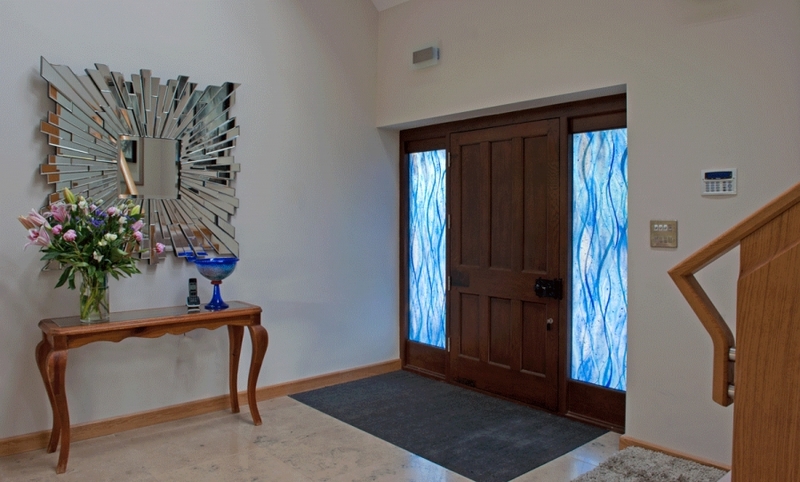 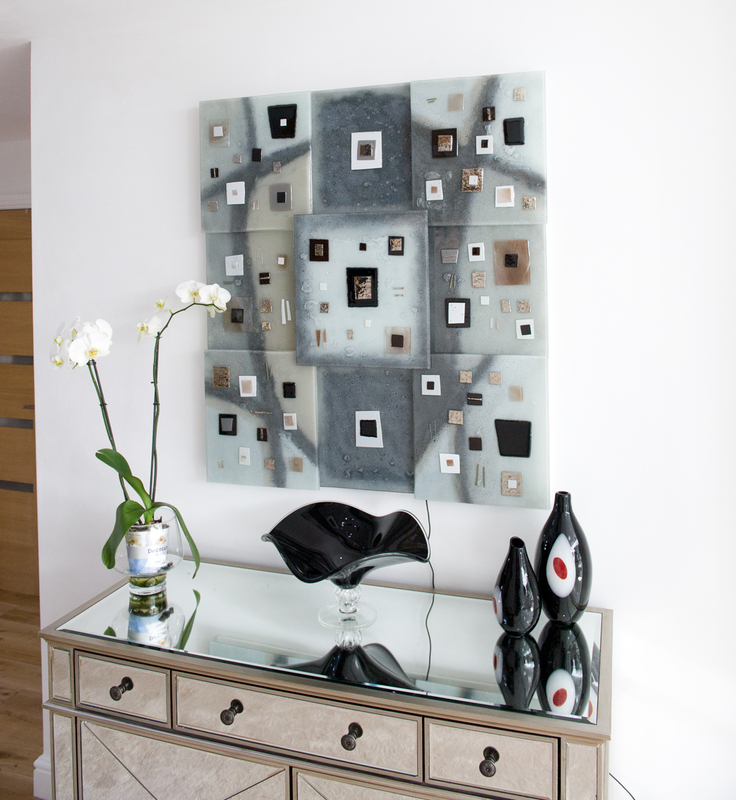 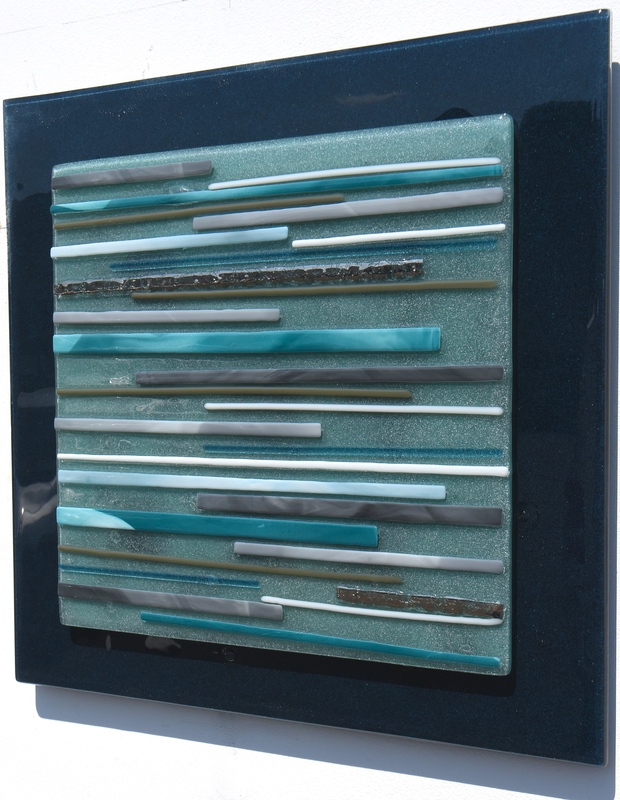 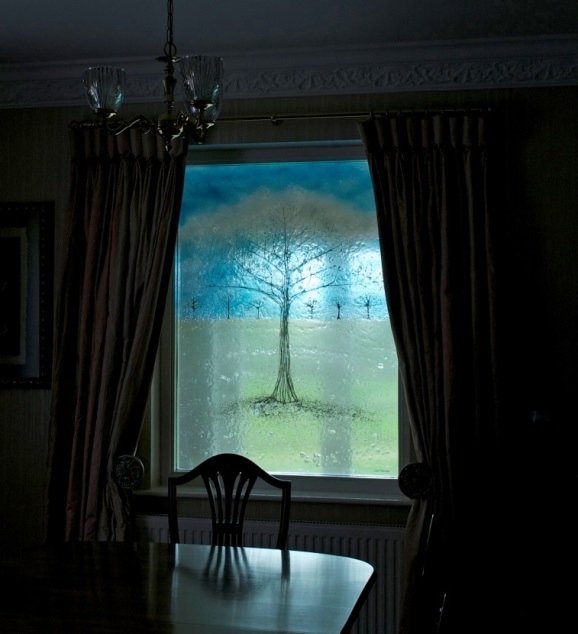 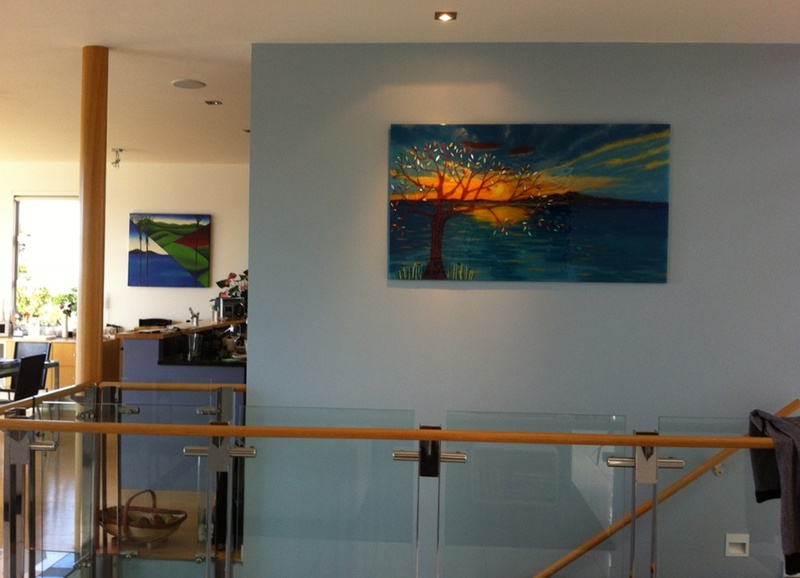 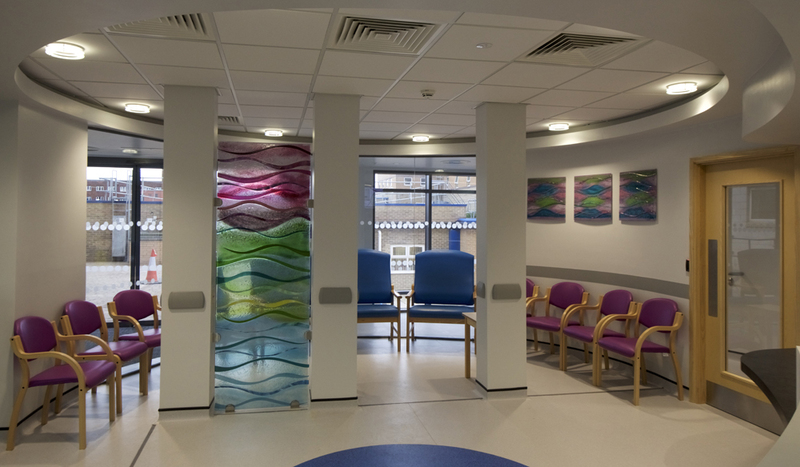 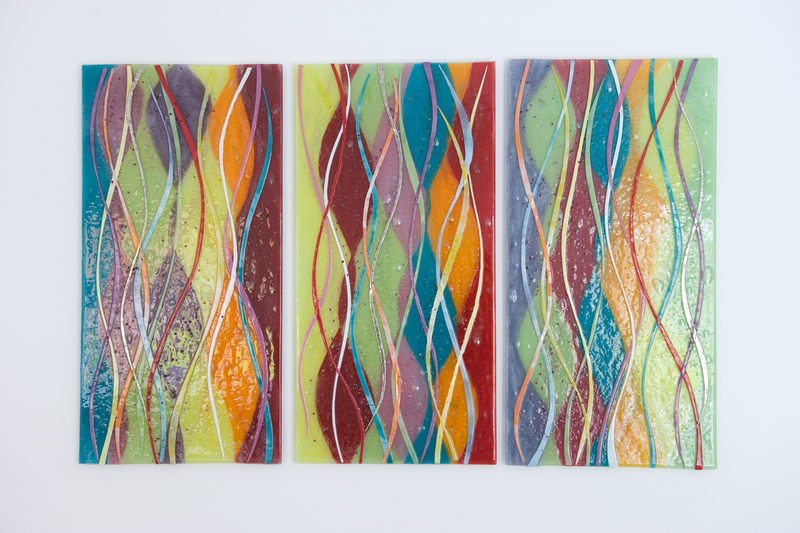 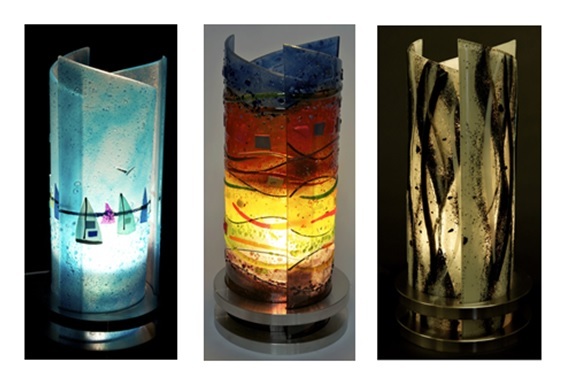 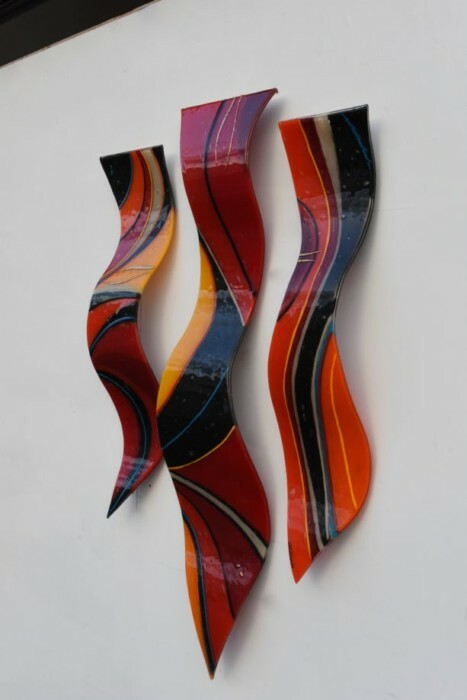 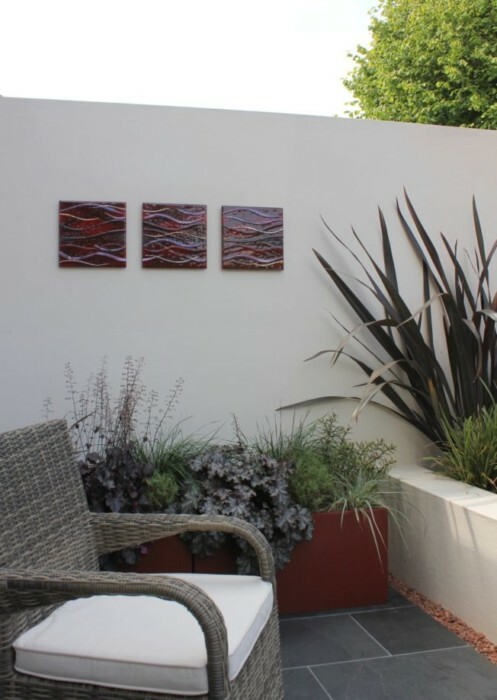 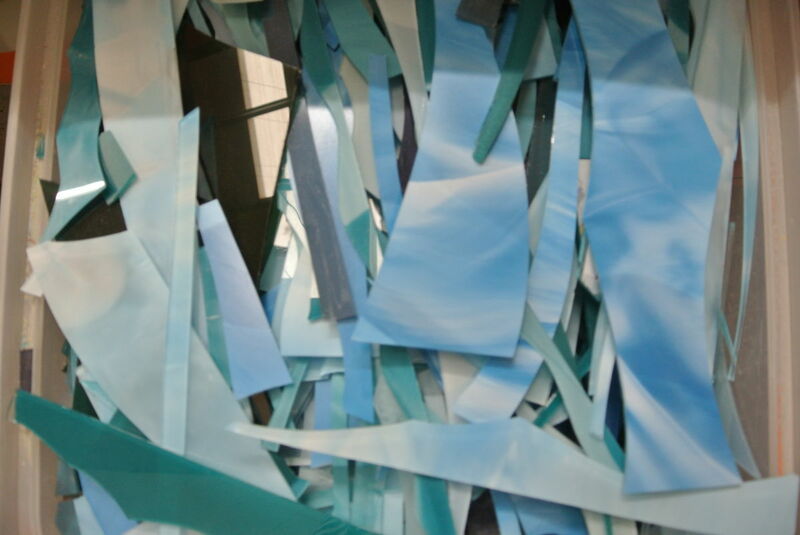 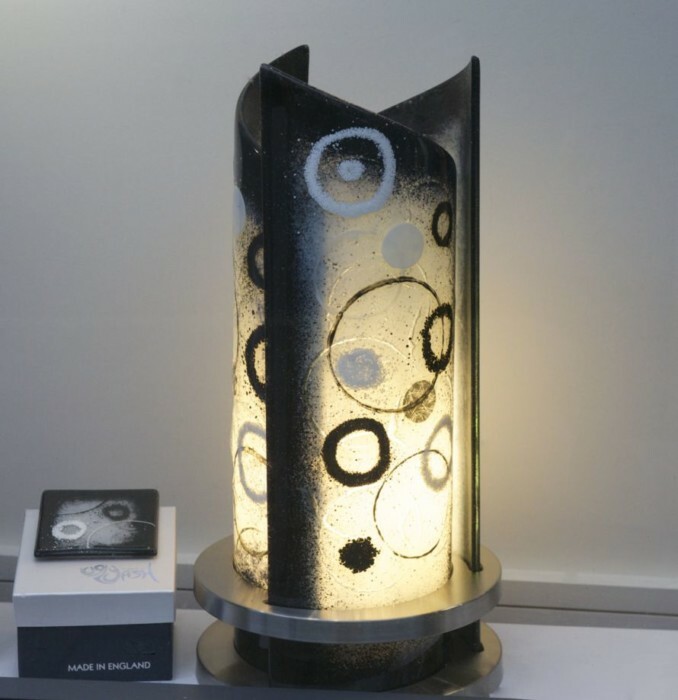 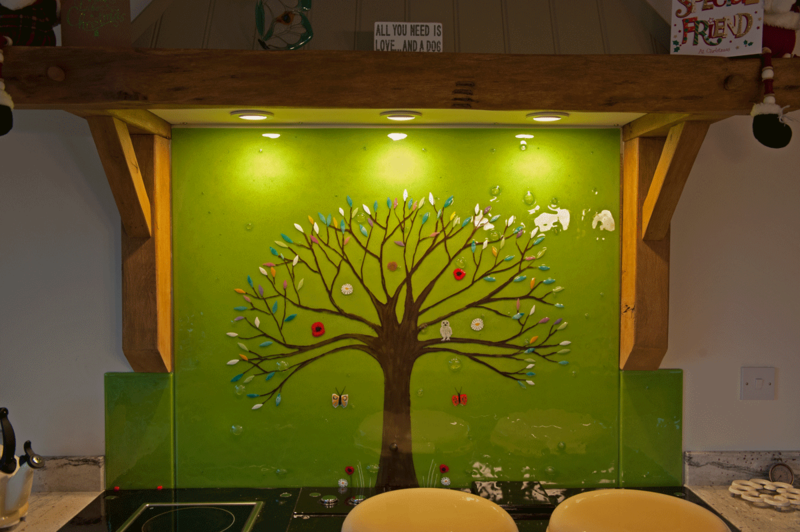 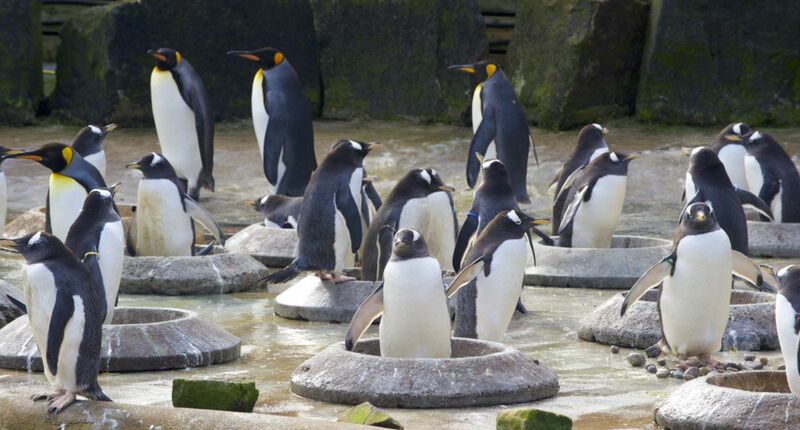 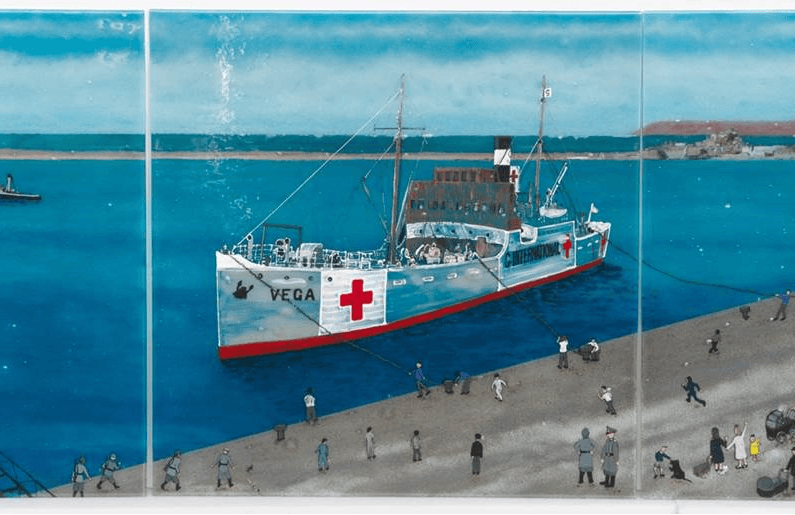 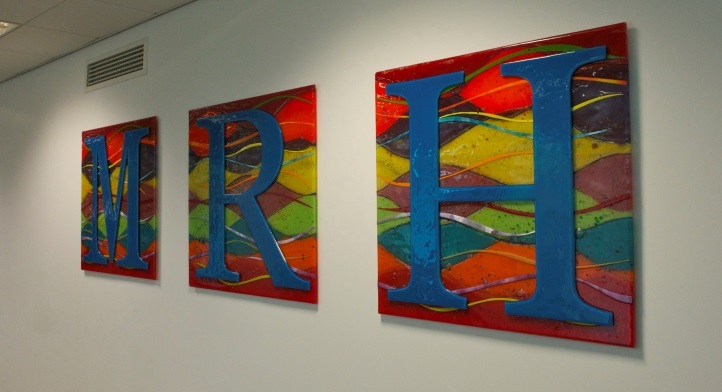 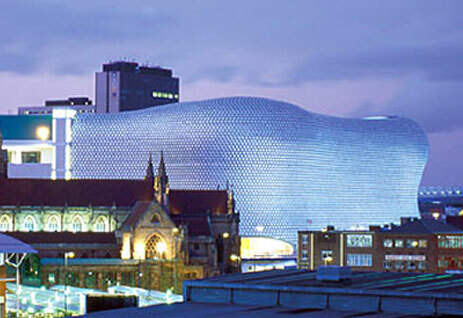 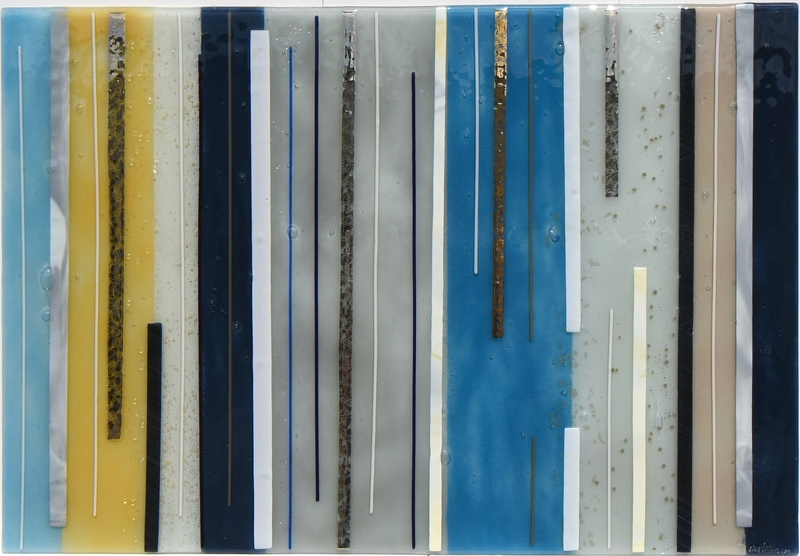 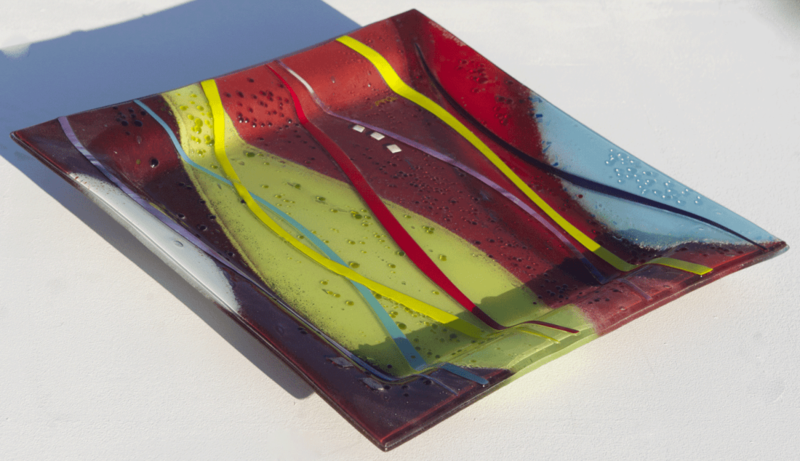 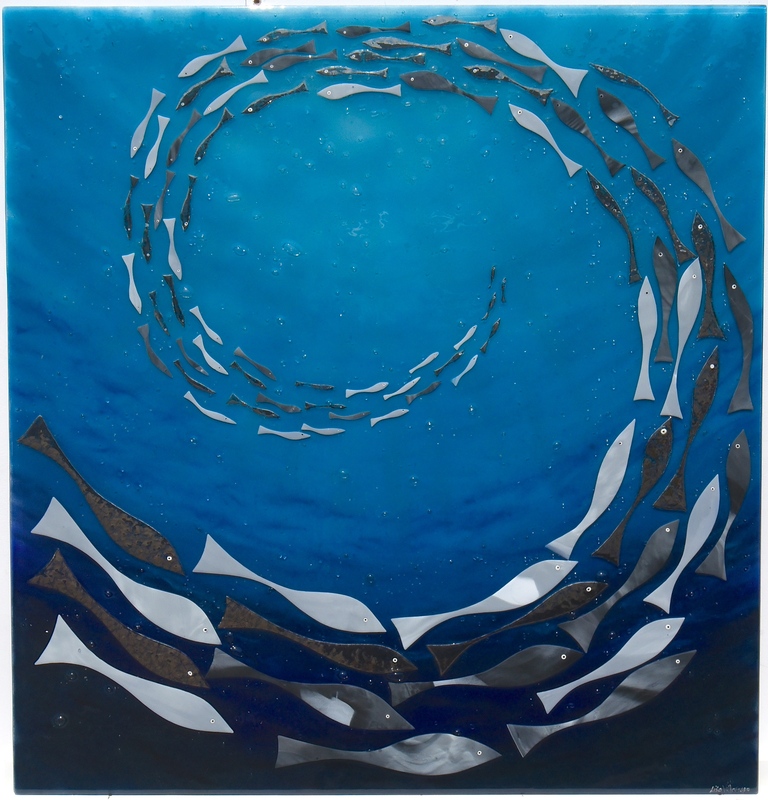 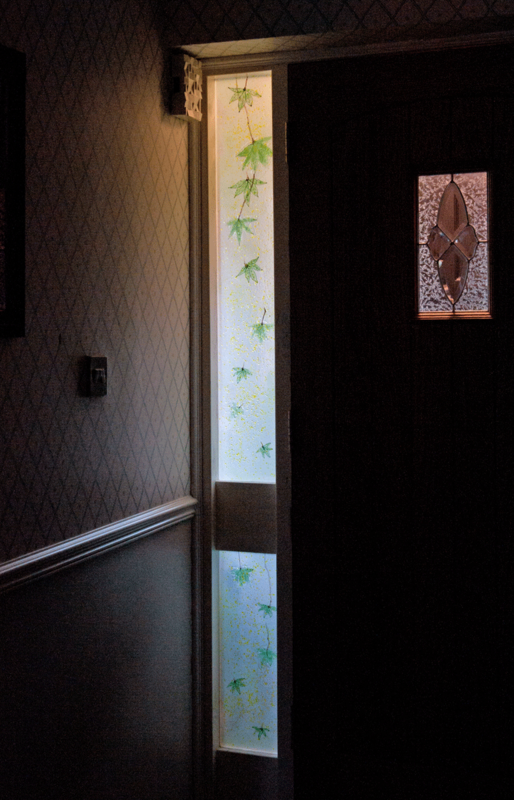 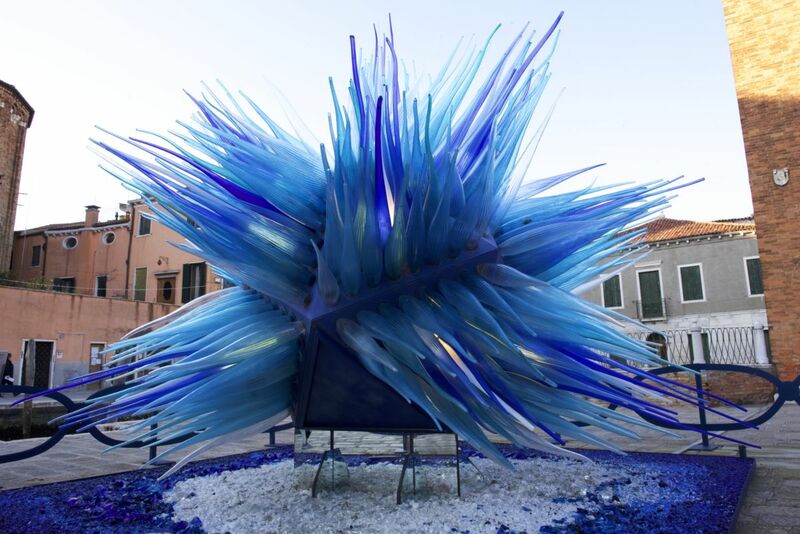 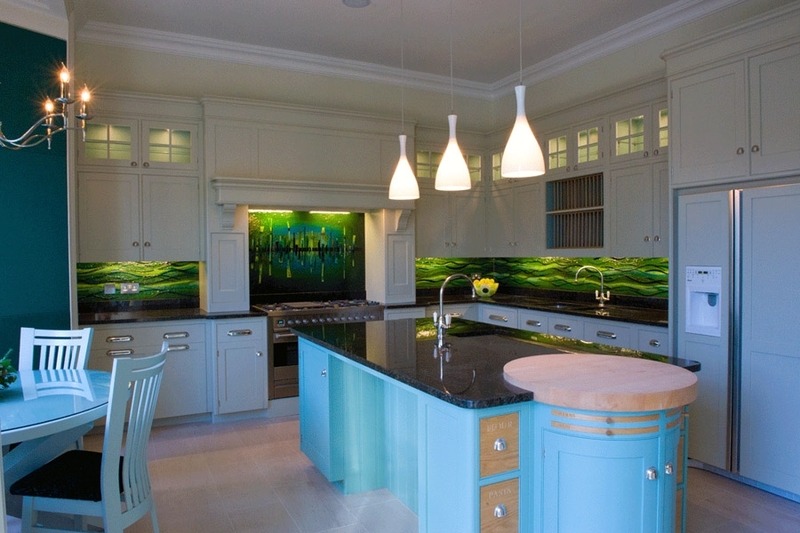 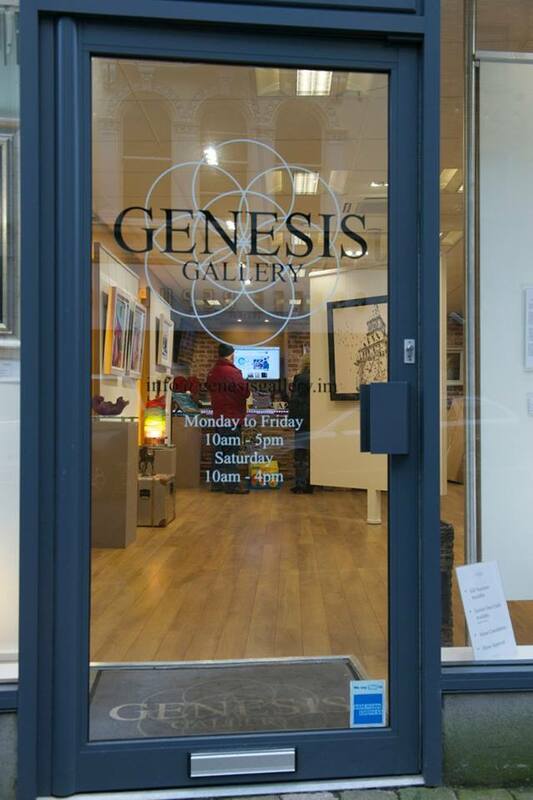 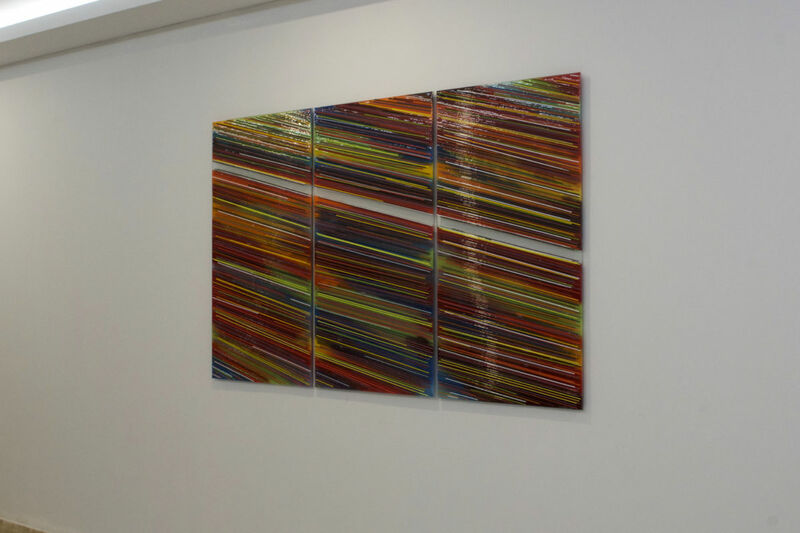 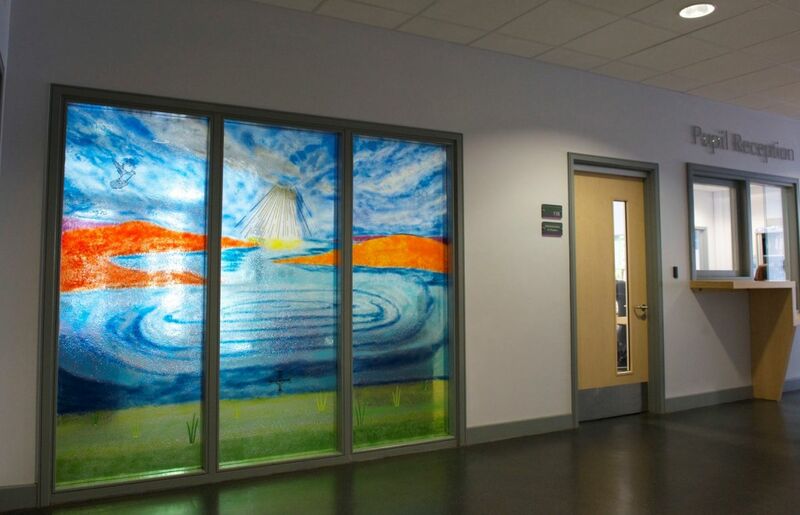 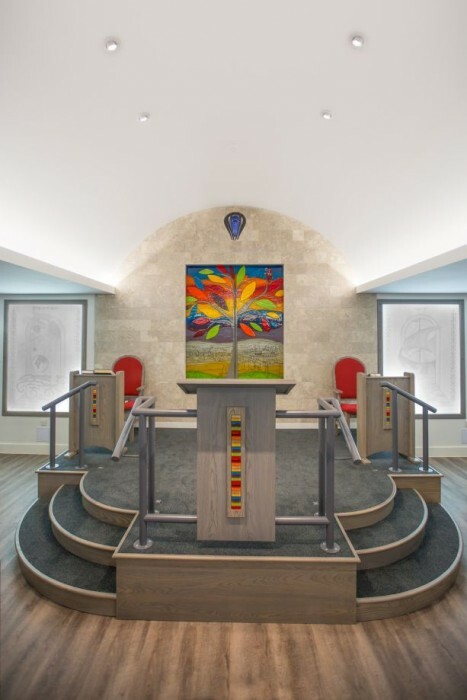 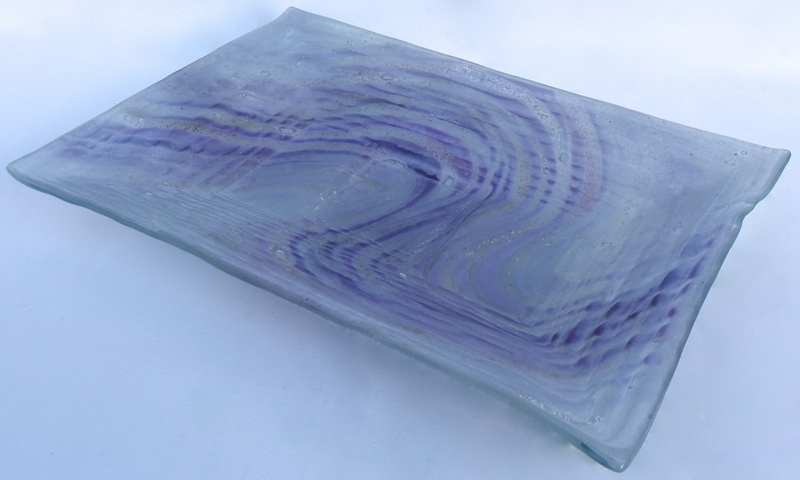 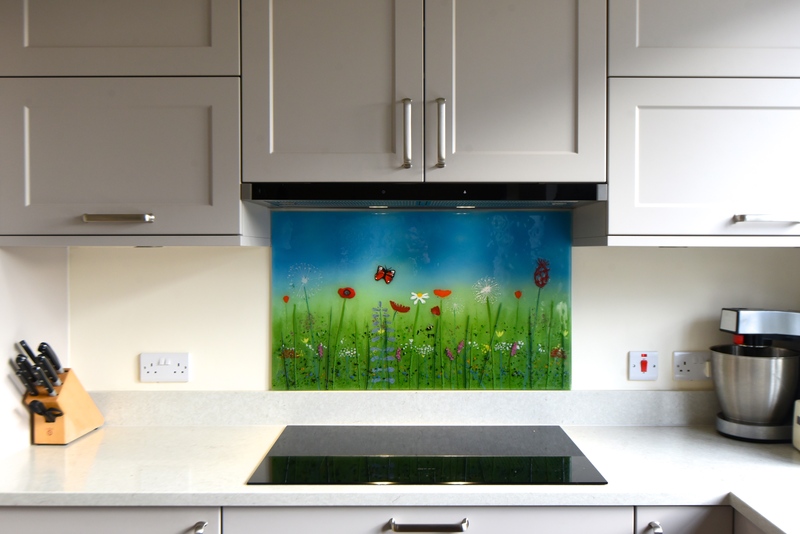 We’d love to help out, which is where our bespoke fused glass art comes into play! 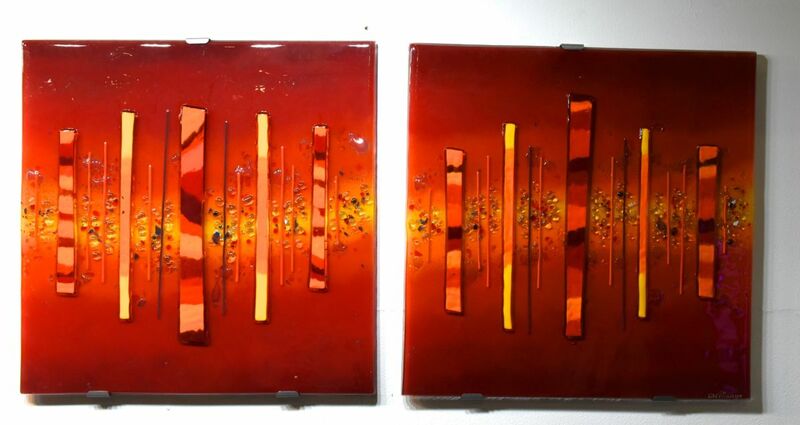 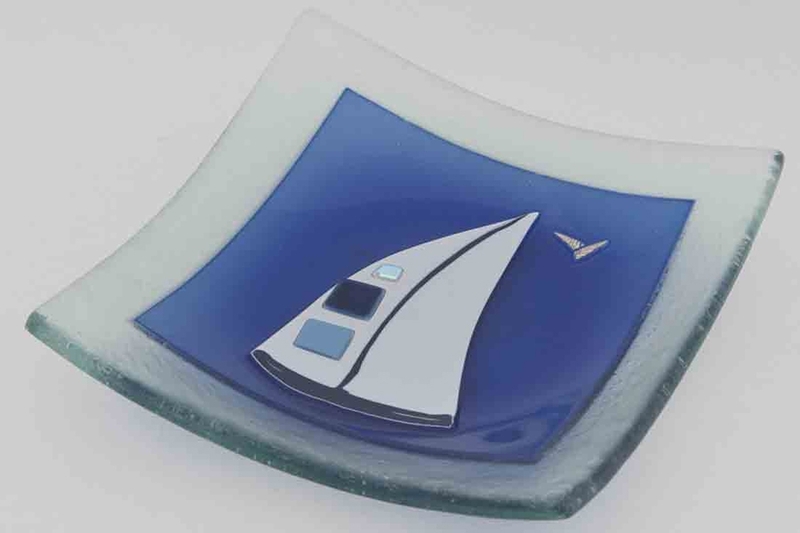 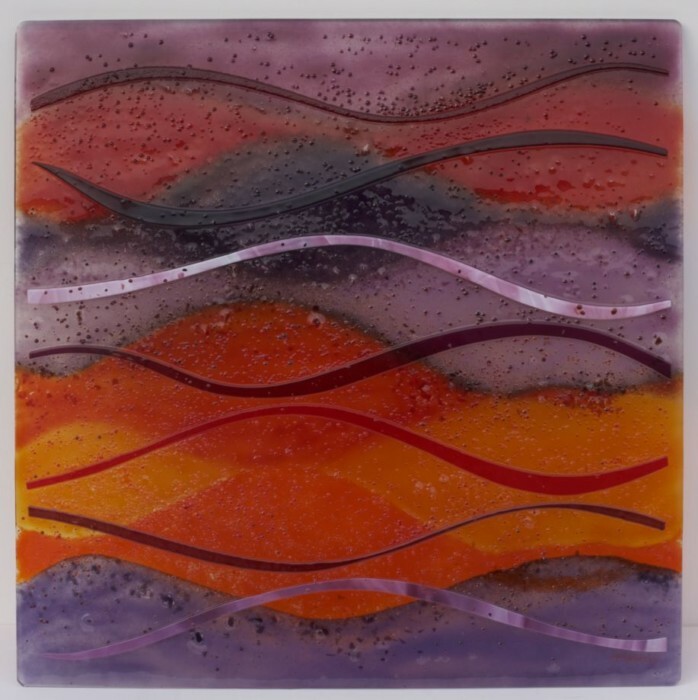 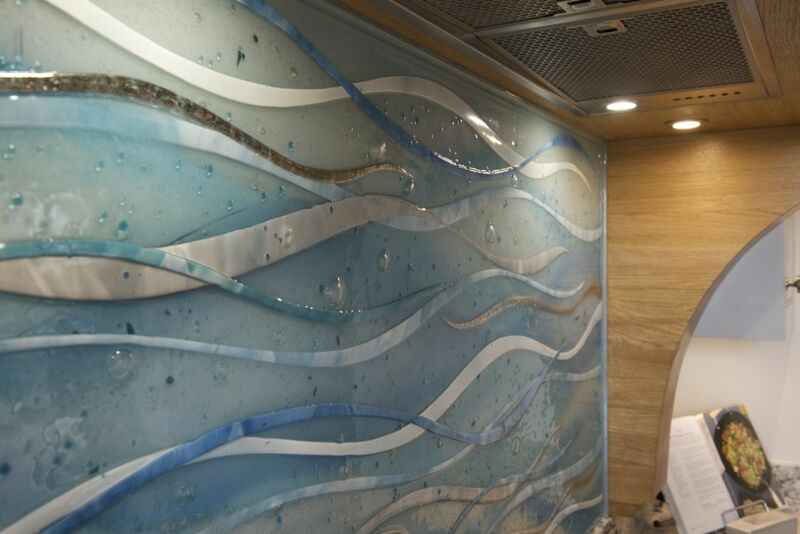 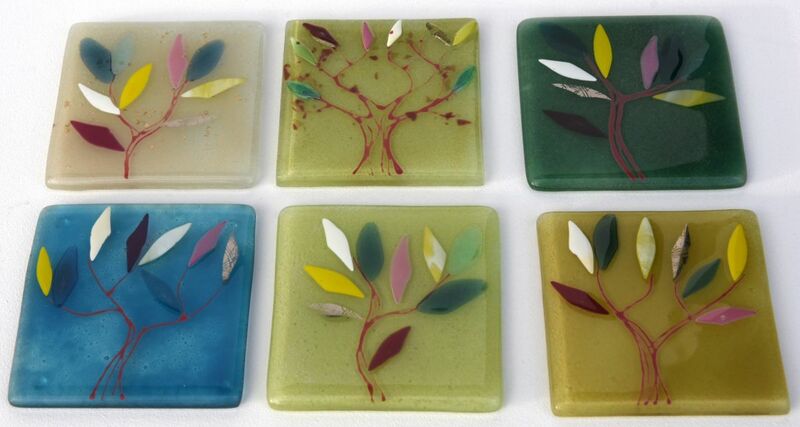 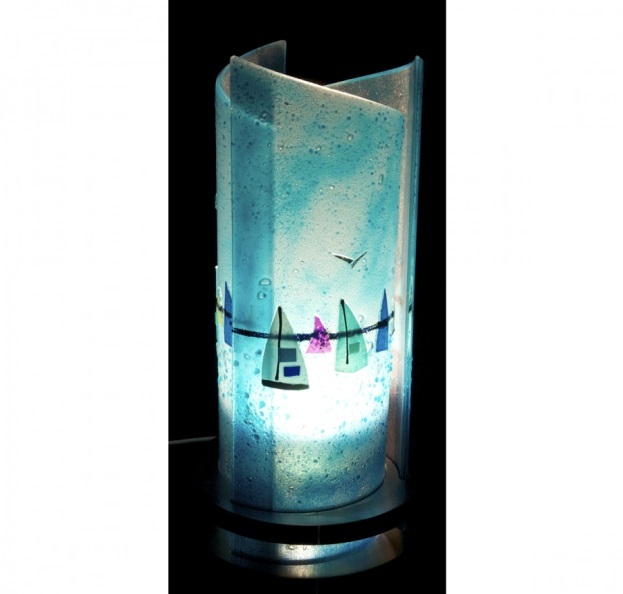 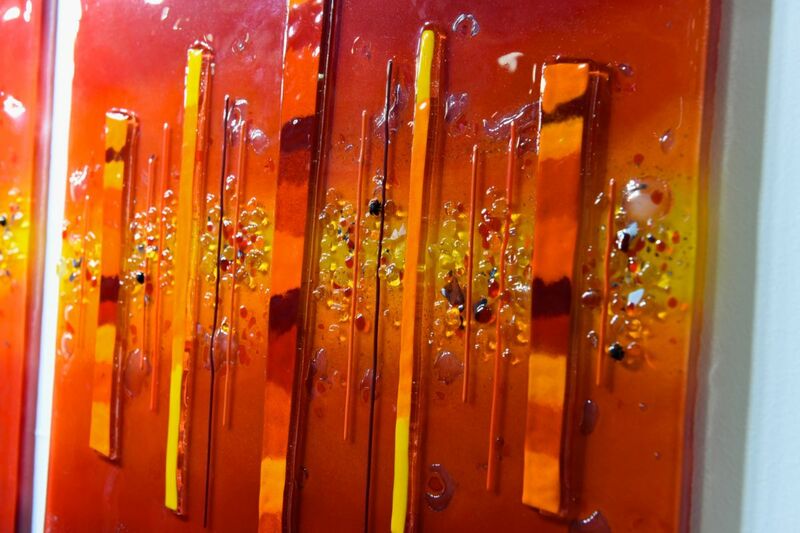 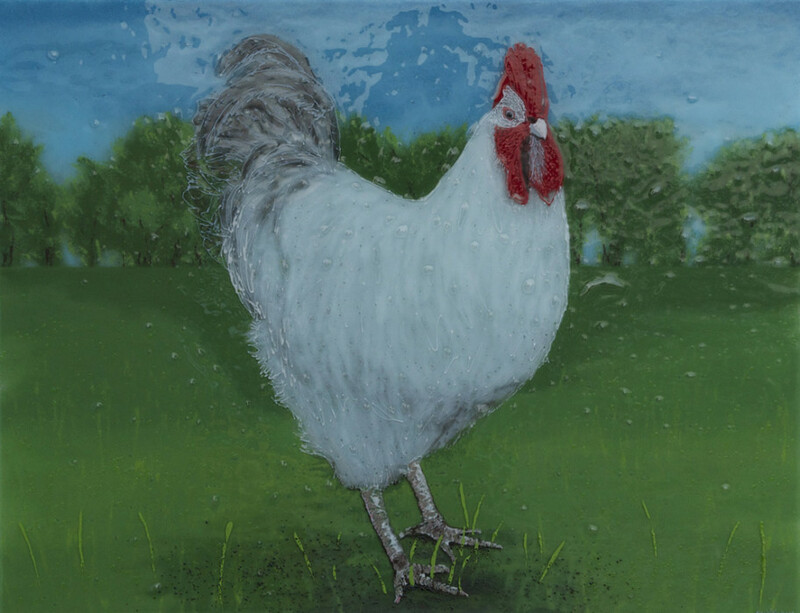 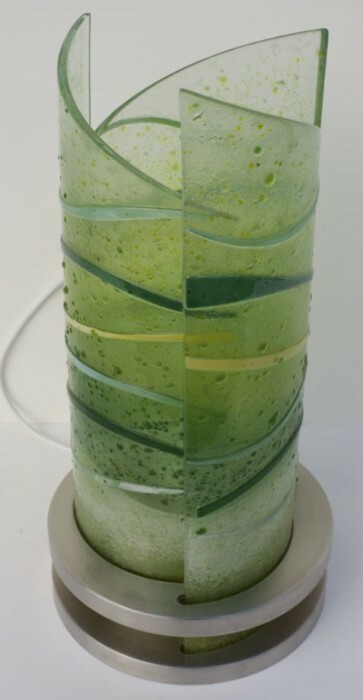 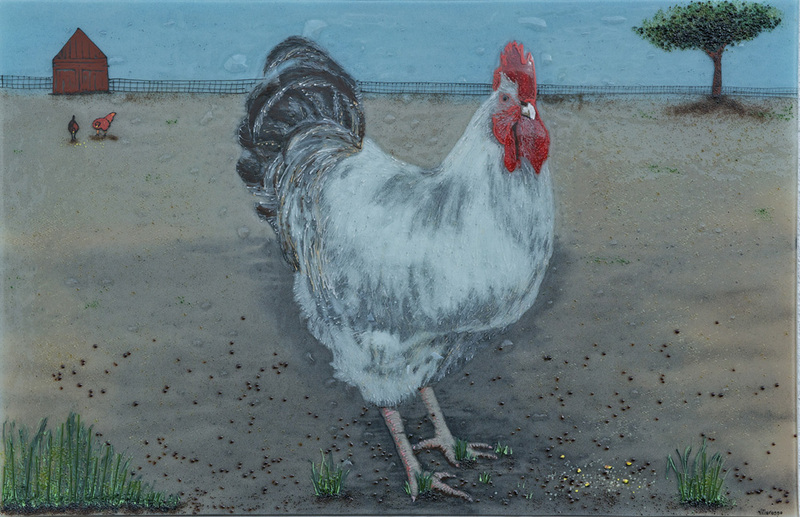 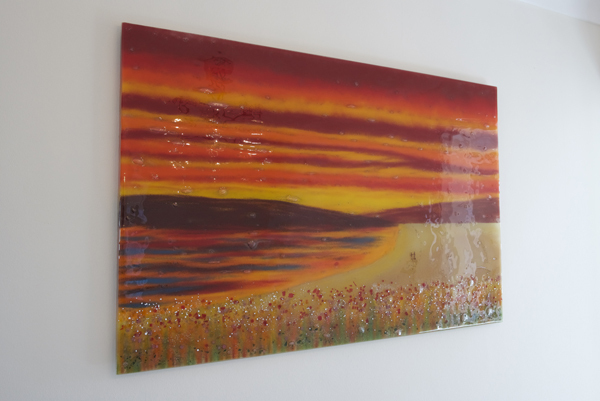 Picking up fused glass art gives you huge degrees more of creative control compared to traditional artwork. 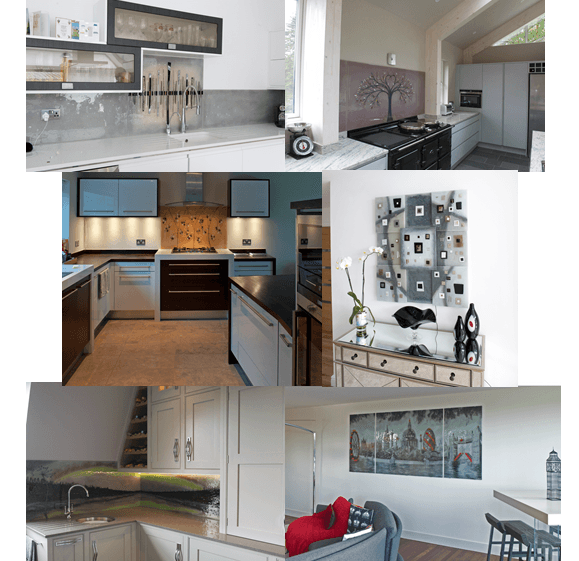 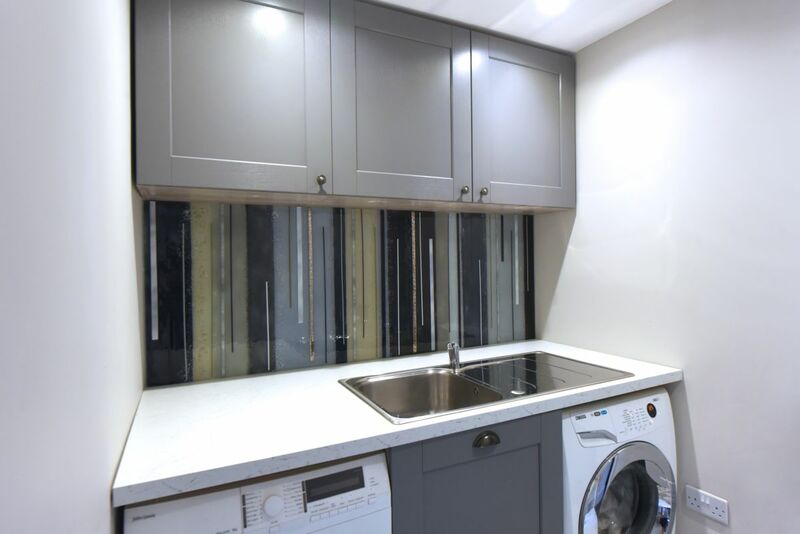 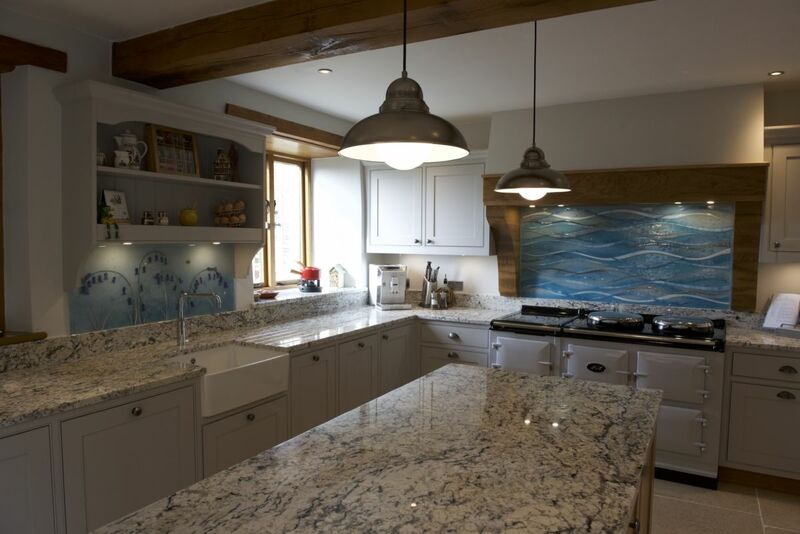 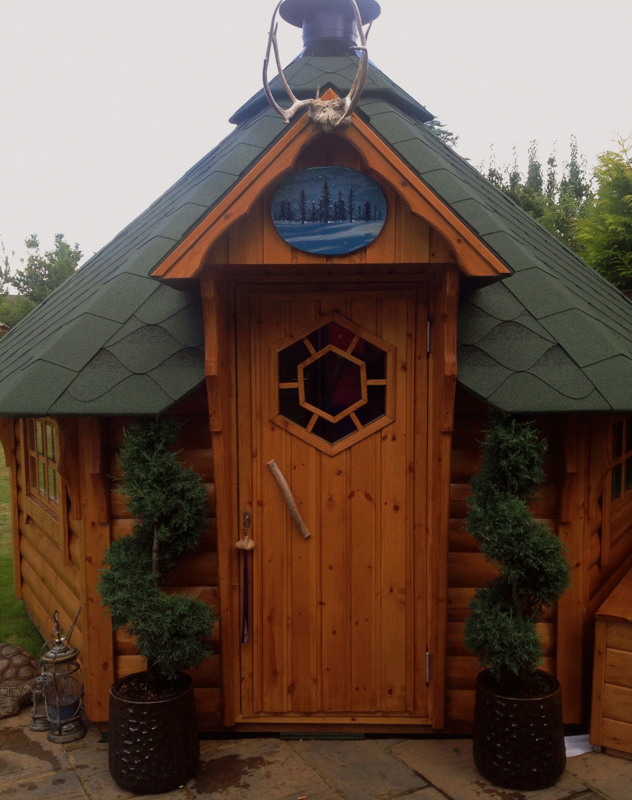 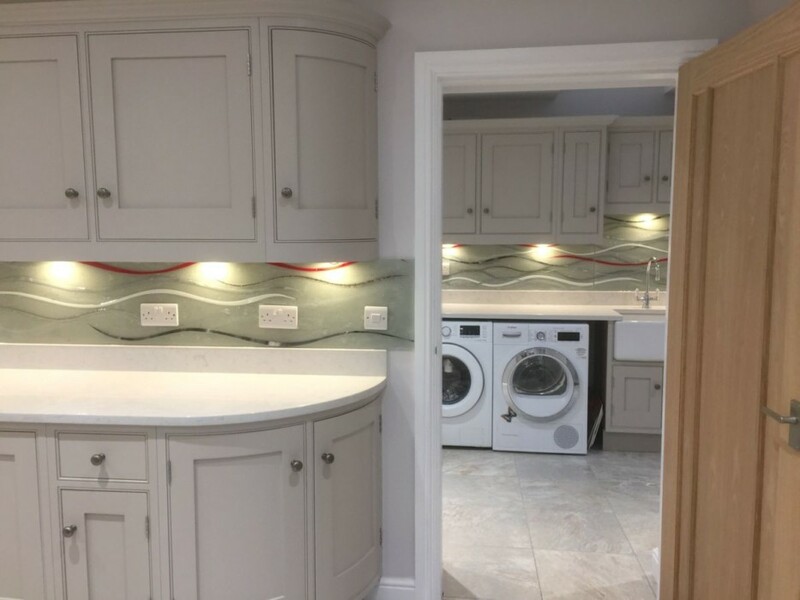 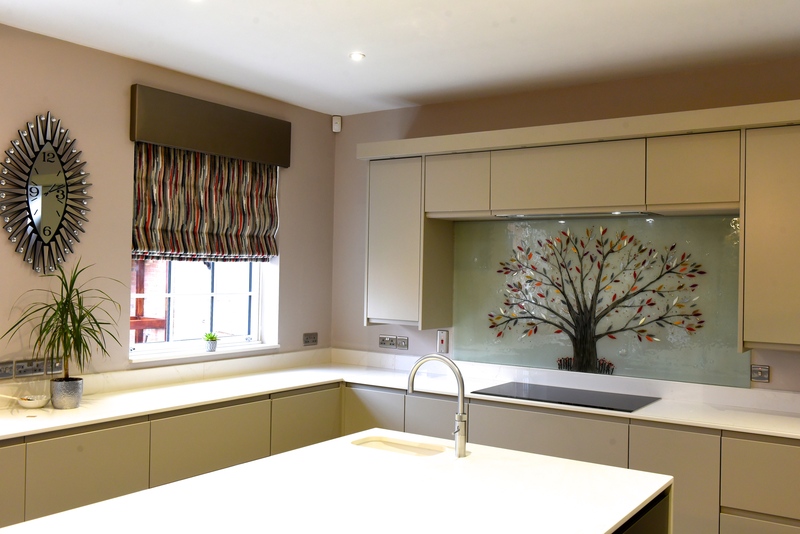 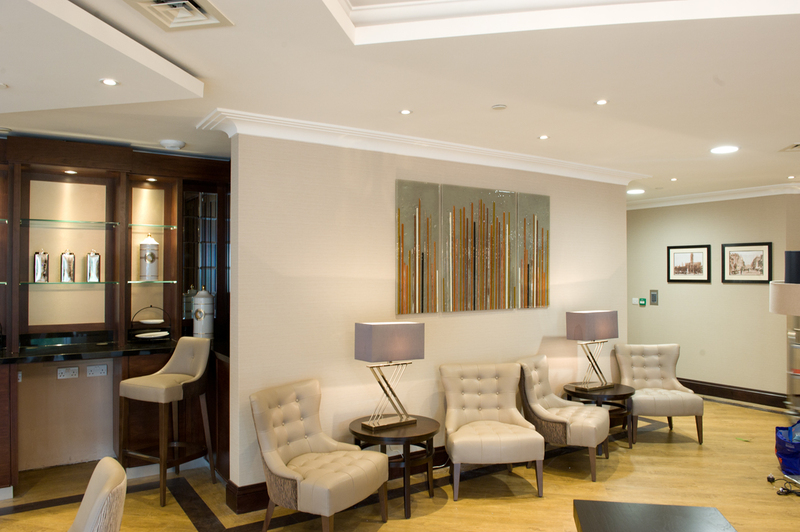 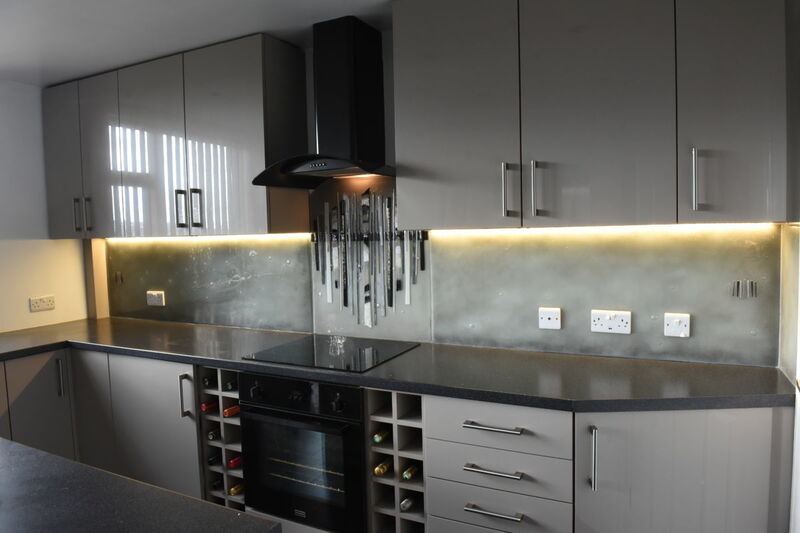 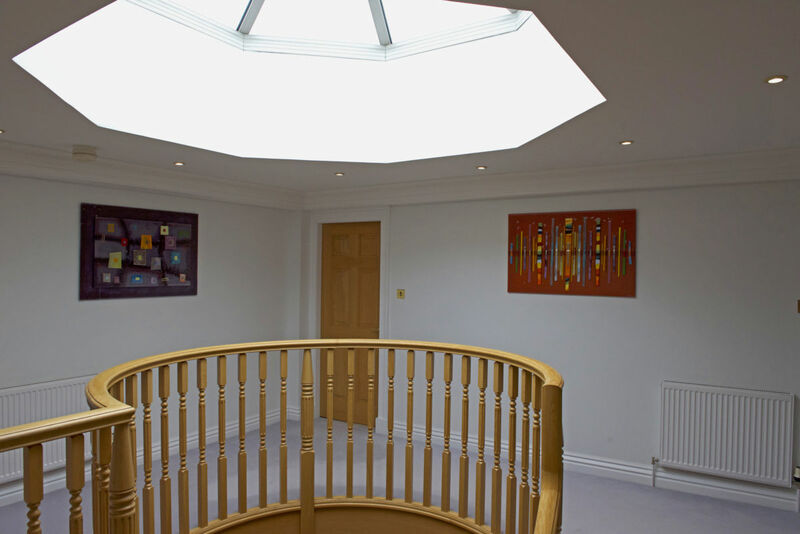 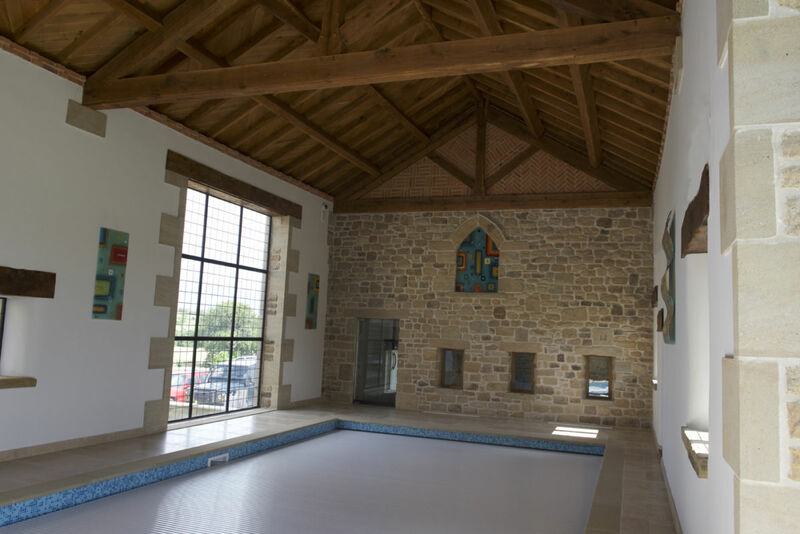 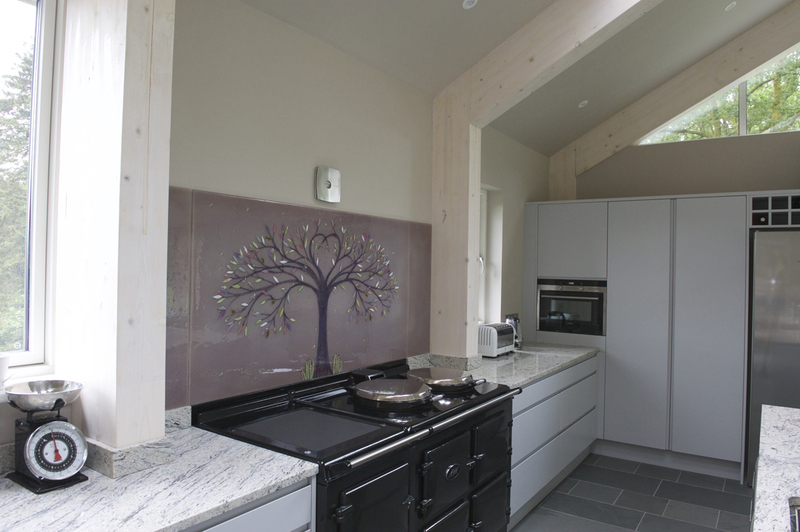 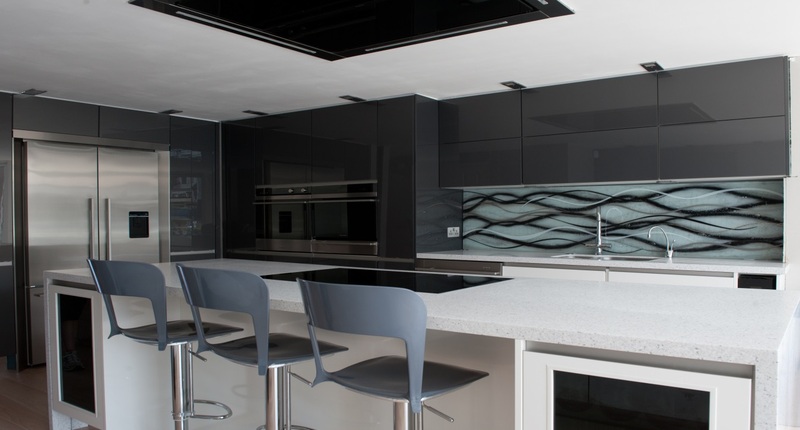 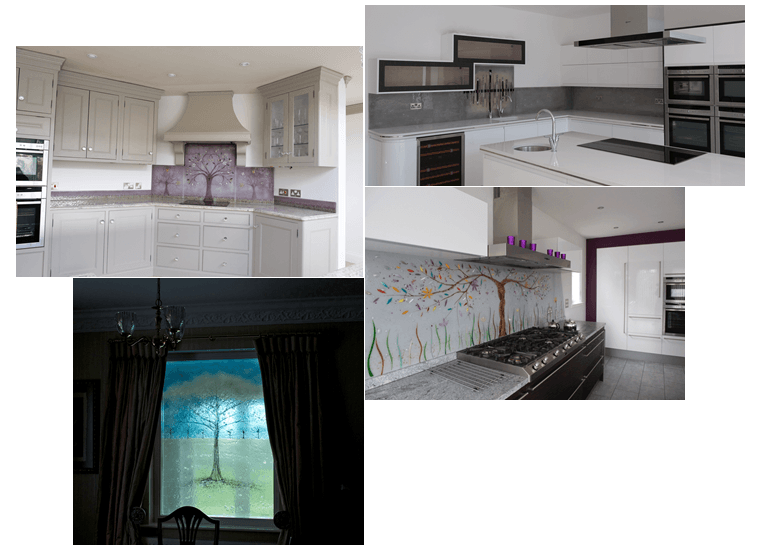 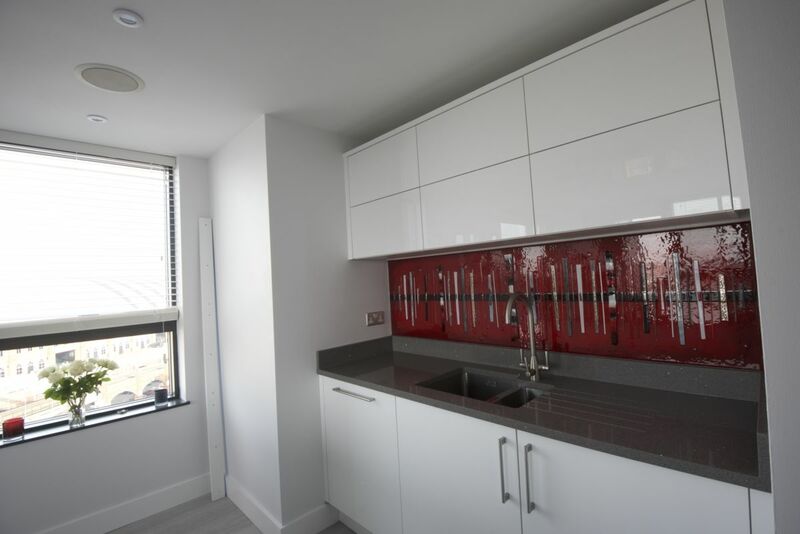 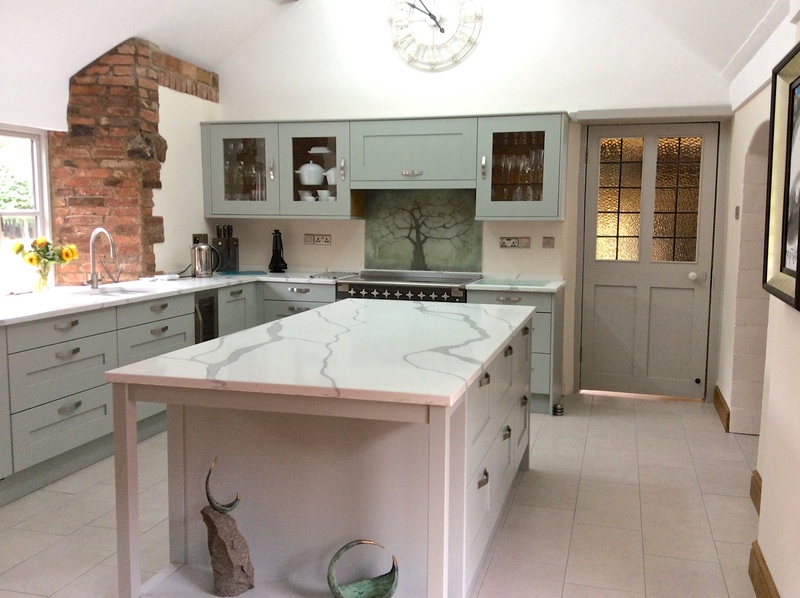 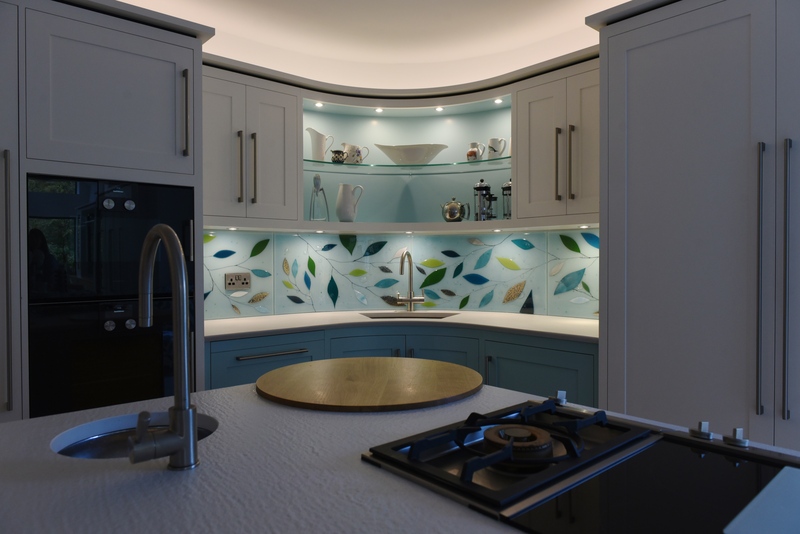 It’s your ideas that we base the design on, after all, so the end result is always a bespoke, tailored product that matches the space you had in mind. 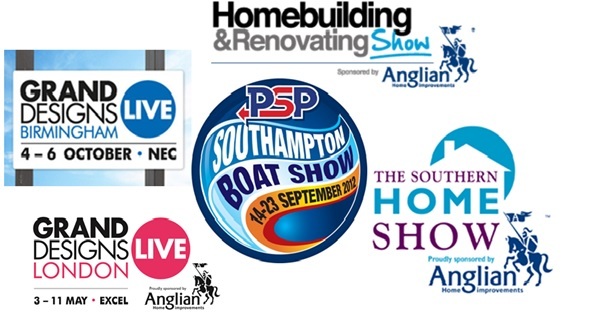 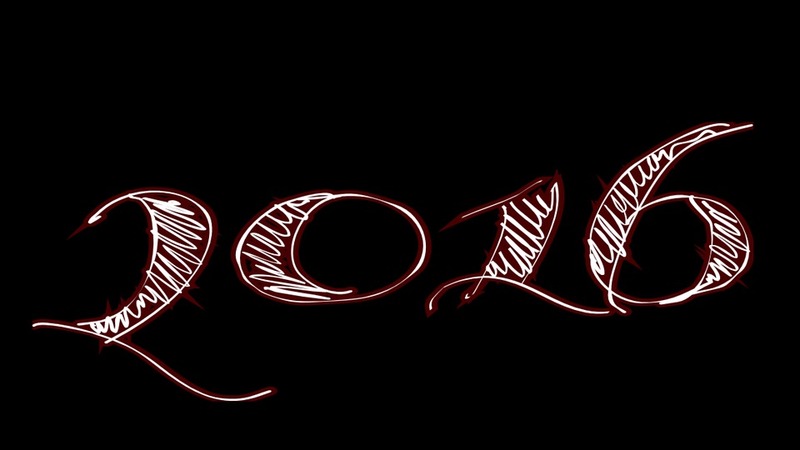 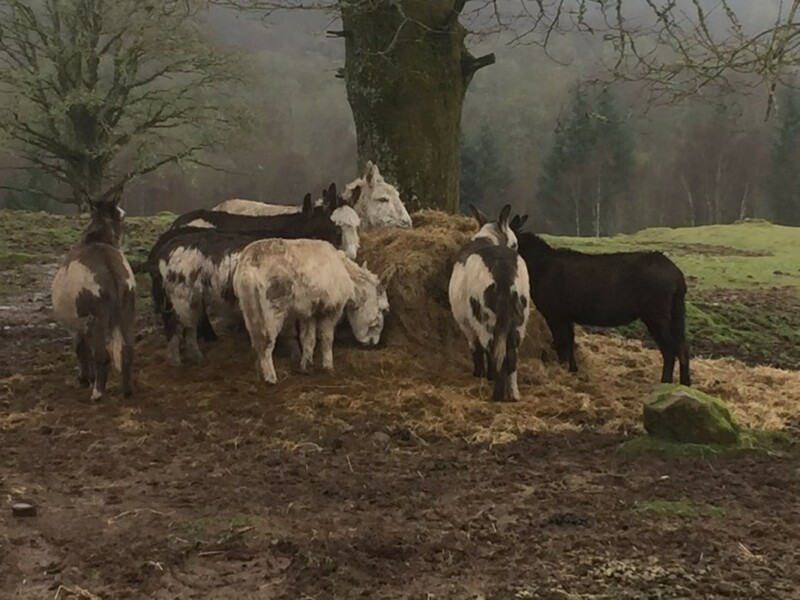 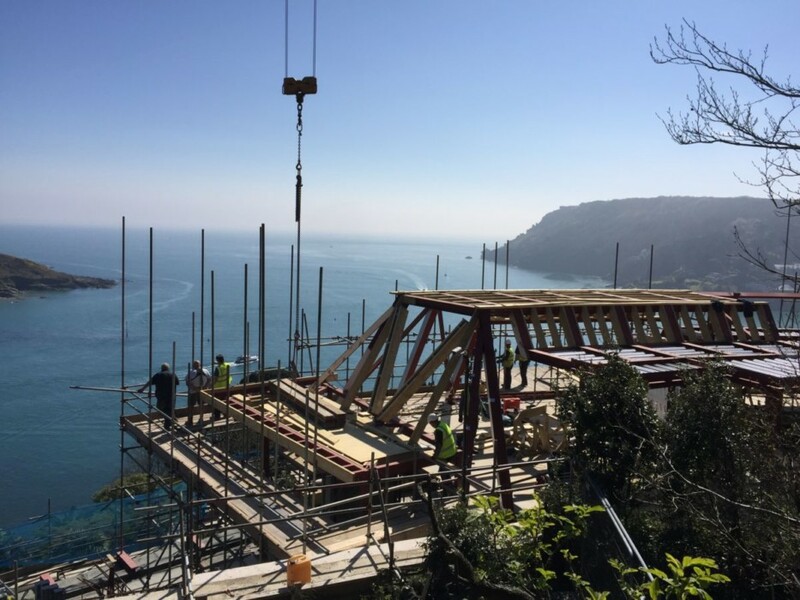 What’s more, we keep you updated at numerous points in the process to let you have a look at how we’re getting on. 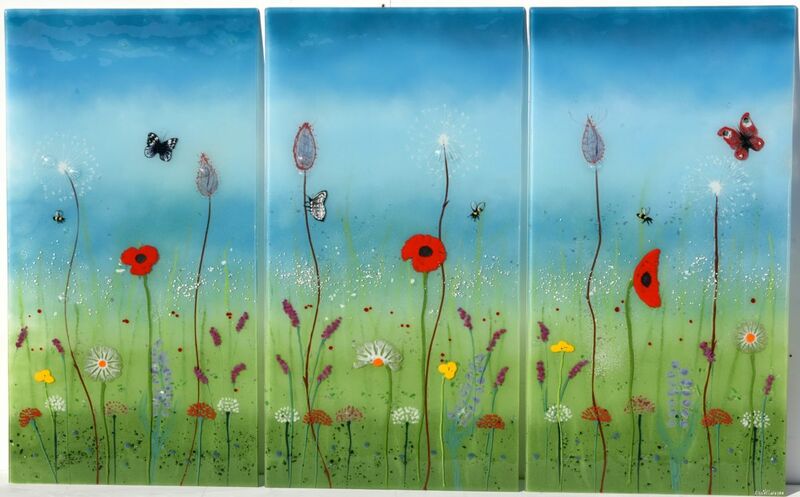 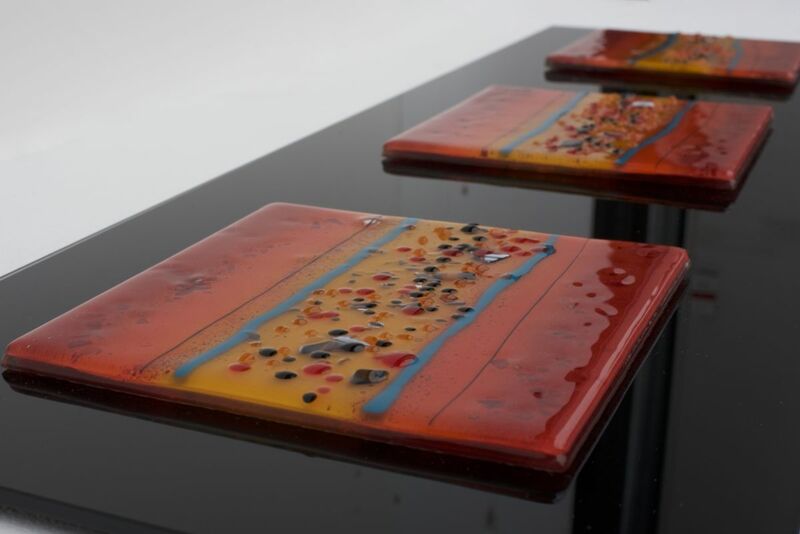 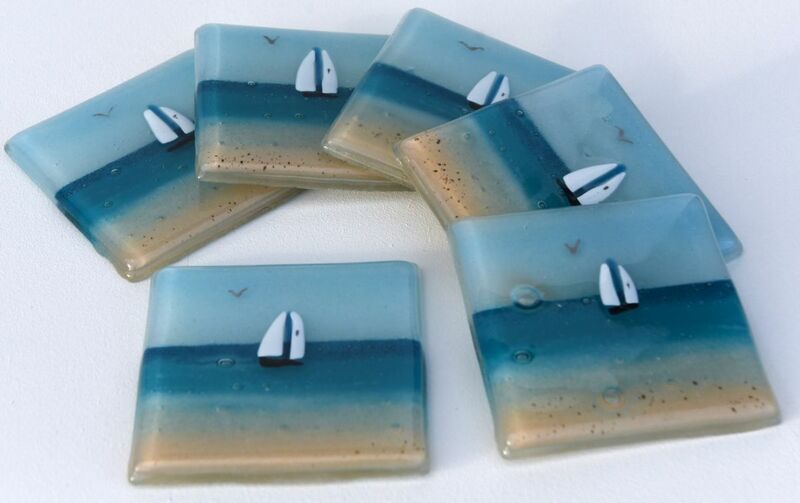 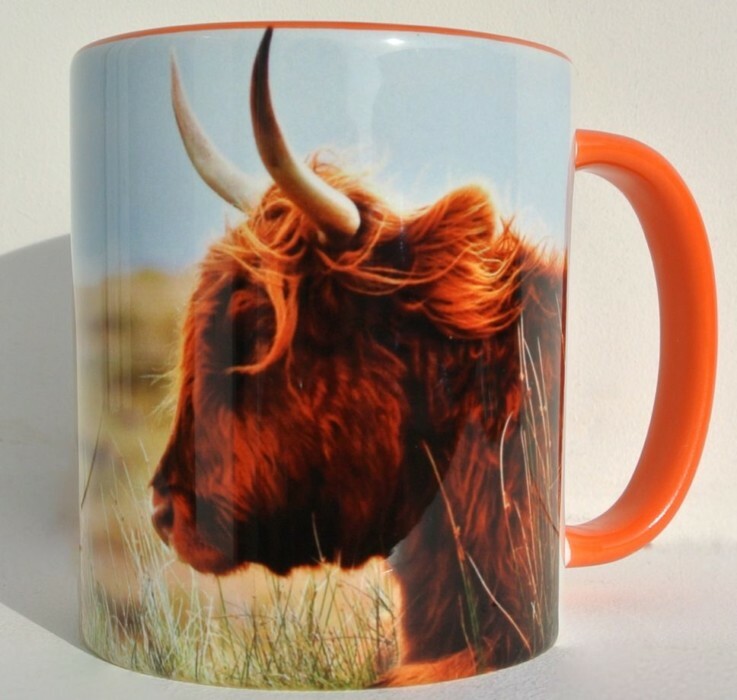 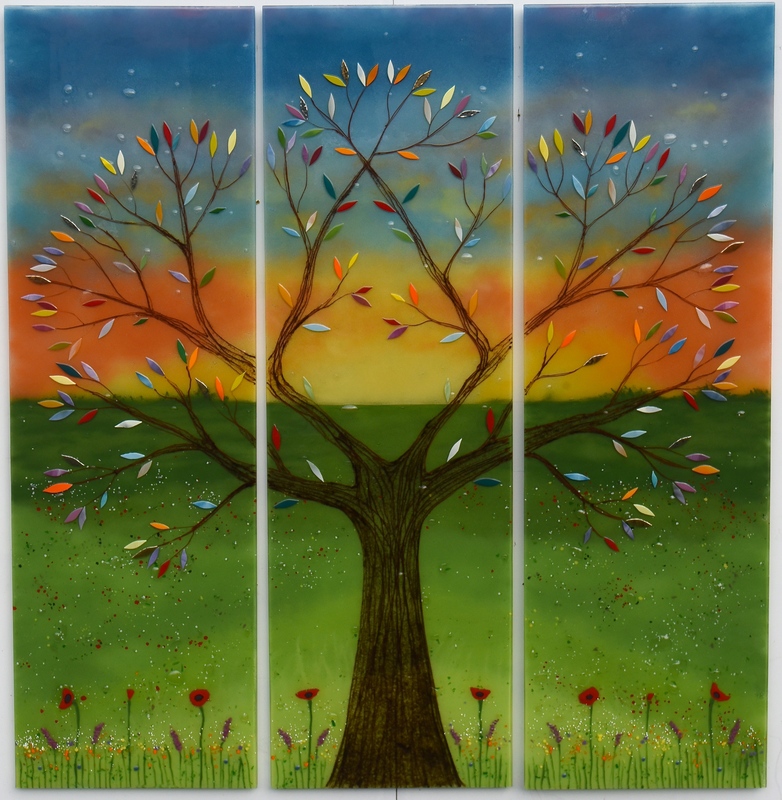 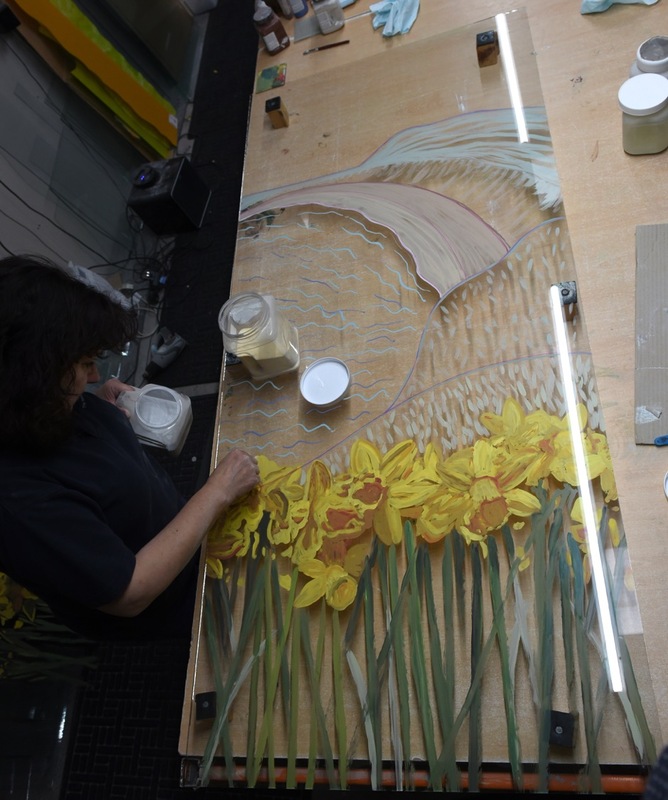 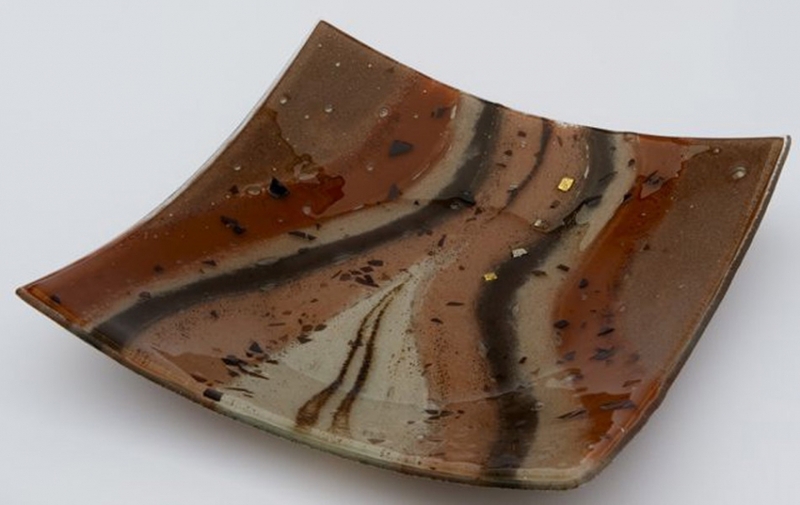 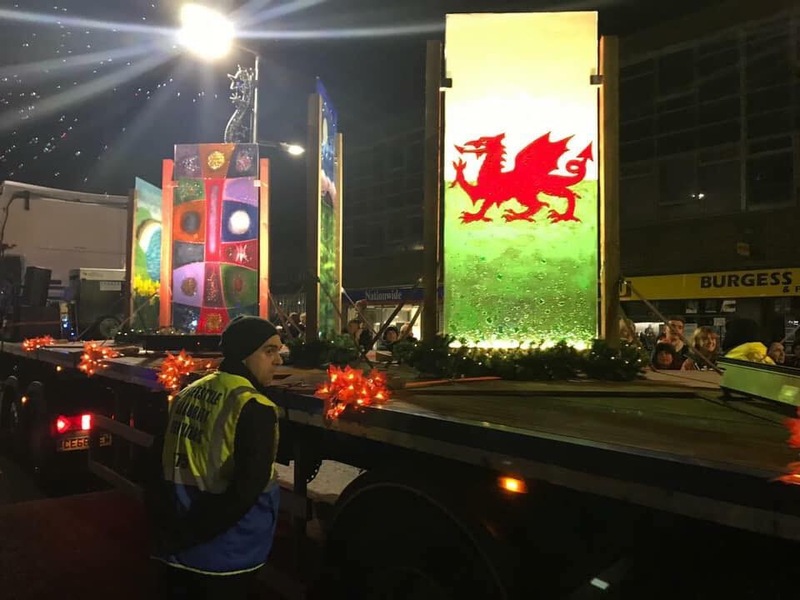 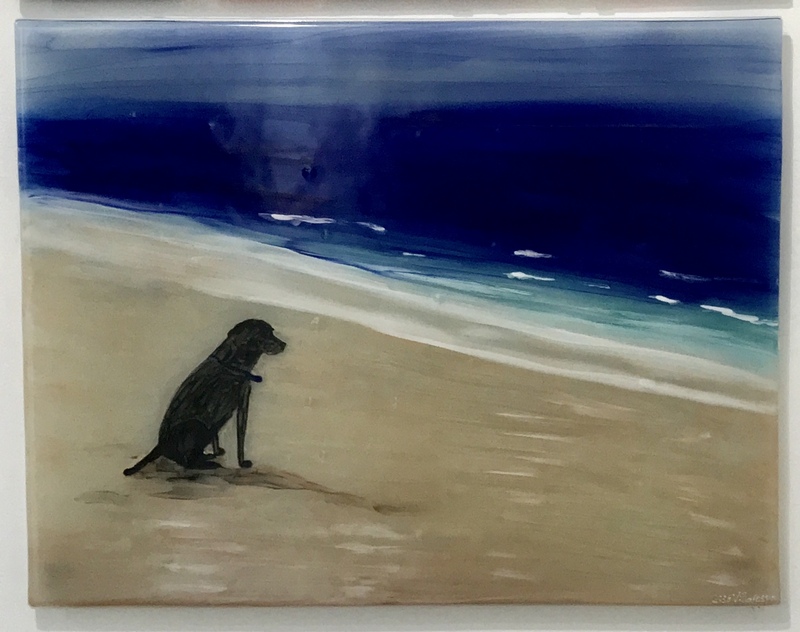 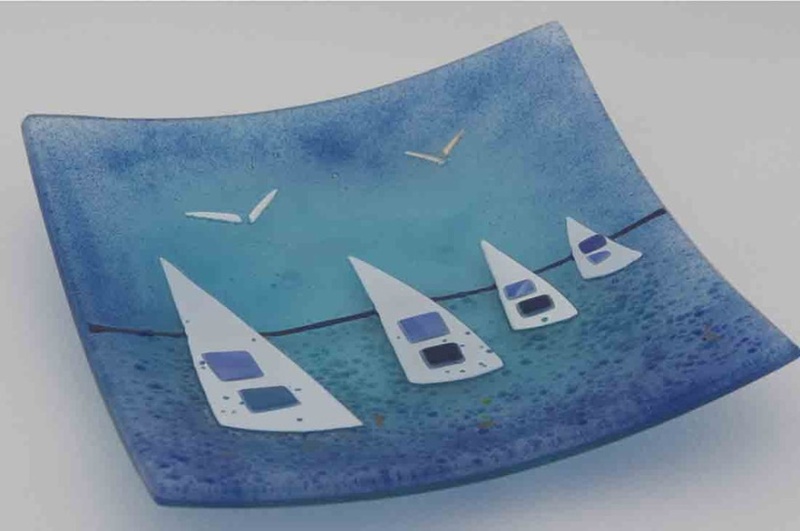 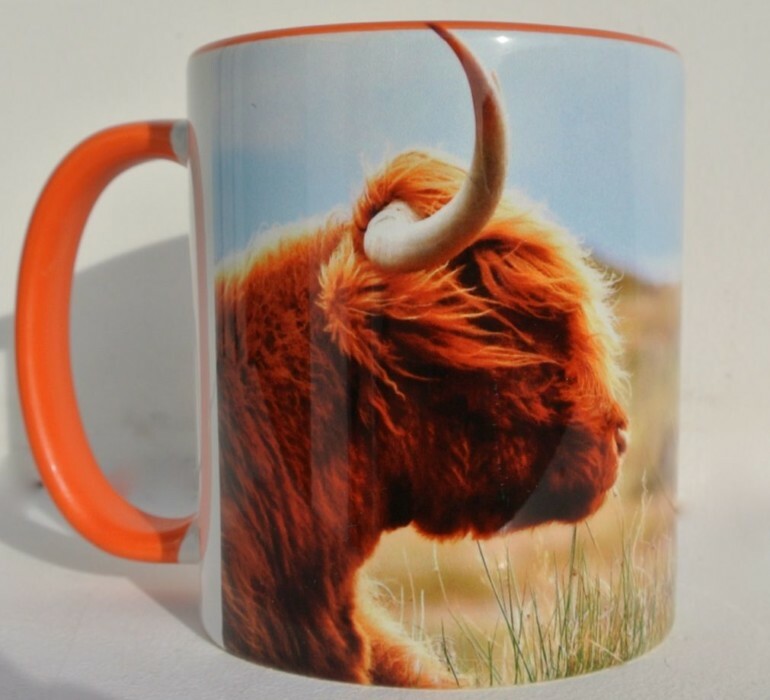 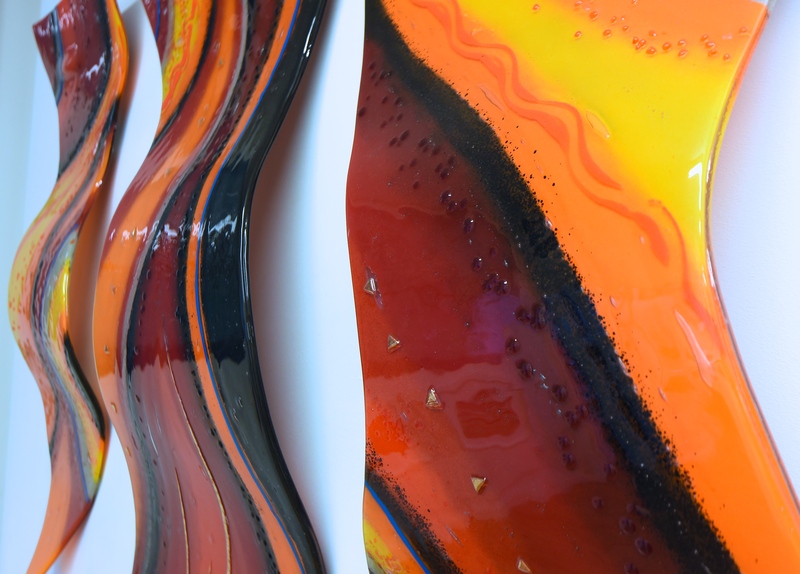 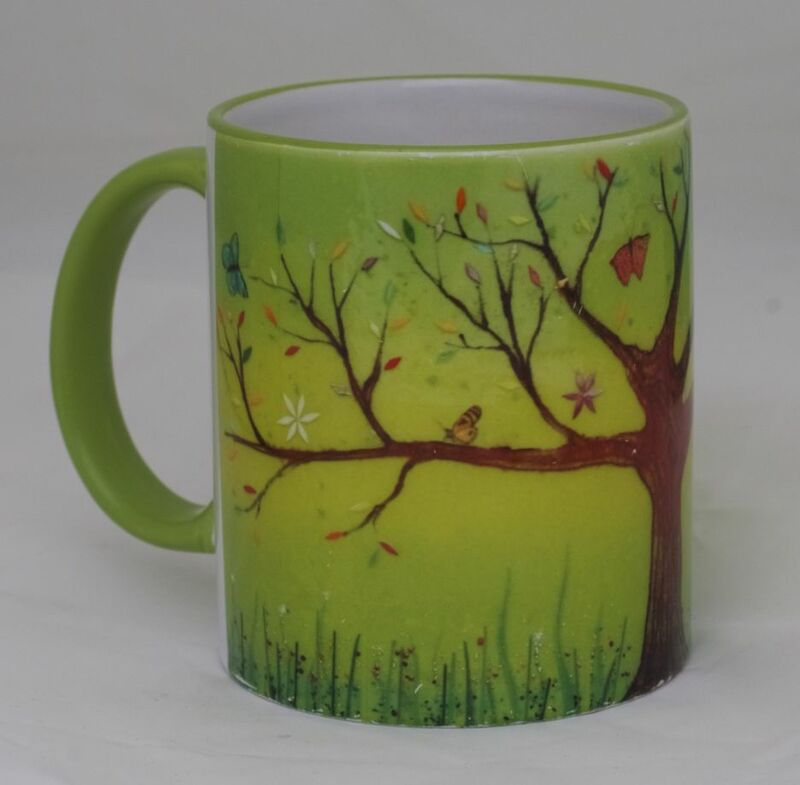 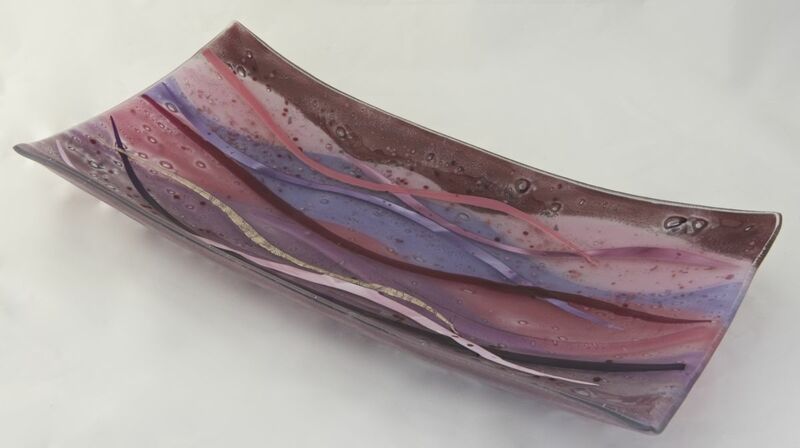 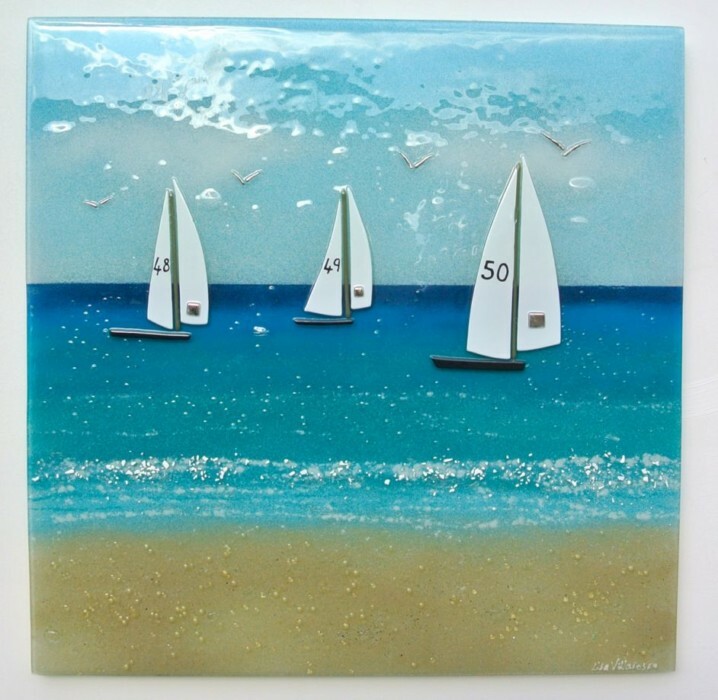 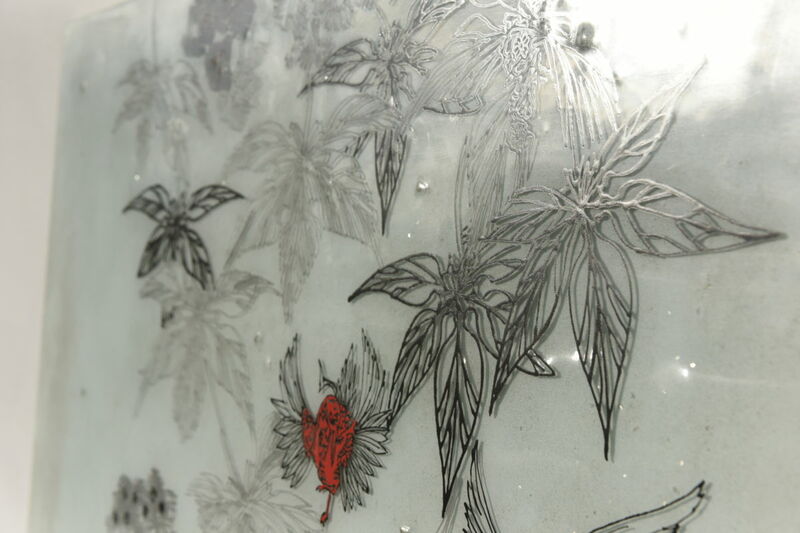 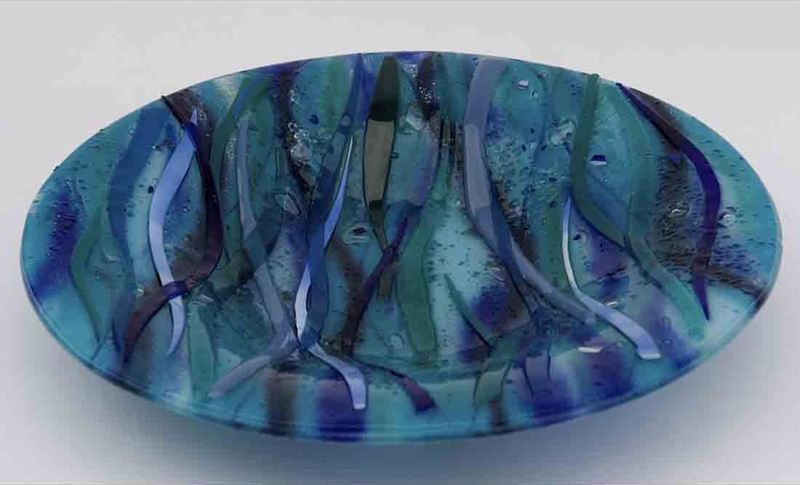 You can offer a number of suggestions and corrections if you’d like to change a few things before the final product goes into the kiln, helping to shape your fused glass art into that one decoration you’ll treasure forever. 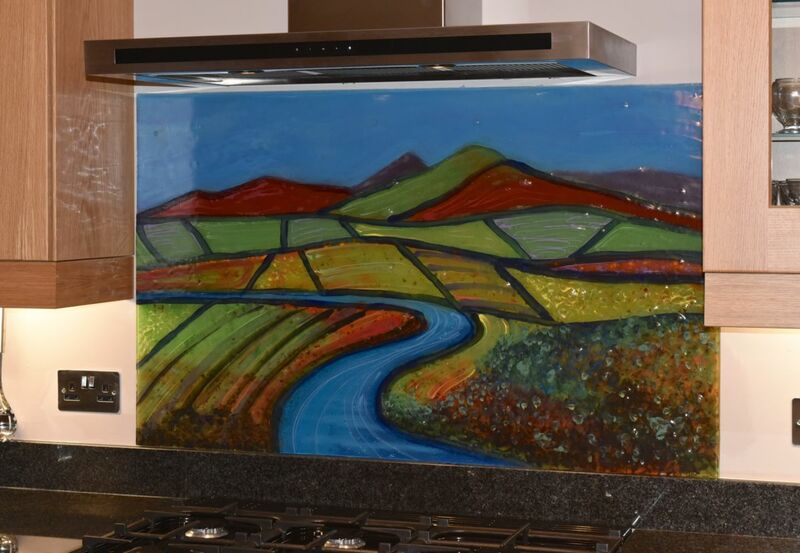 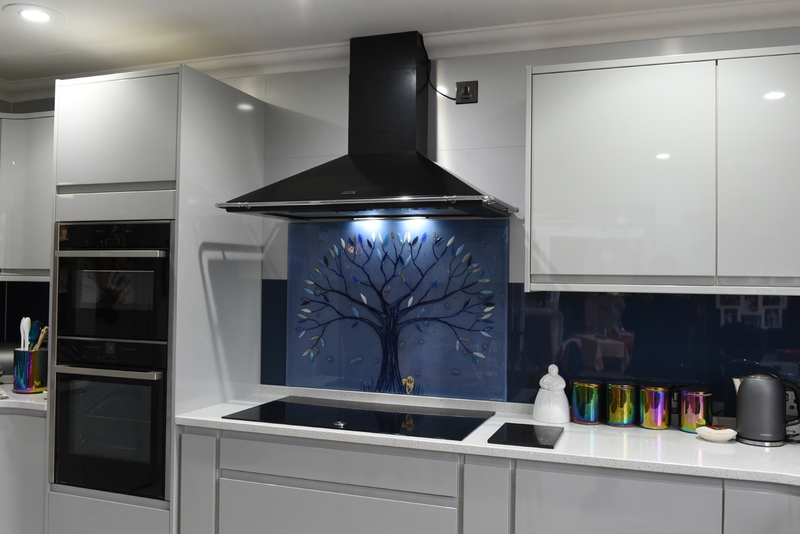 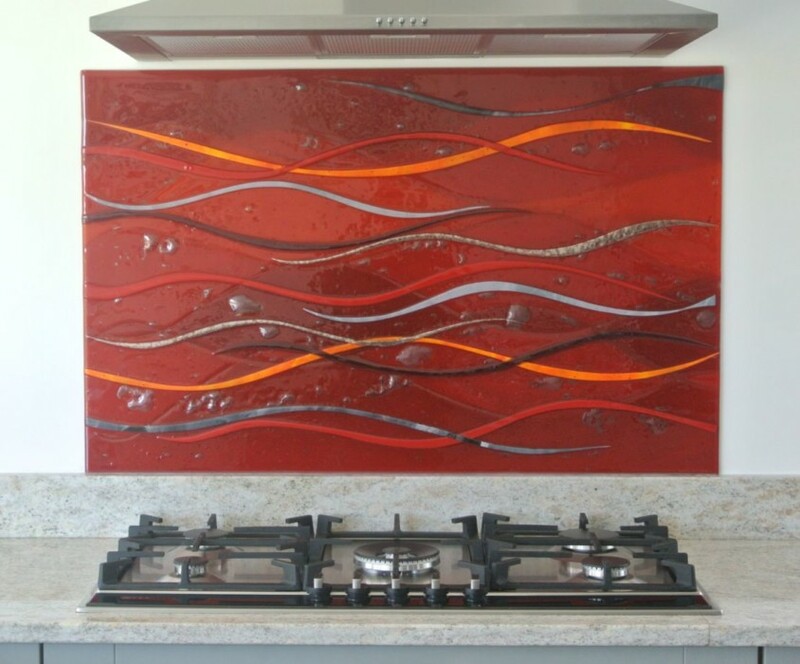 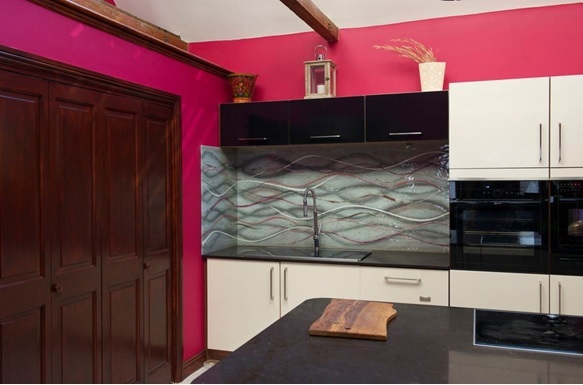 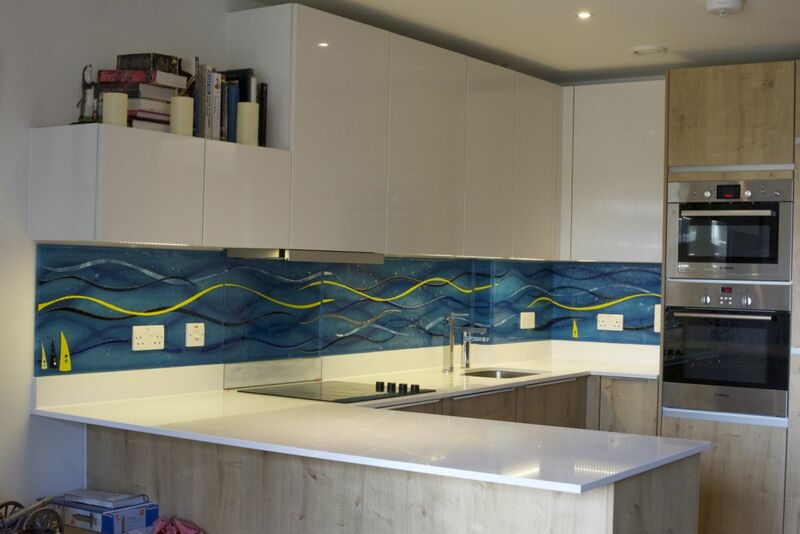 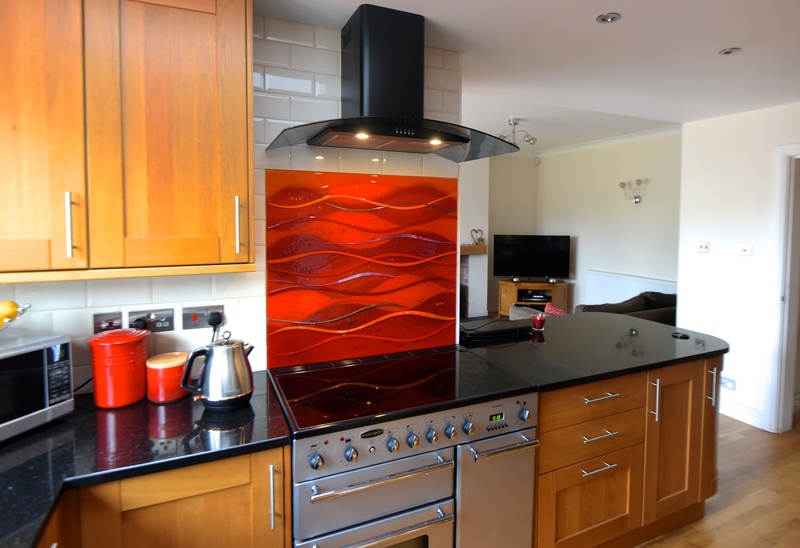 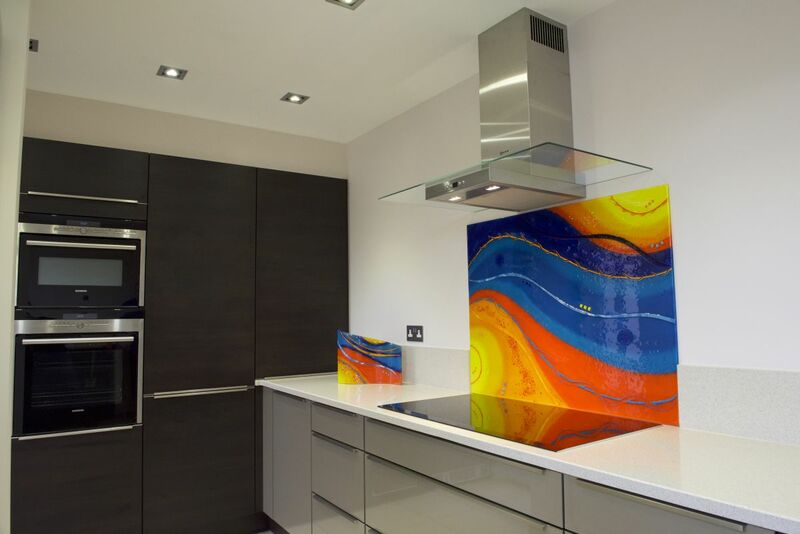 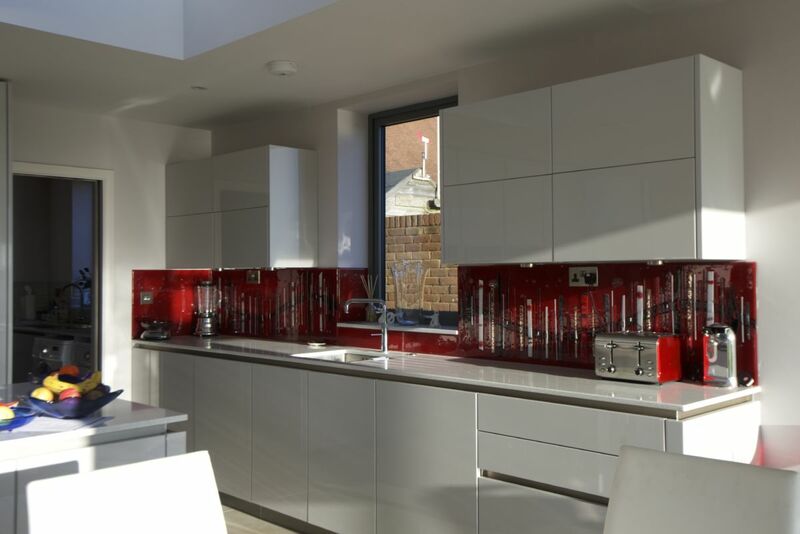 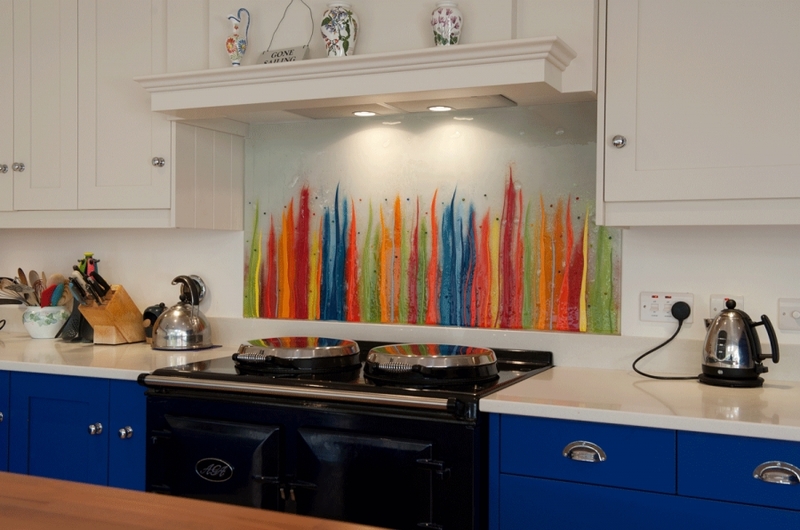 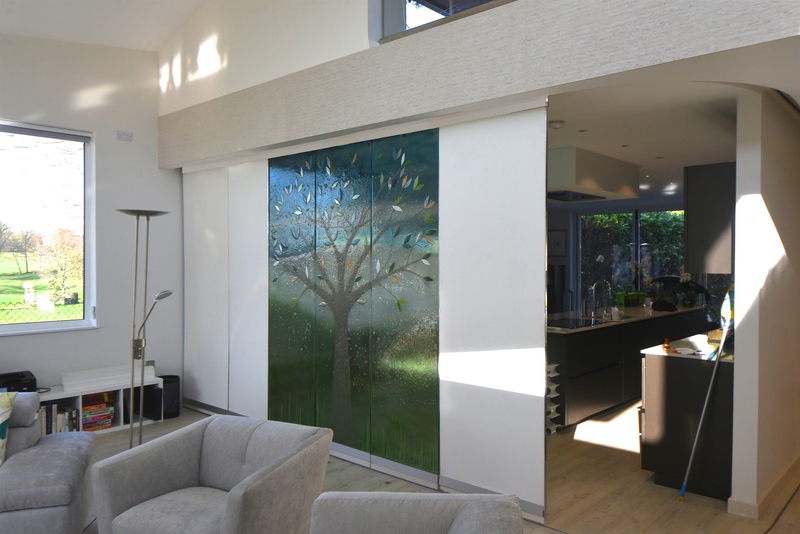 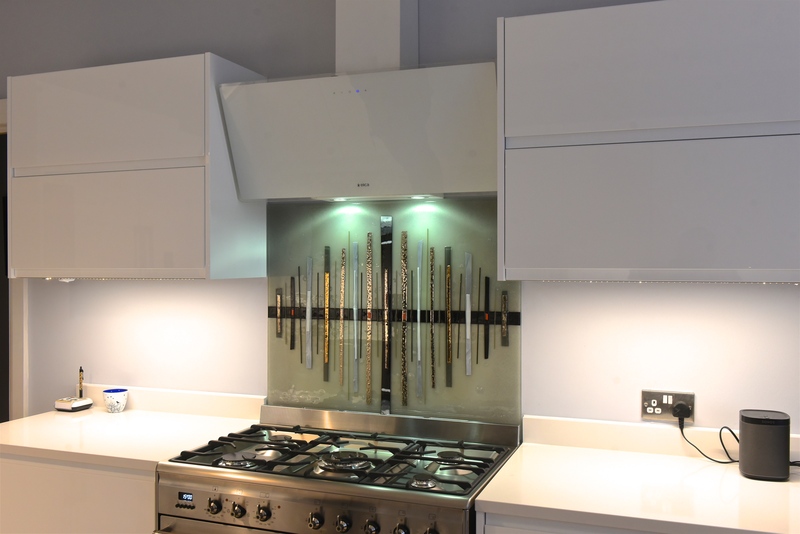 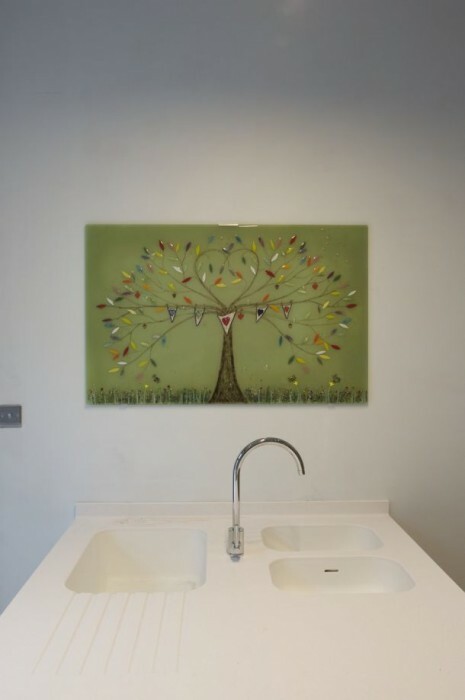 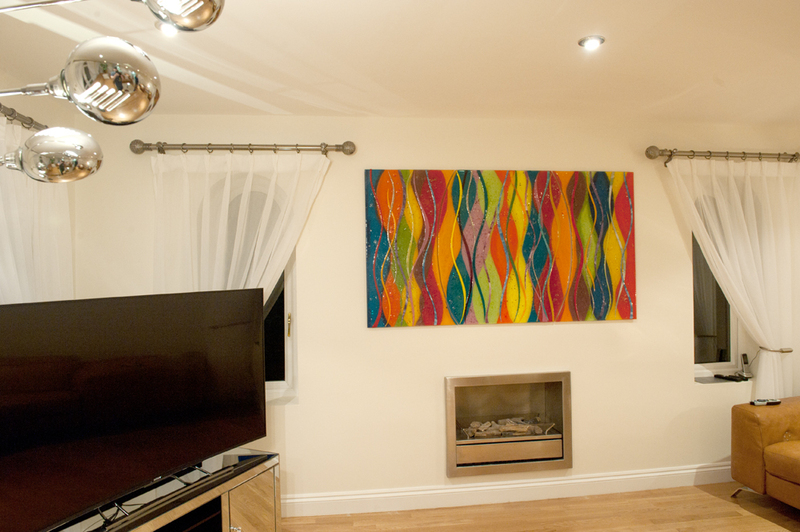 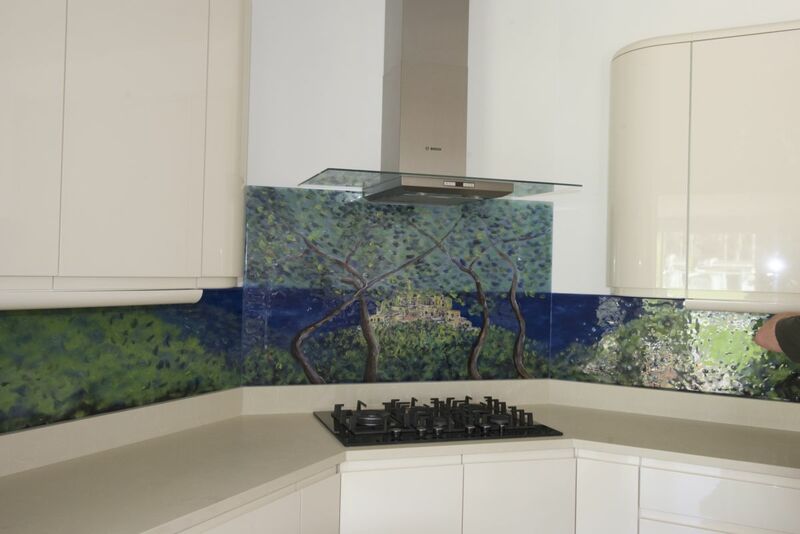 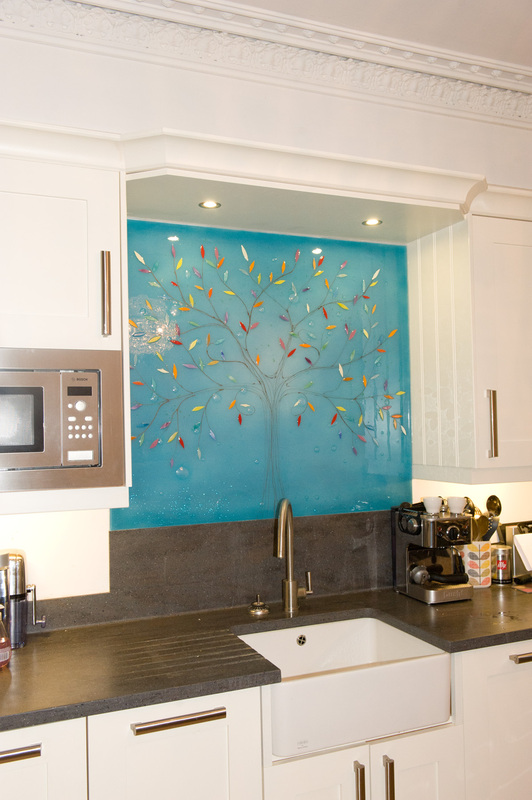 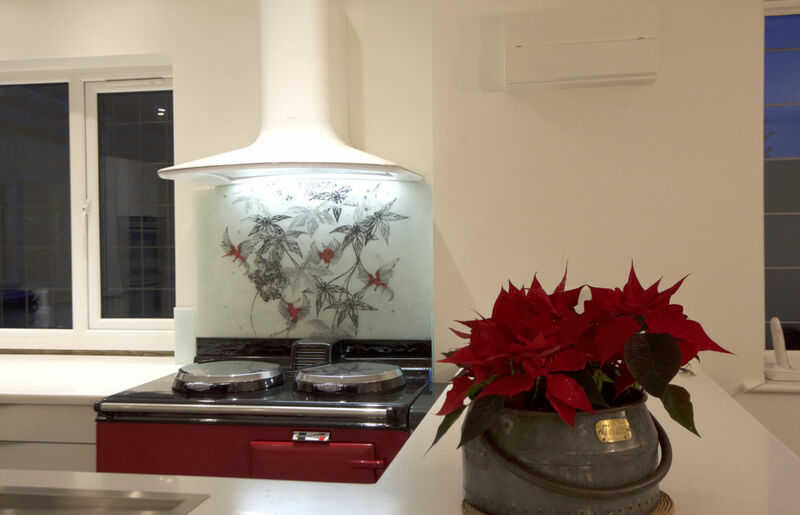 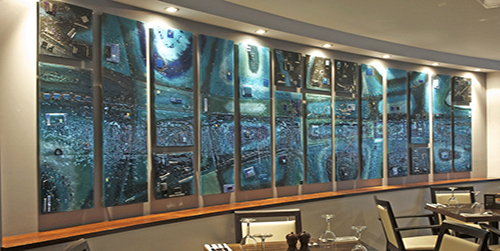 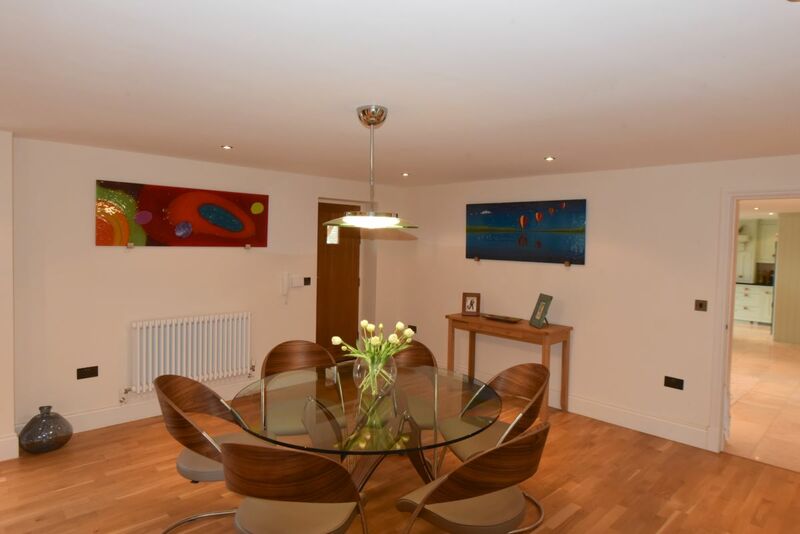 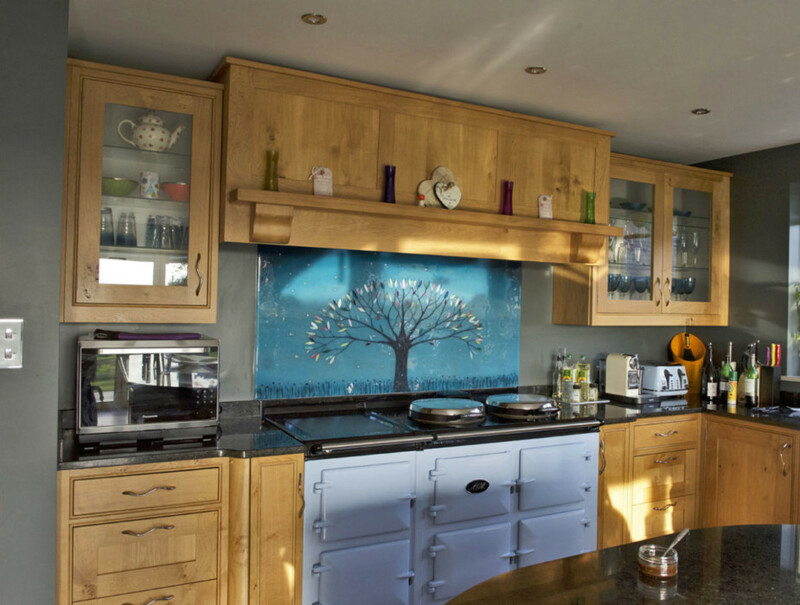 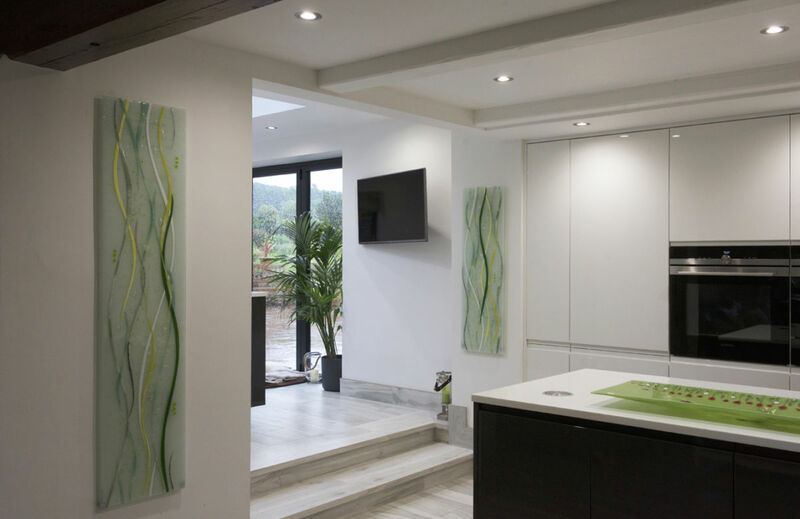 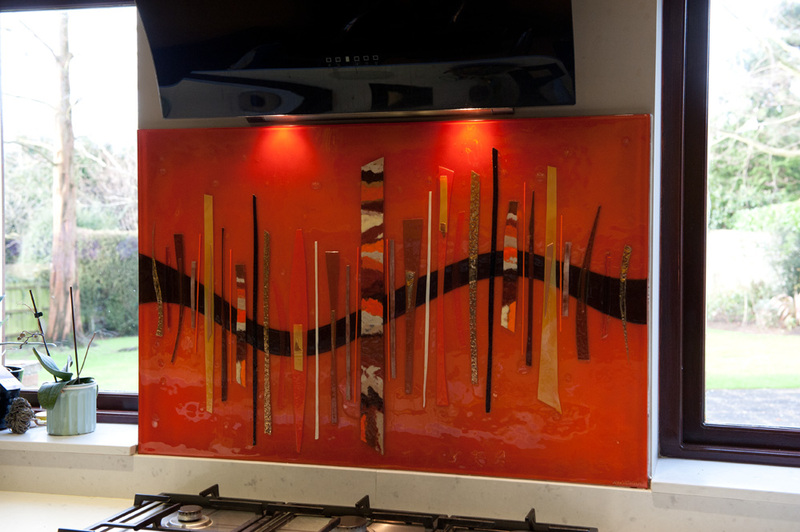 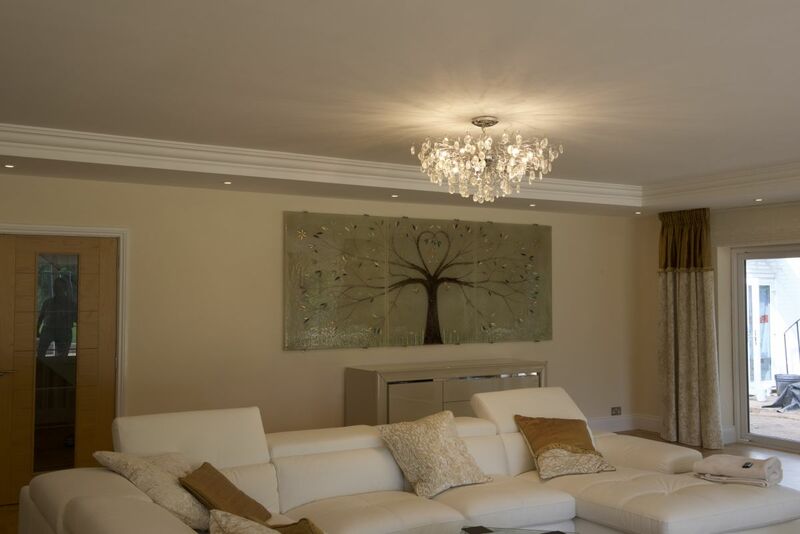 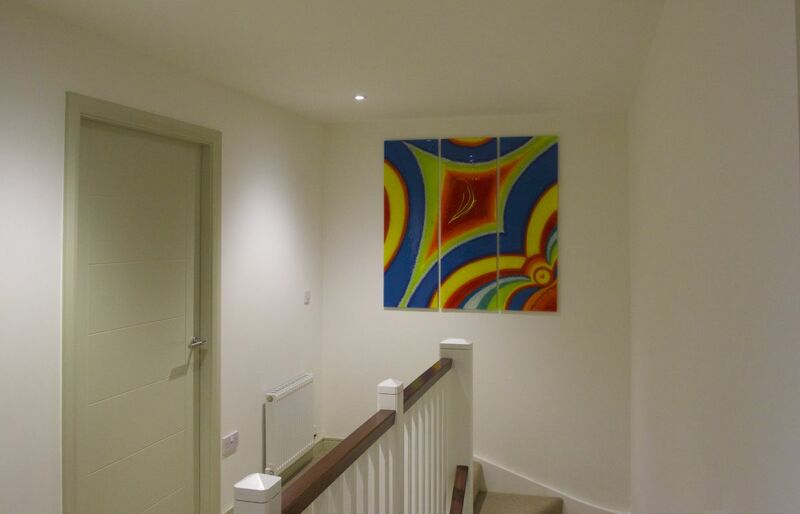 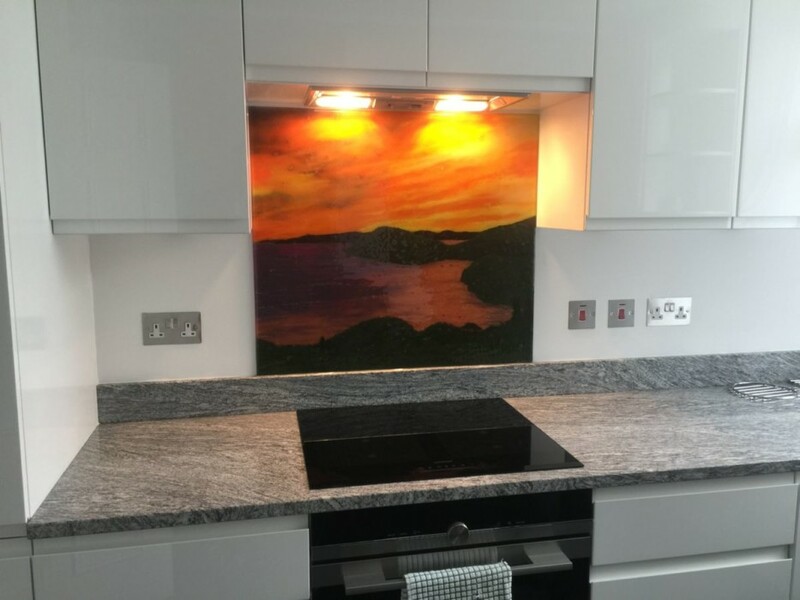 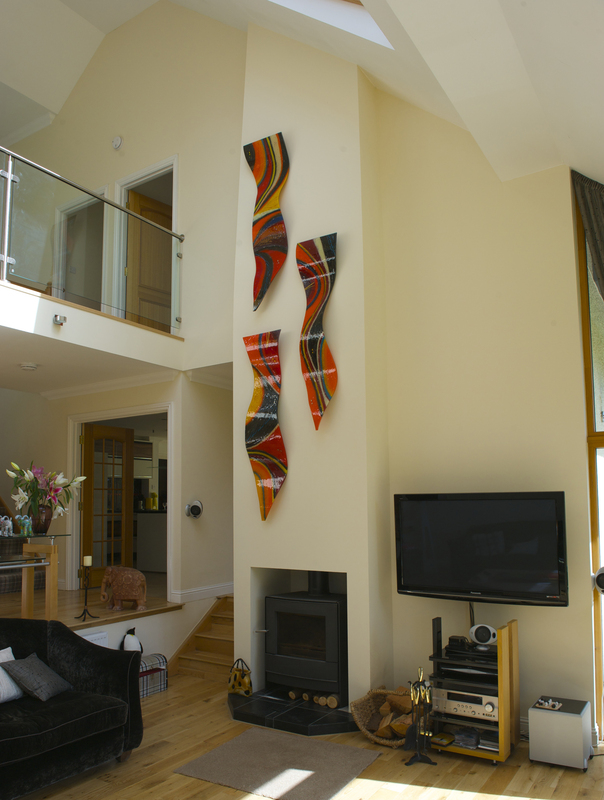 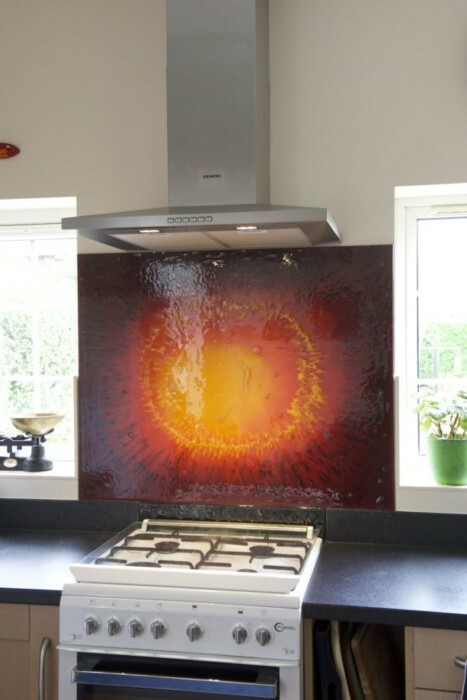 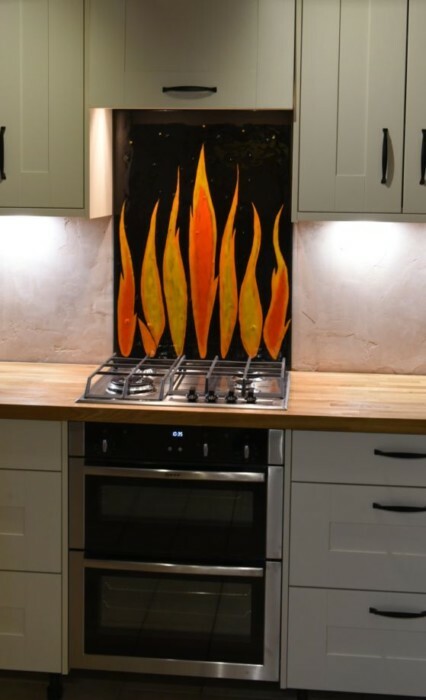 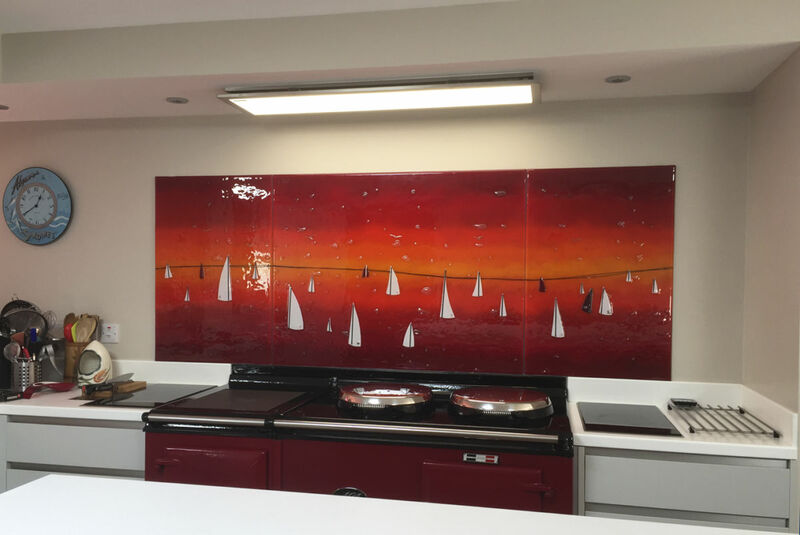 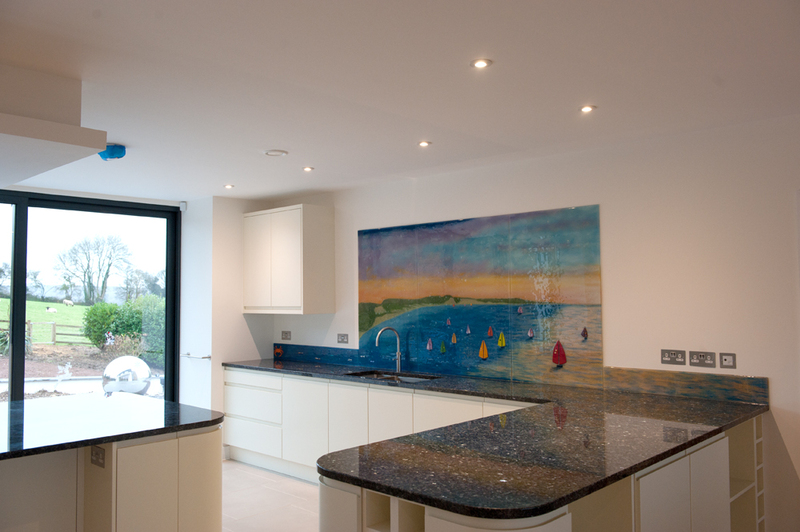 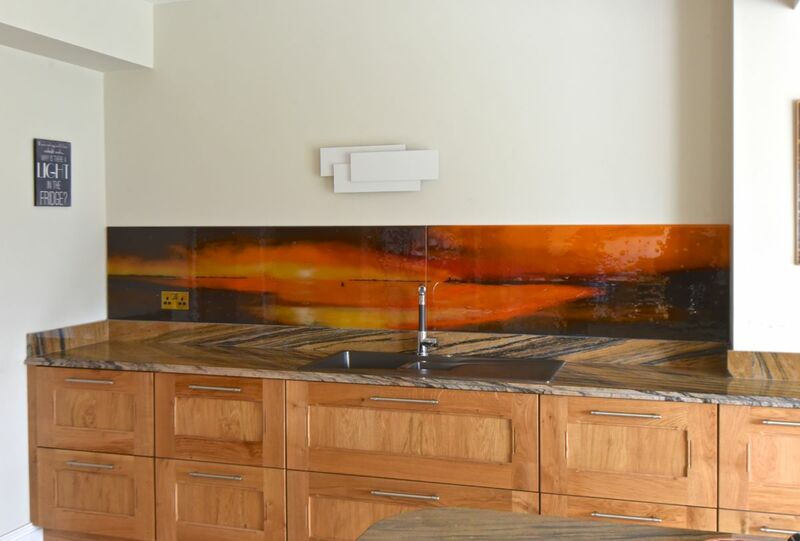 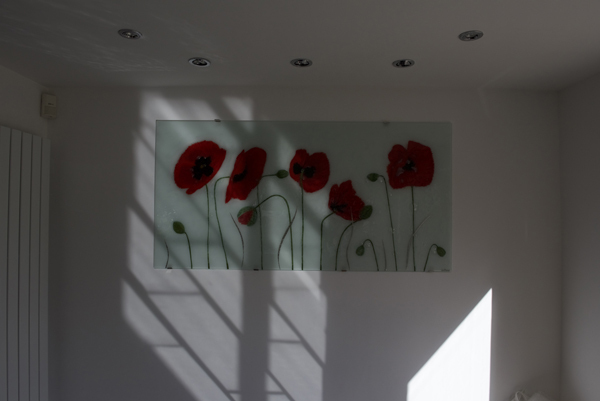 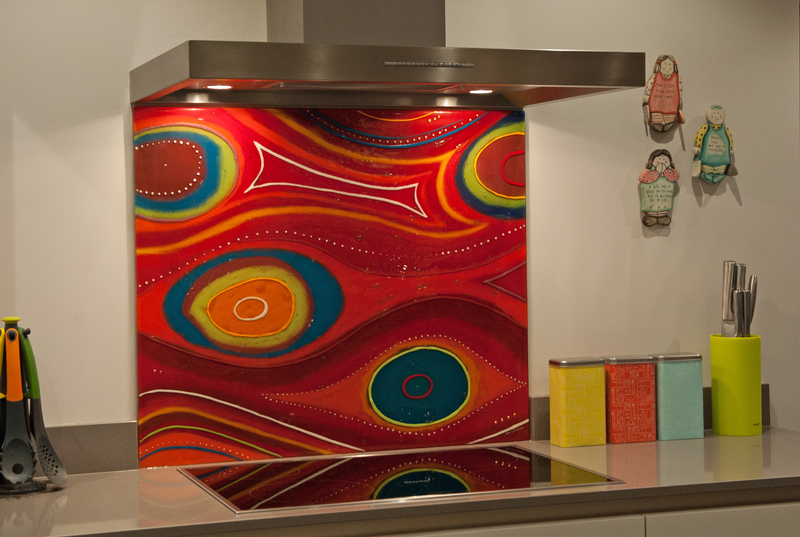 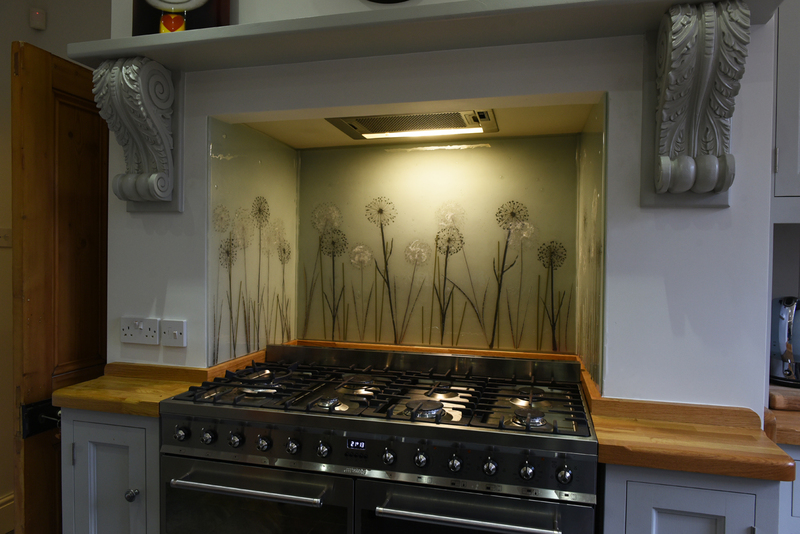 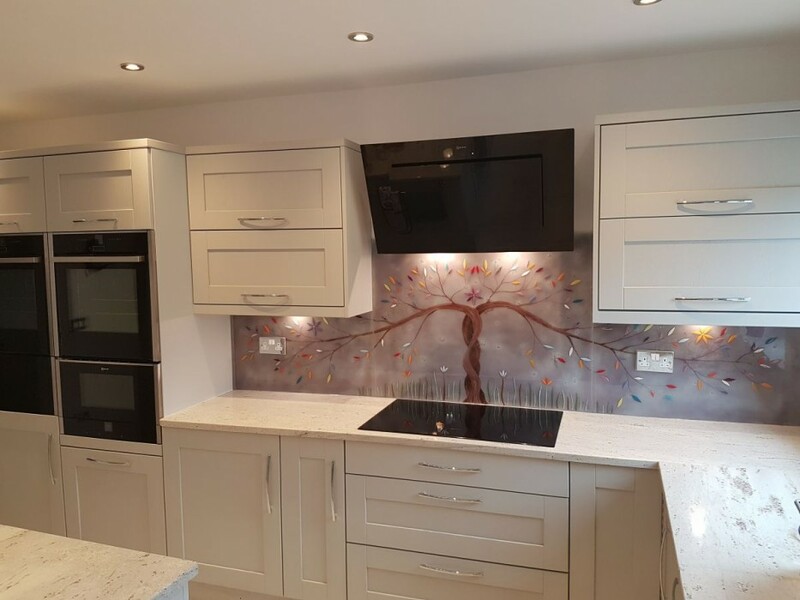 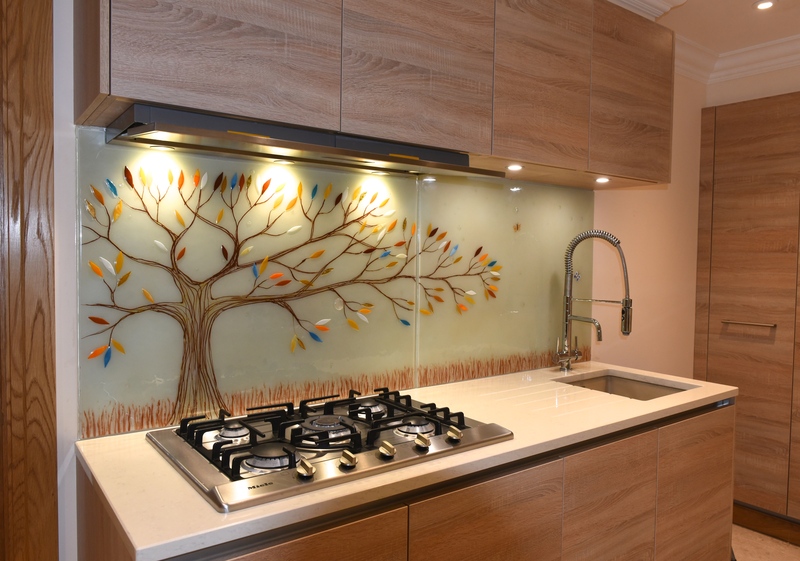 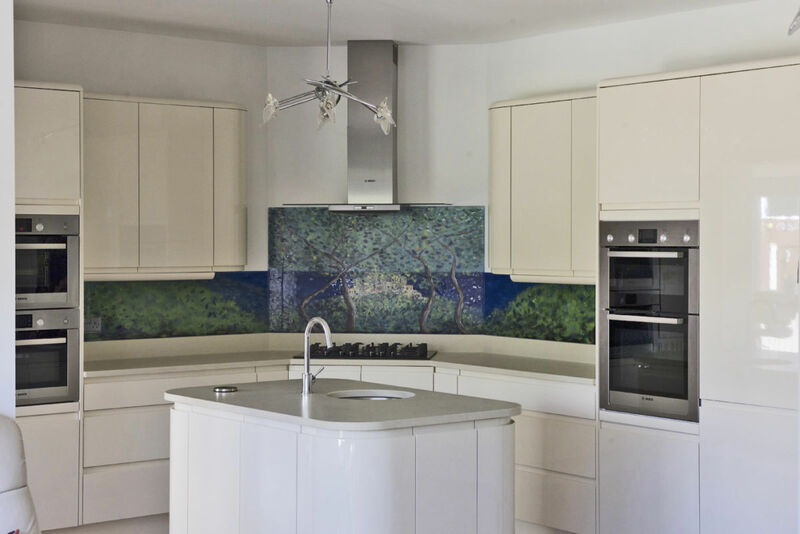 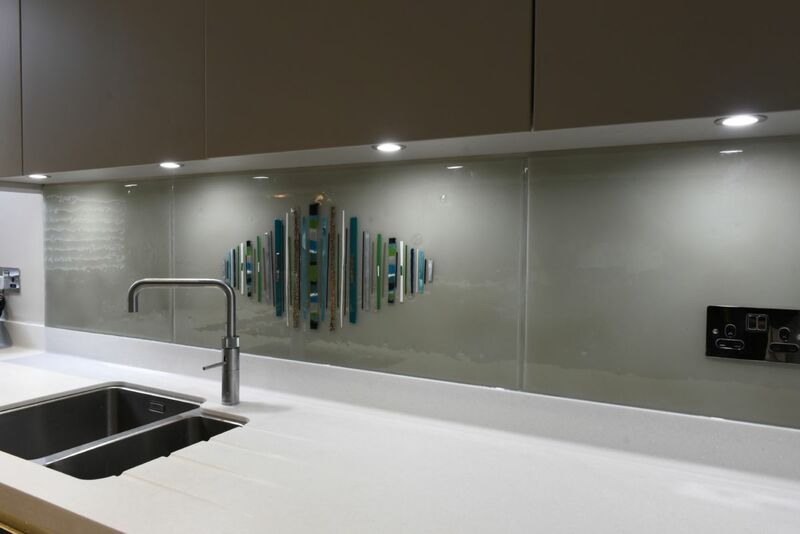 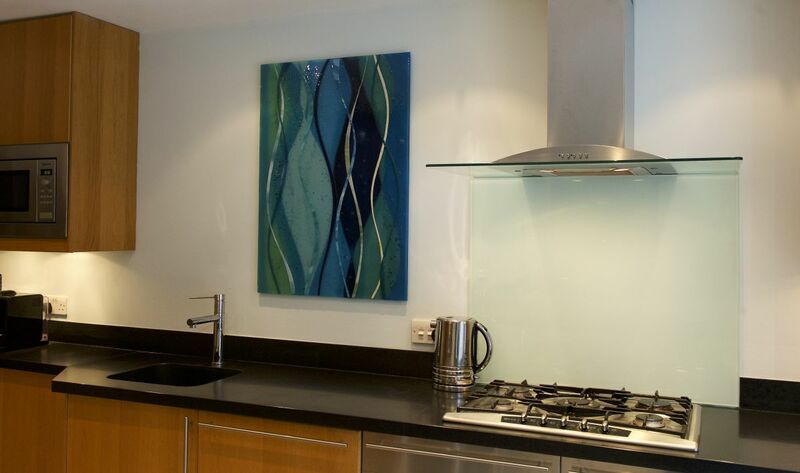 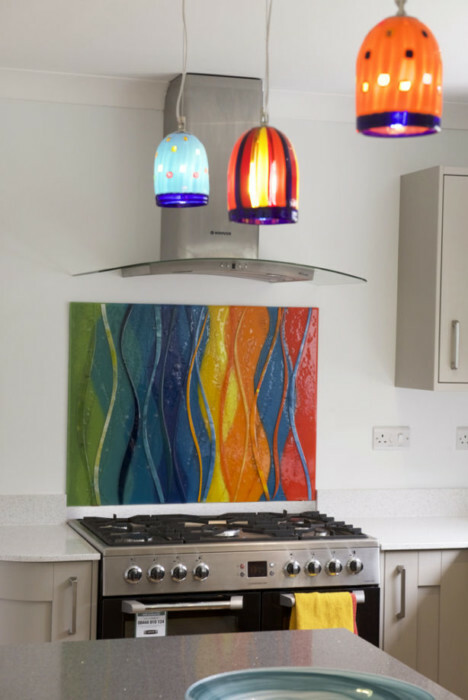 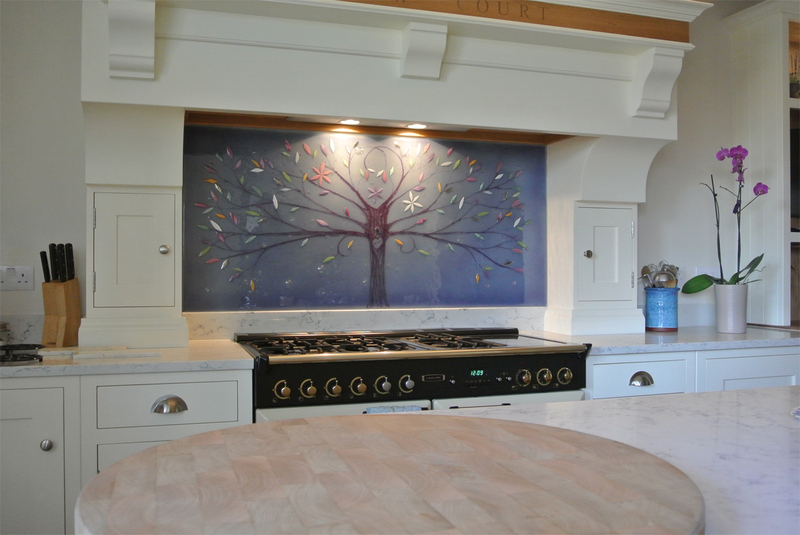 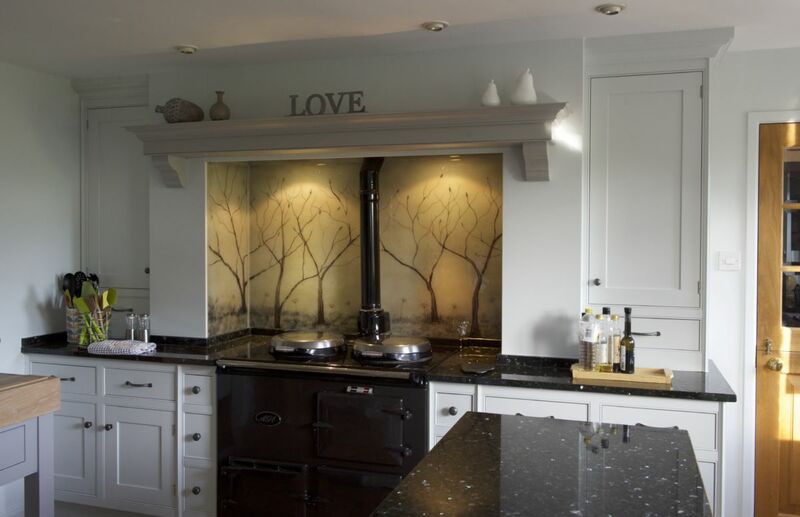 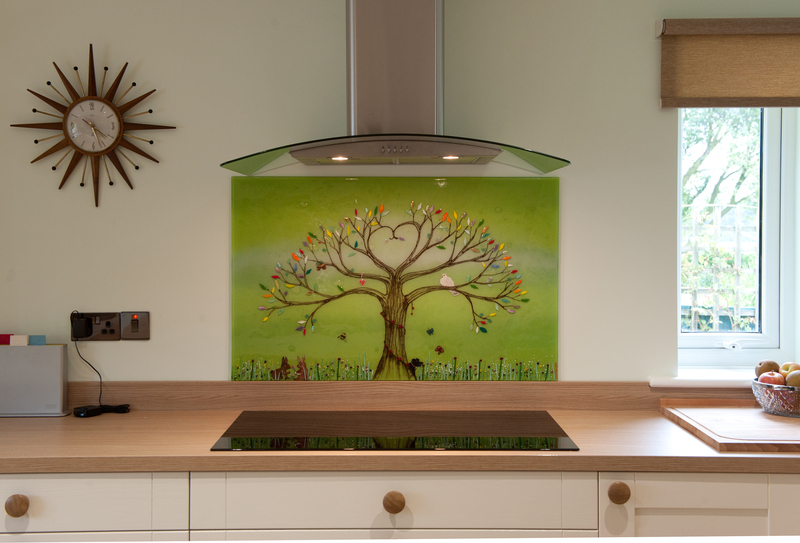 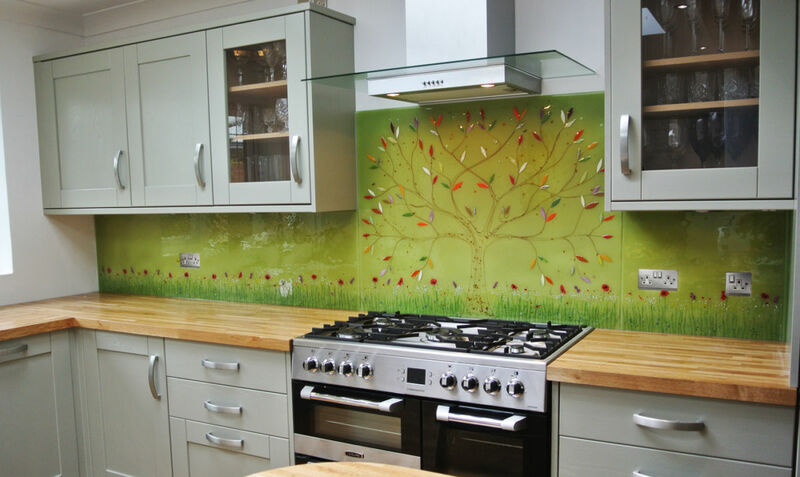 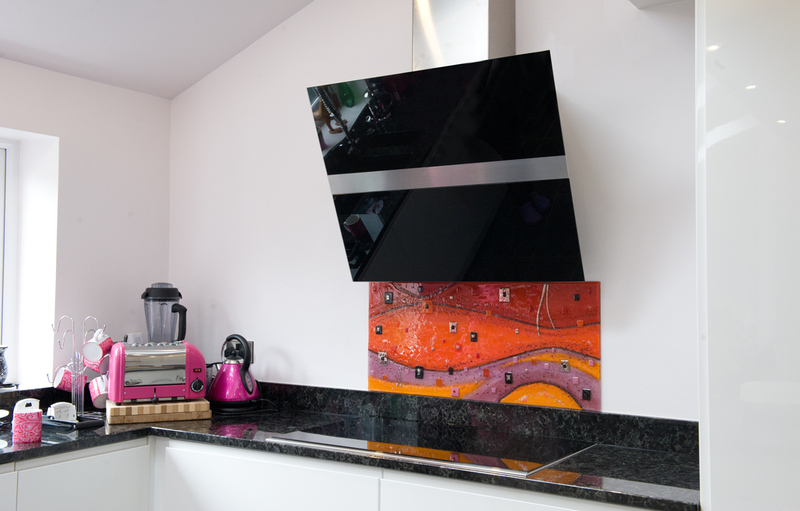 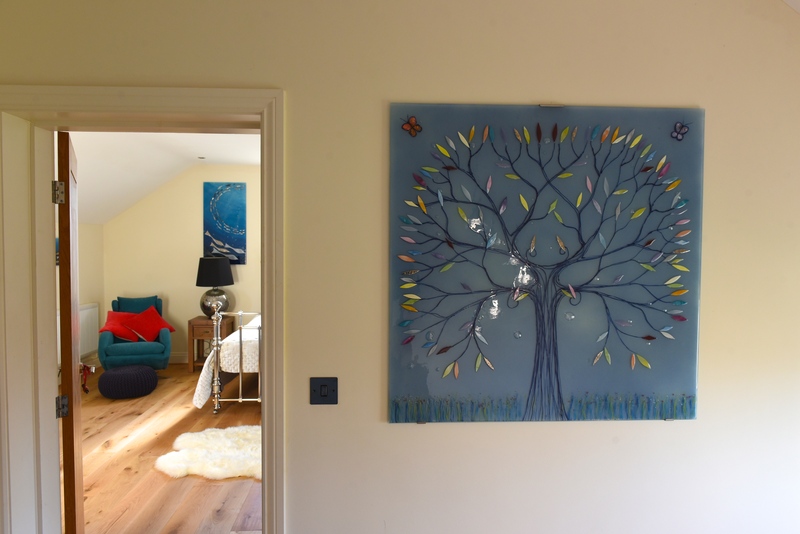 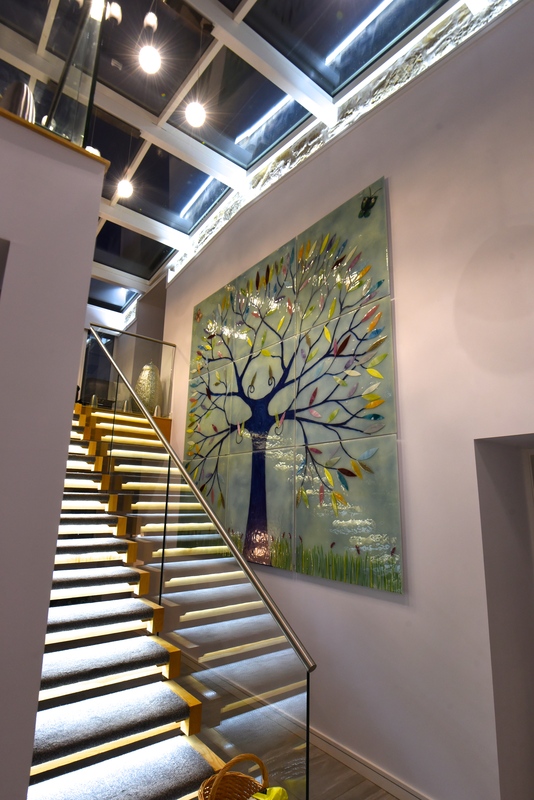 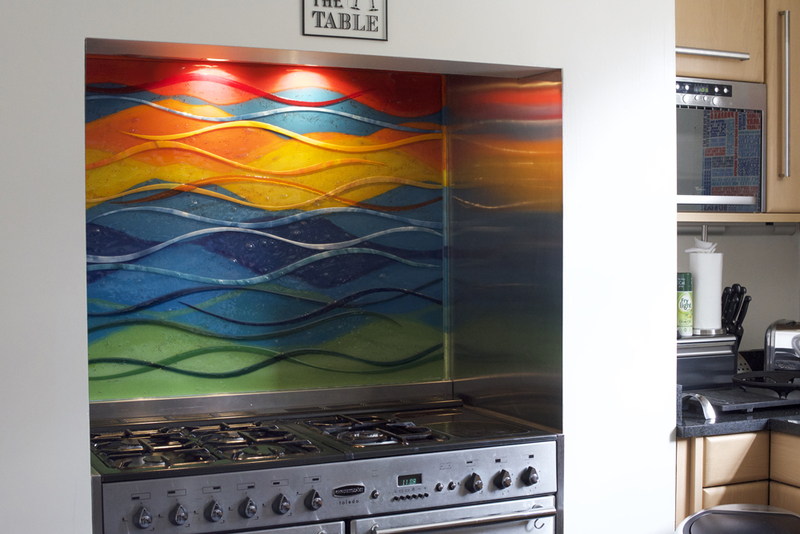 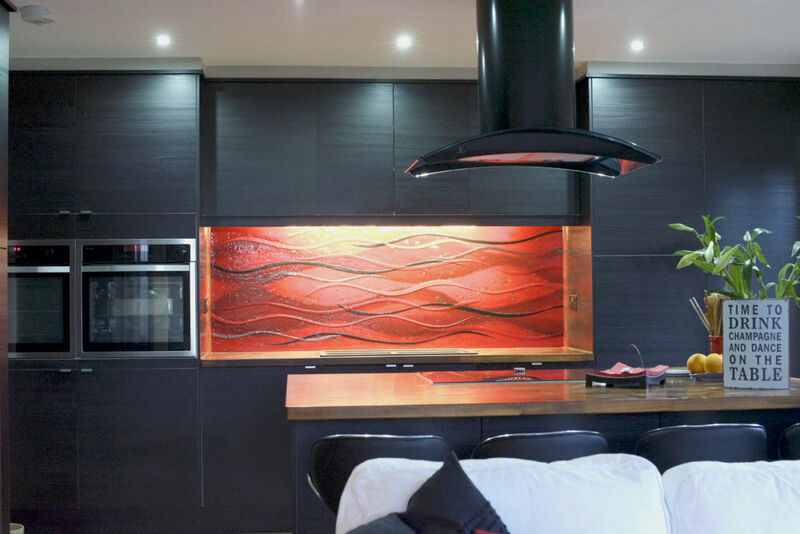 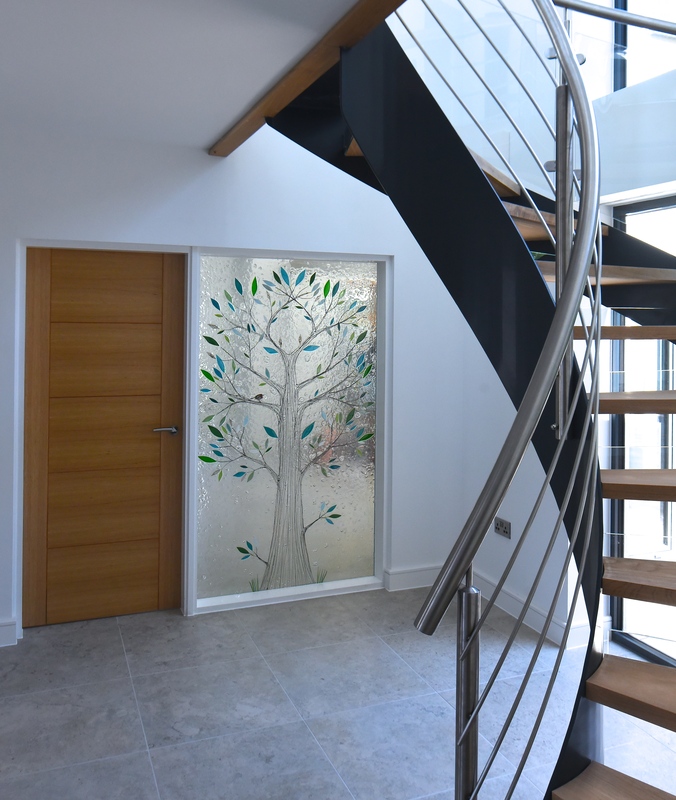 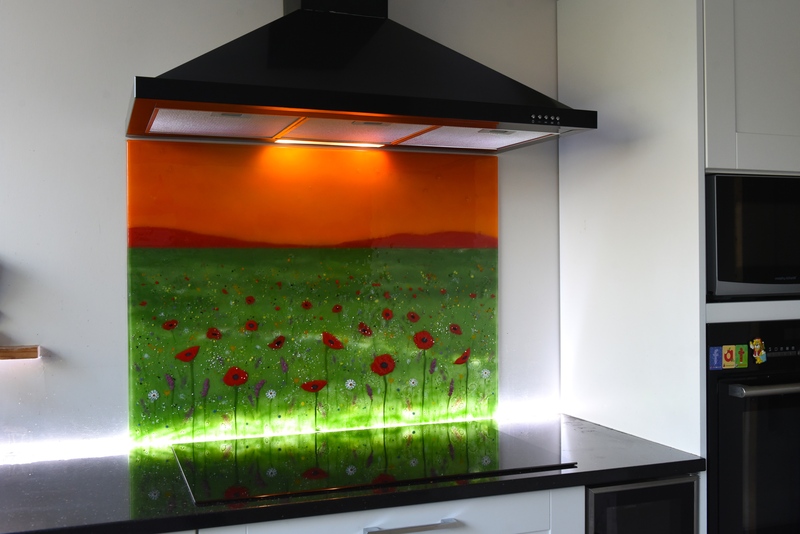 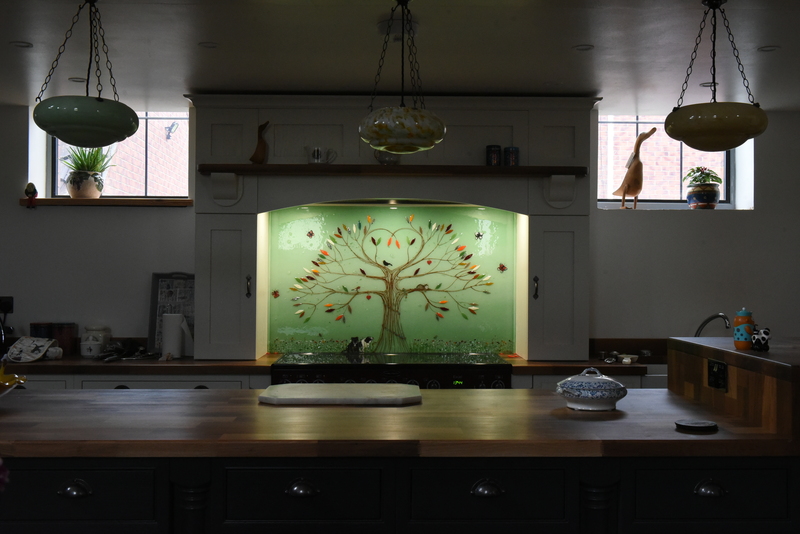 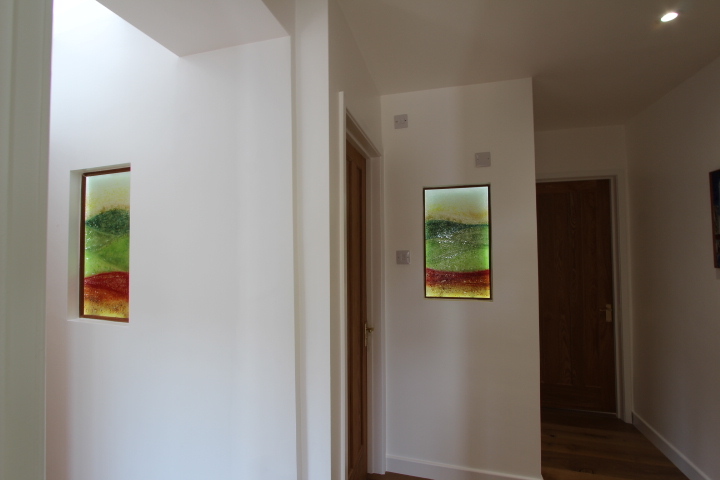 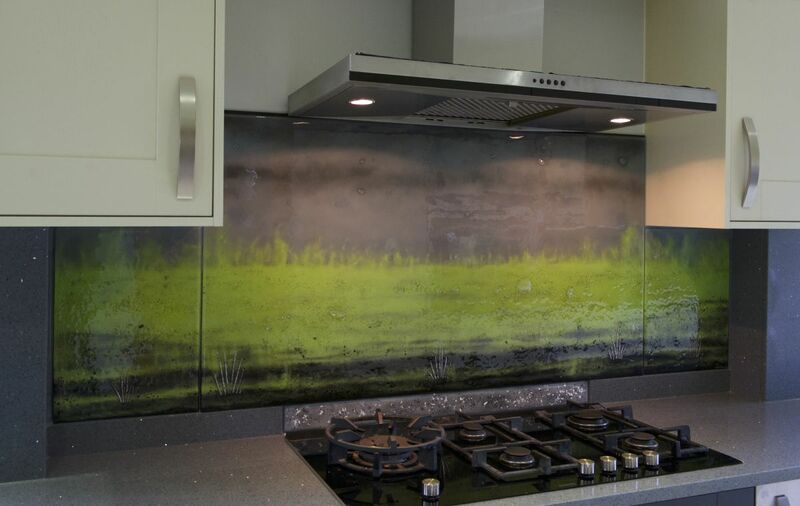 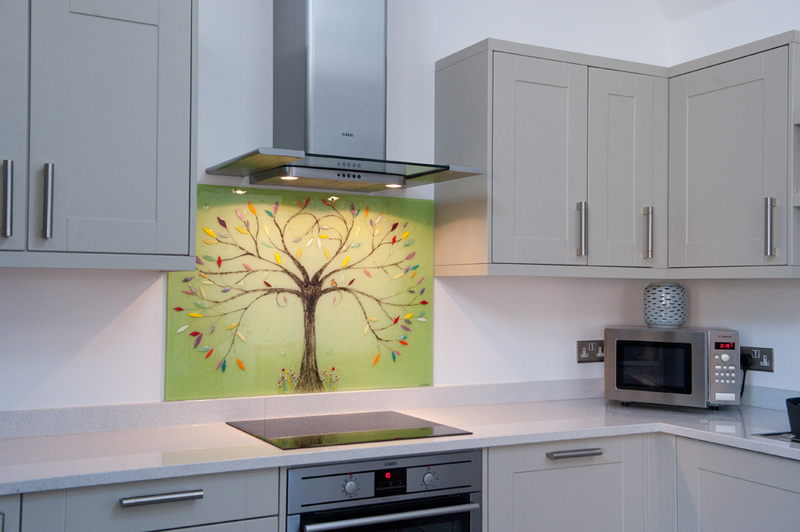 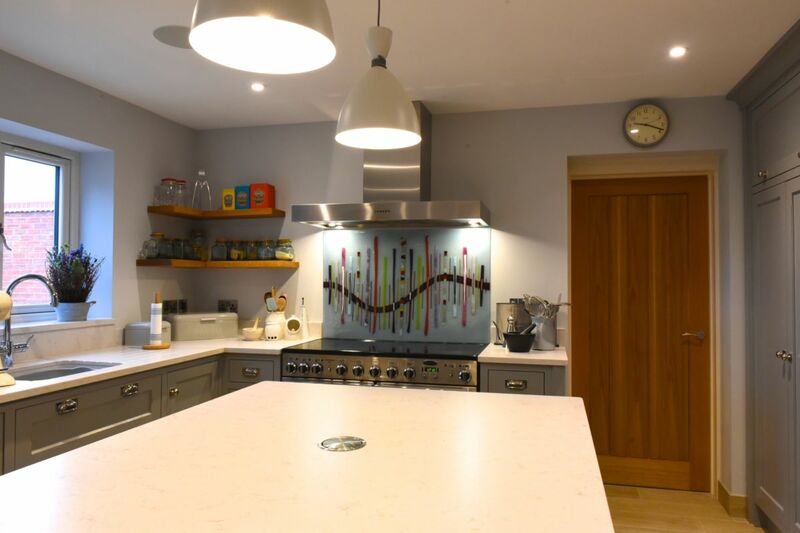 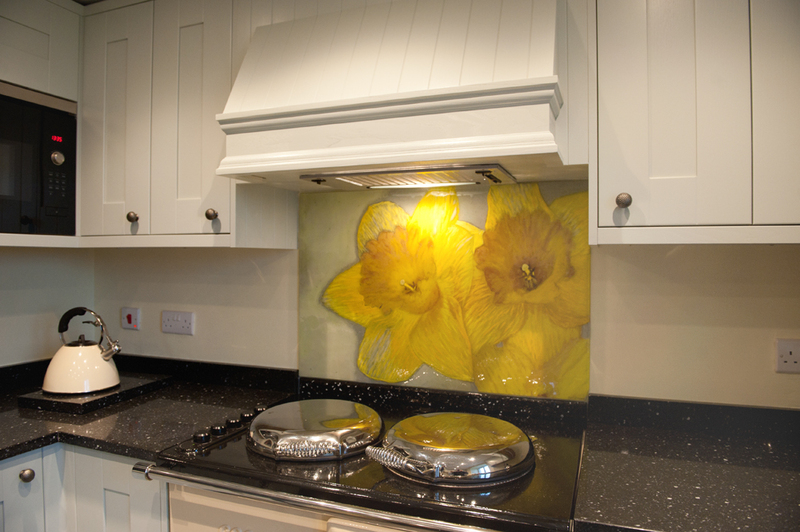 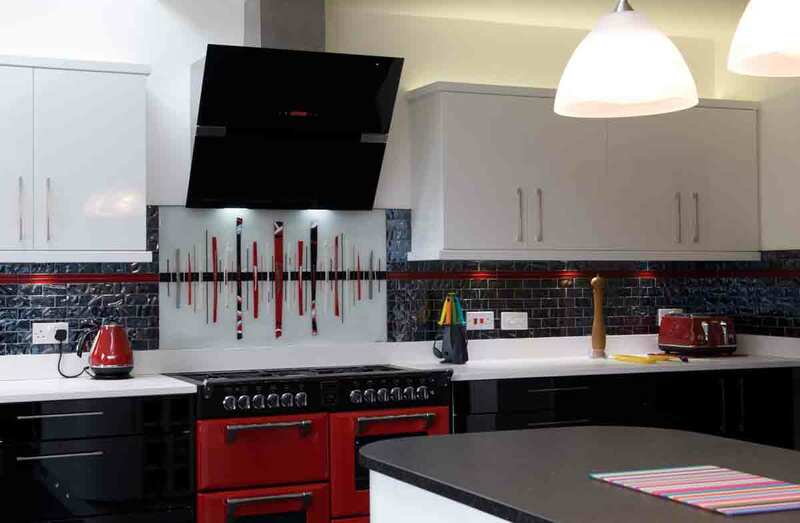 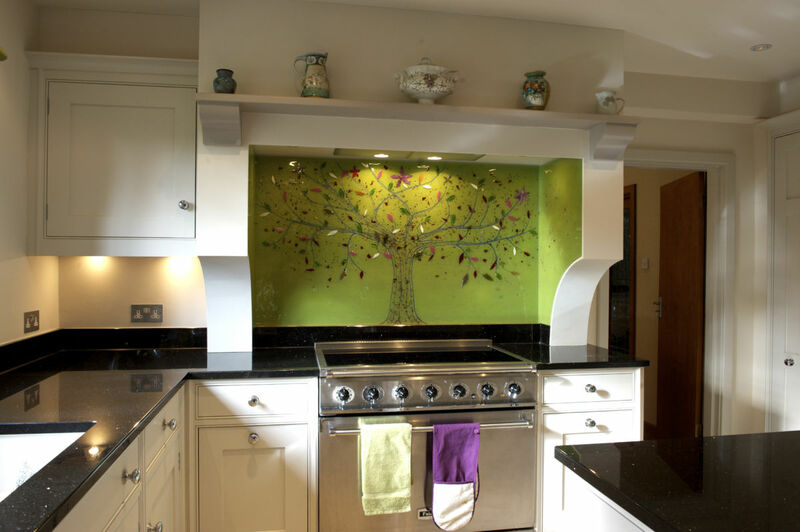 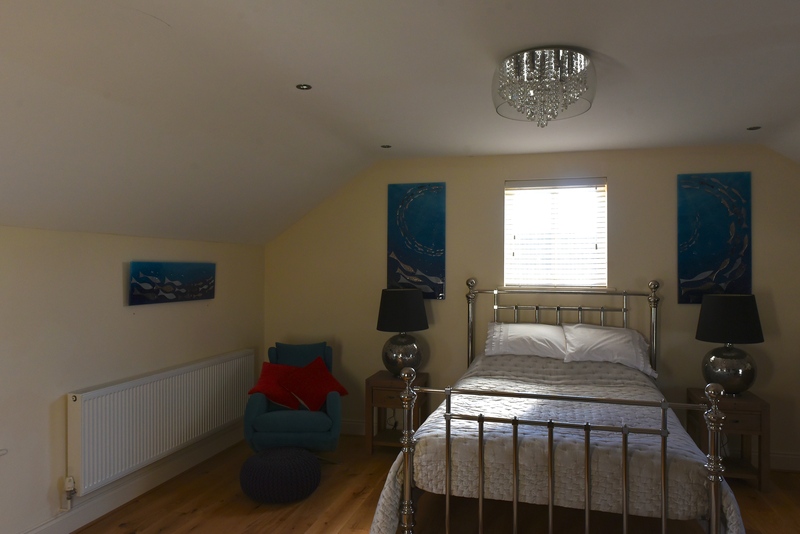 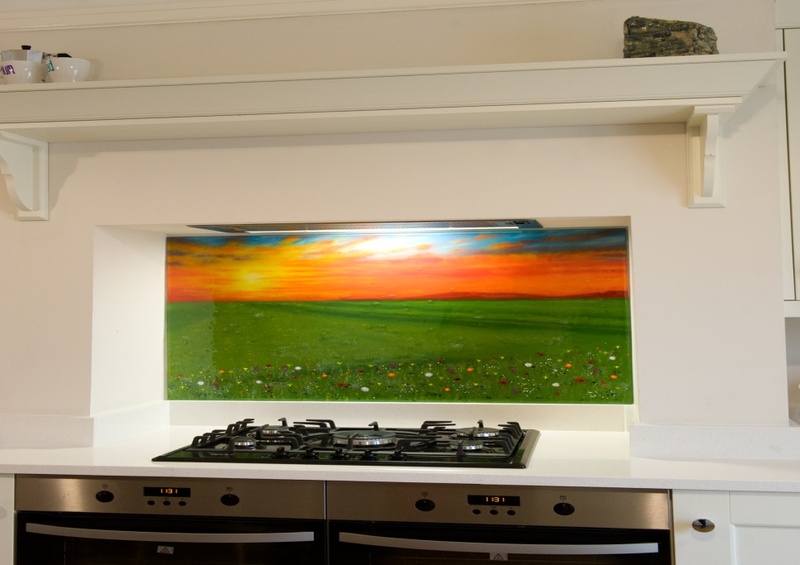 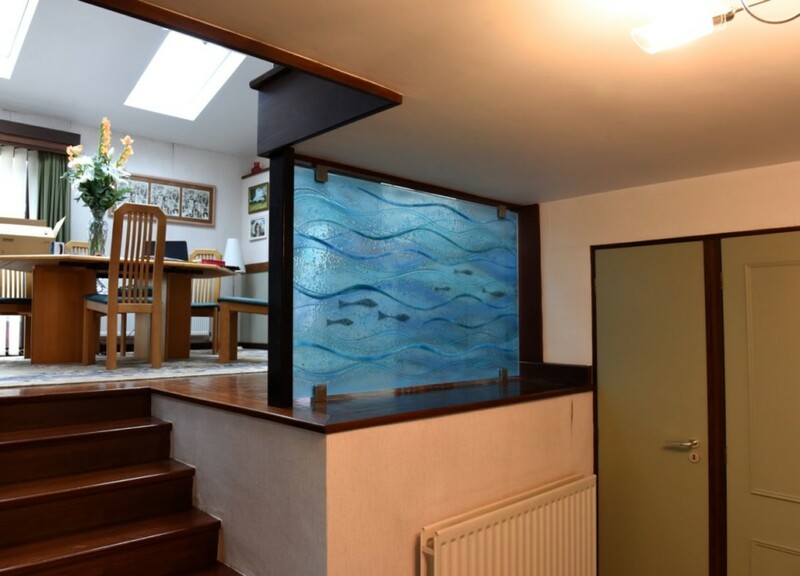 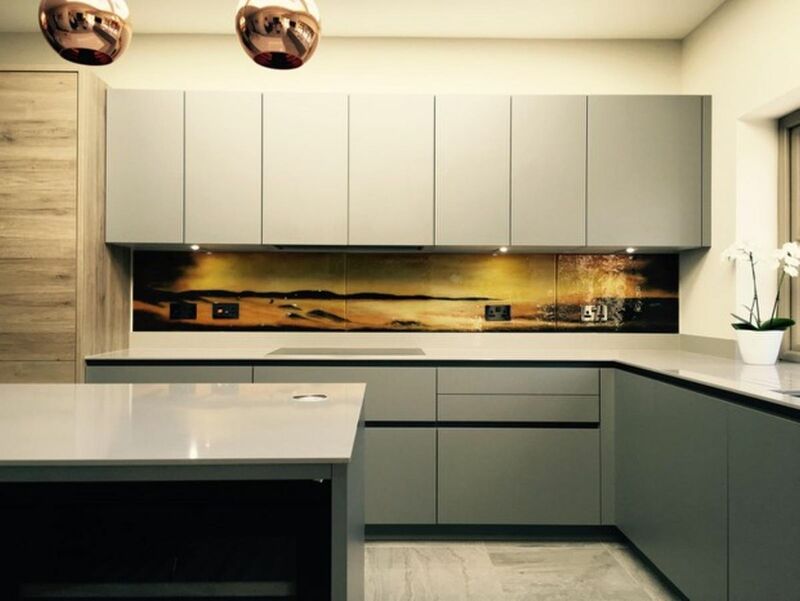 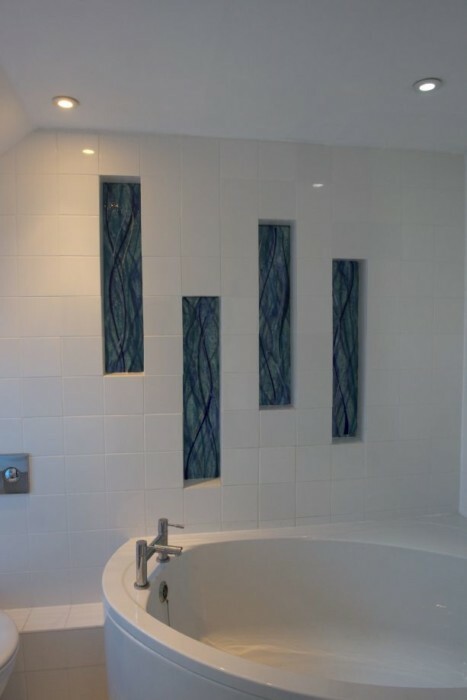 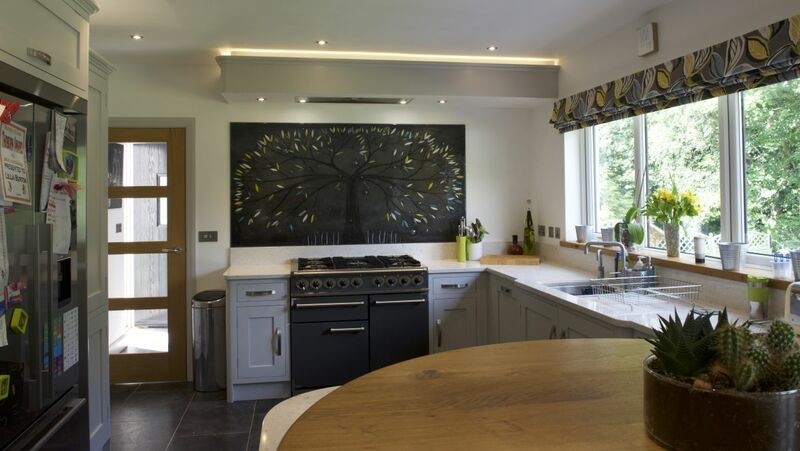 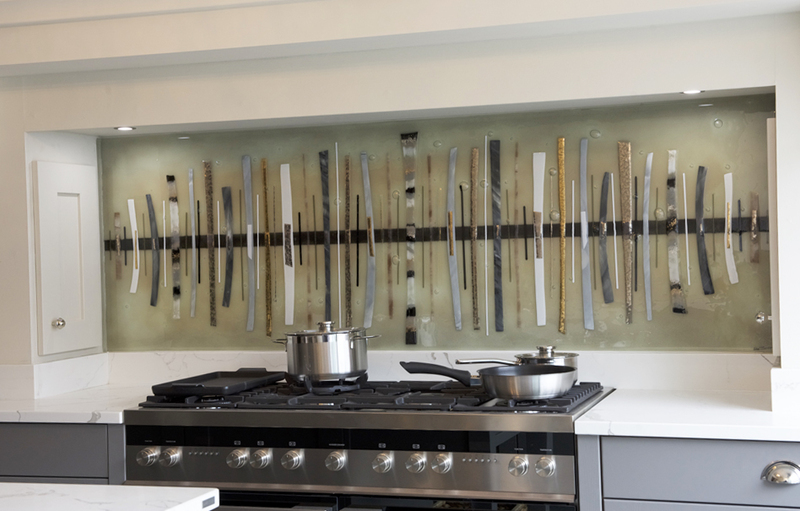 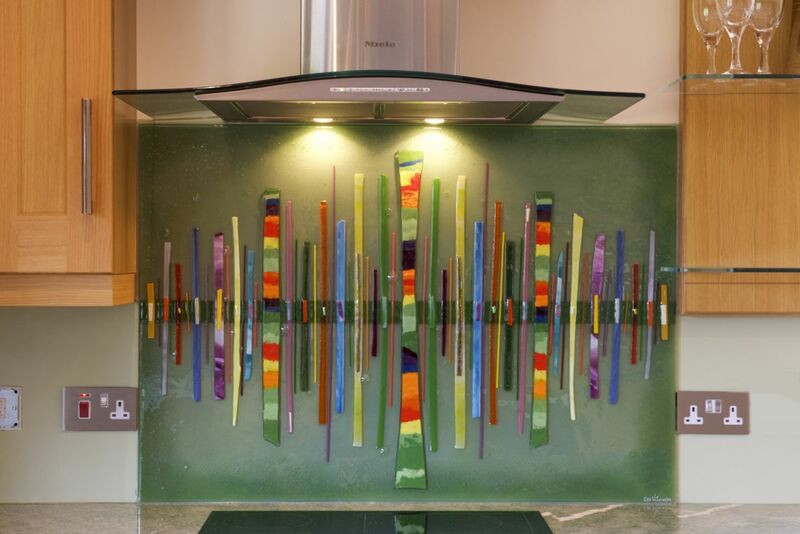 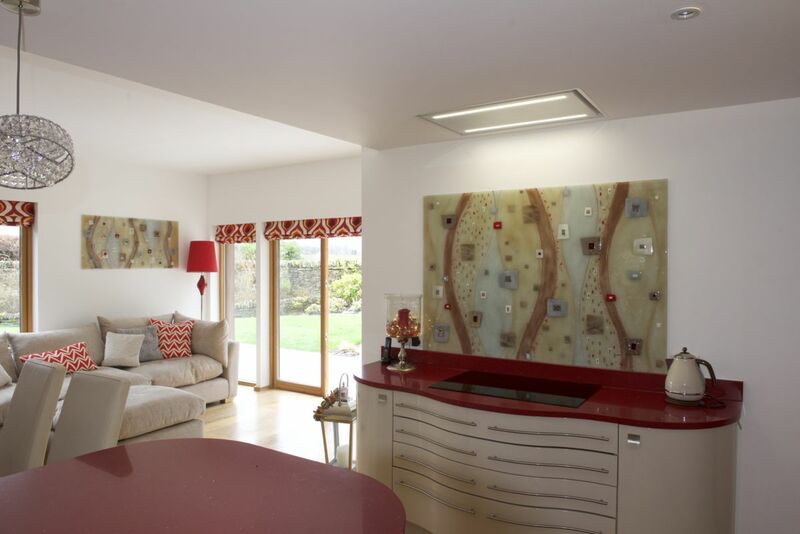 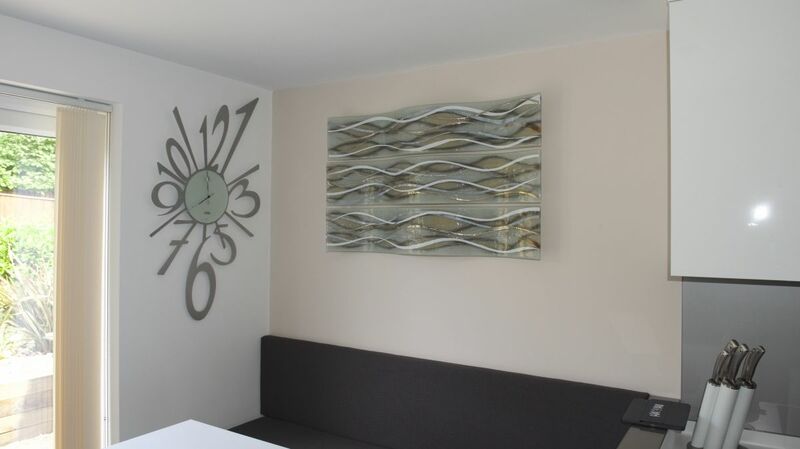 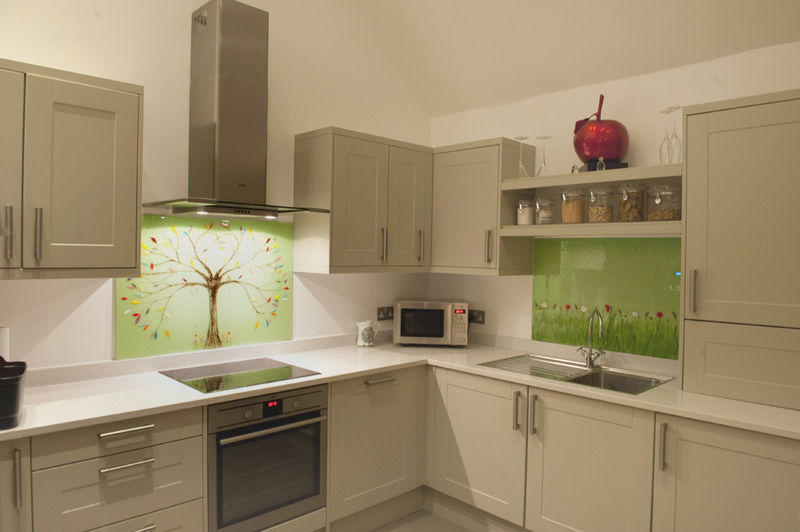 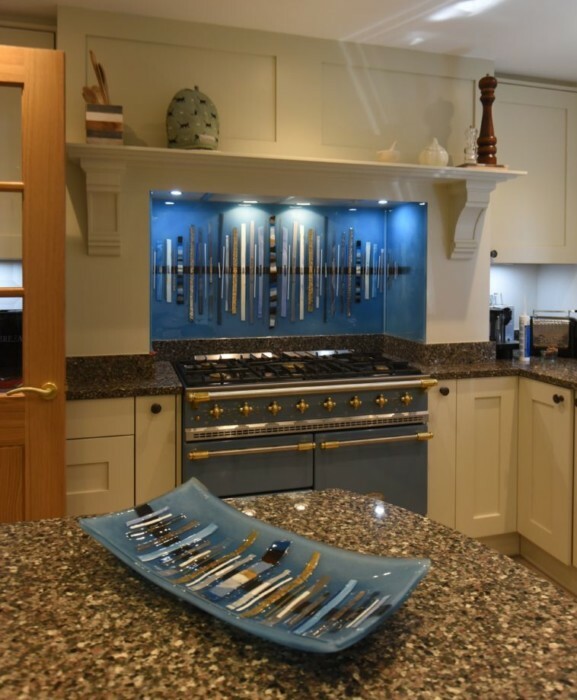 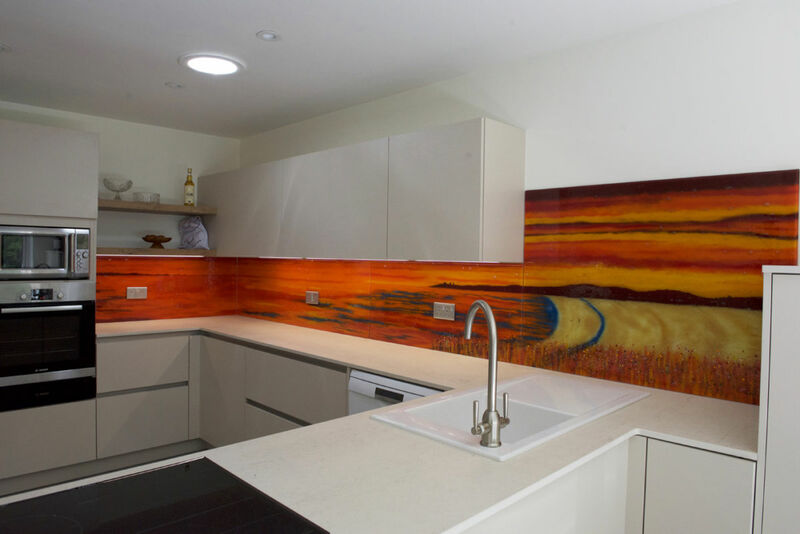 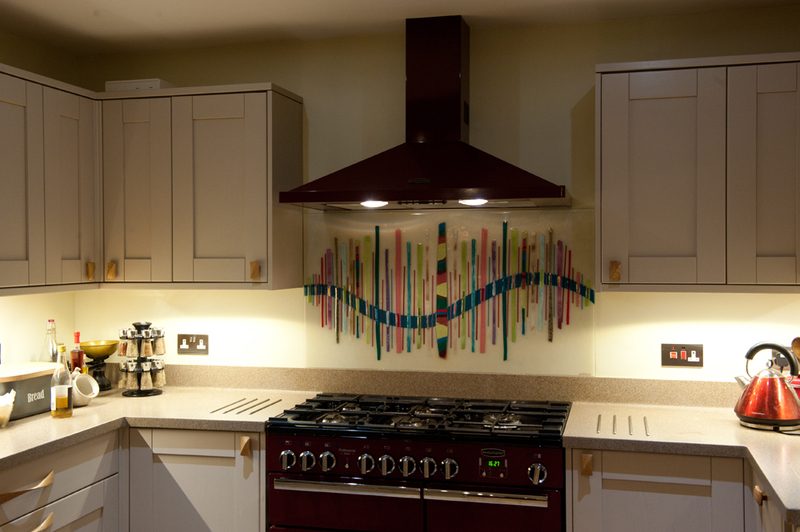 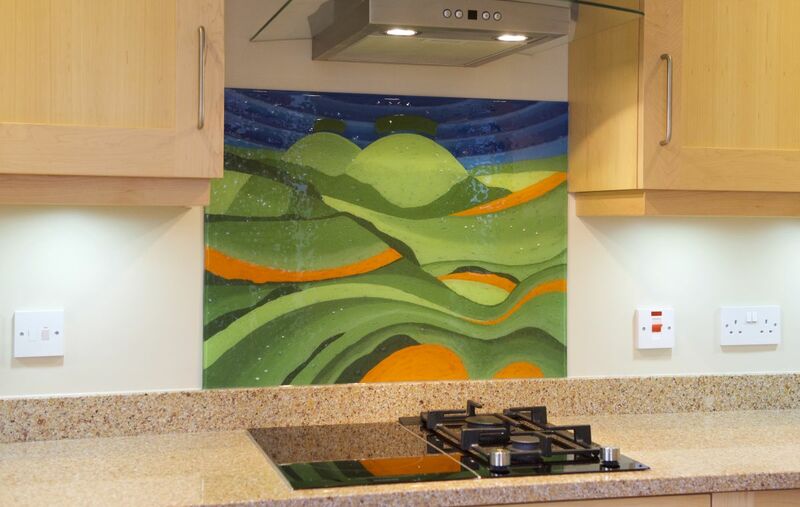 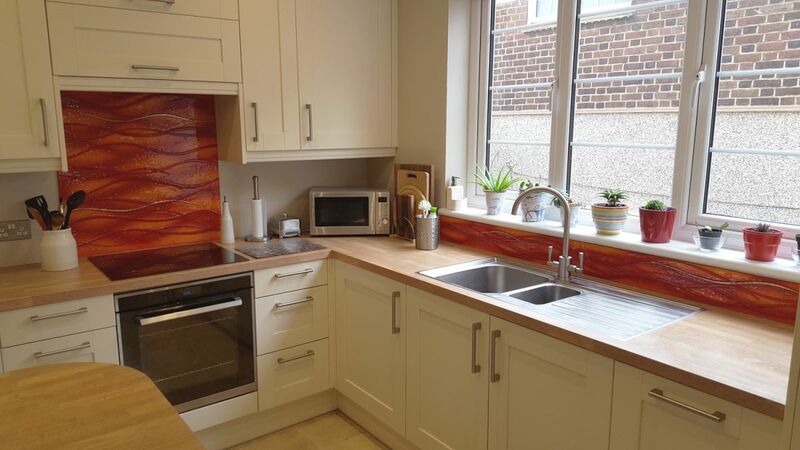 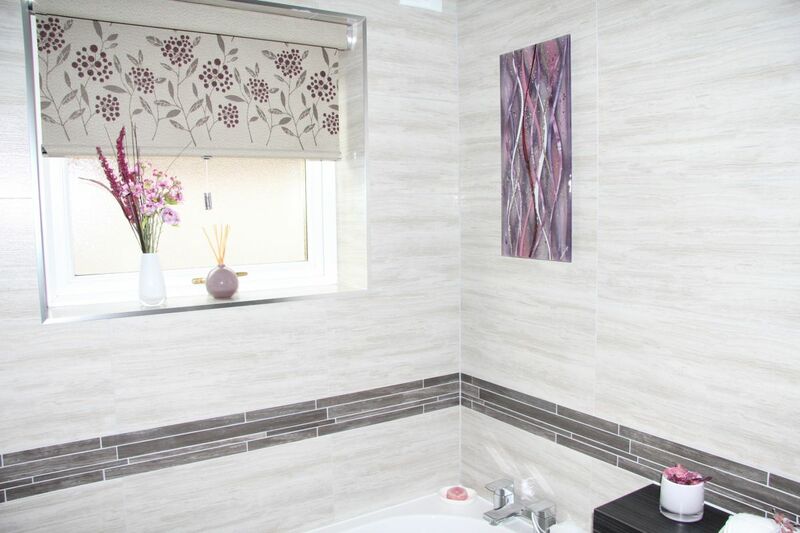 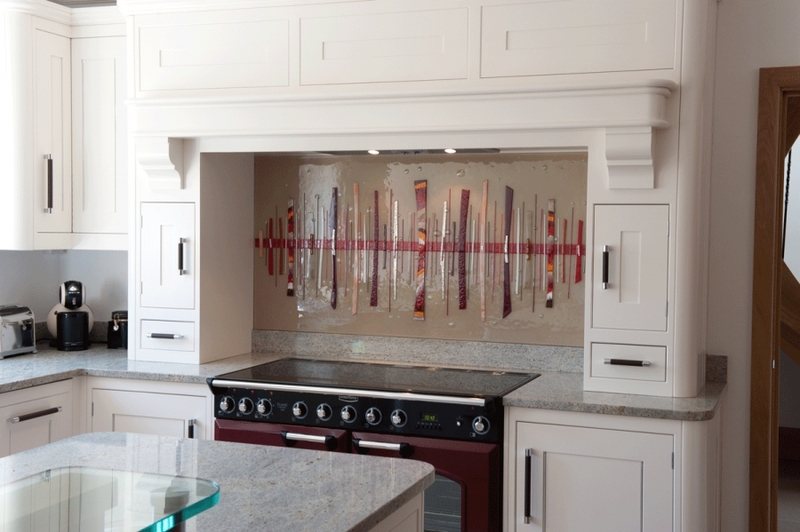 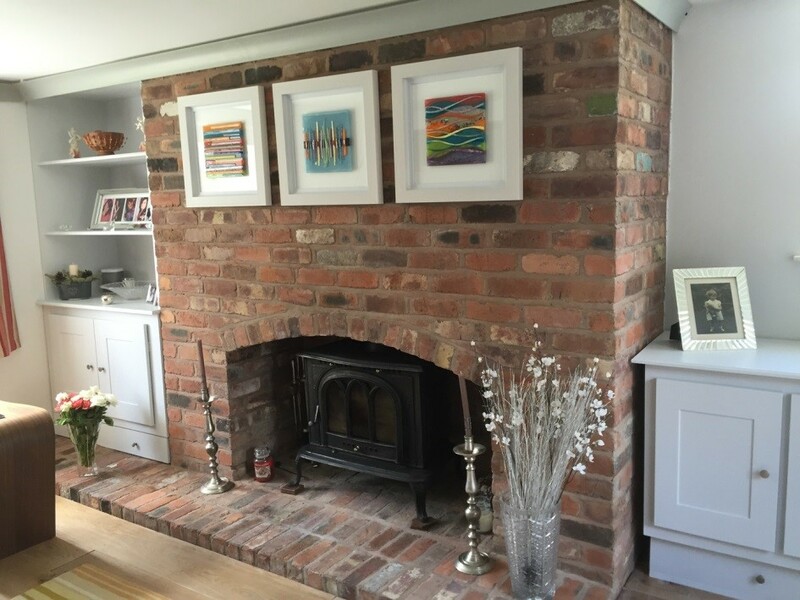 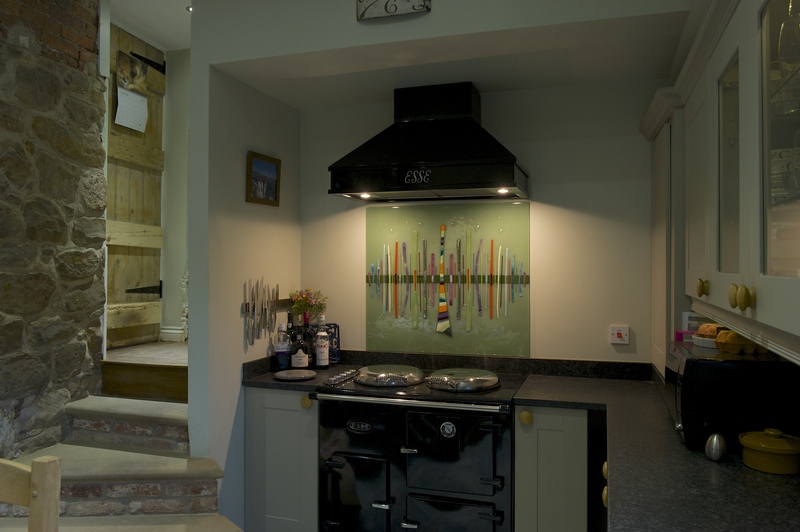 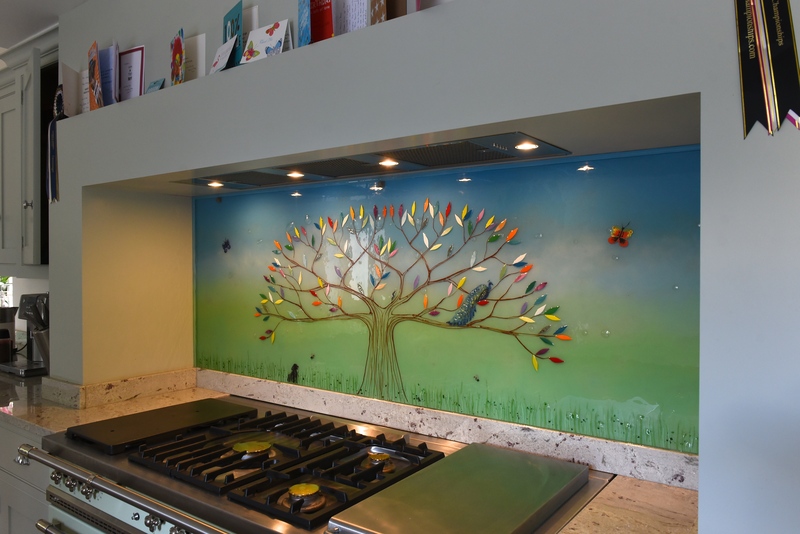 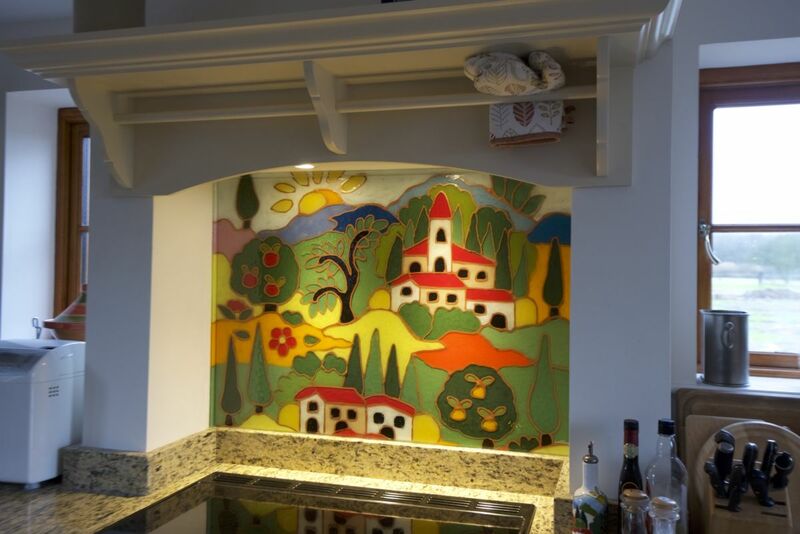 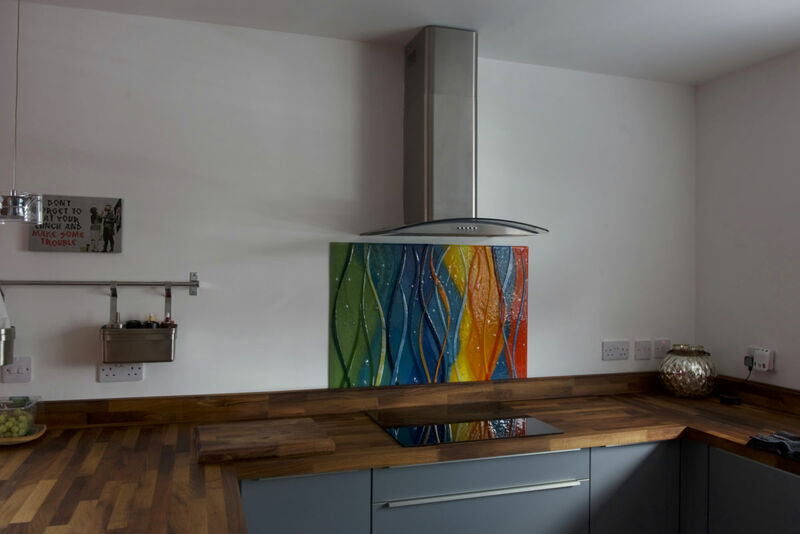 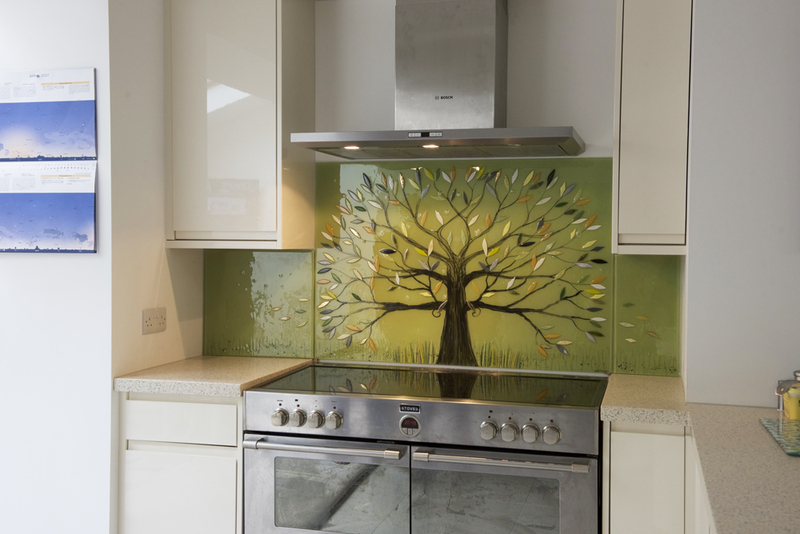 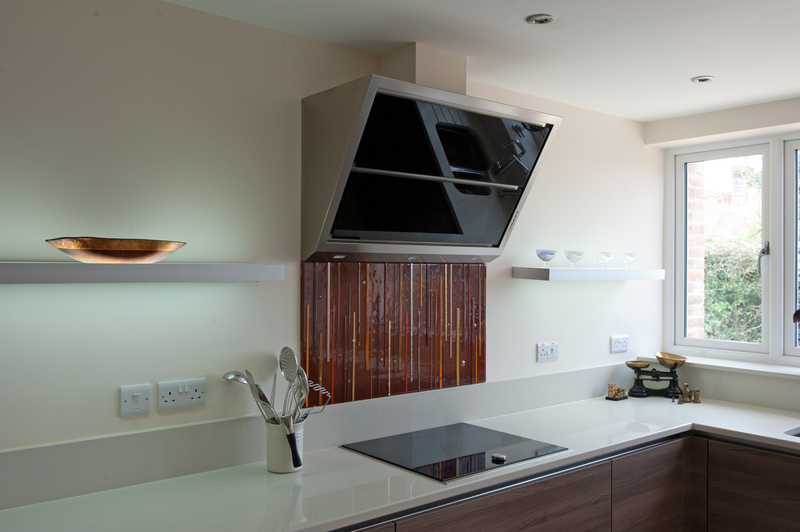 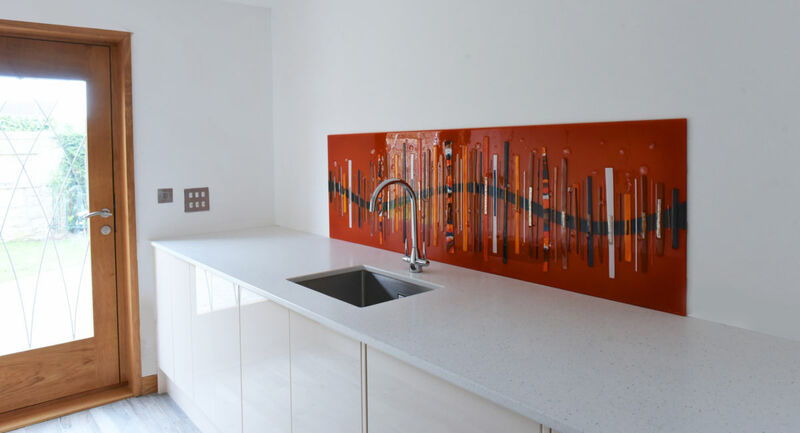 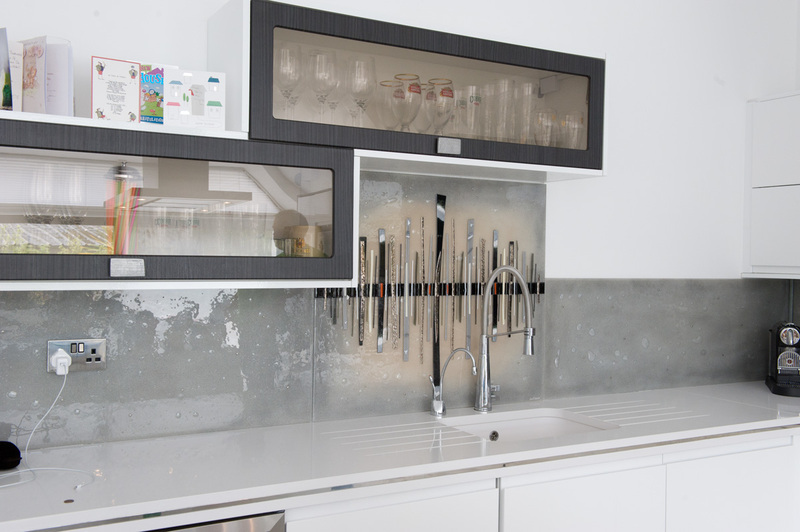 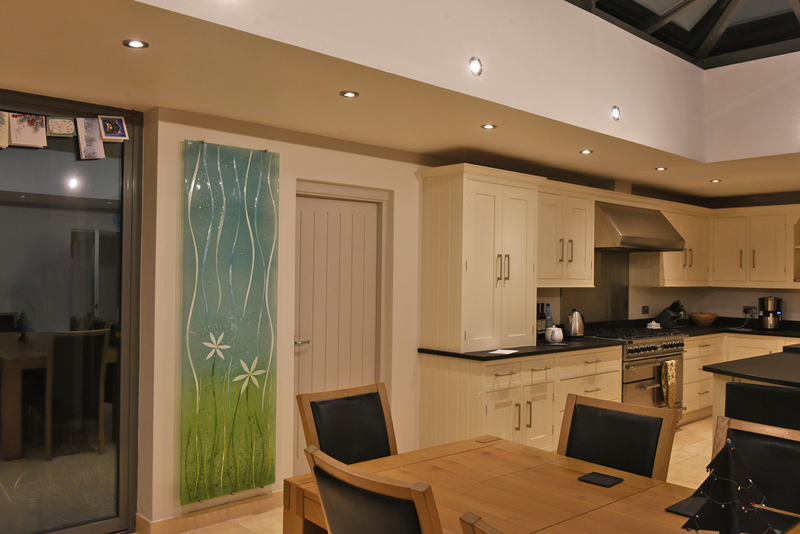 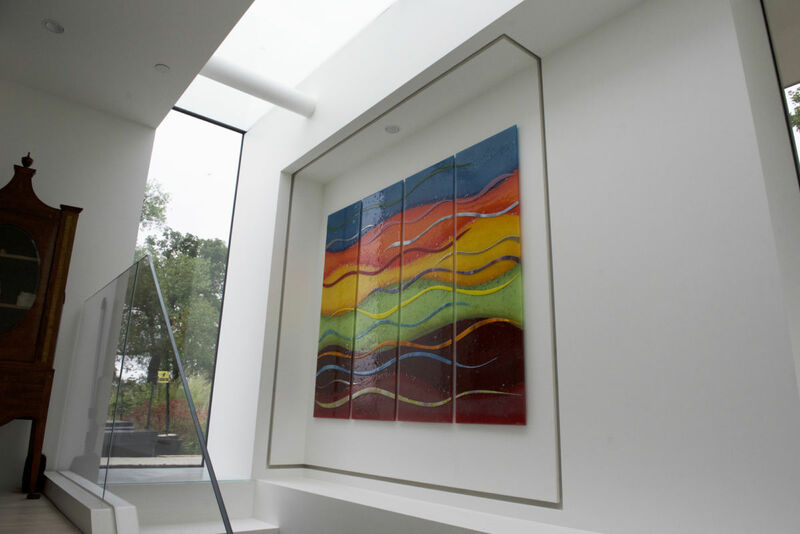 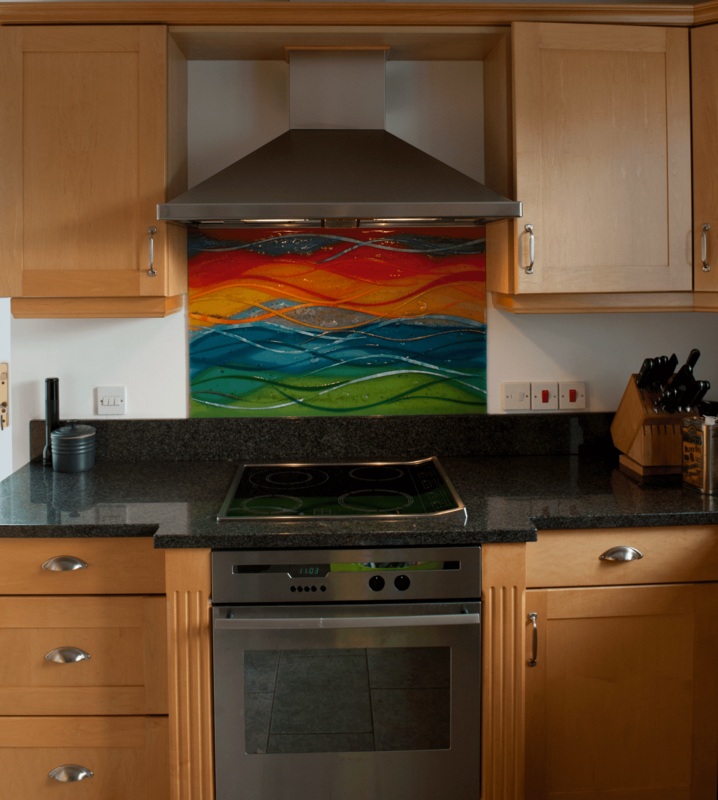 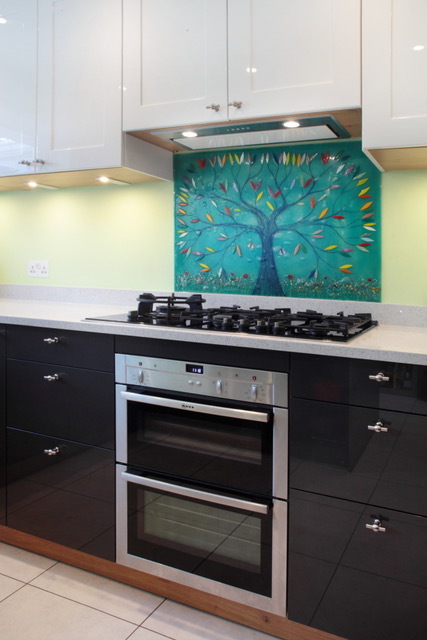 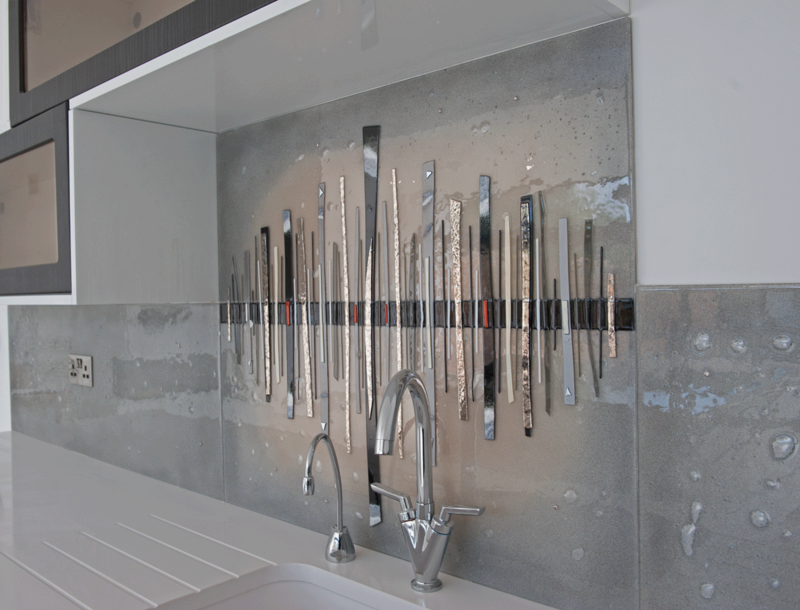 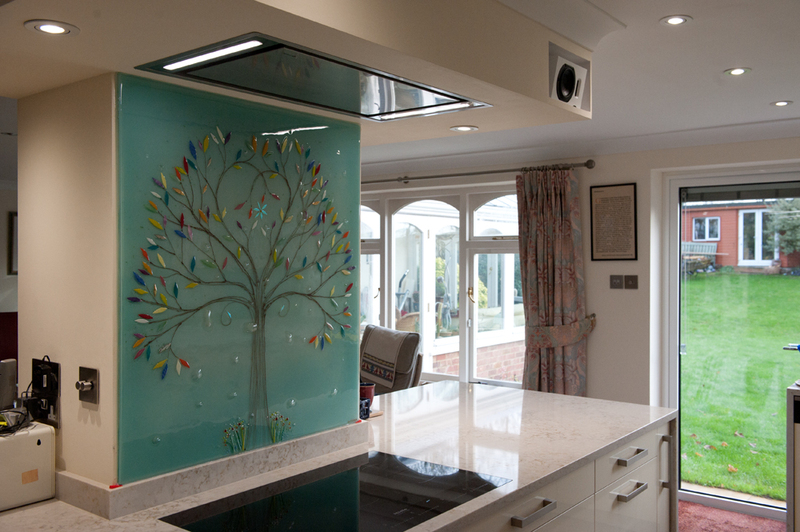 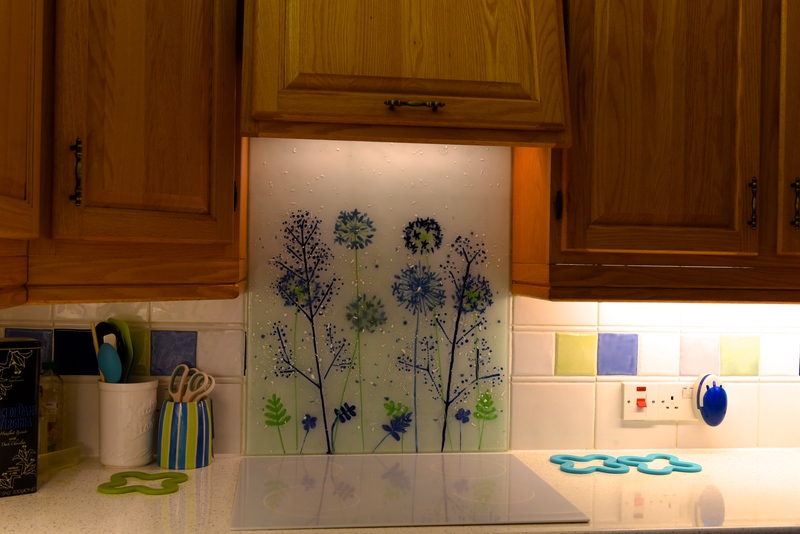 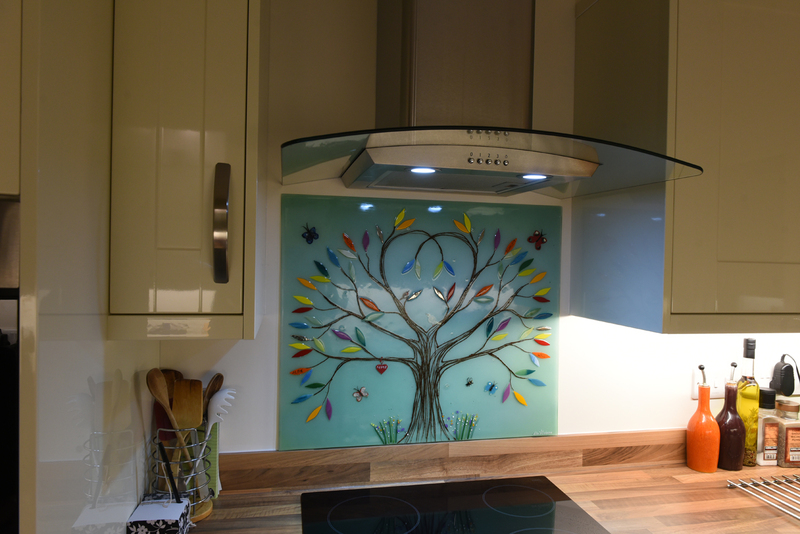 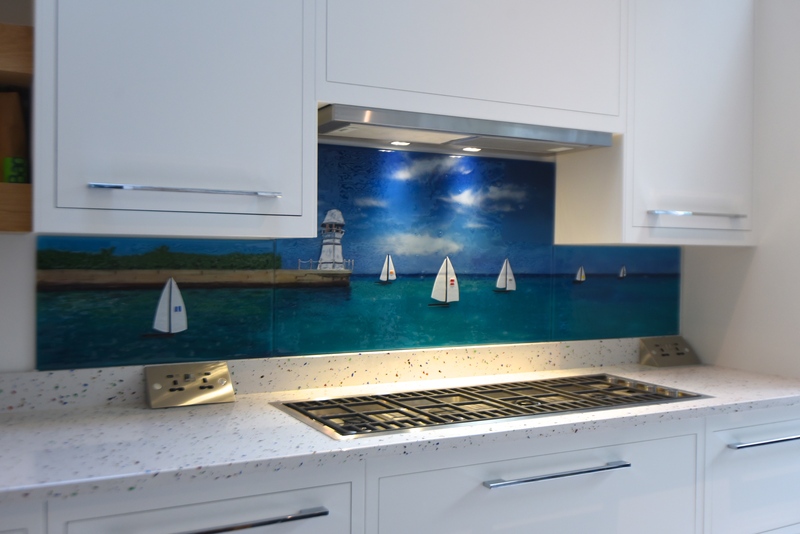 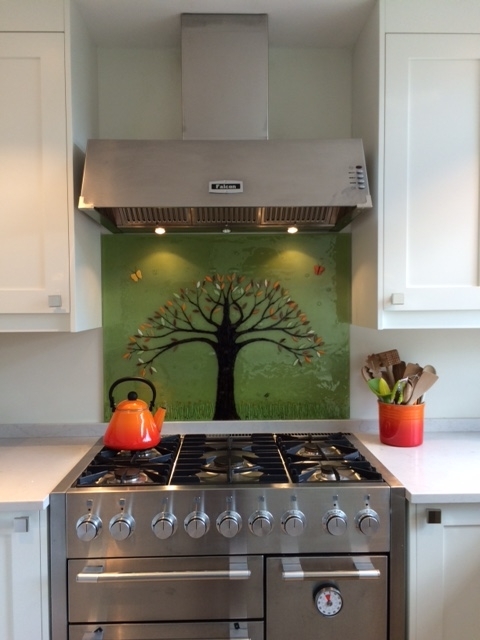 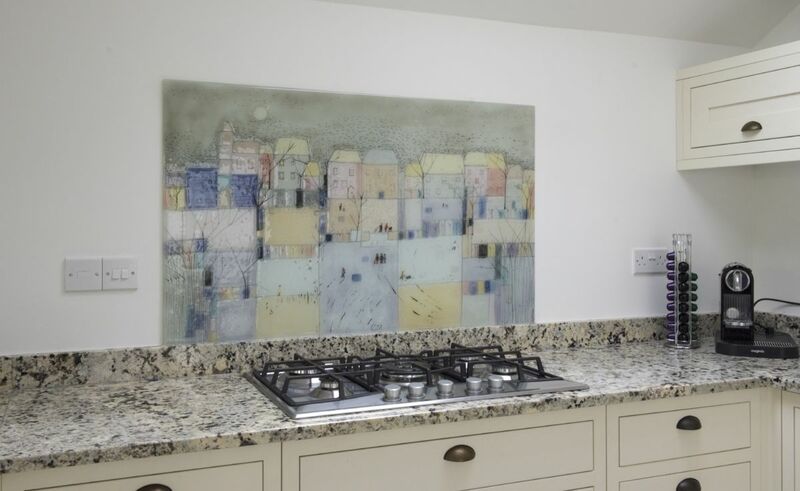 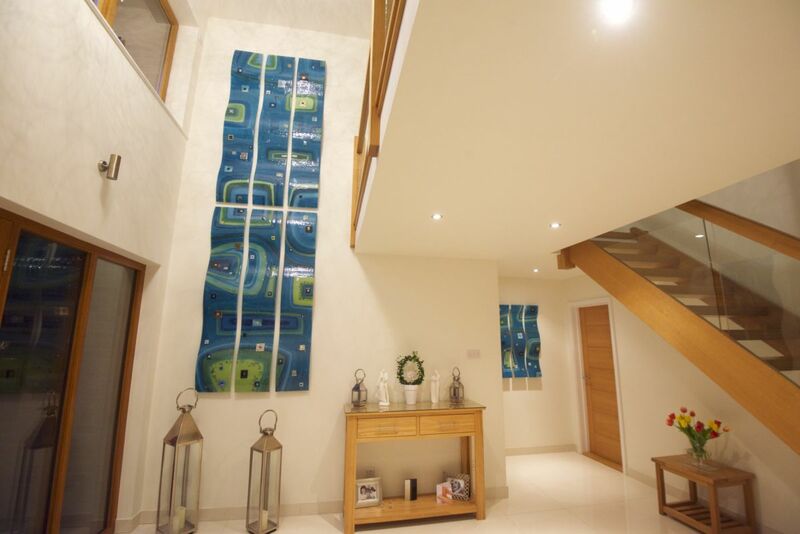 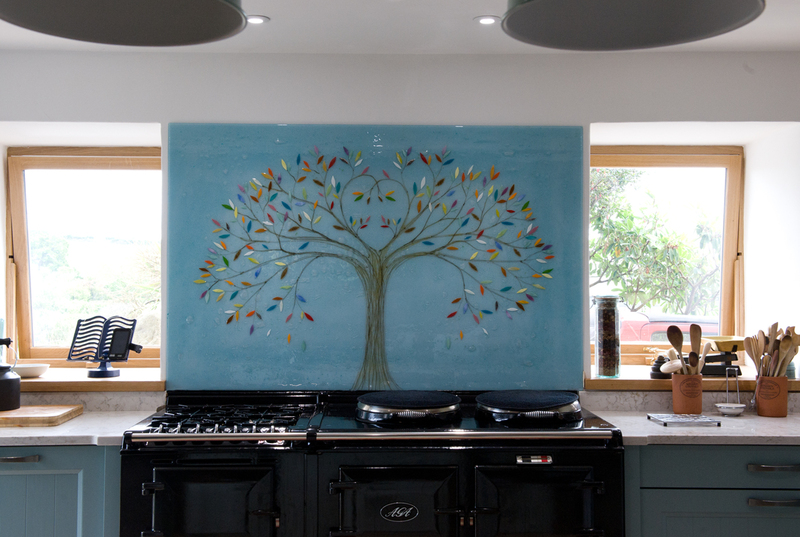 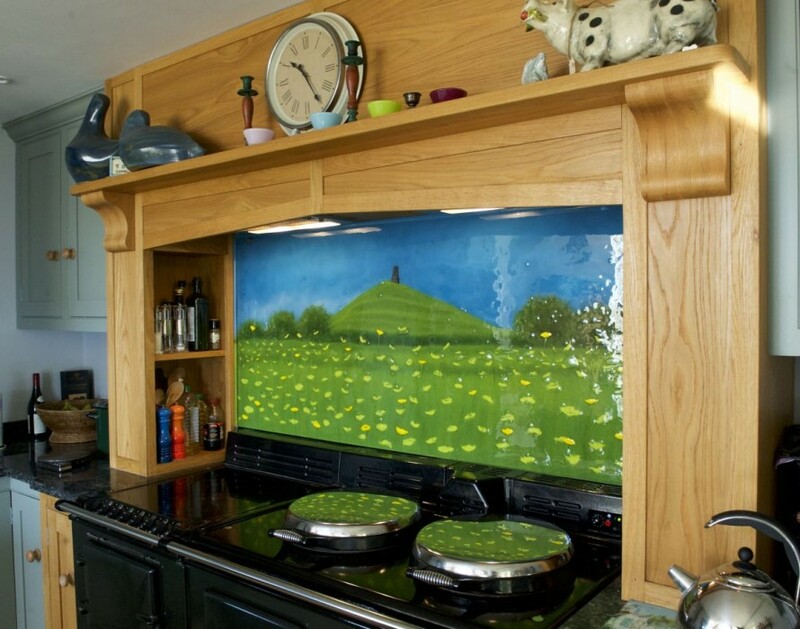 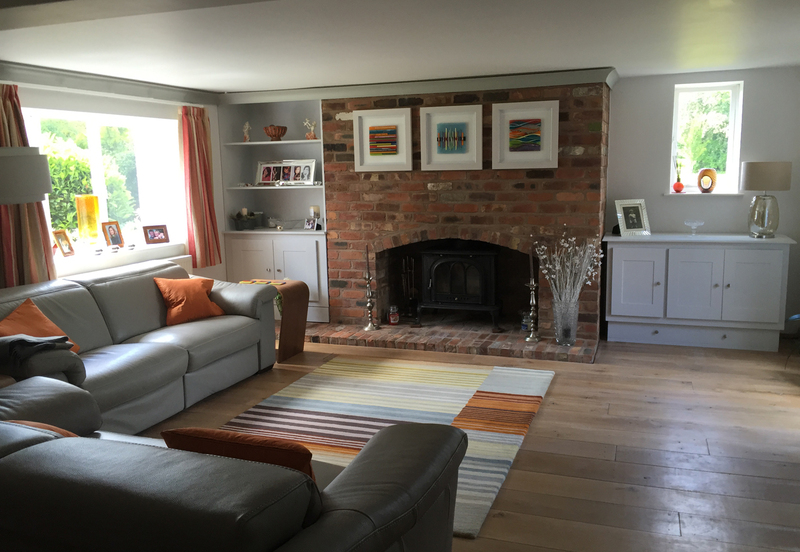 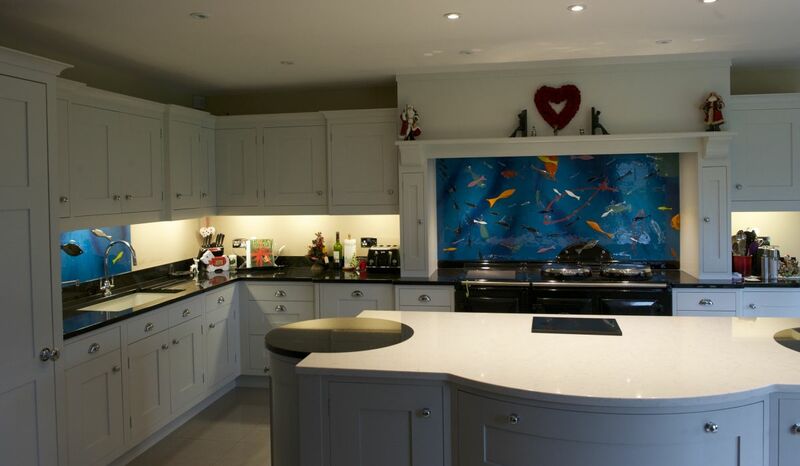 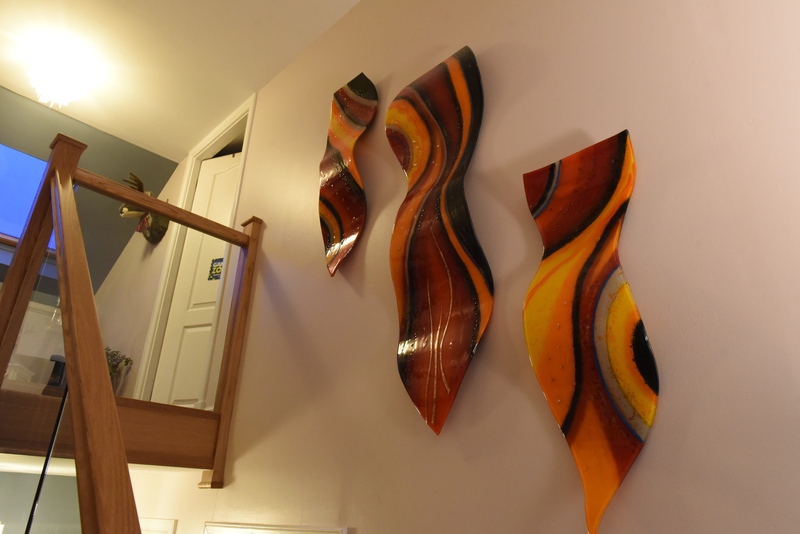 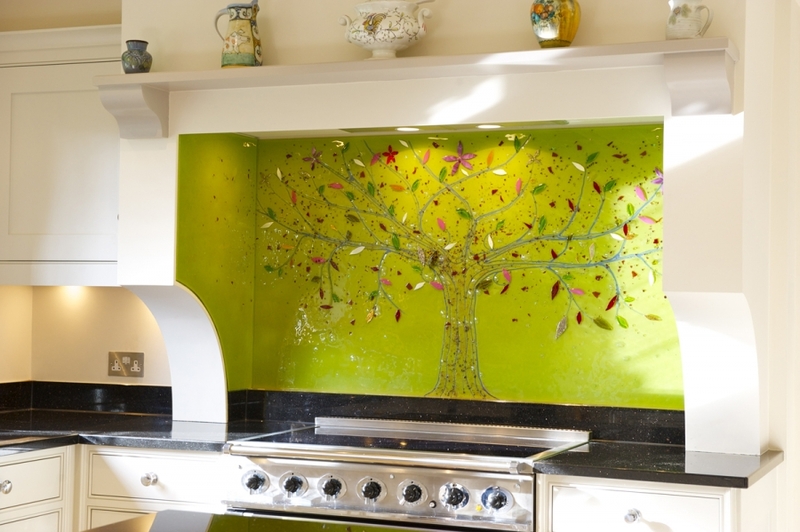 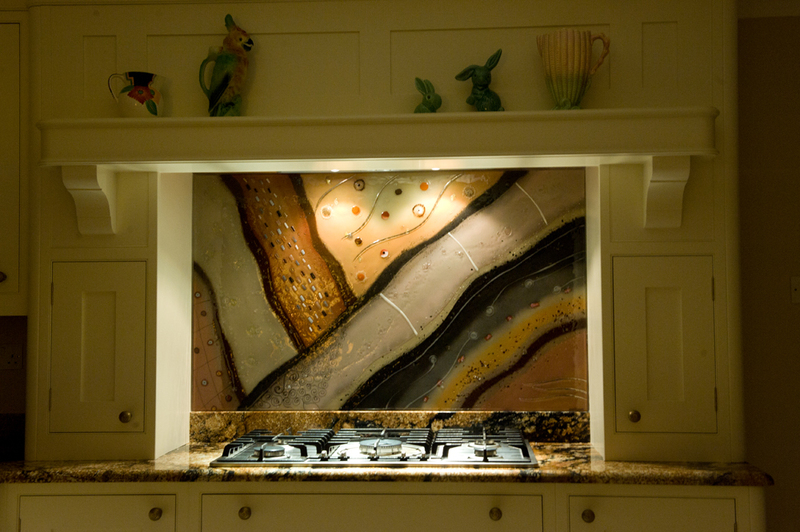 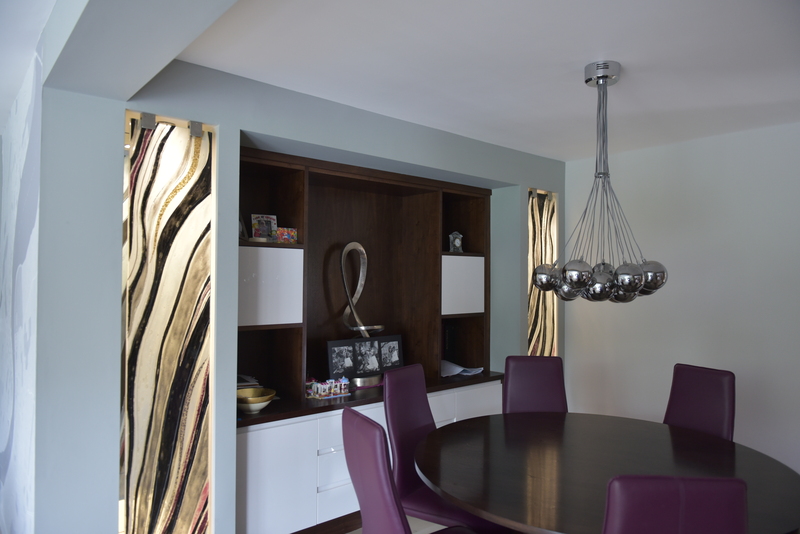 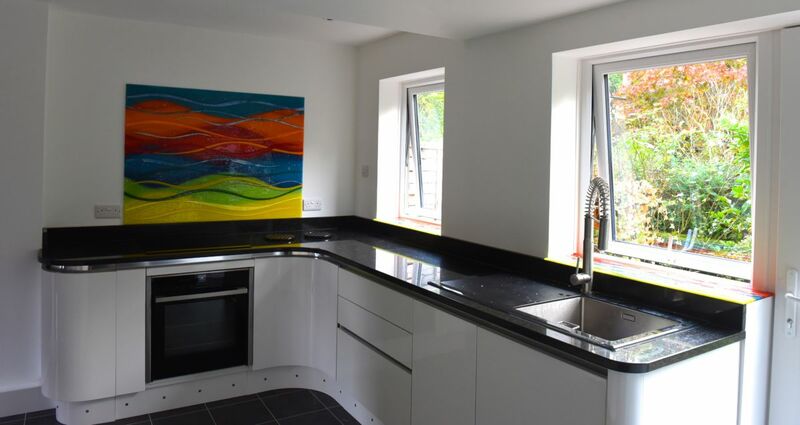 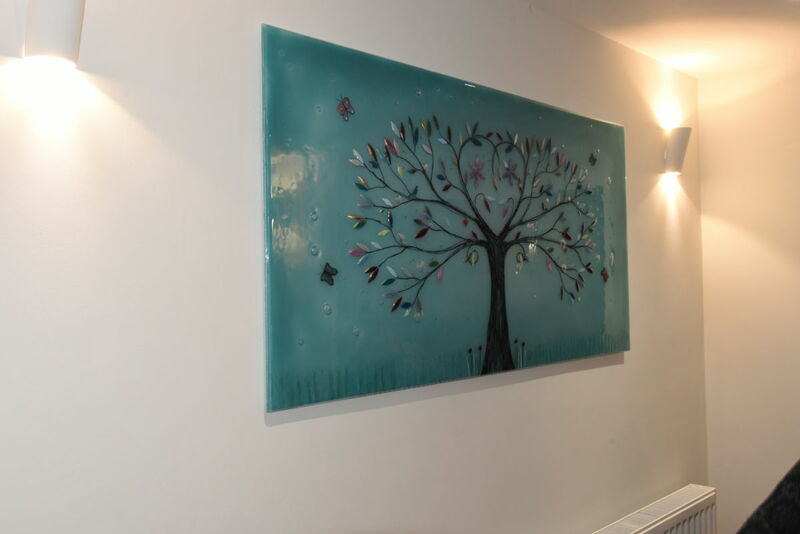 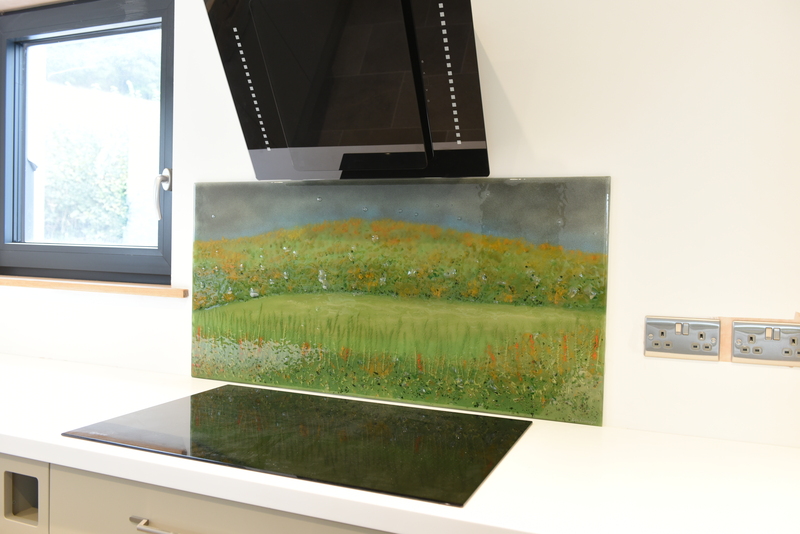 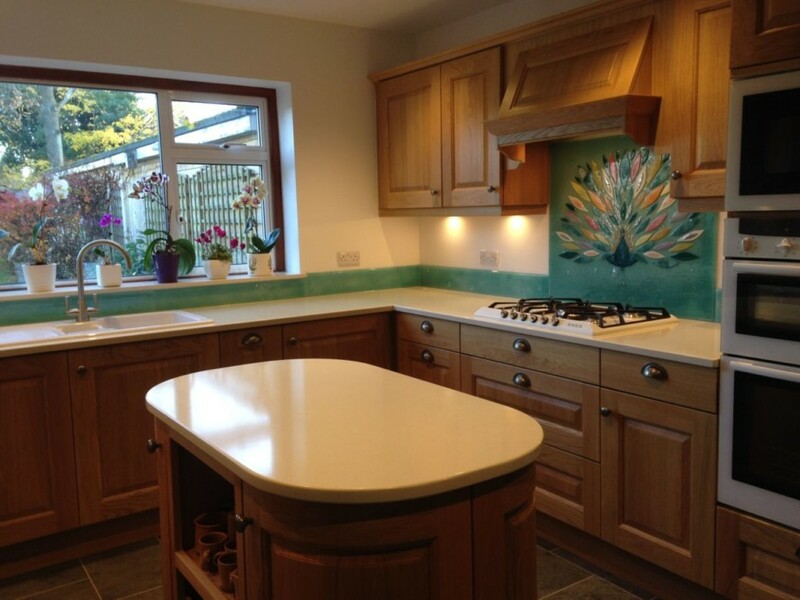 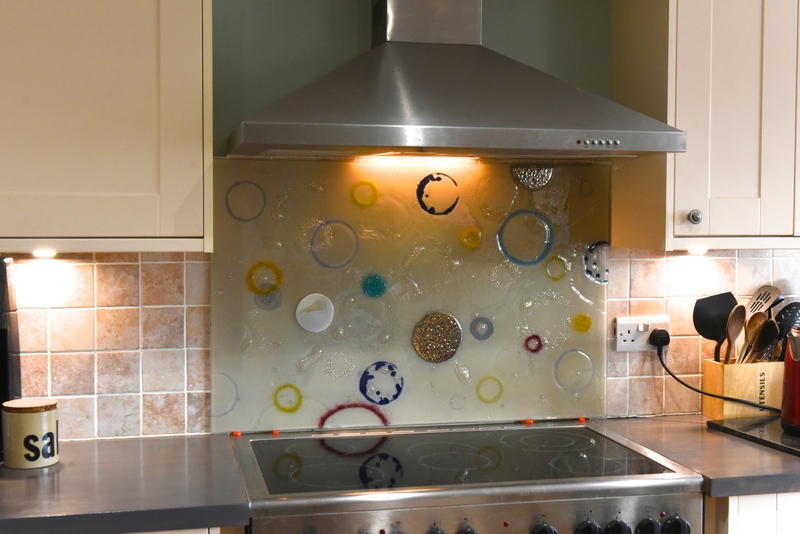 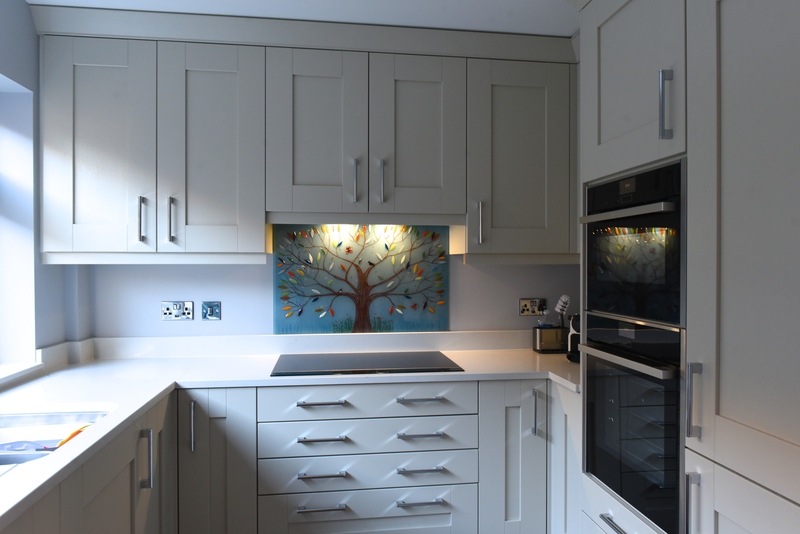 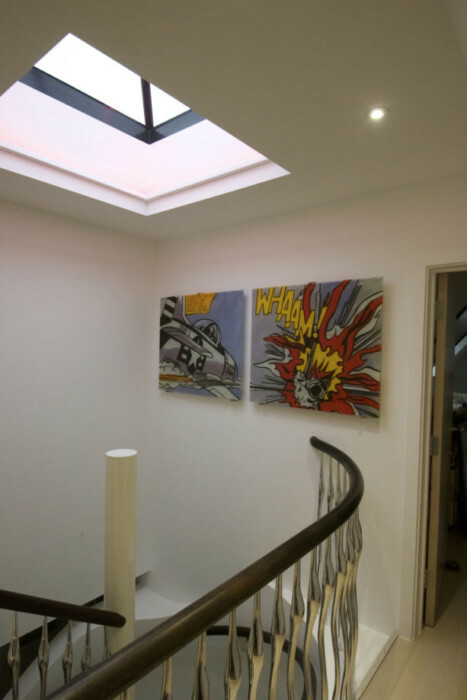 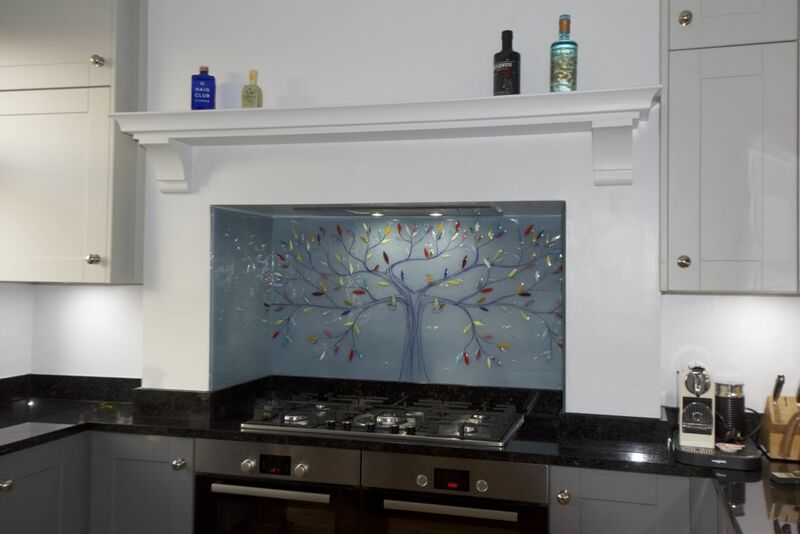 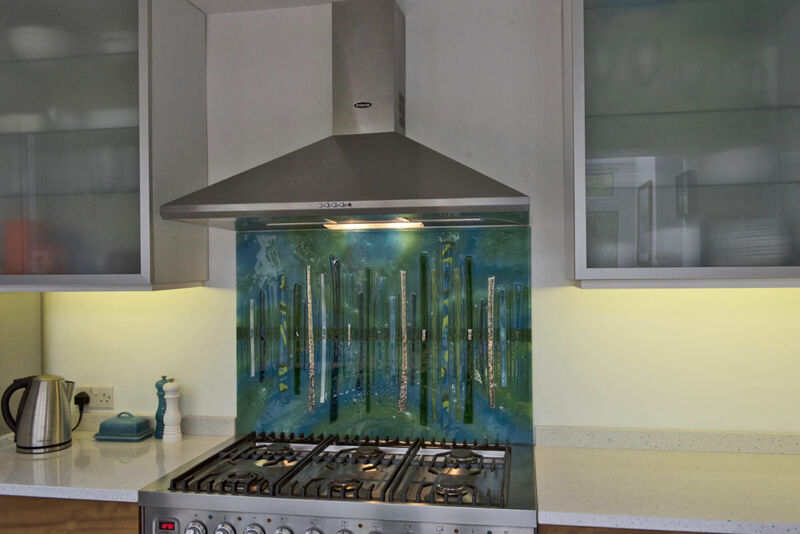 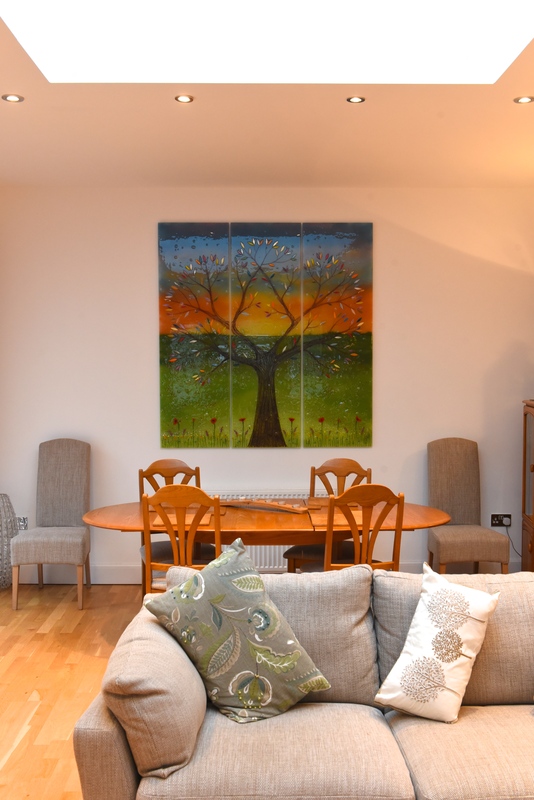 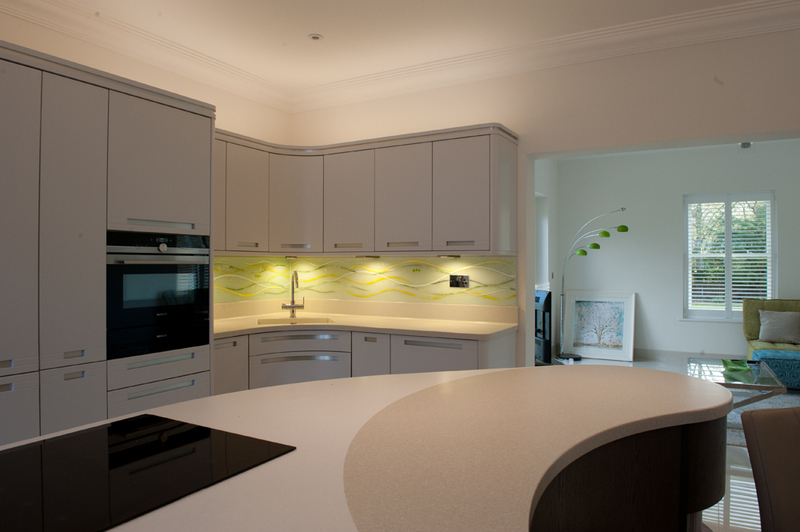 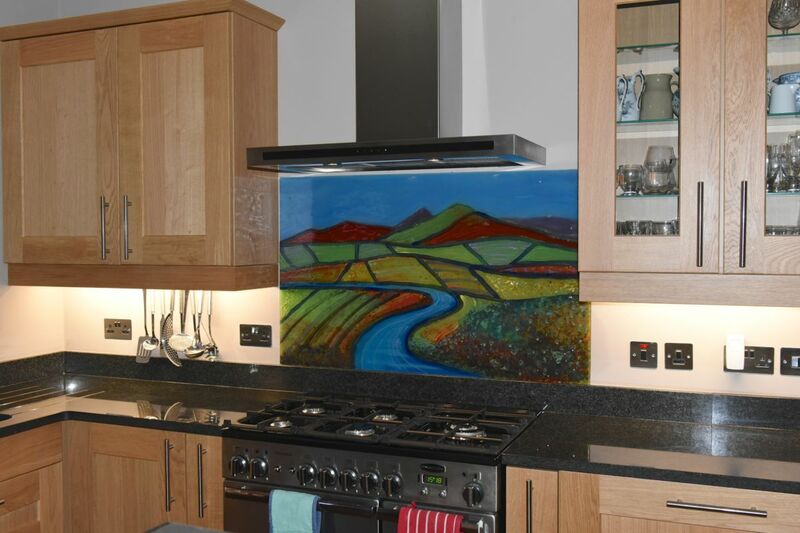 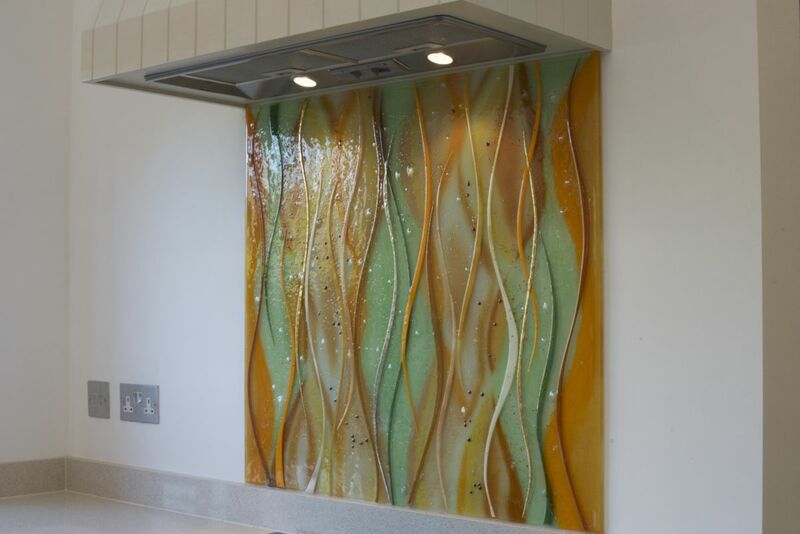 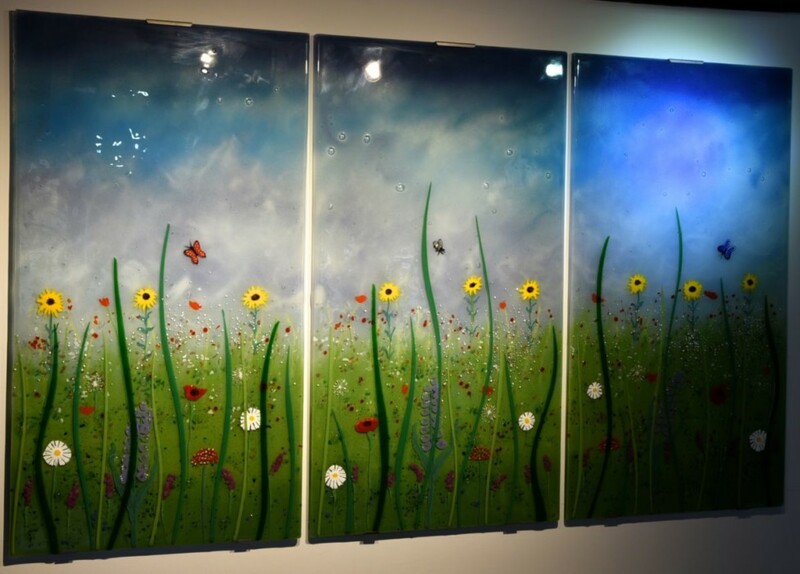 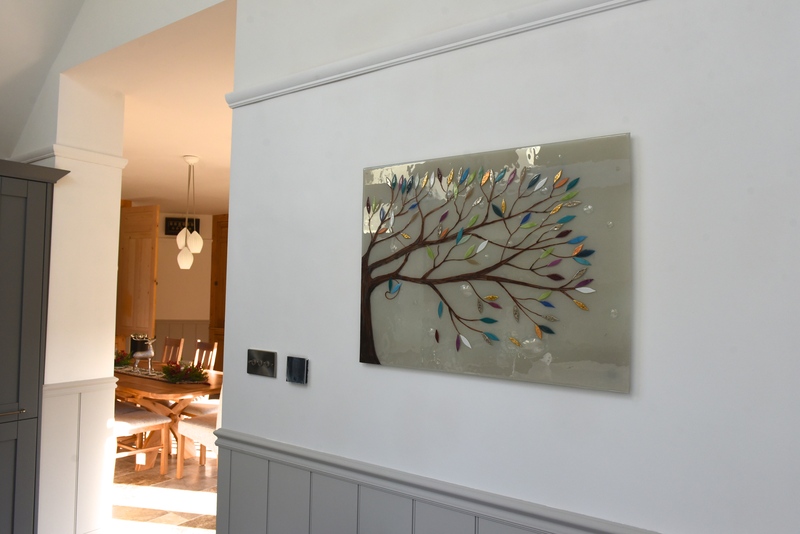 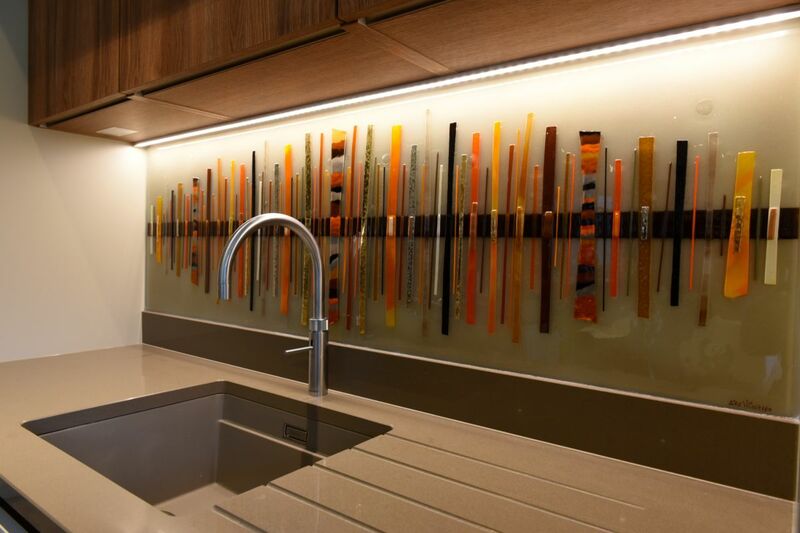 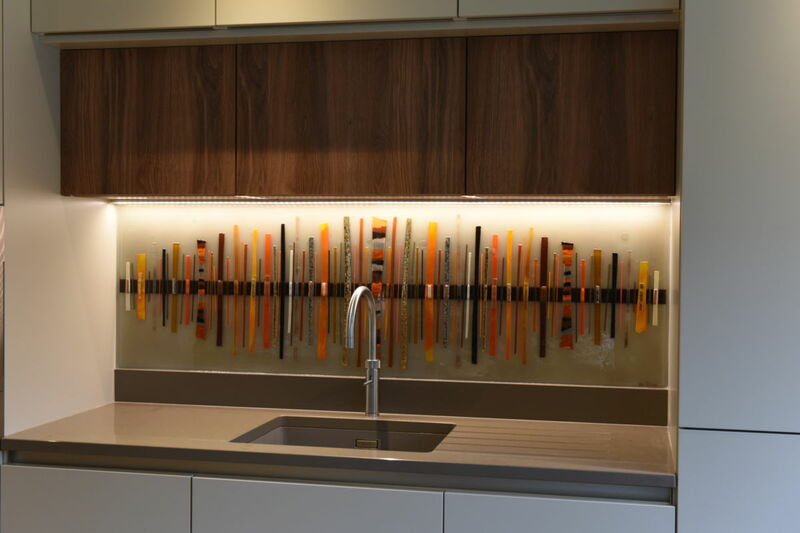 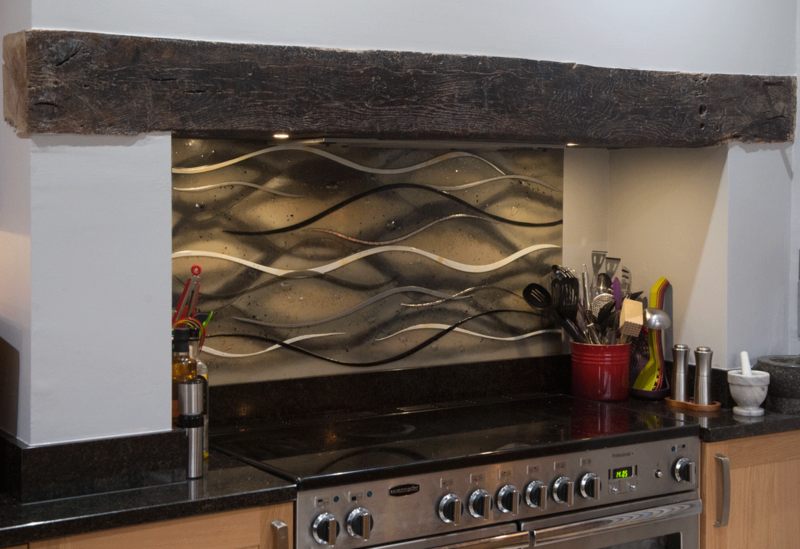 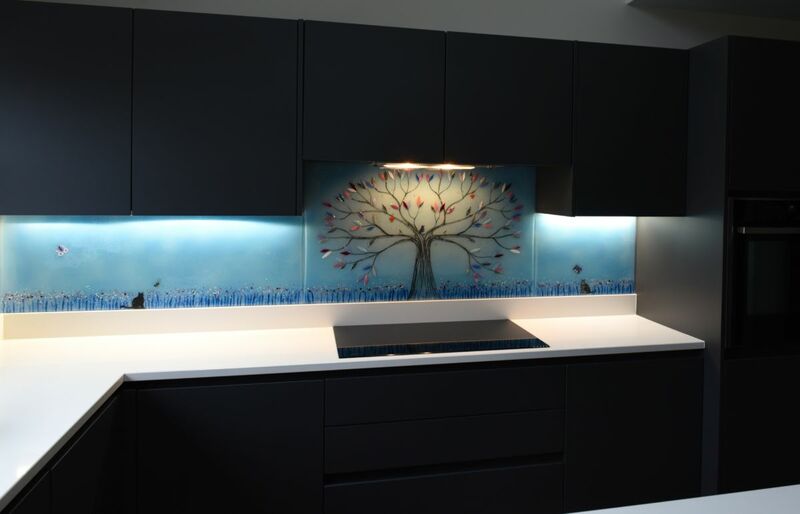 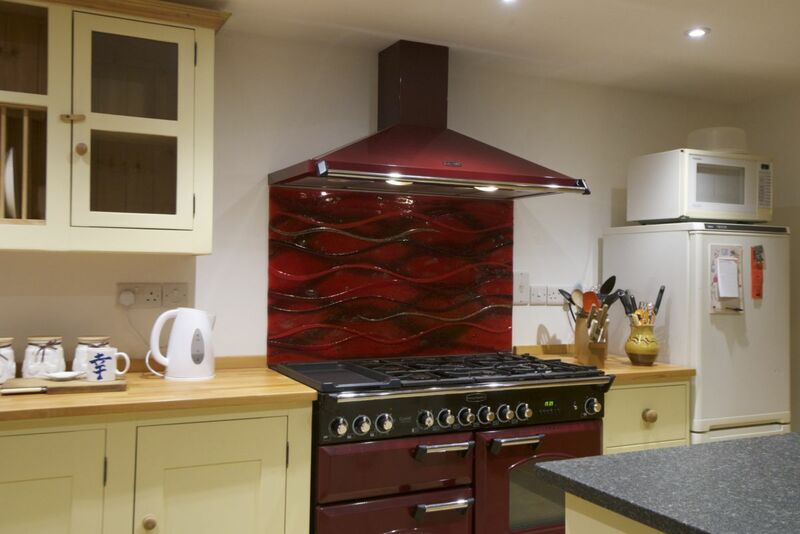 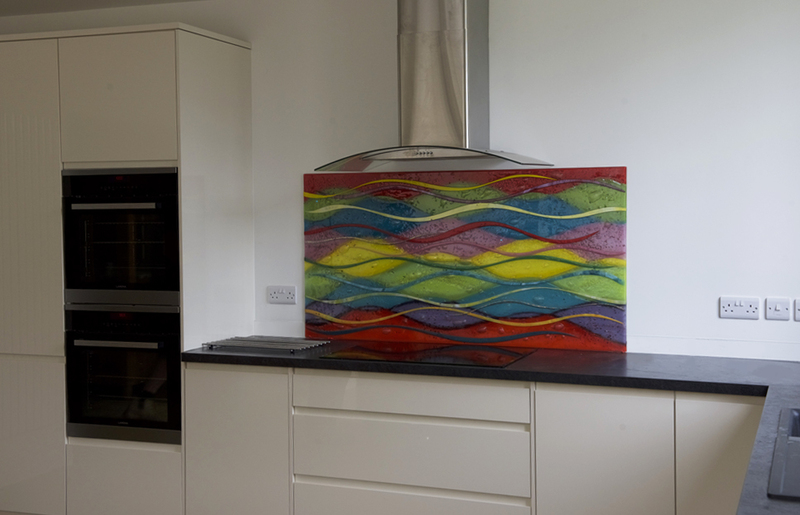 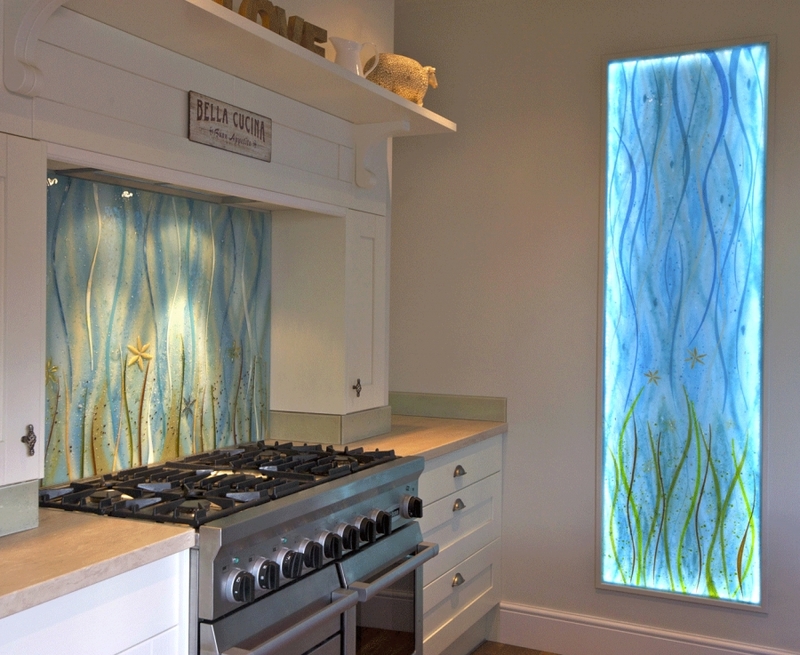 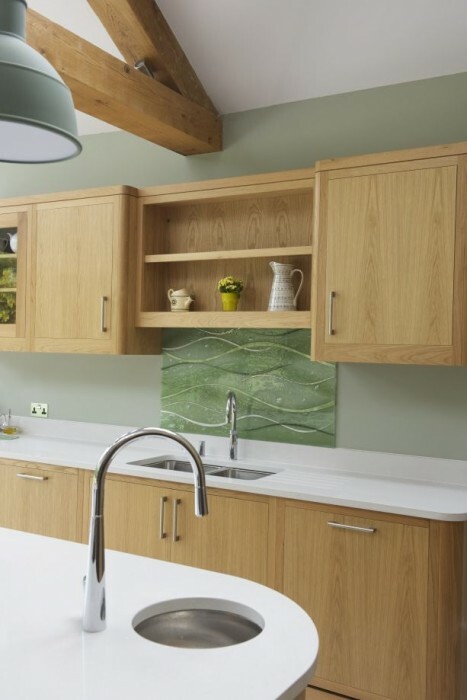 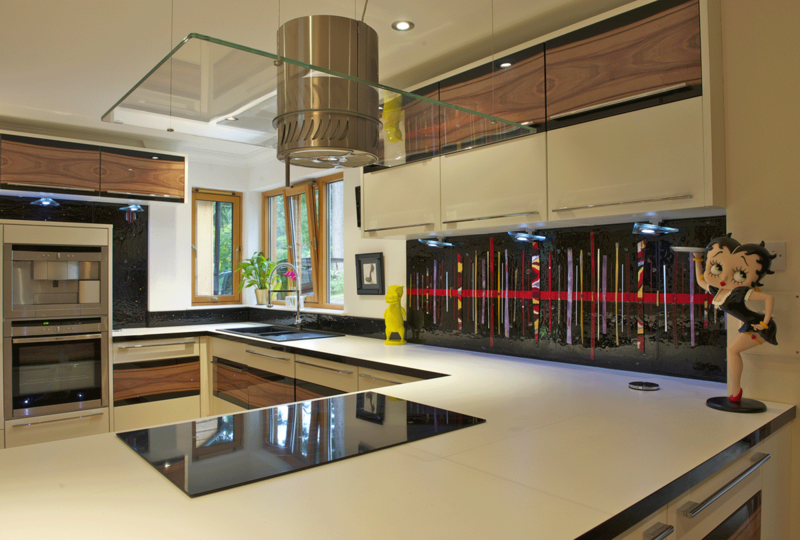 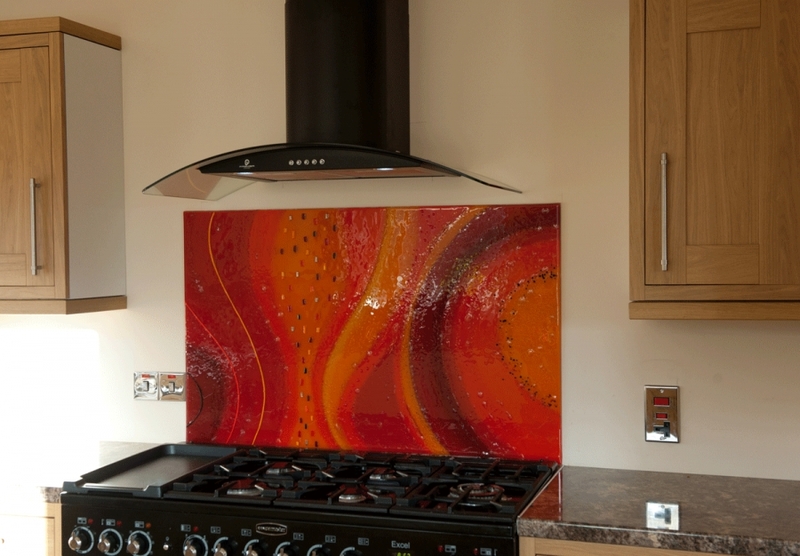 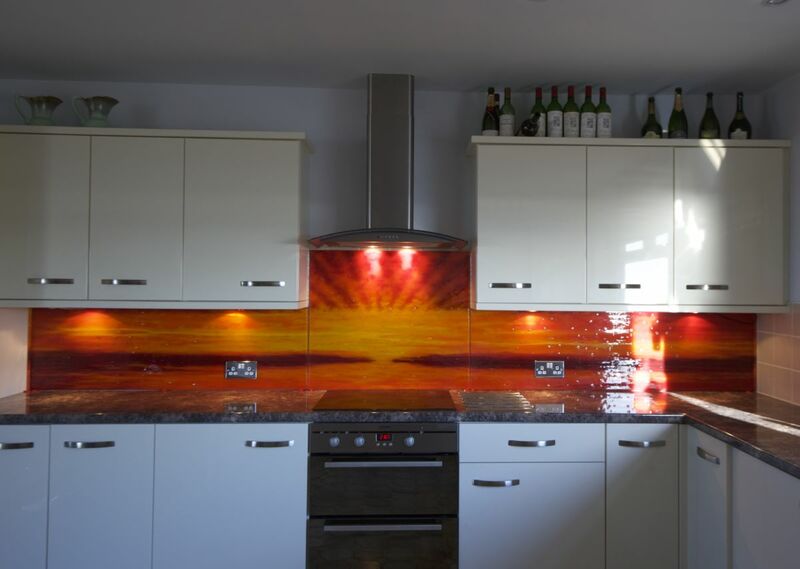 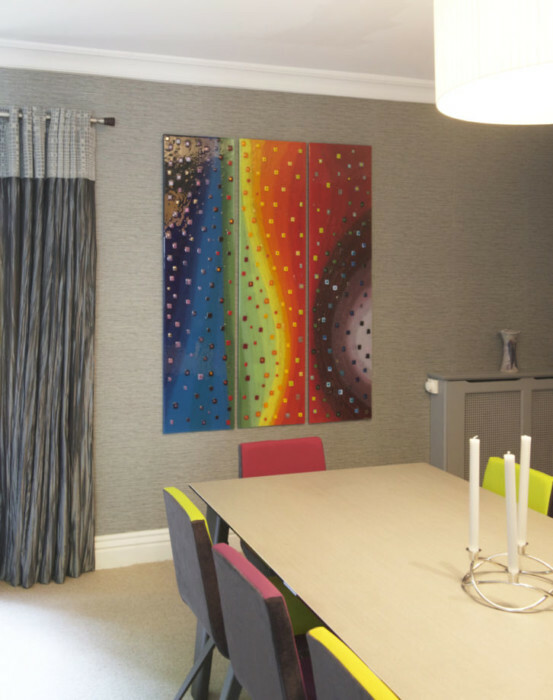 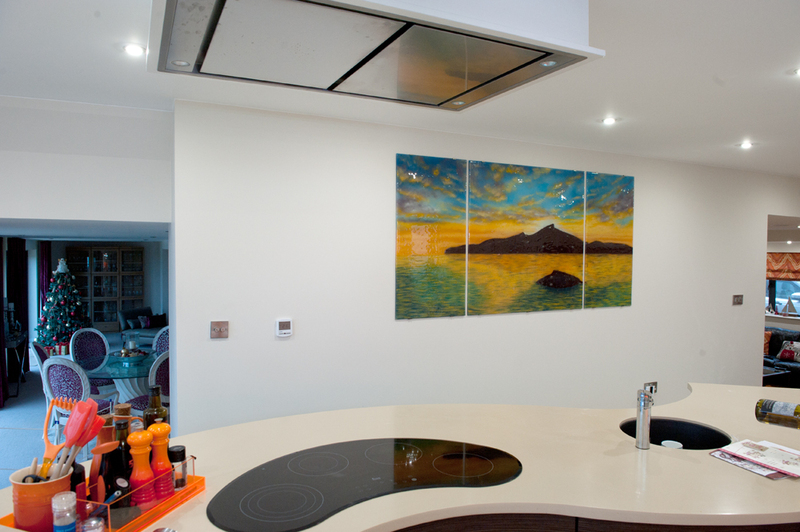 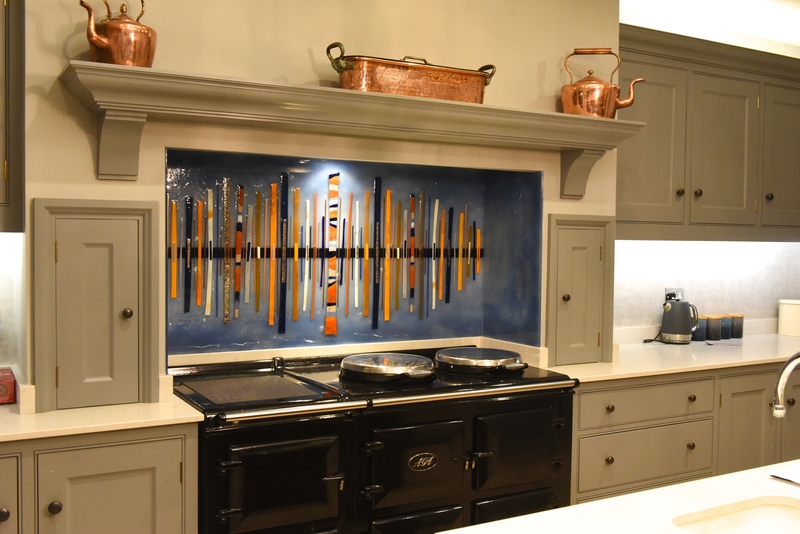 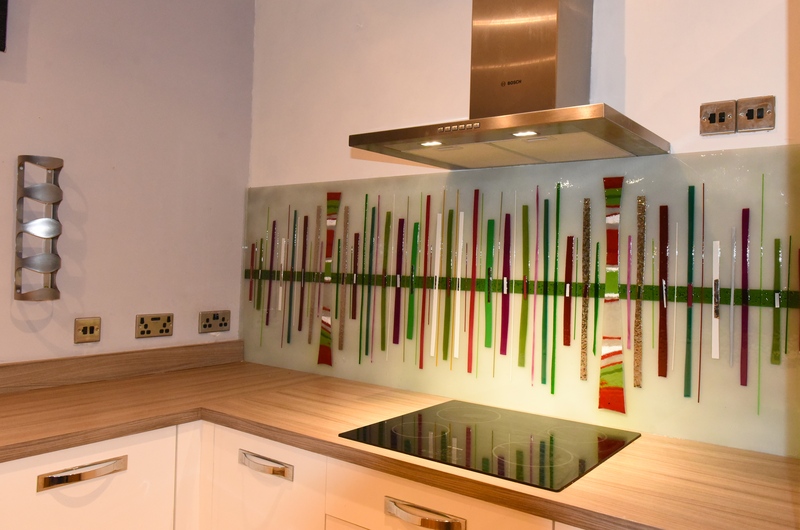 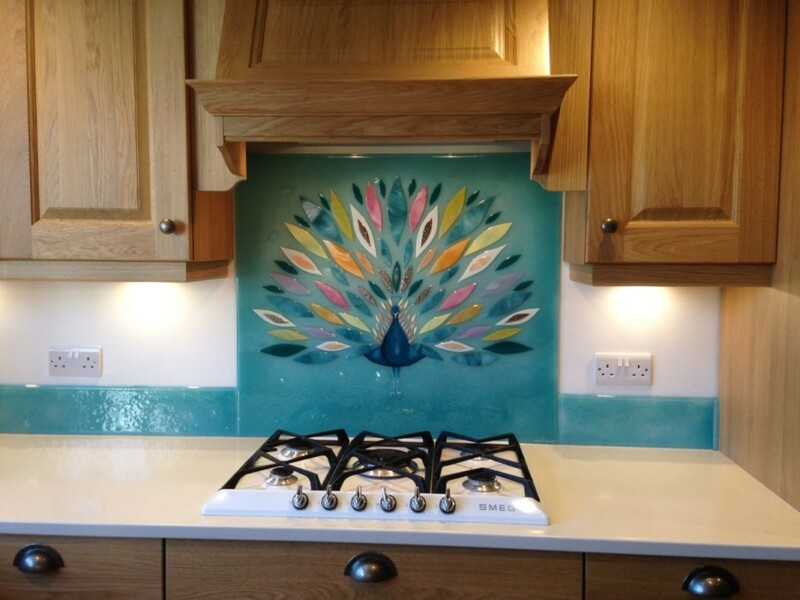 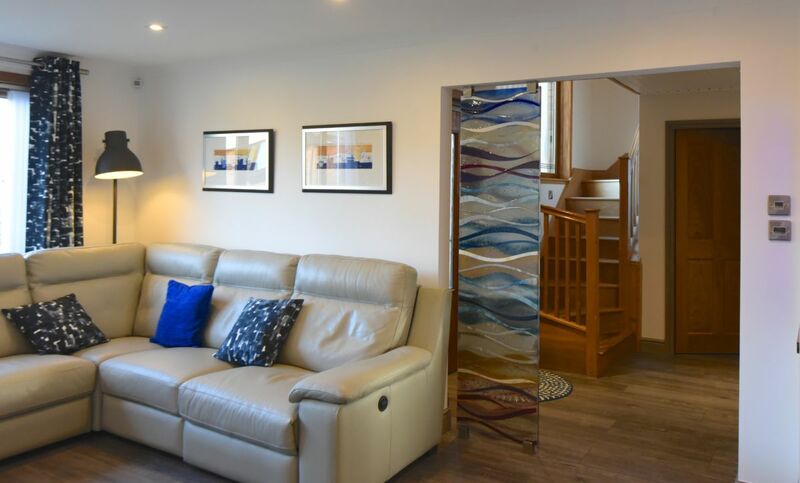 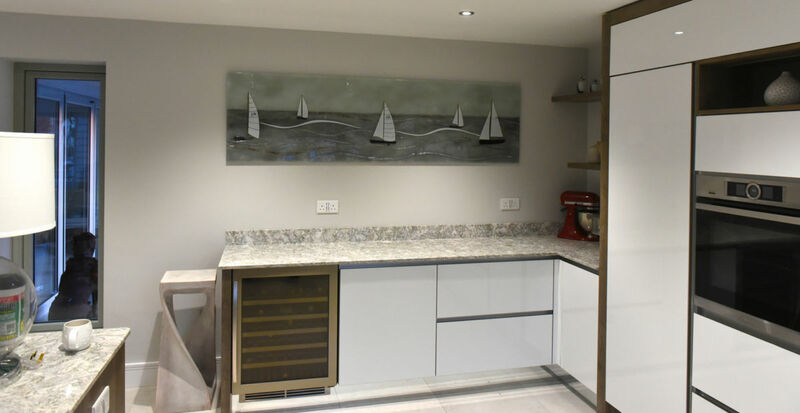 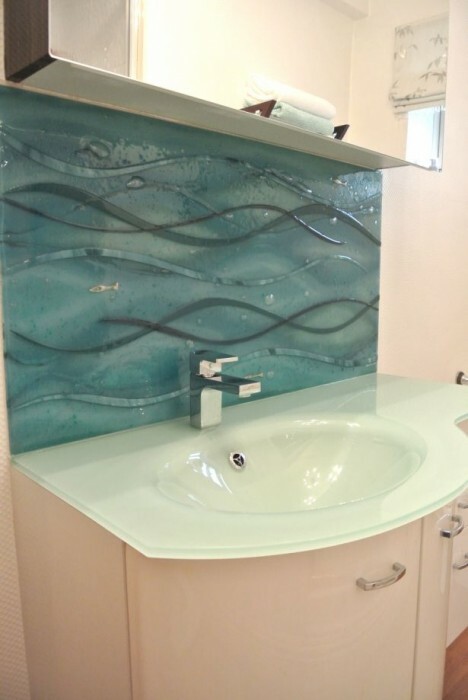 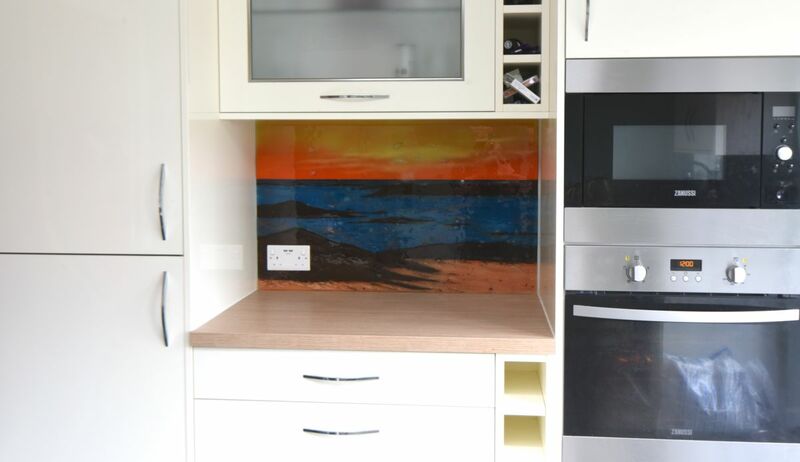 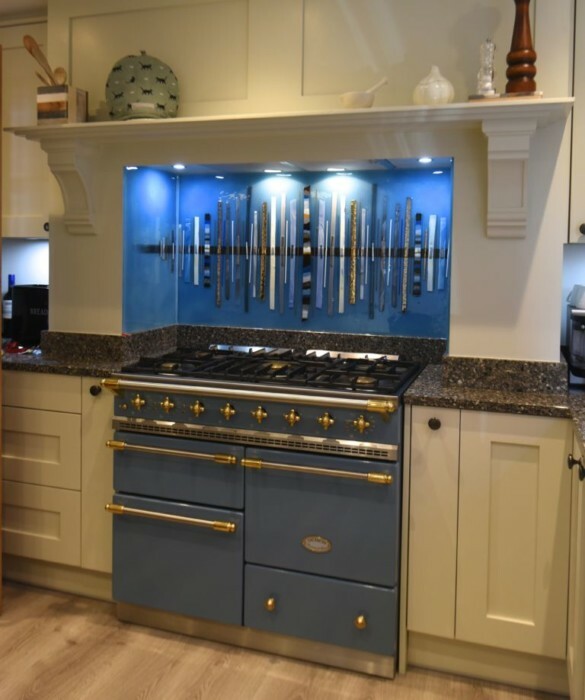 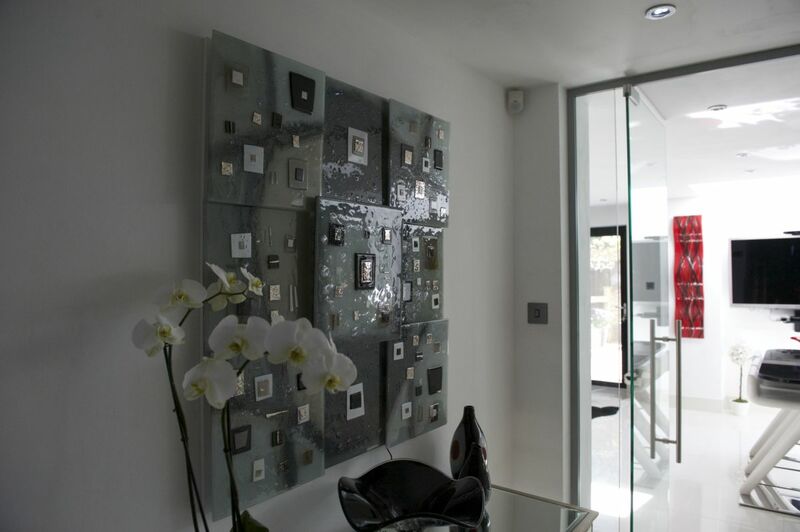 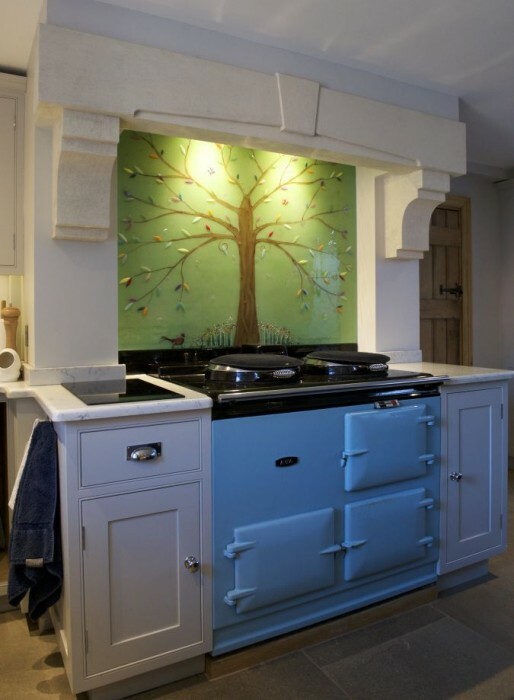 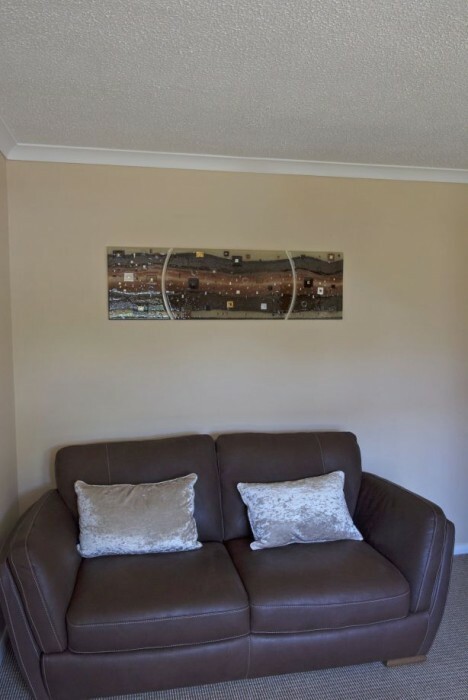 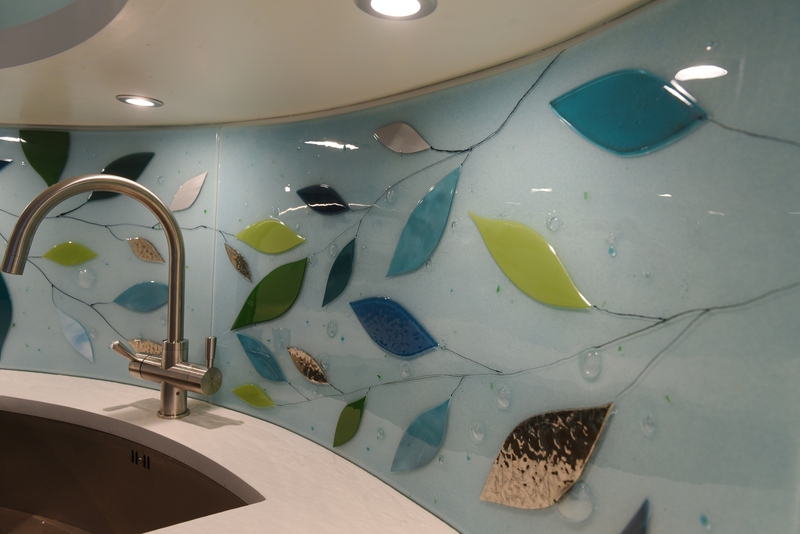 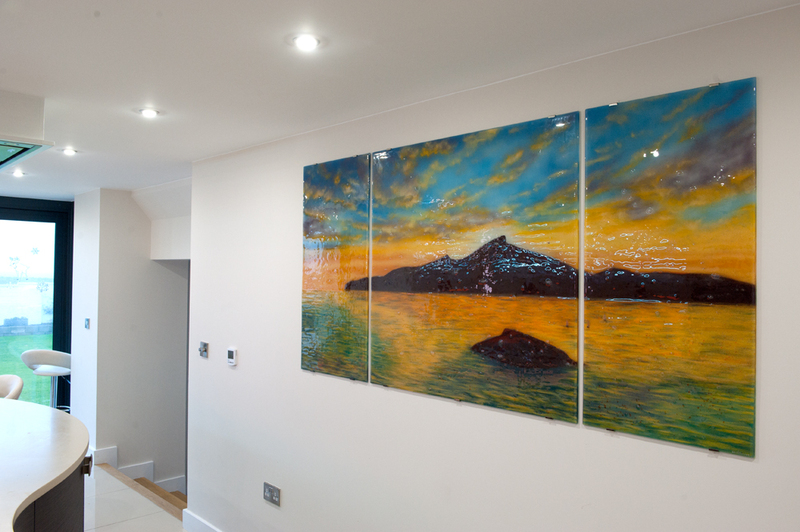 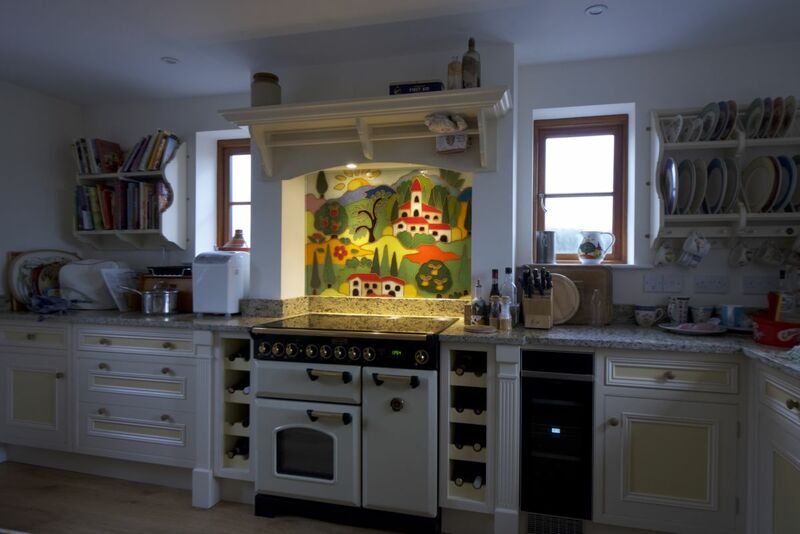 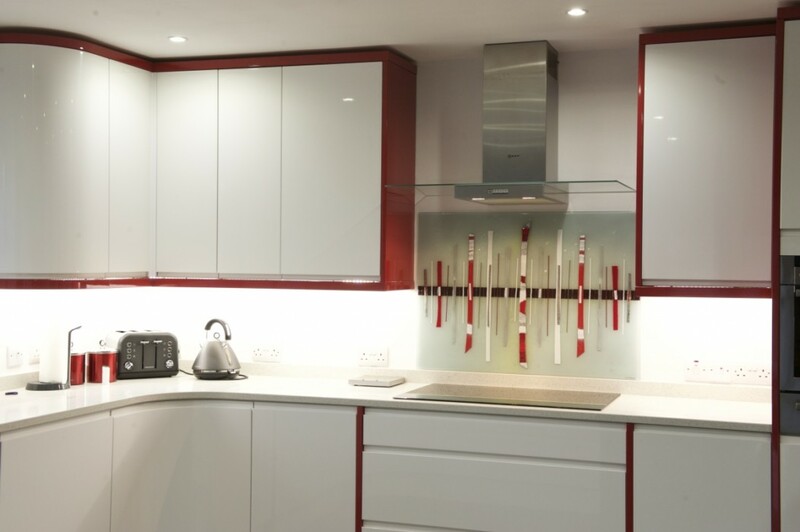 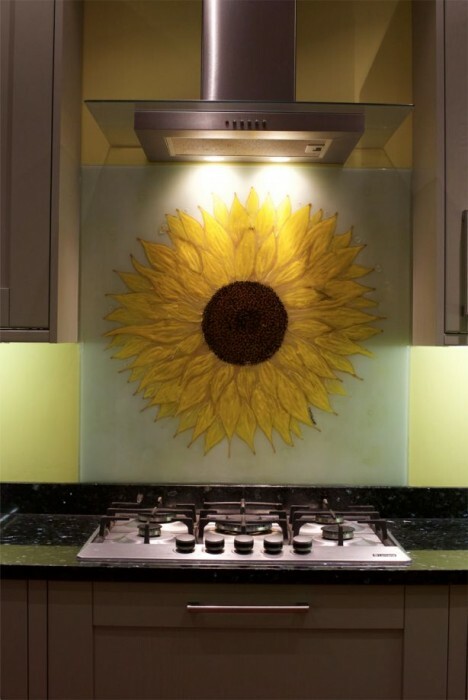 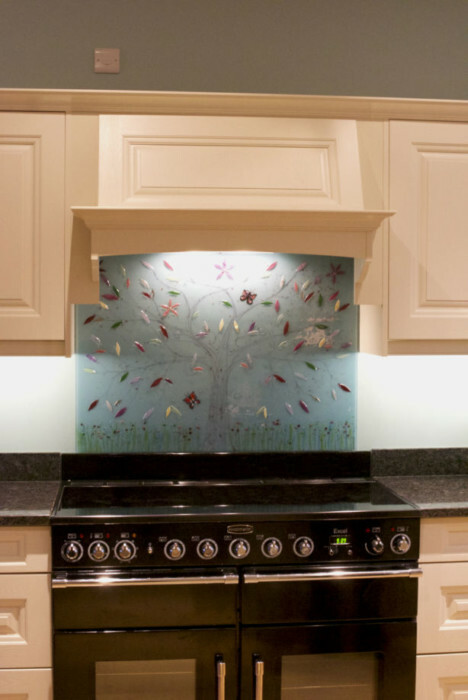 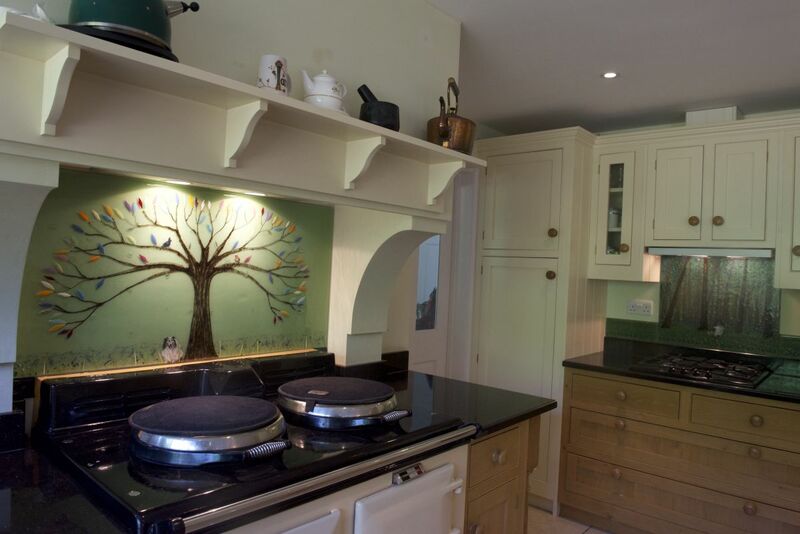 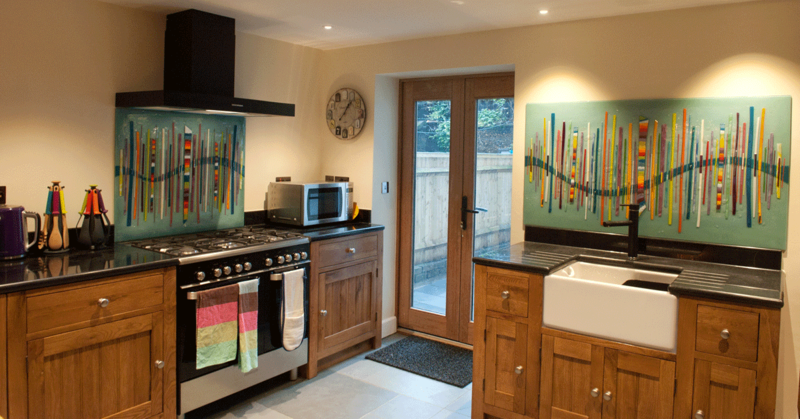 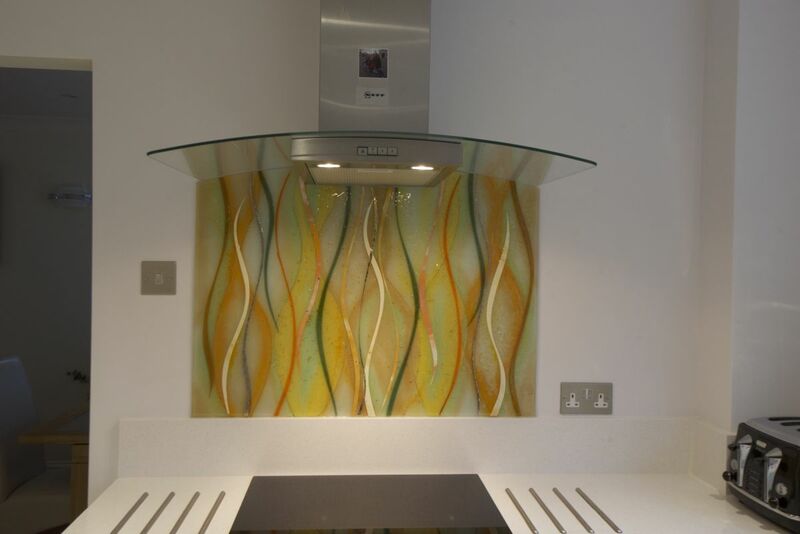 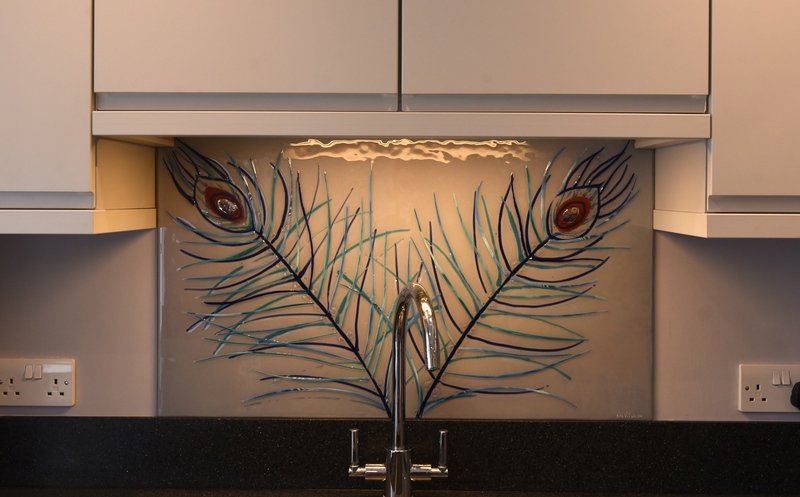 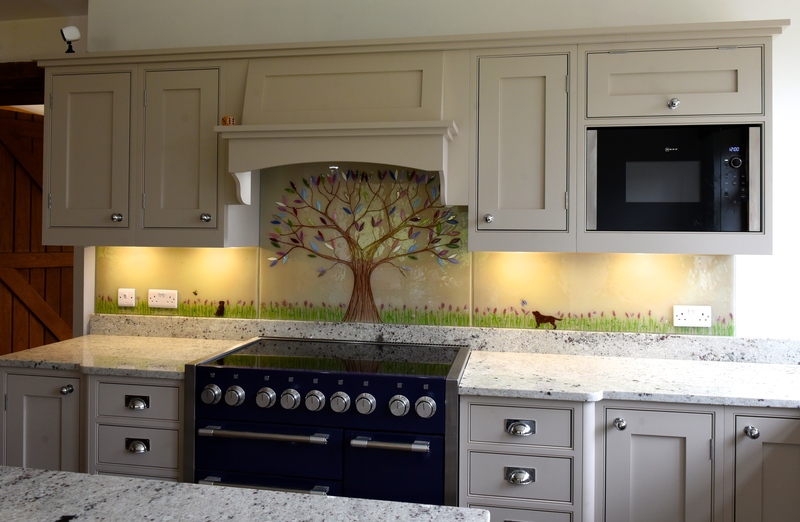 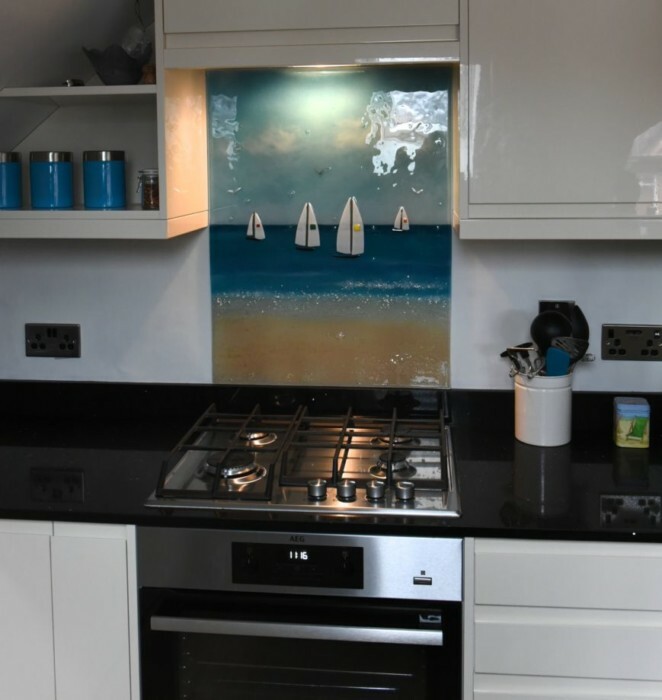 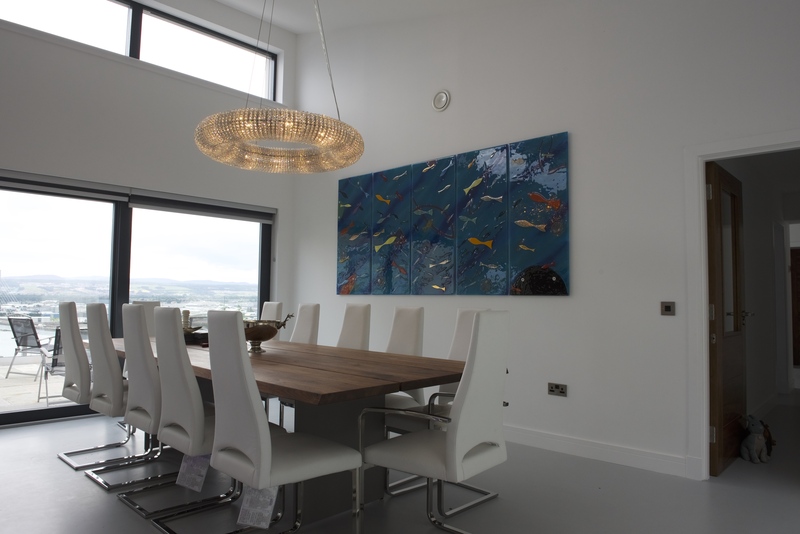 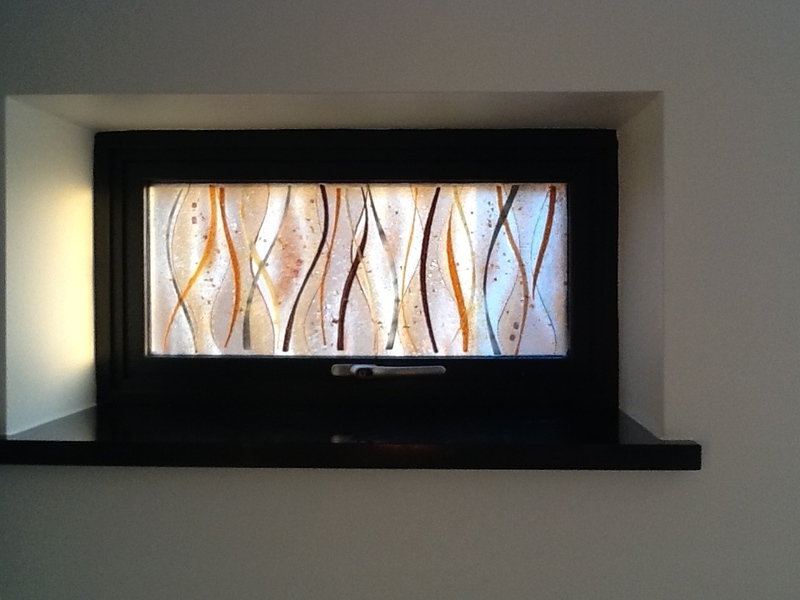 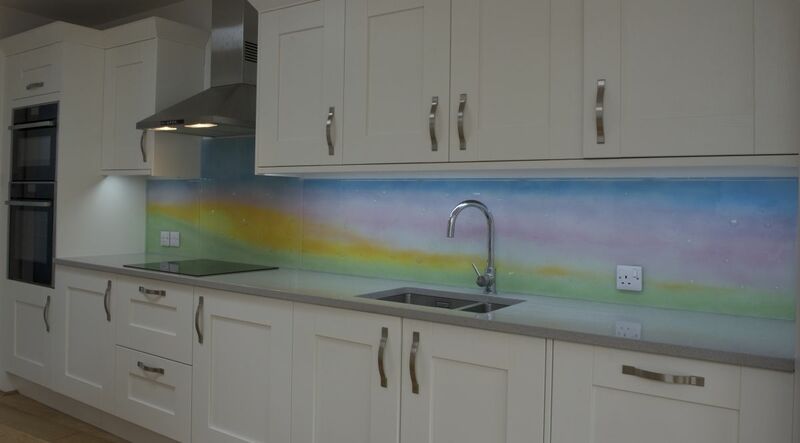 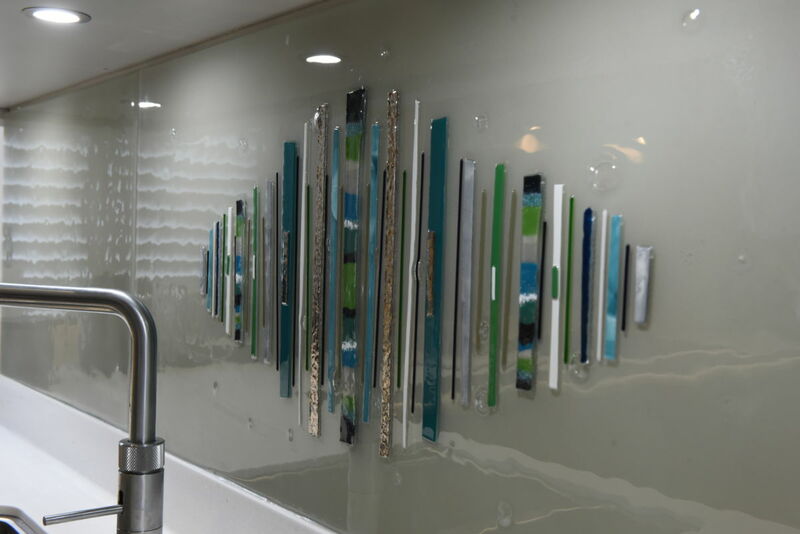 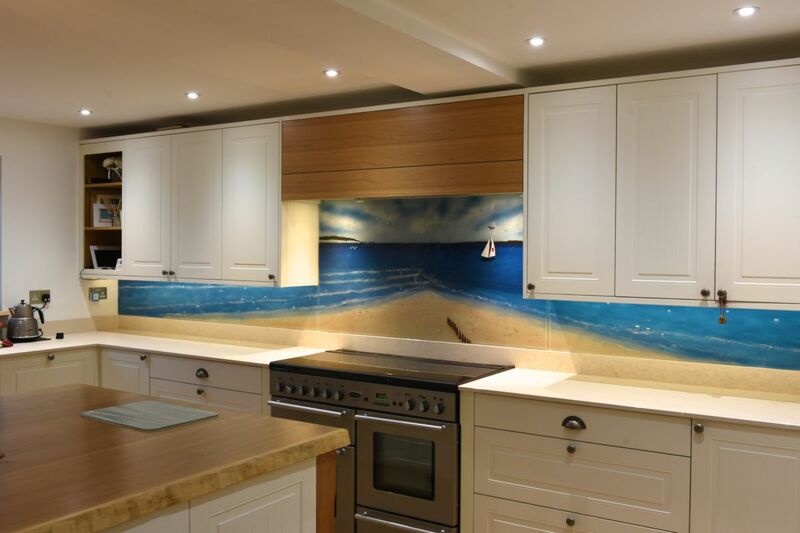 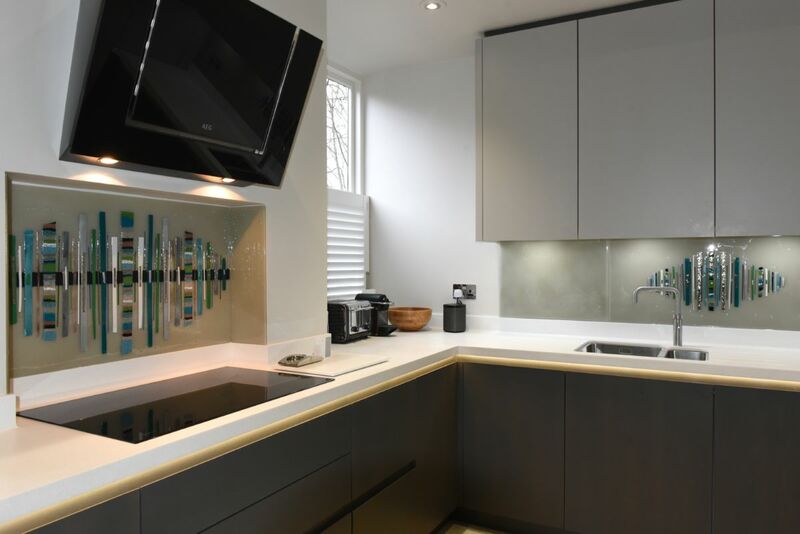 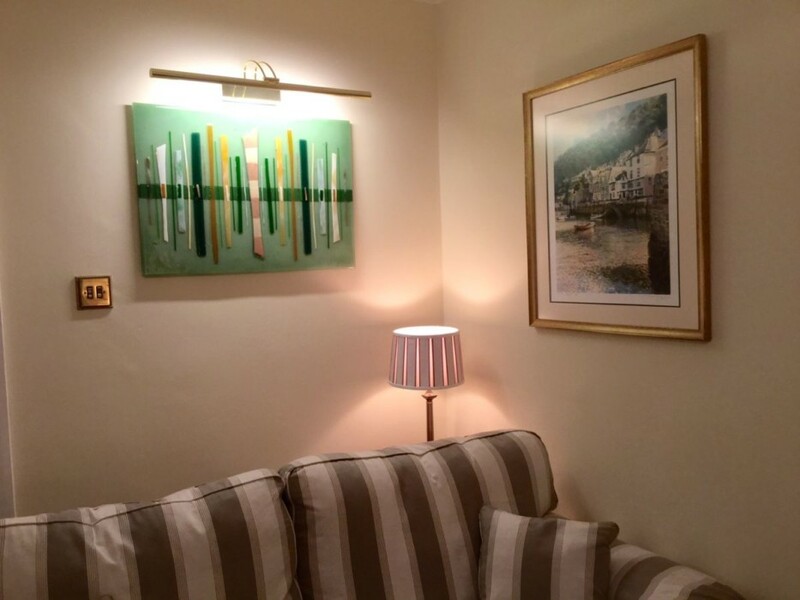 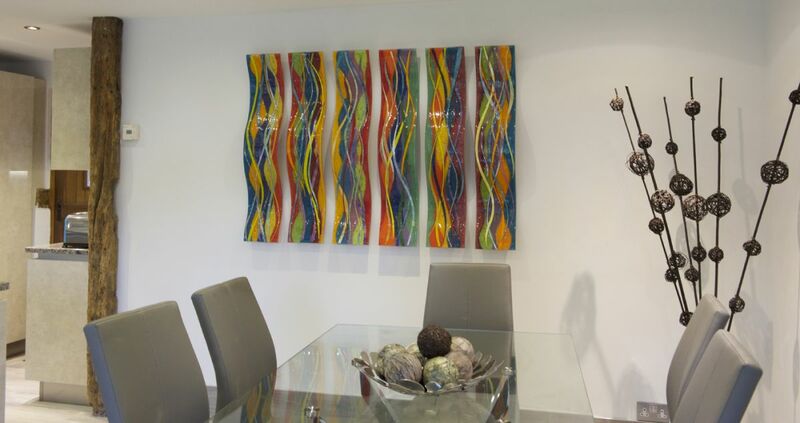 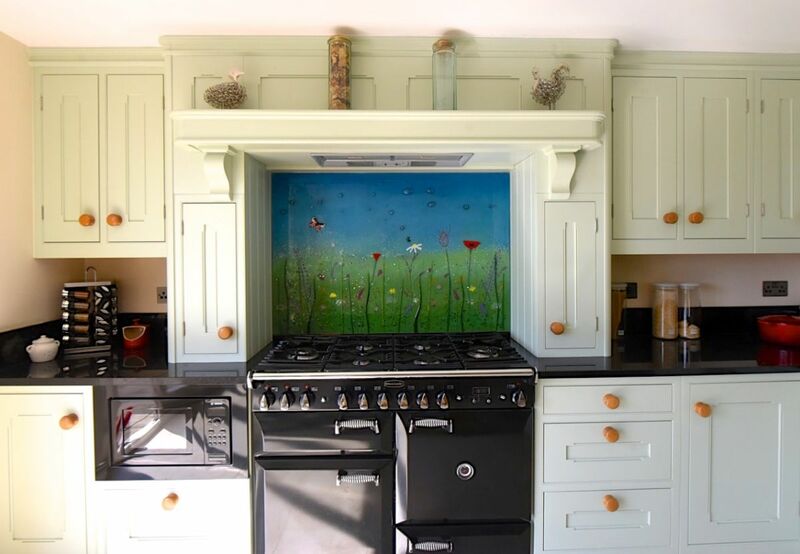 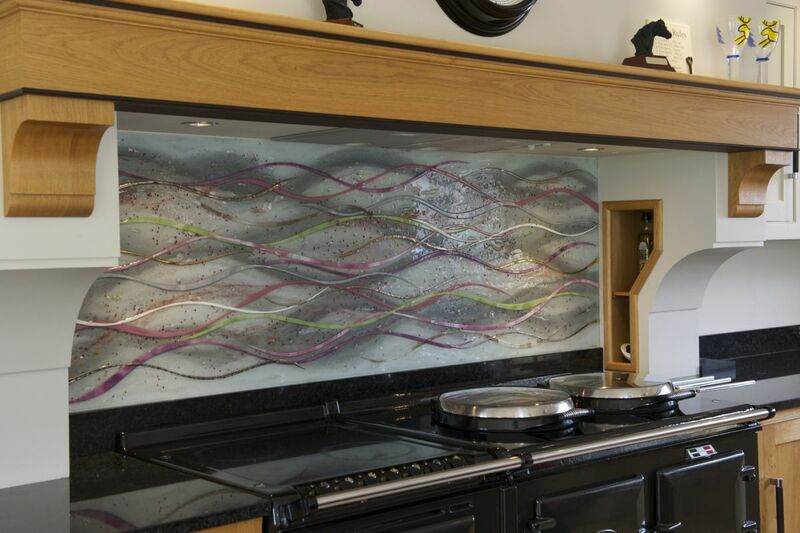 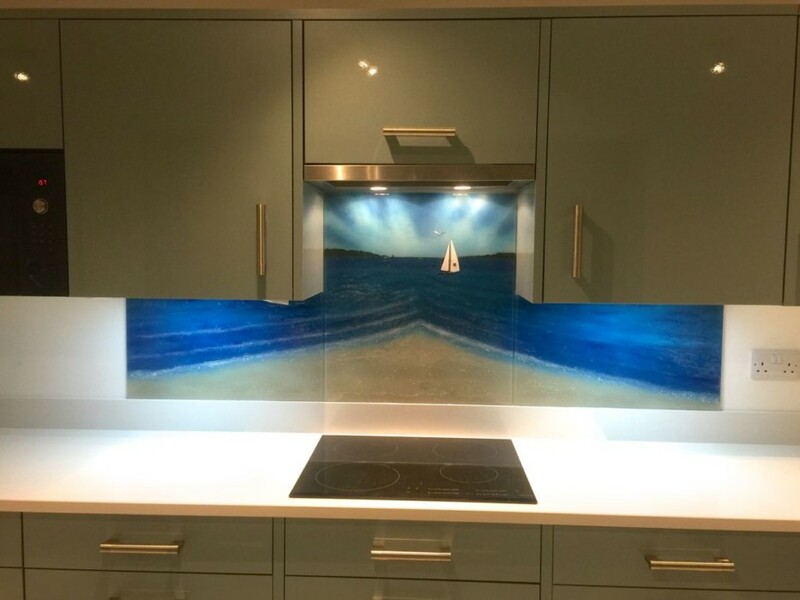 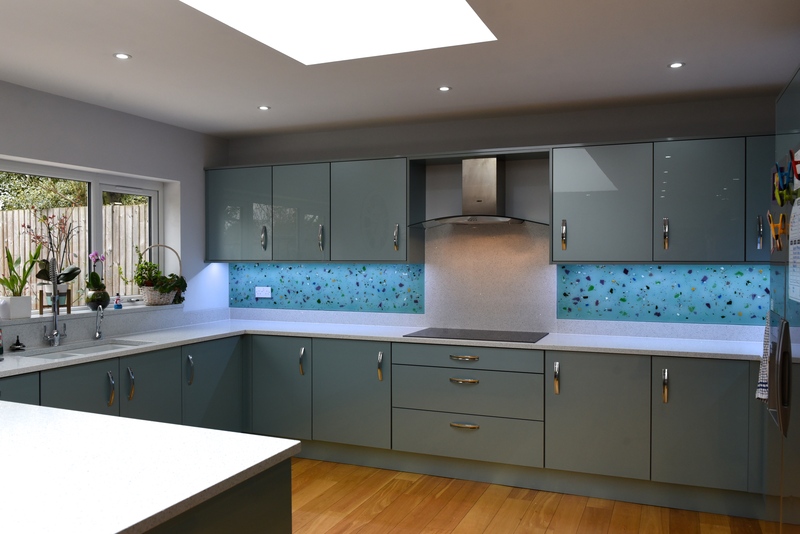 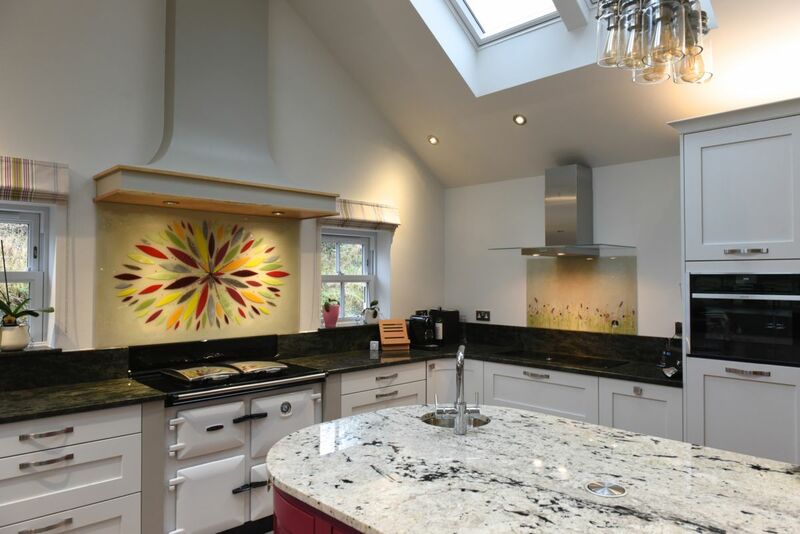 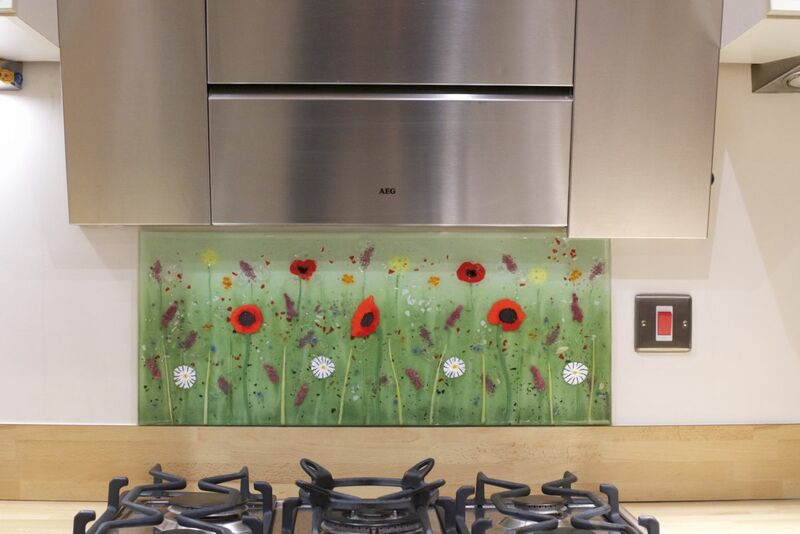 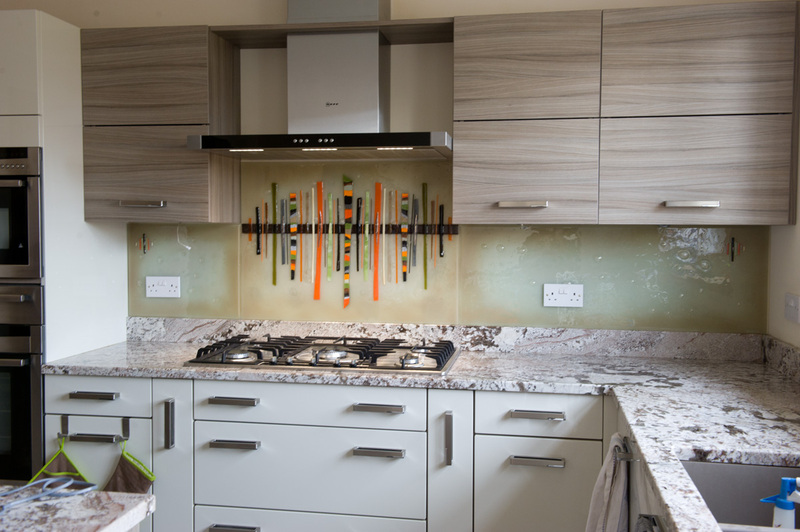 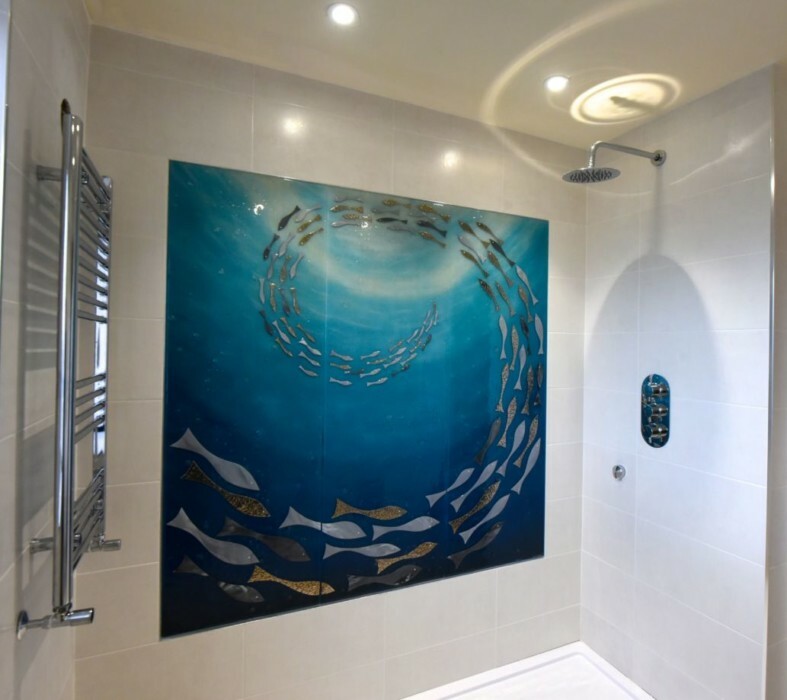 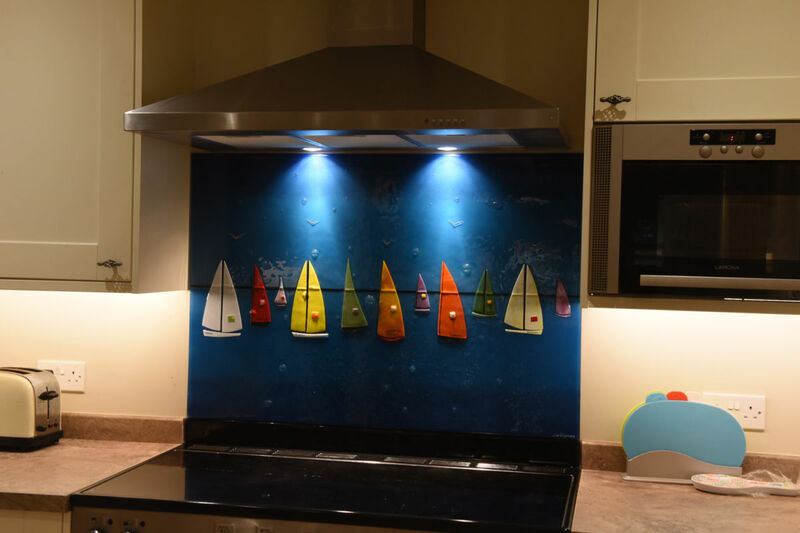 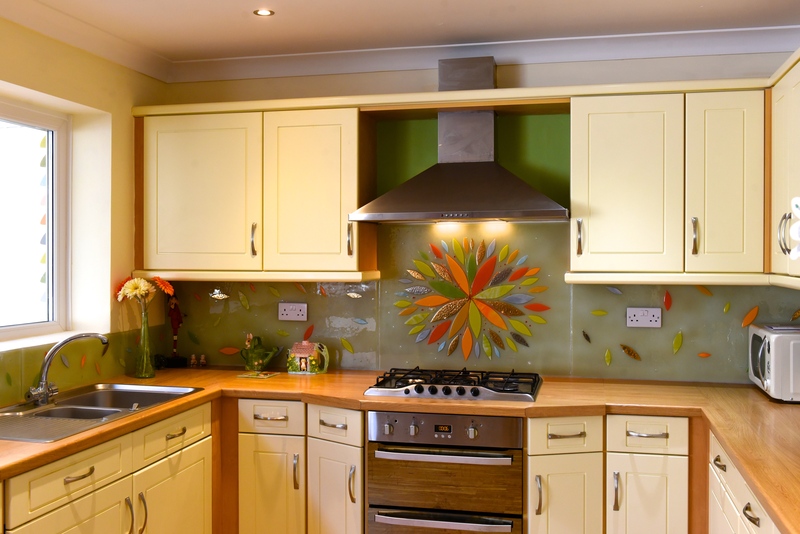 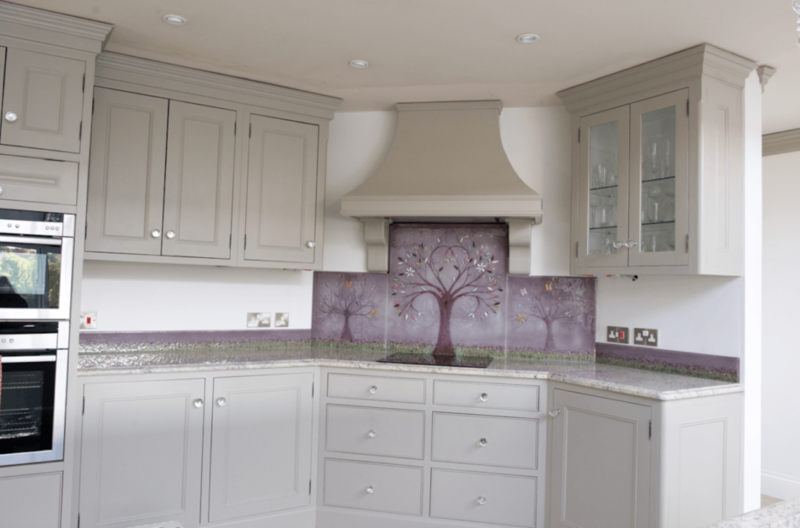 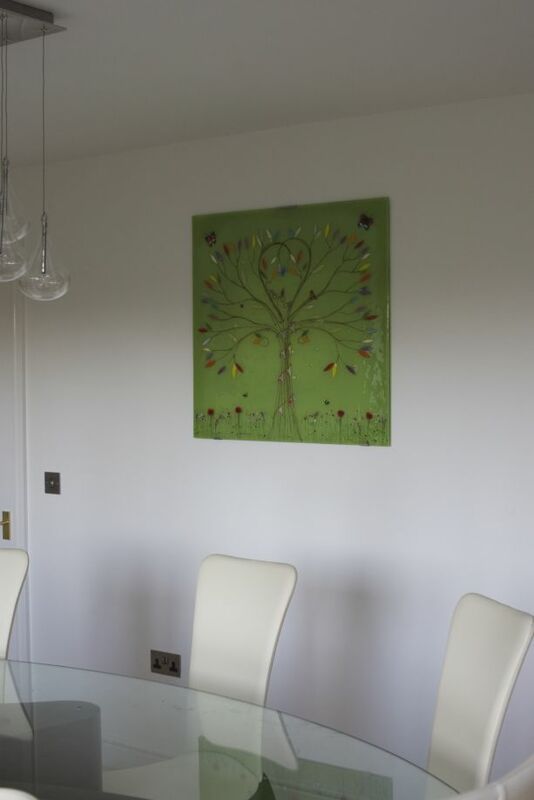 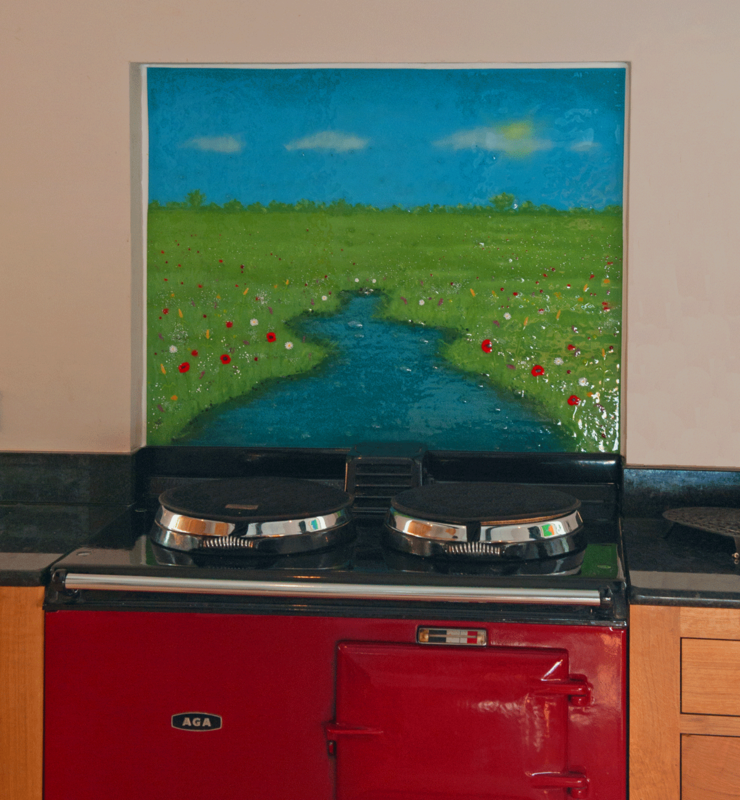 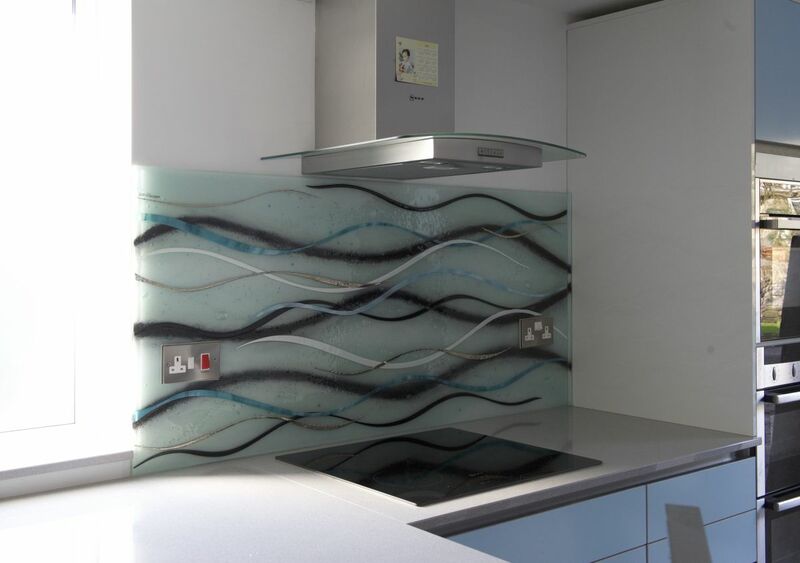 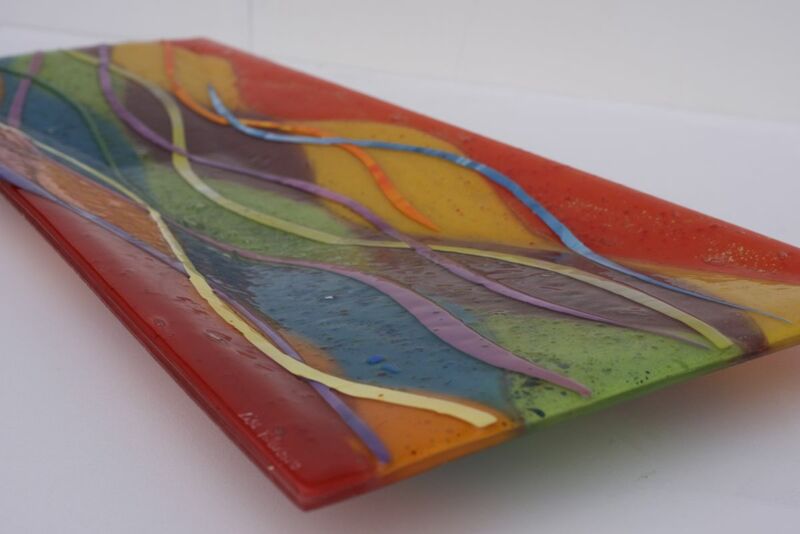 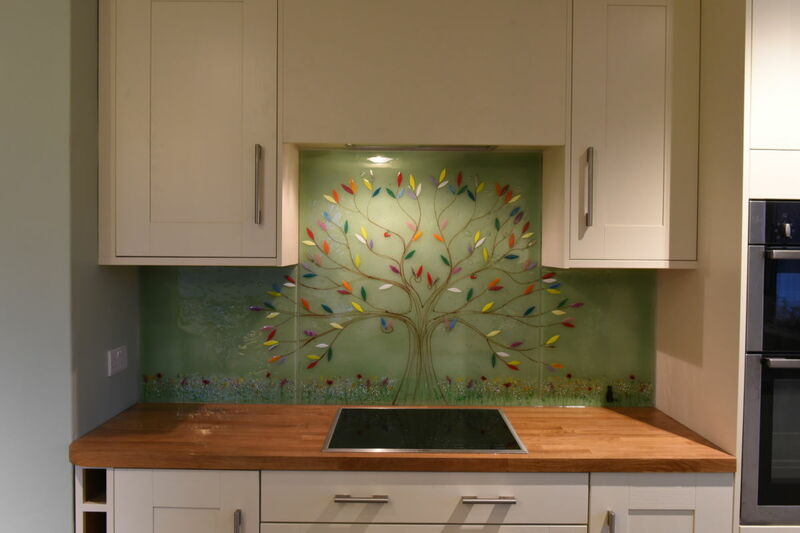 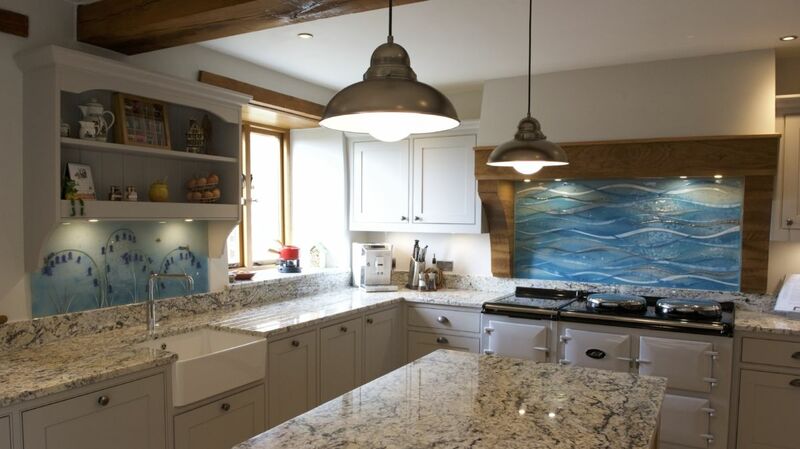 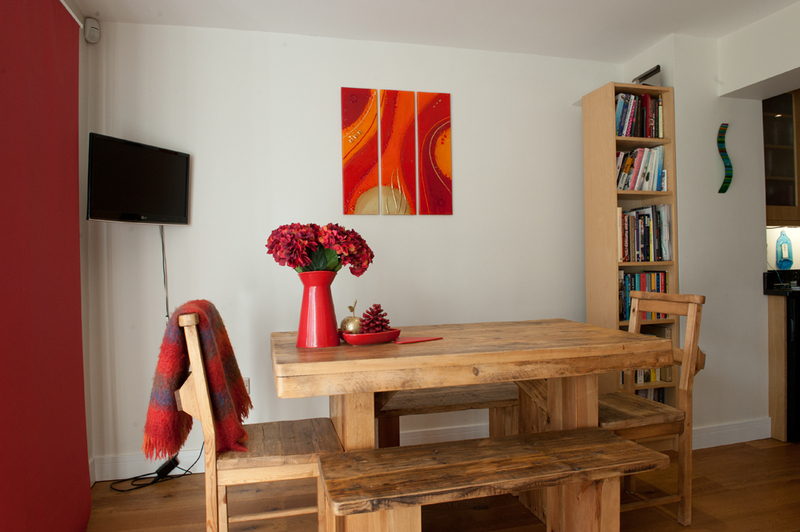 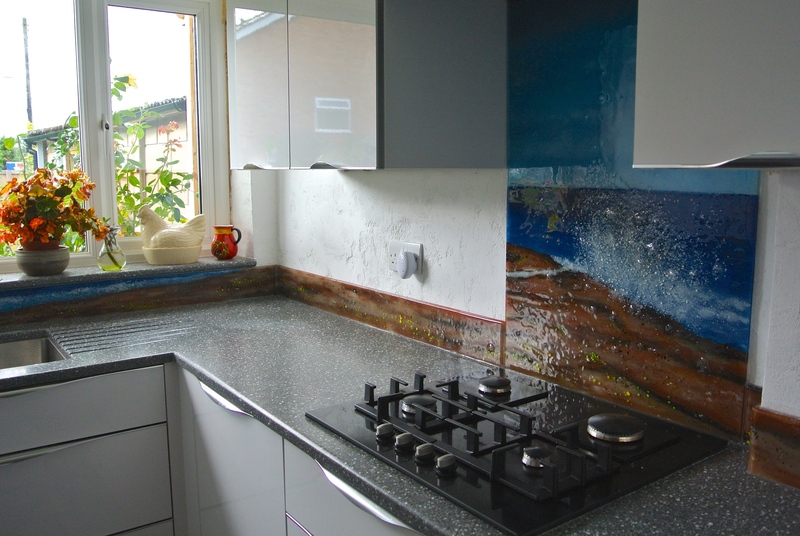 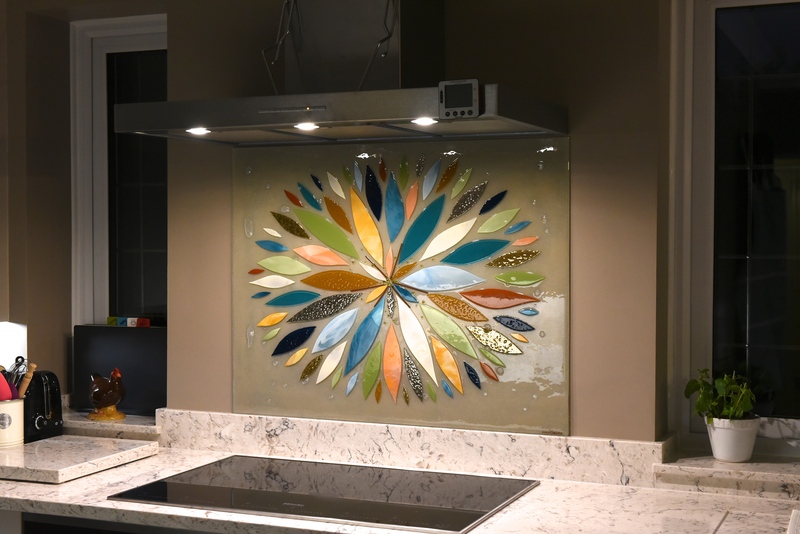 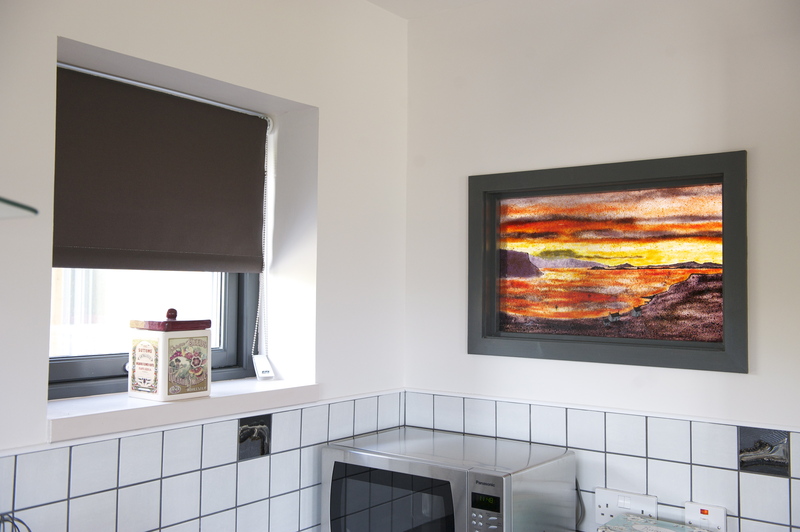 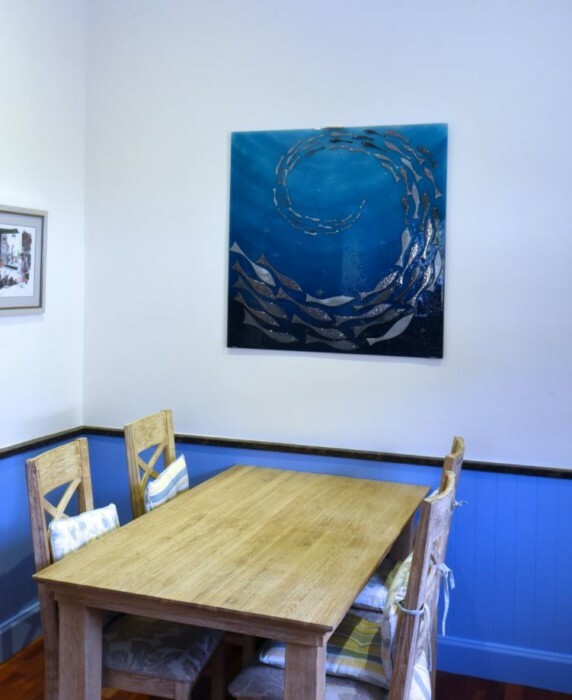 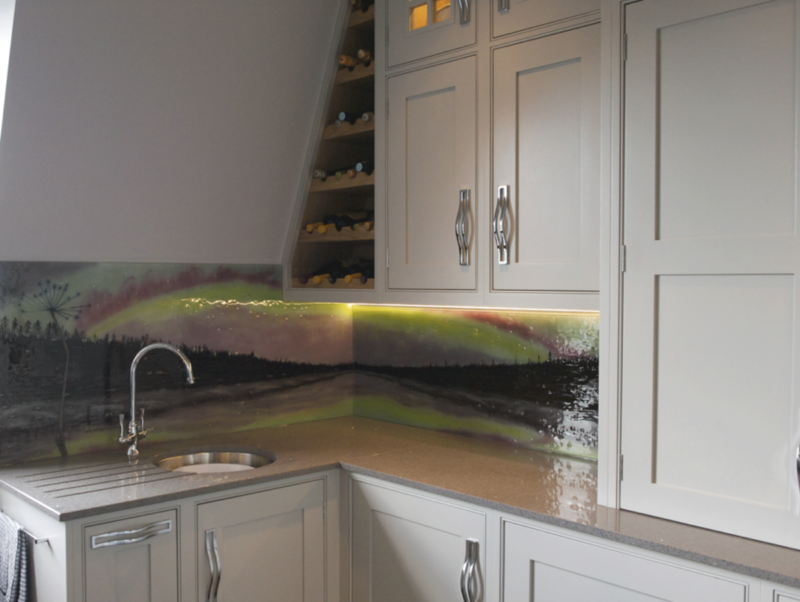 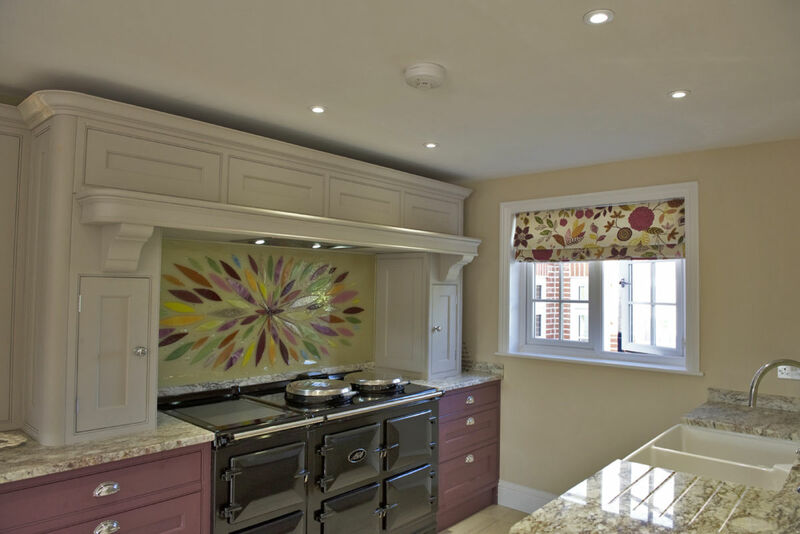 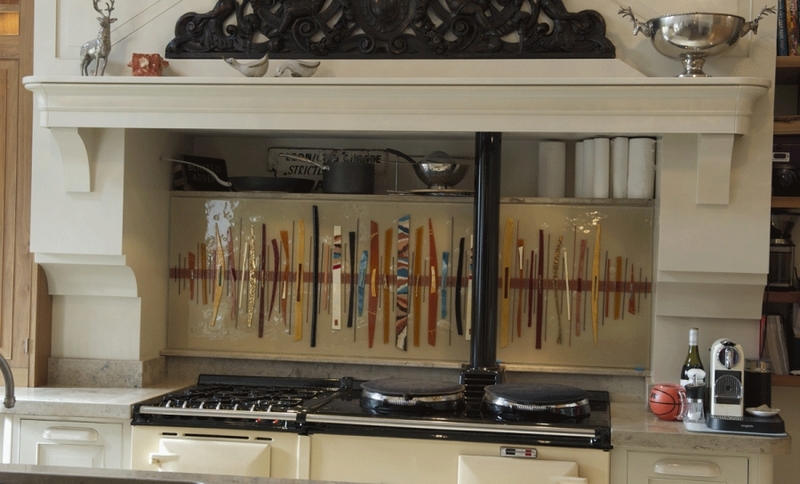 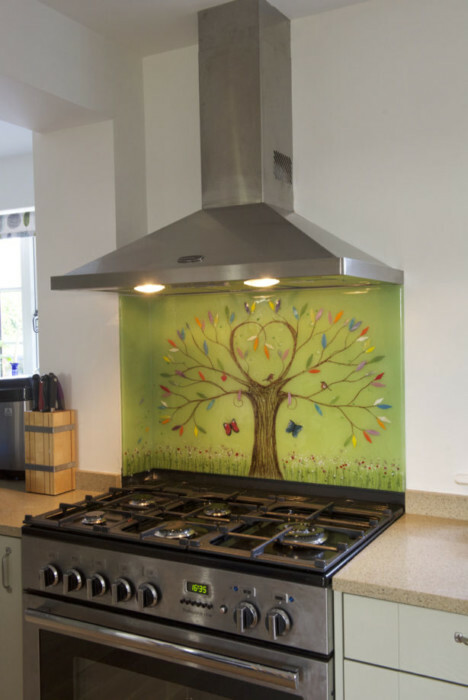 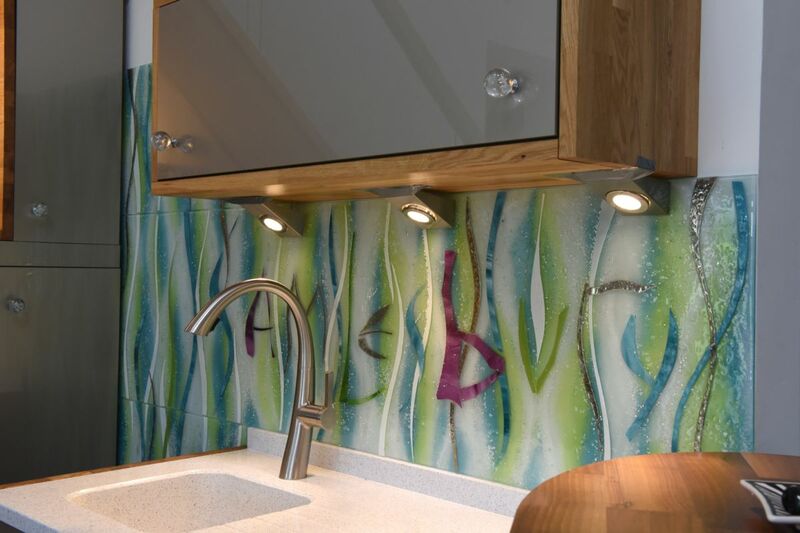 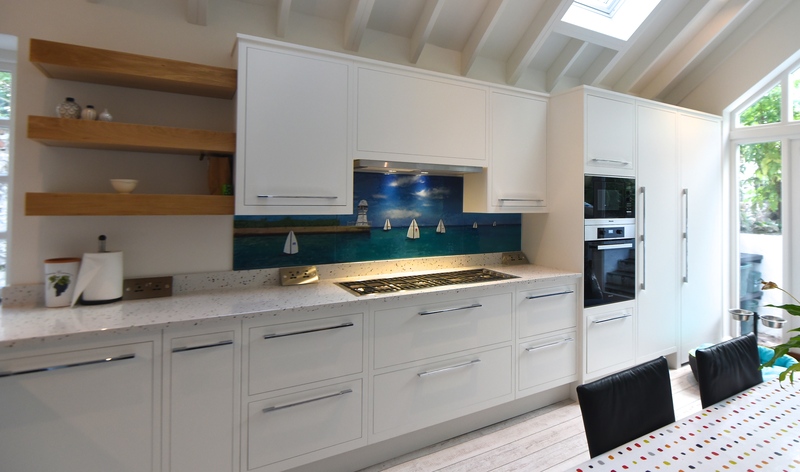 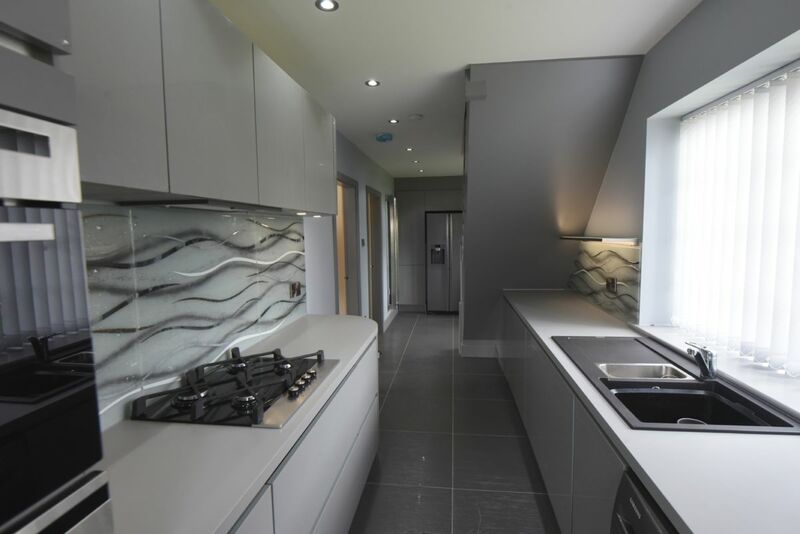 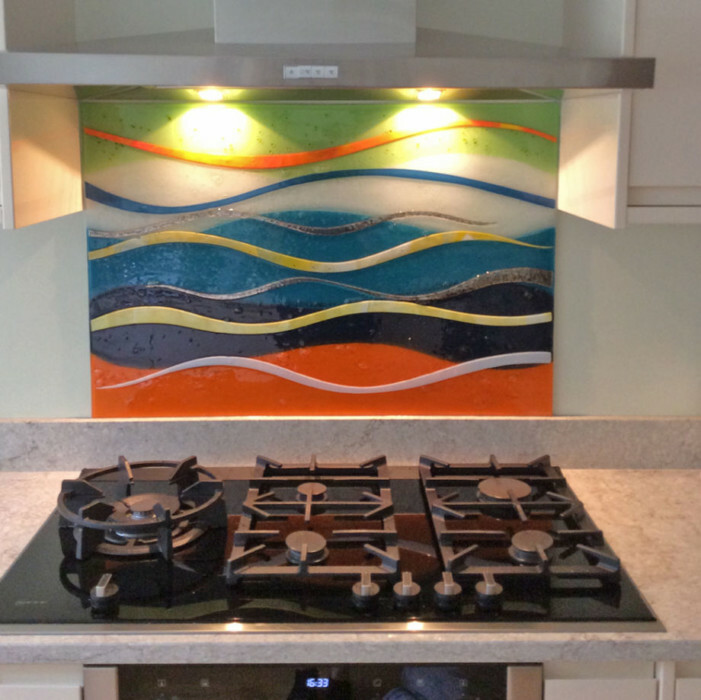 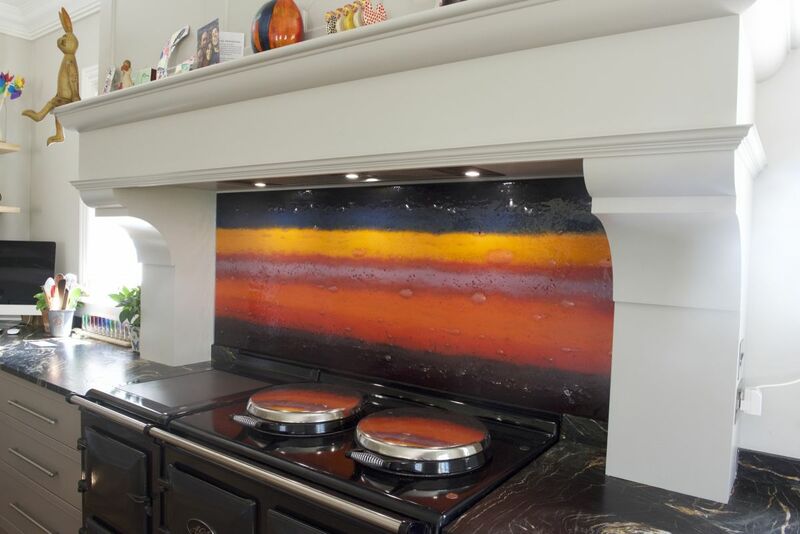 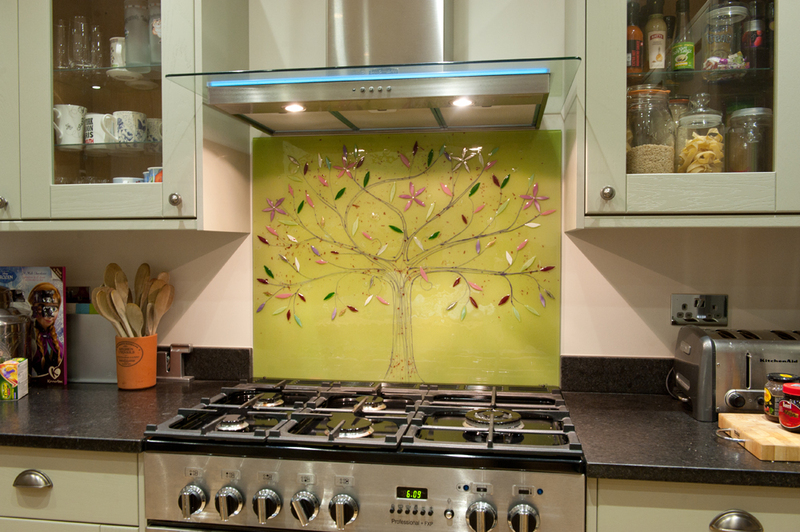 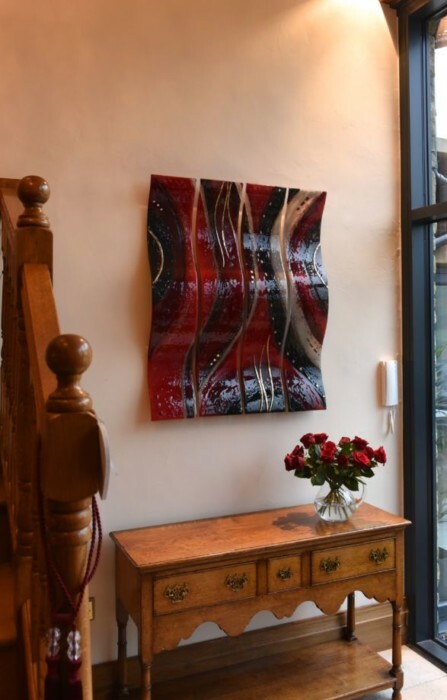 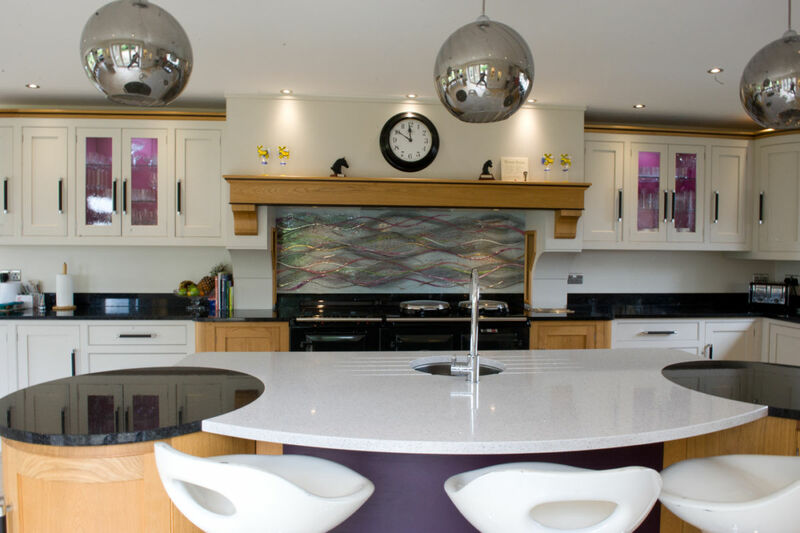 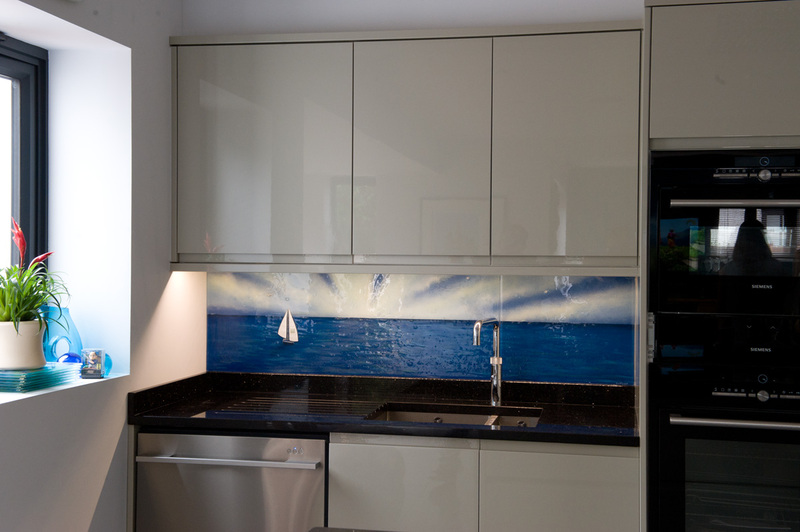 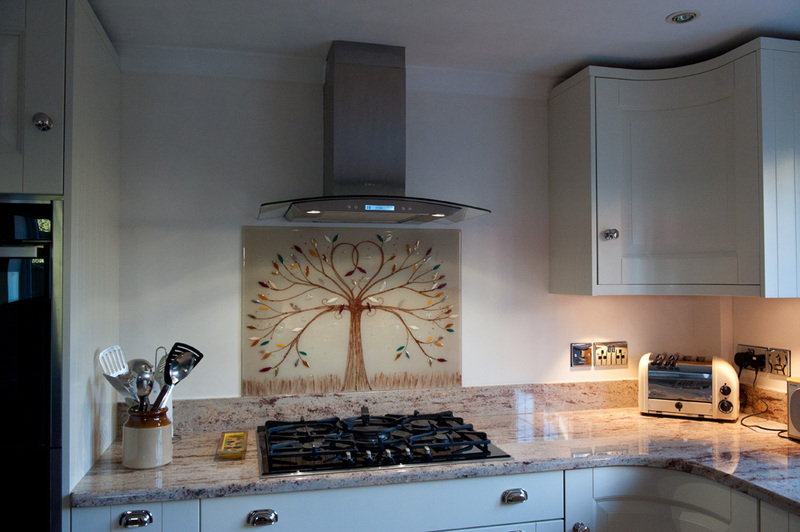 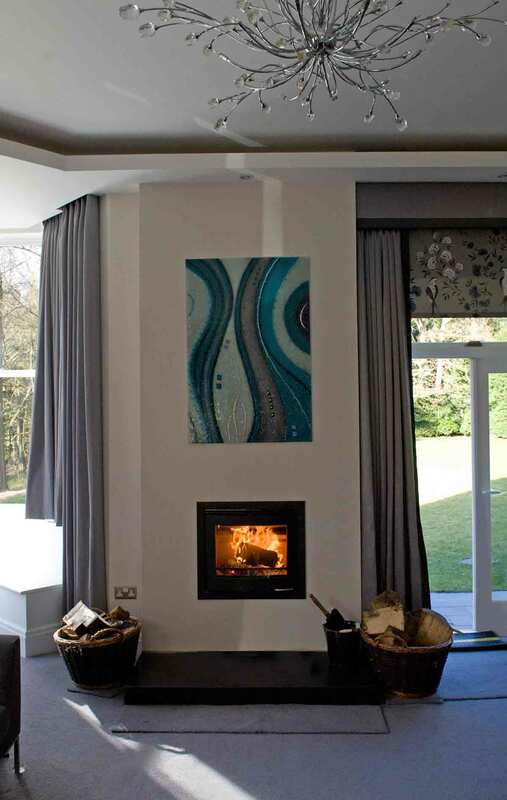 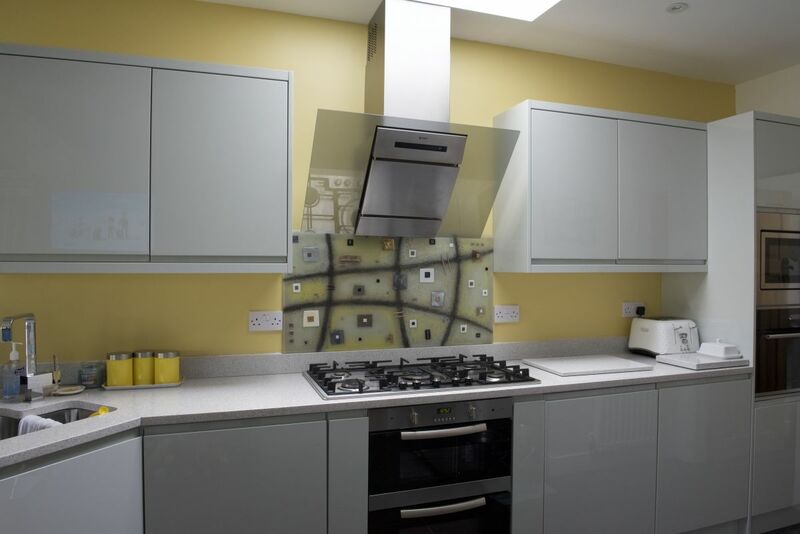 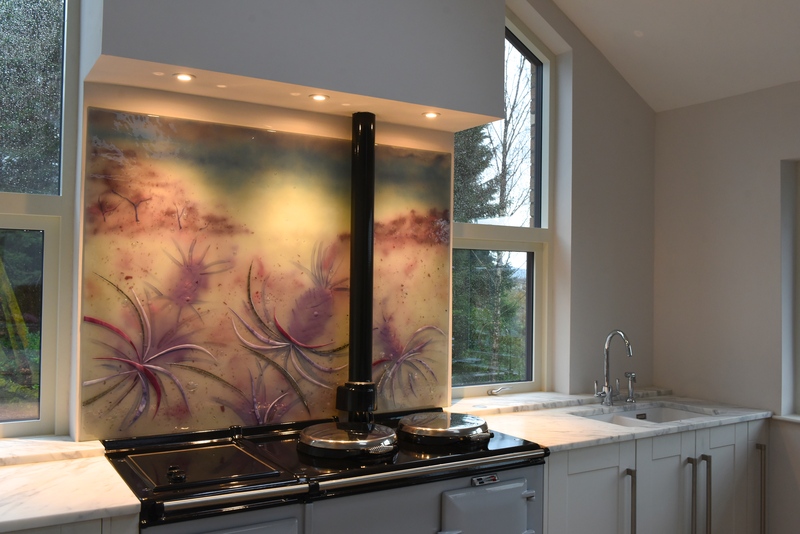 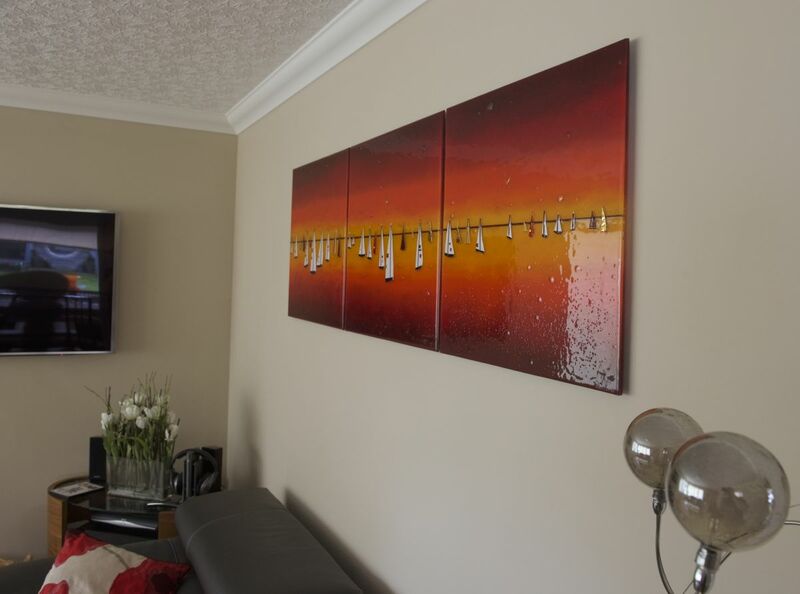 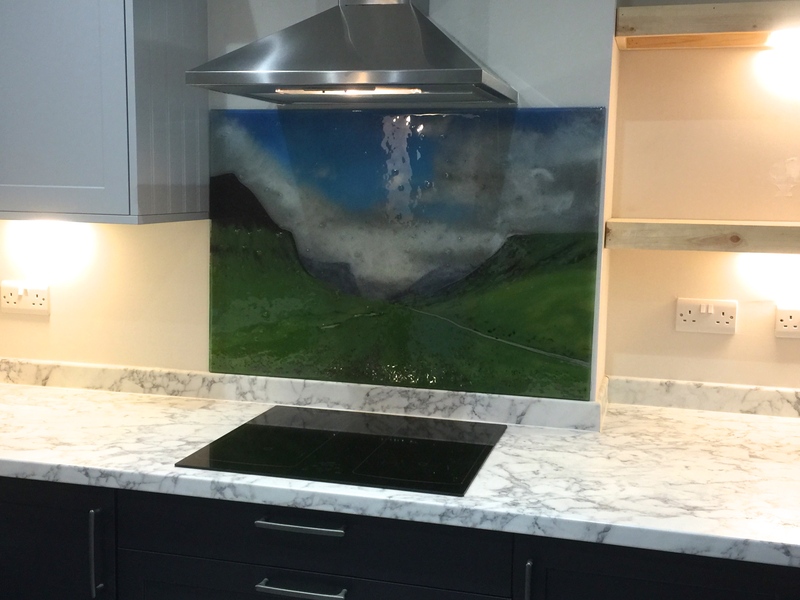 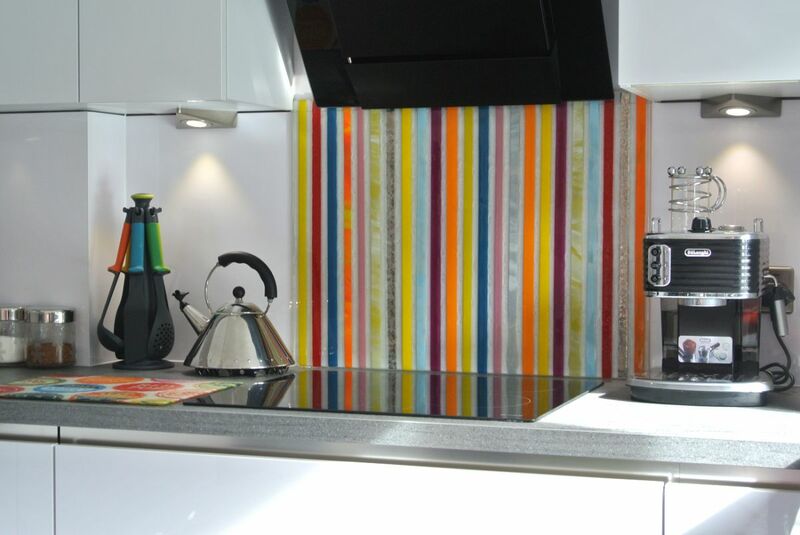 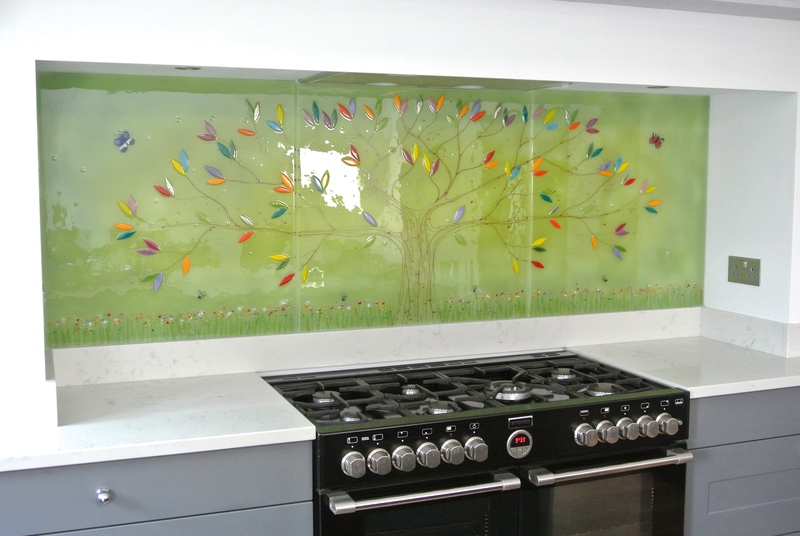 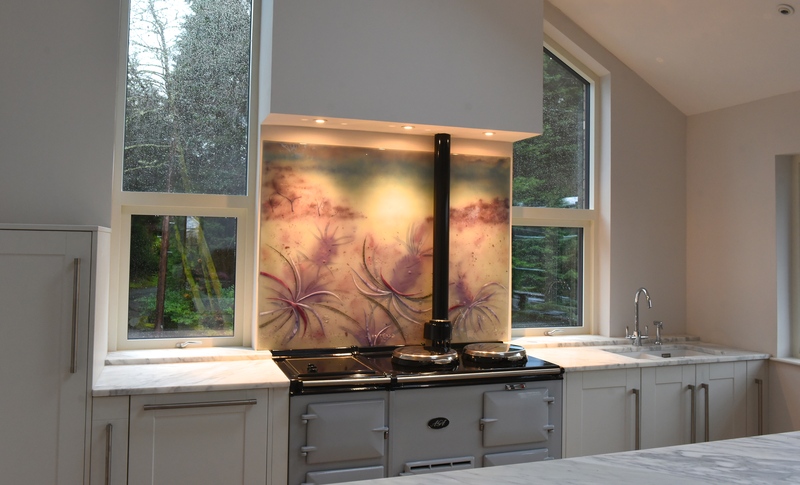 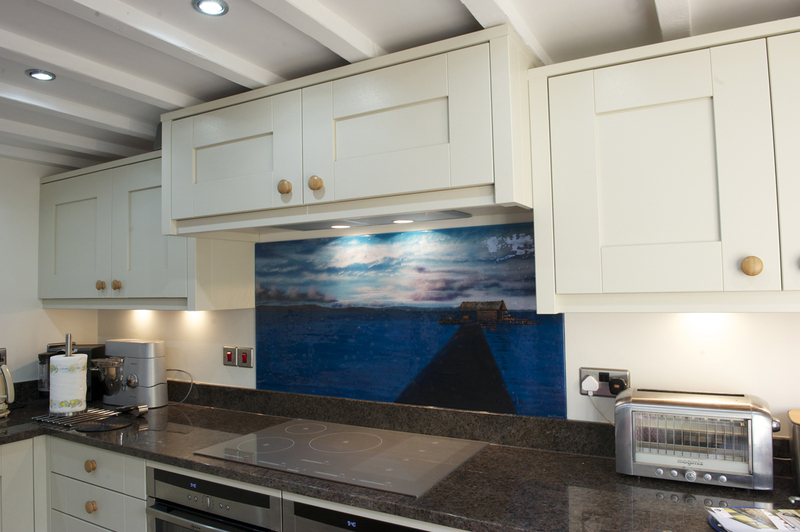 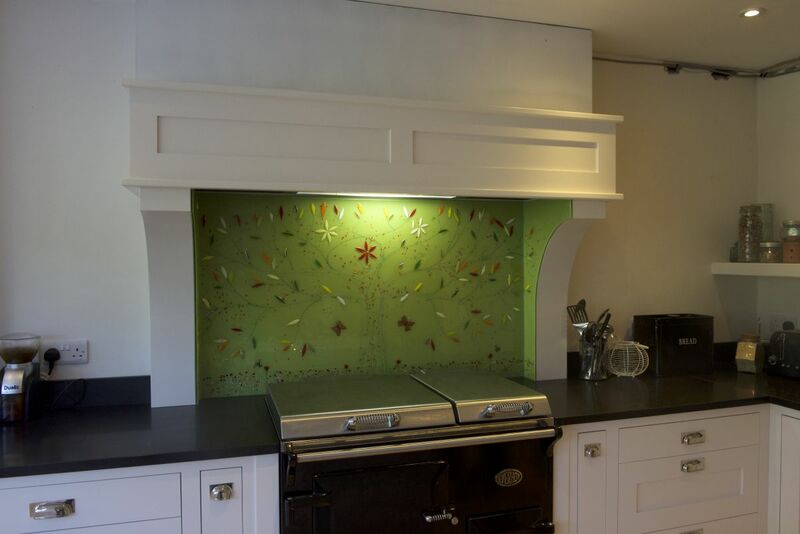 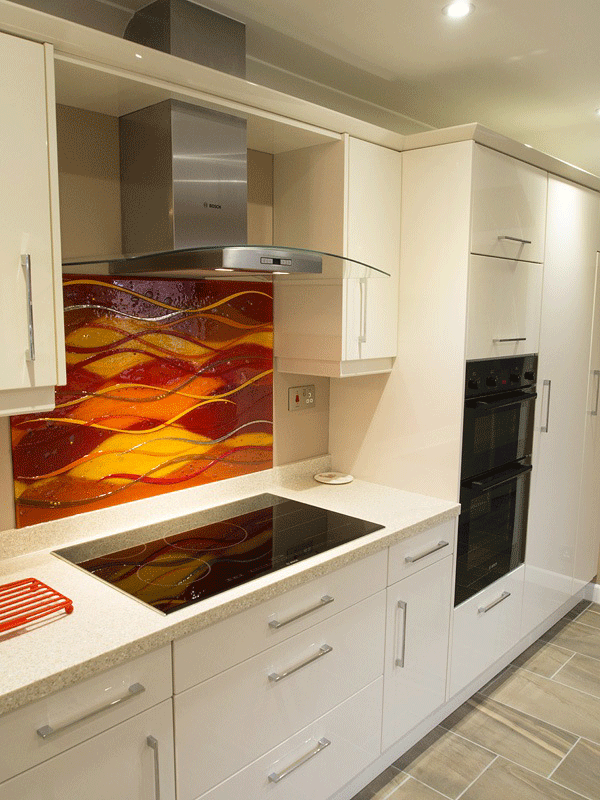 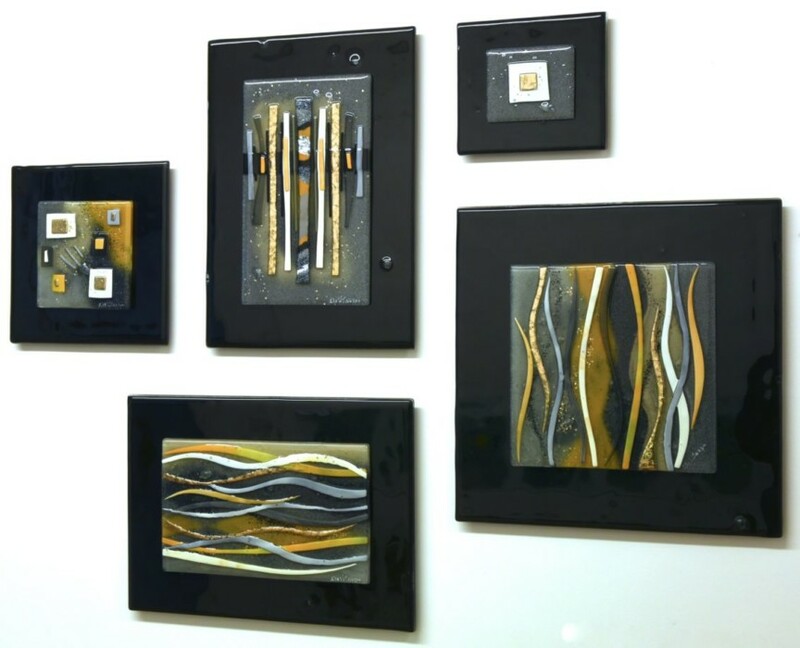 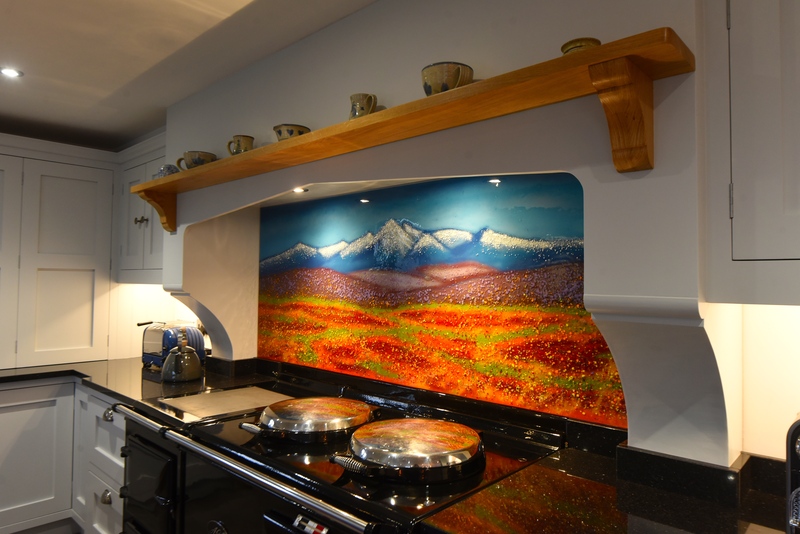 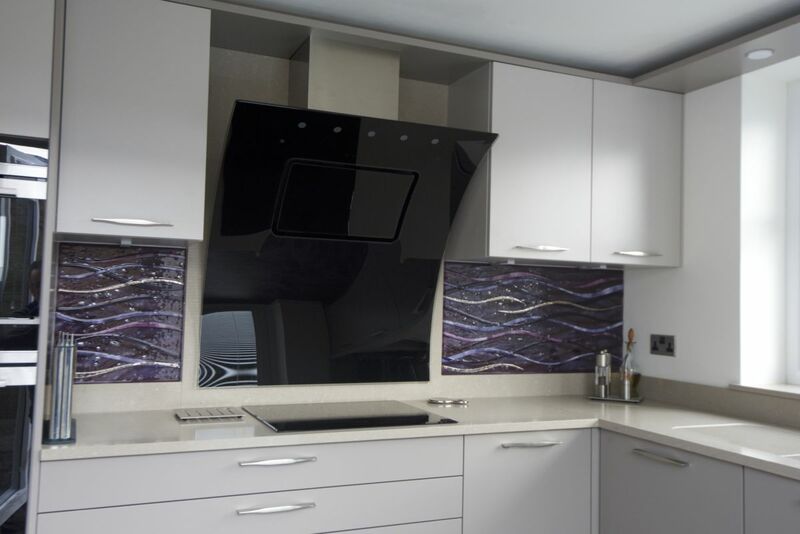 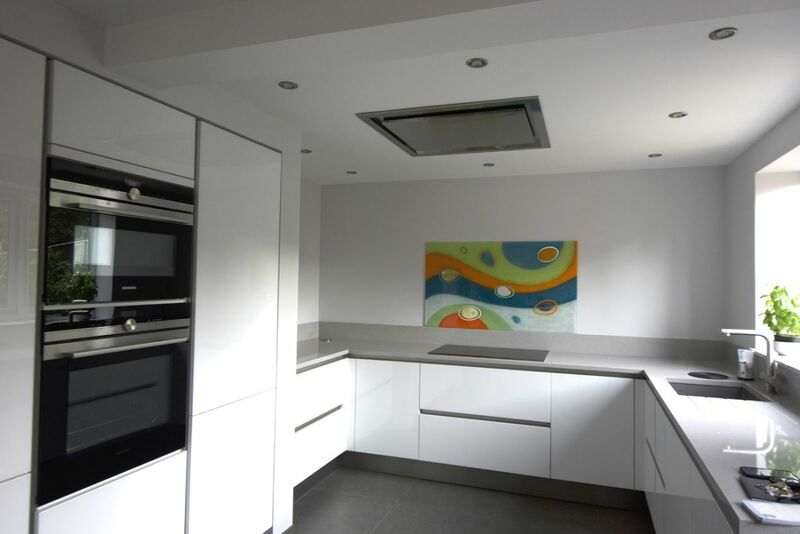 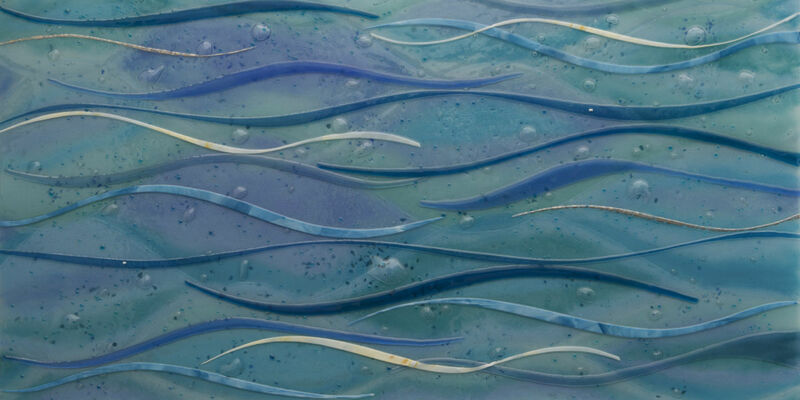 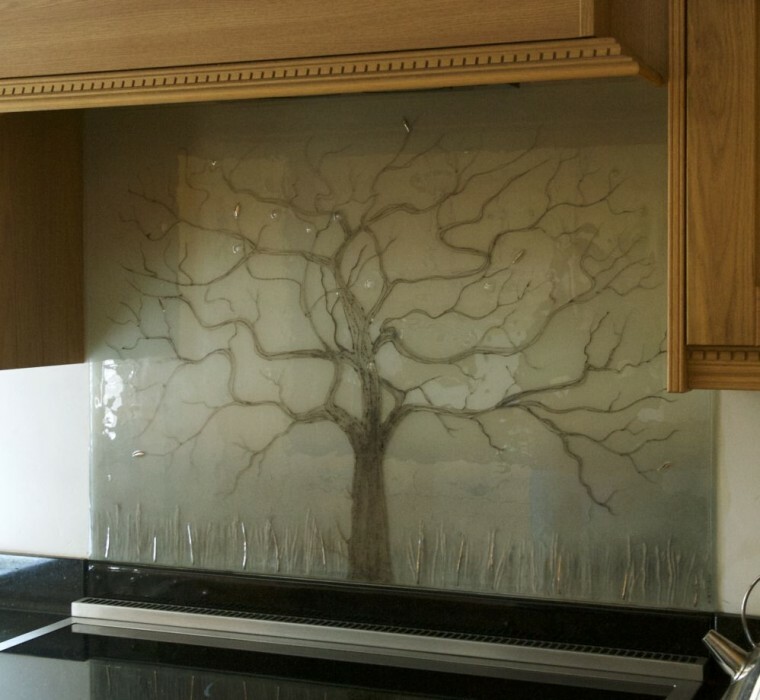 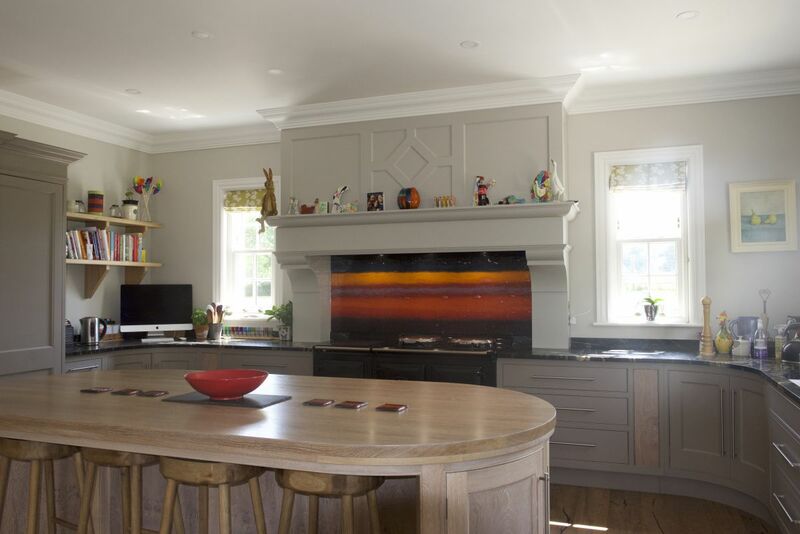 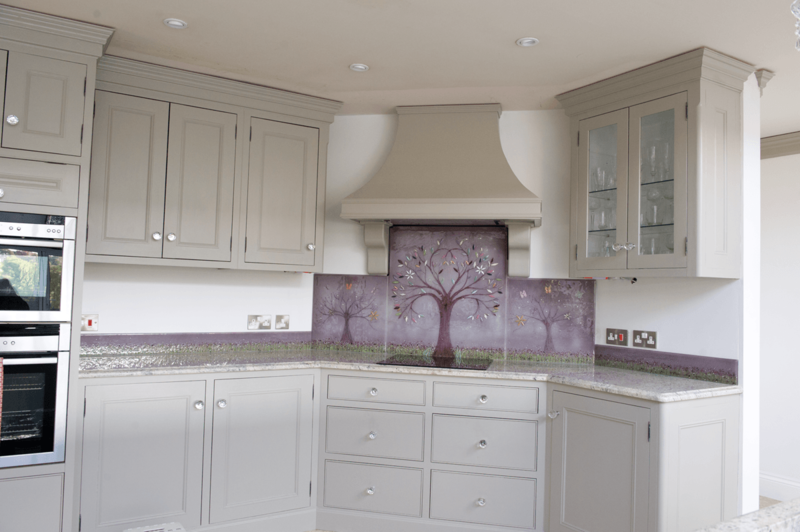 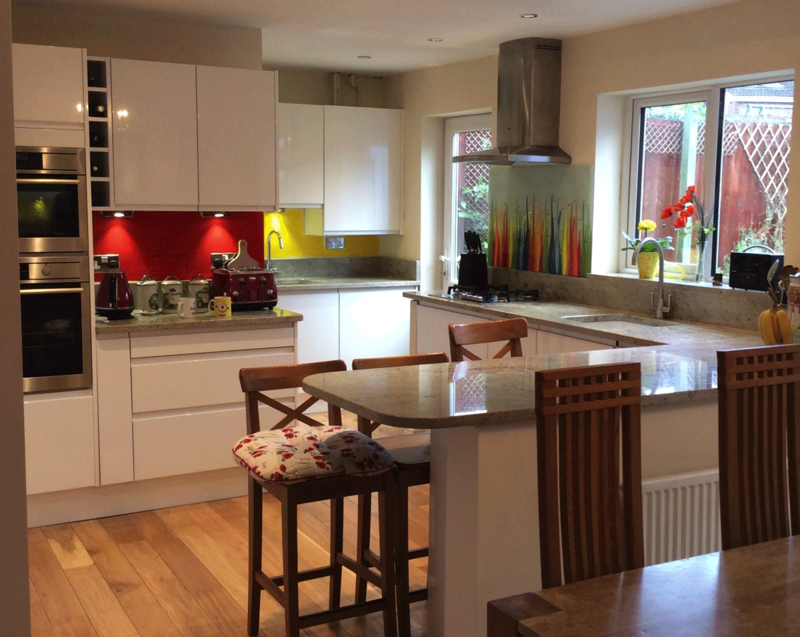 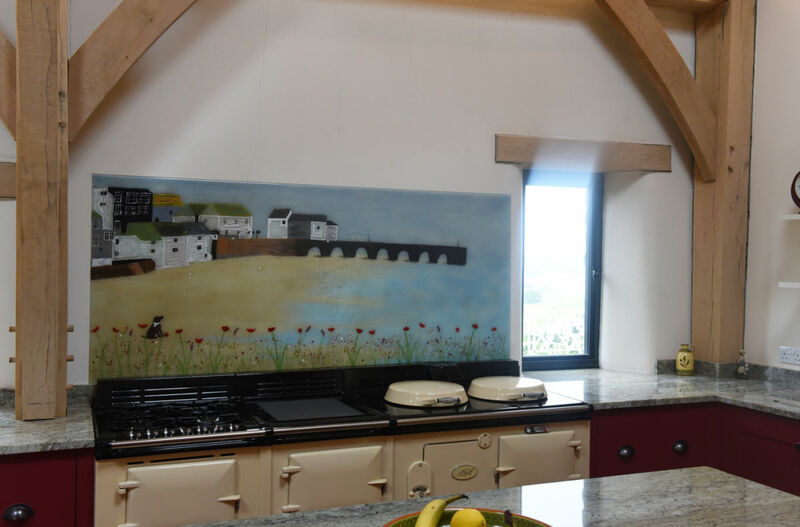 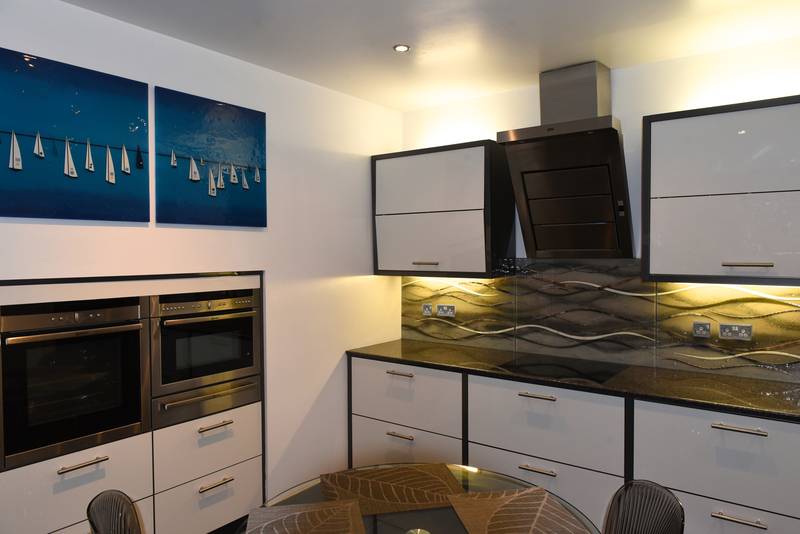 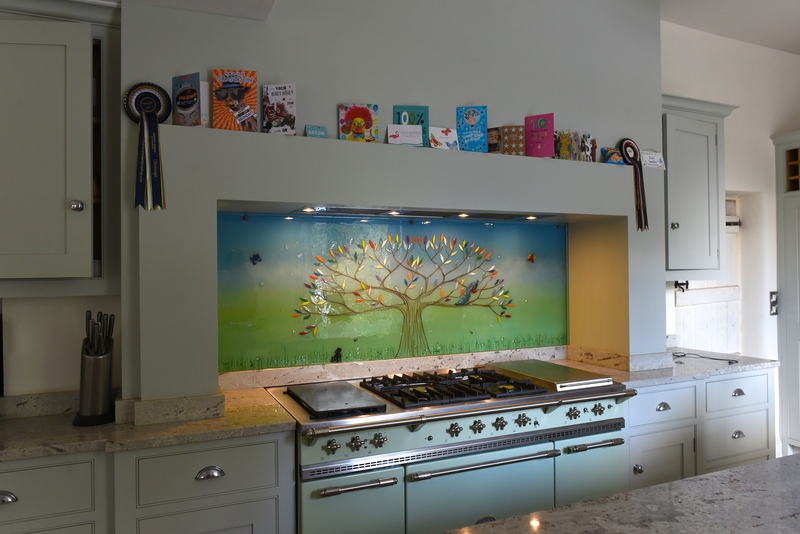 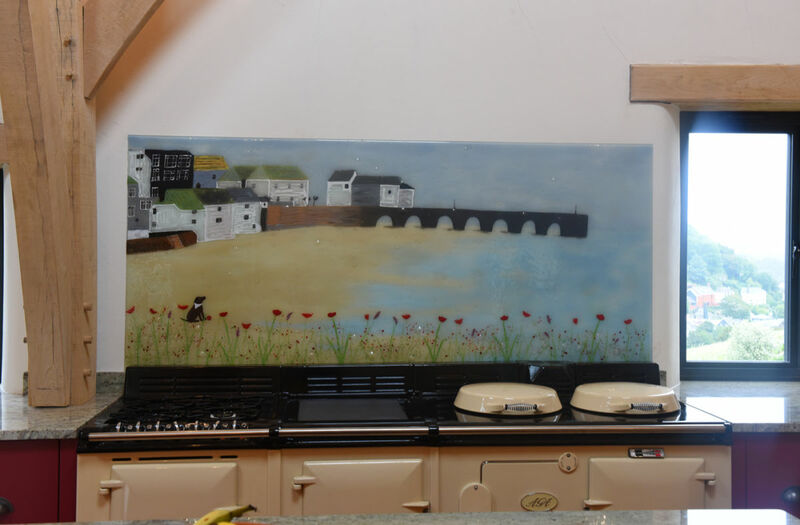 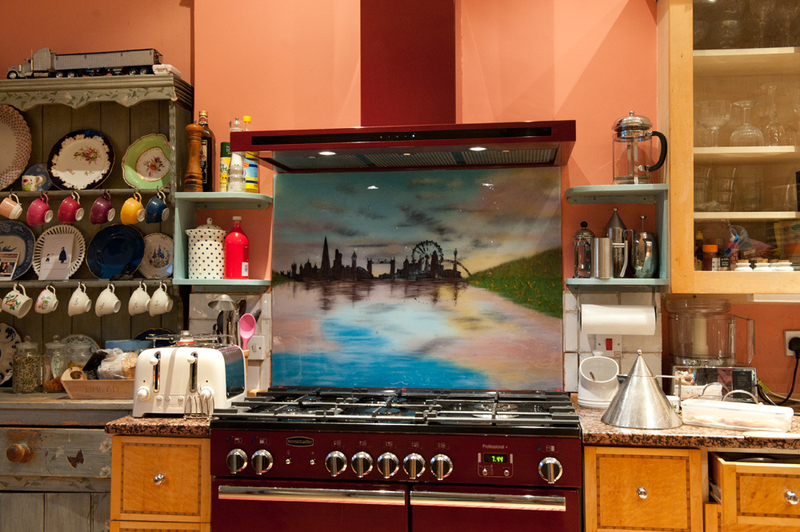 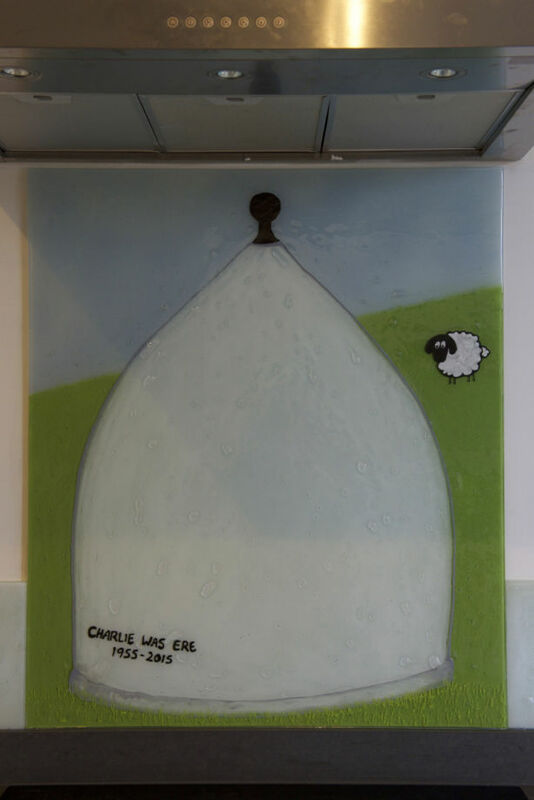 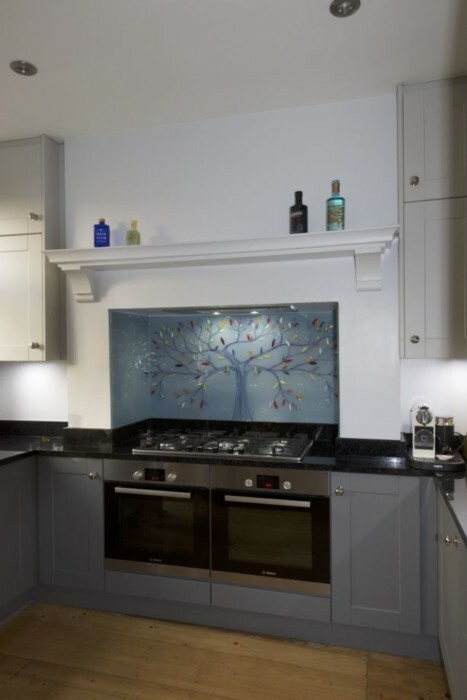 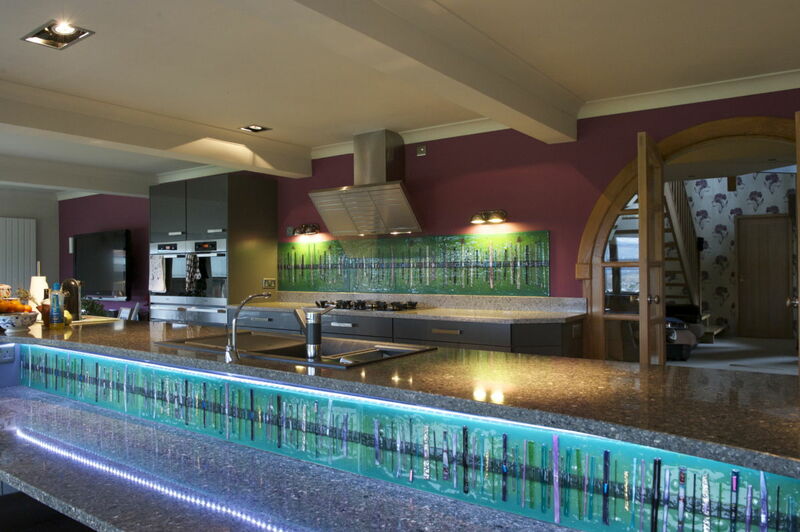 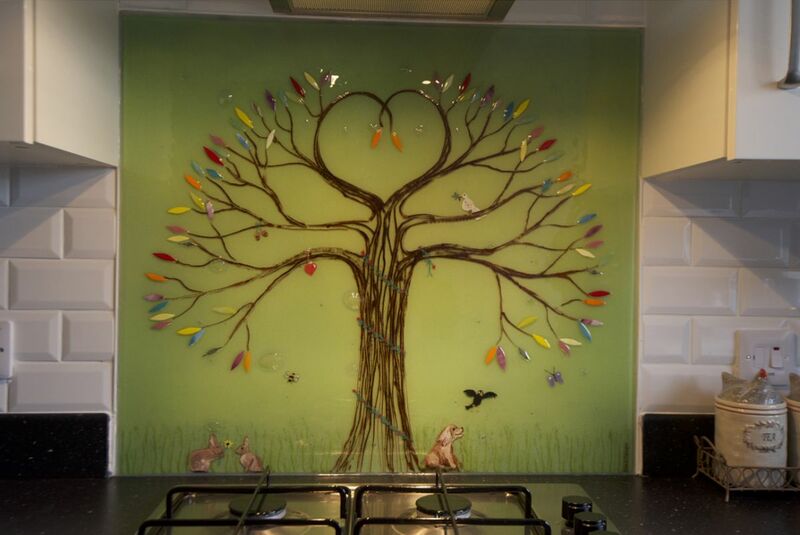 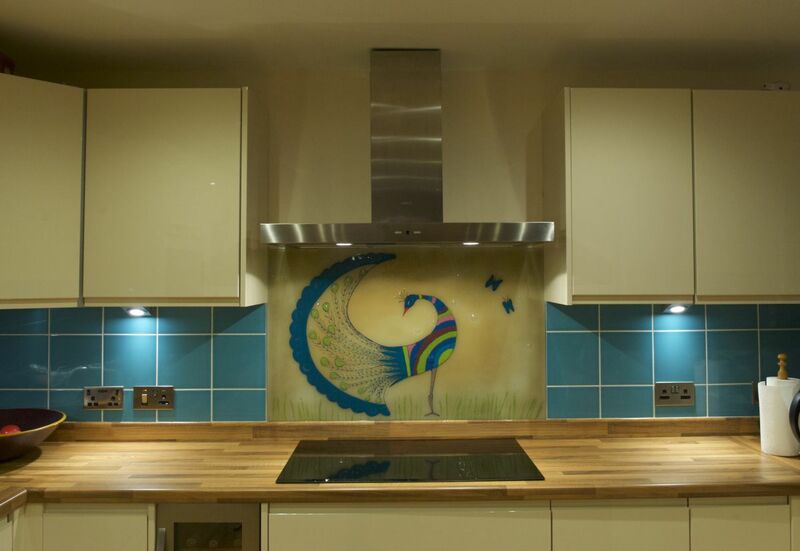 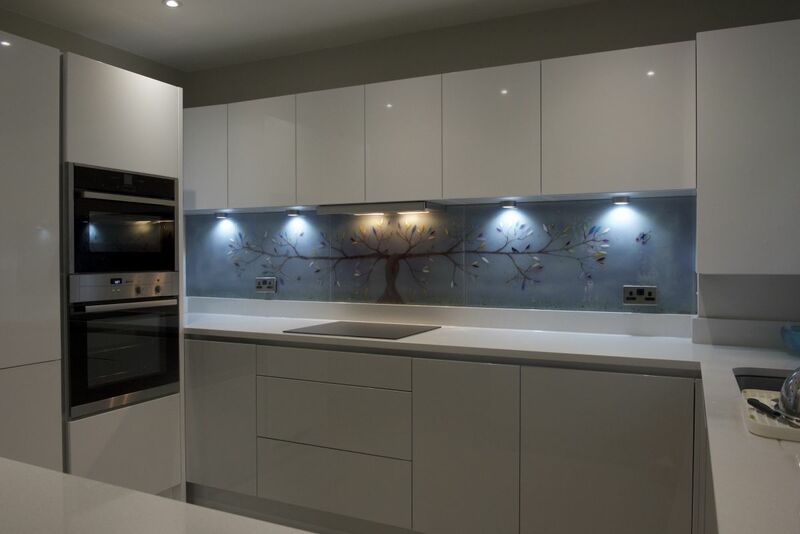 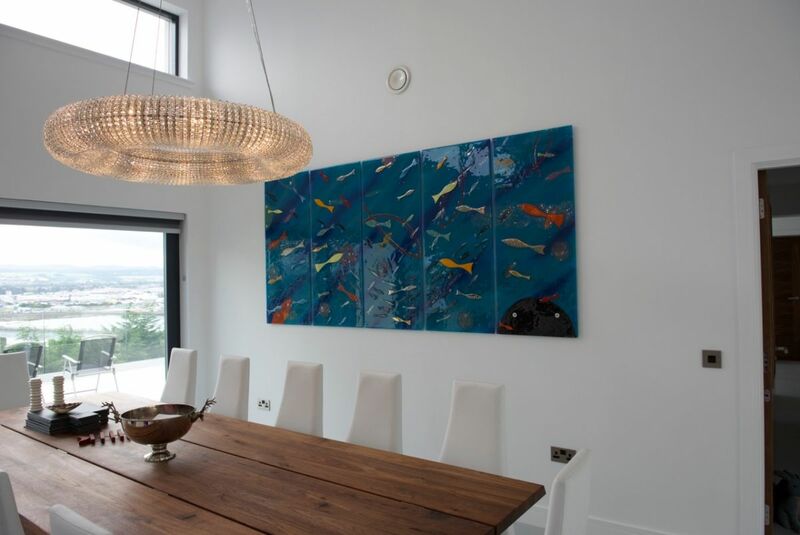 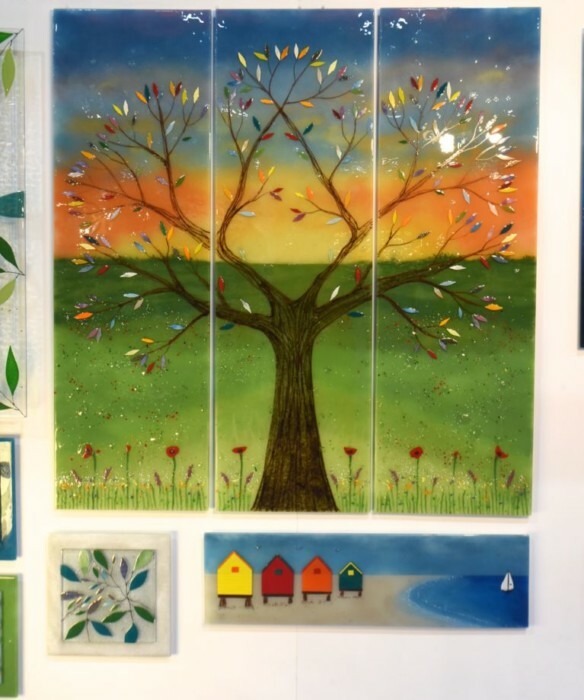 Once you’ve picked out the perfect space for your fused glass art to go, such as a blank wall or the ever popular space behind the cooker, we recommend thinking about what kind of art you like most. 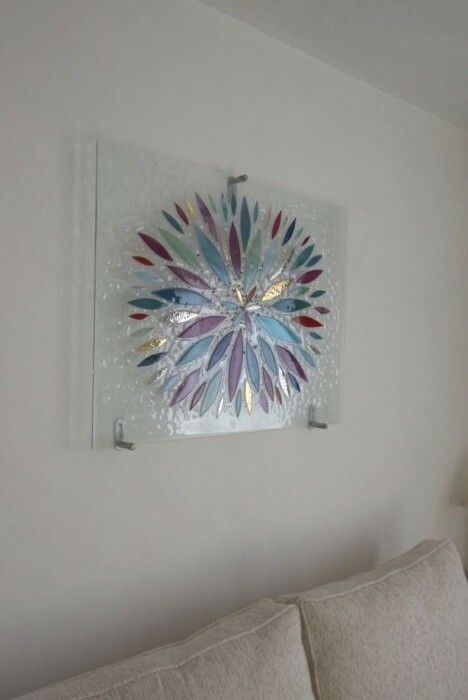 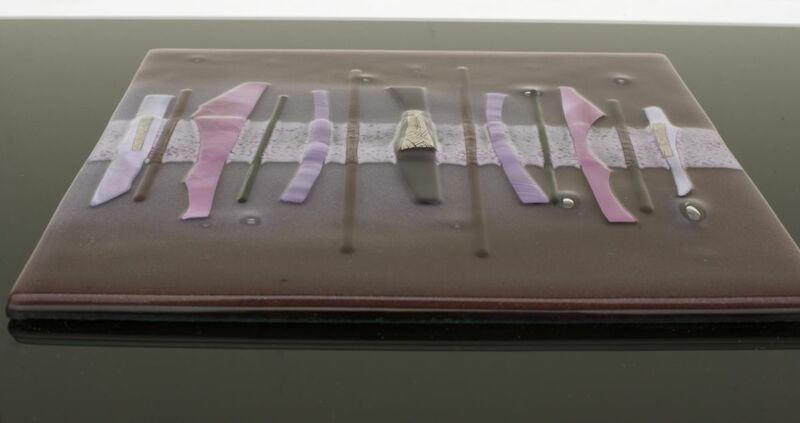 That’s a must for buying any kind of art or decoration, of course, but there are so many combinations and variations of fused glass art that it helps to narrow it down! 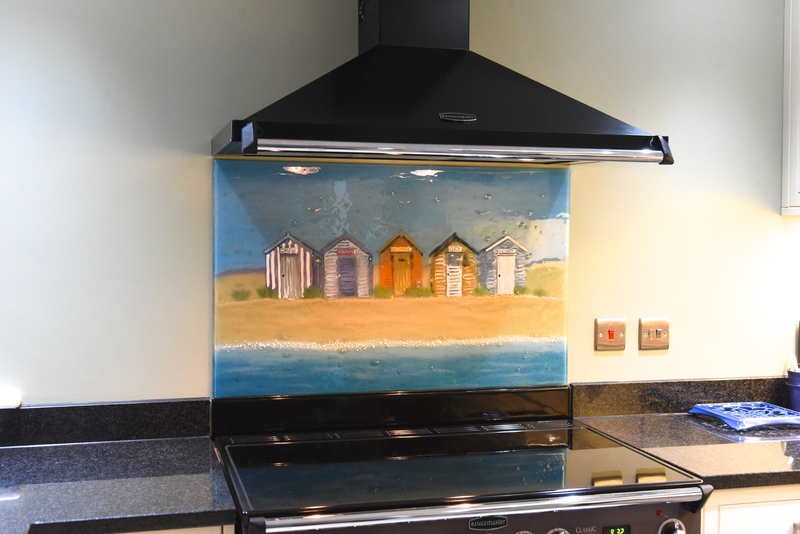 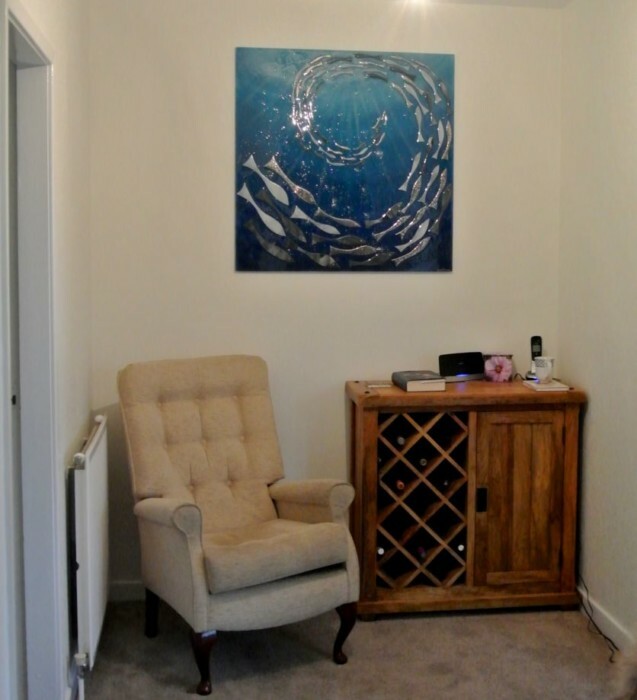 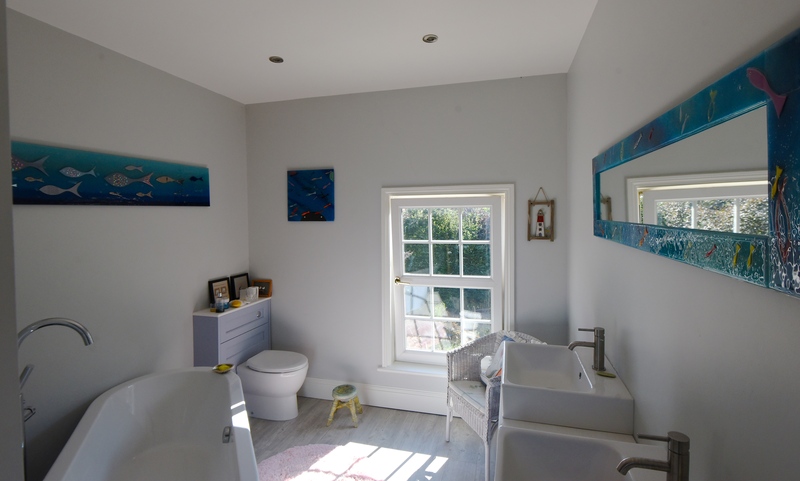 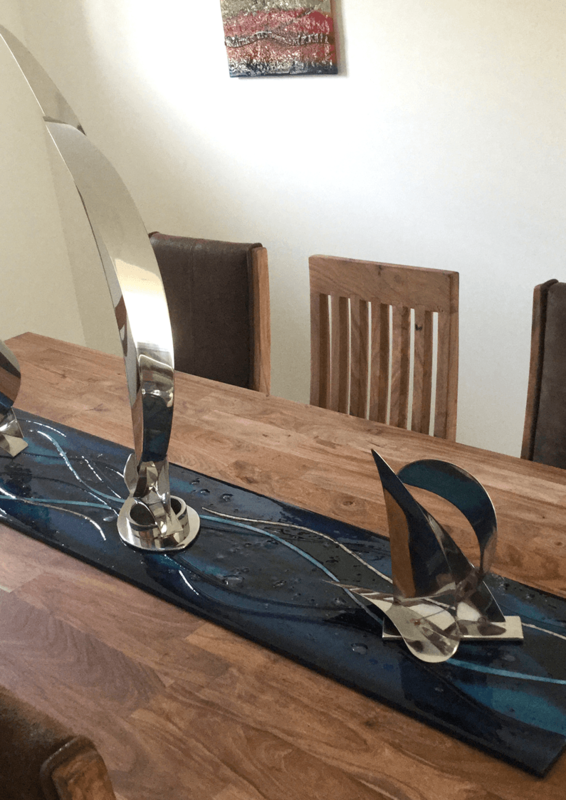 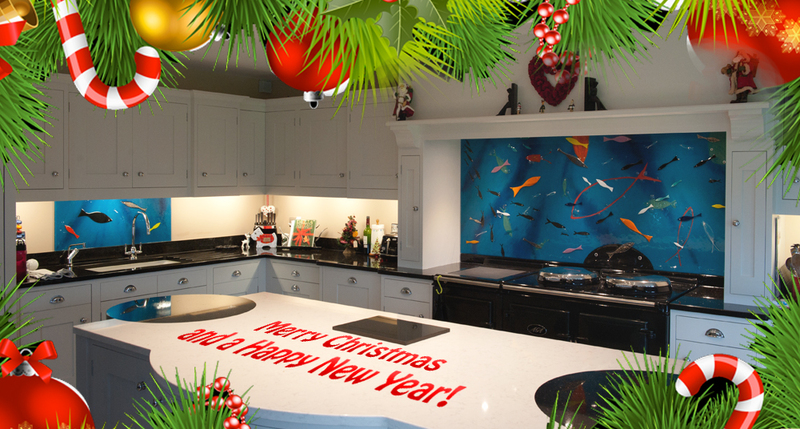 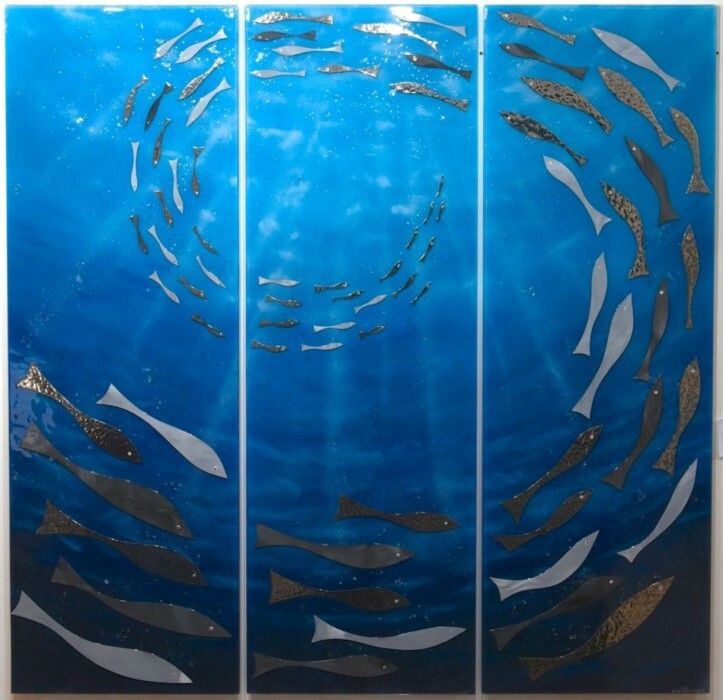 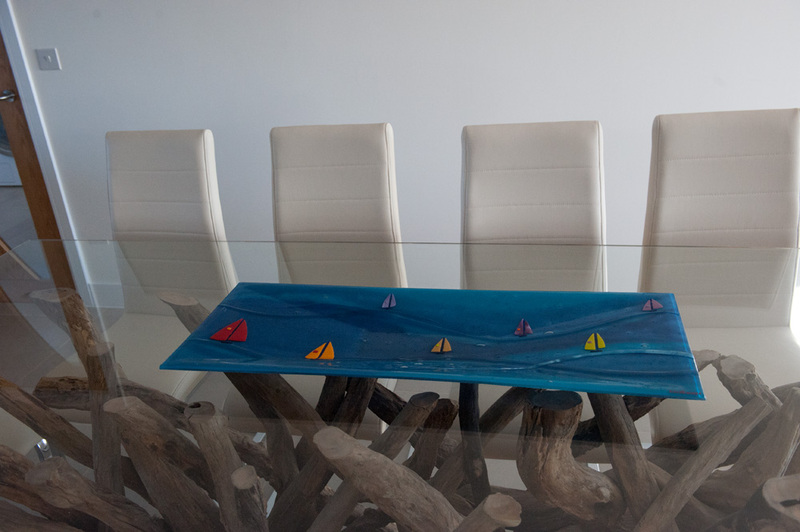 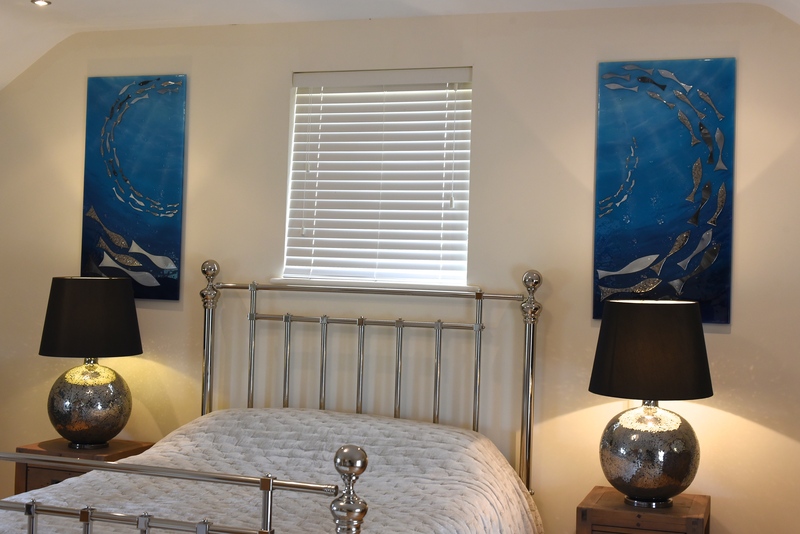 If you’ve been searching for beautiful, bespoke fused glass art that’s personalised and hand made just for you, then there’s no better match for you than the House of Ugly Fish. 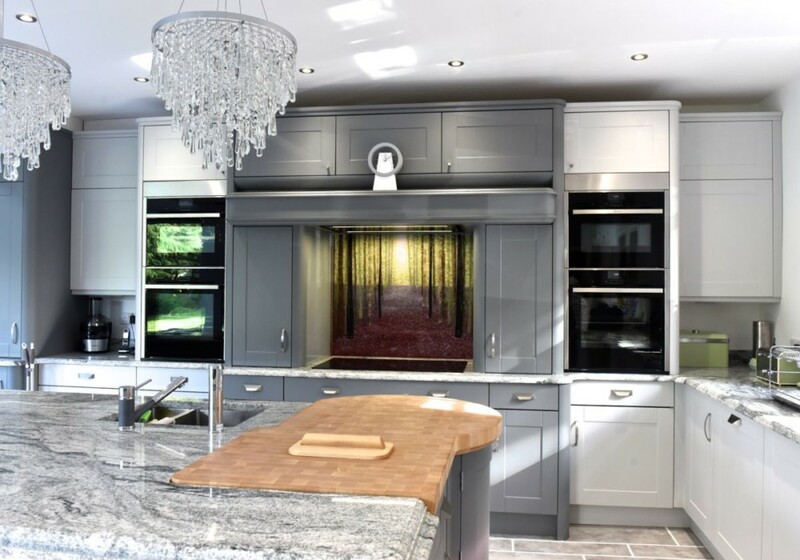 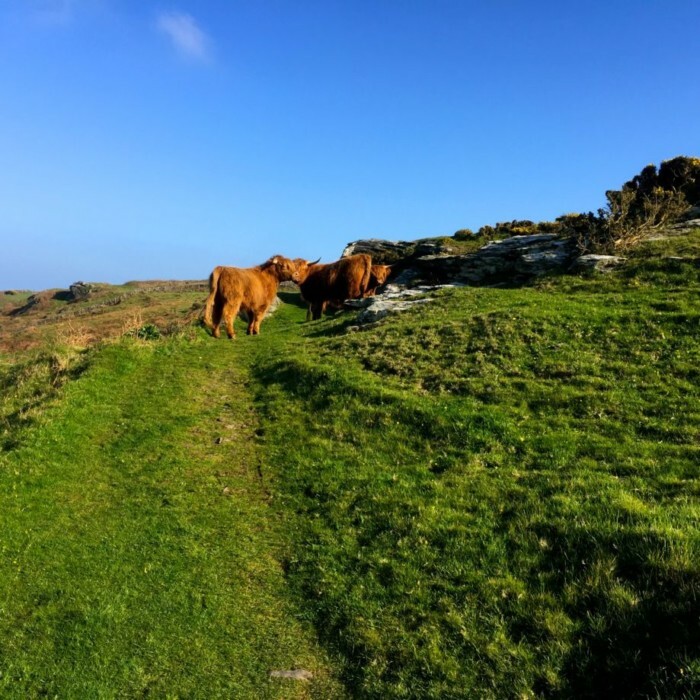 We’re always looking forward to hearing from customers both new and old, and we love bringing your ideas to life, so make sure you pick up the phone or drop us an email as soon as you can. 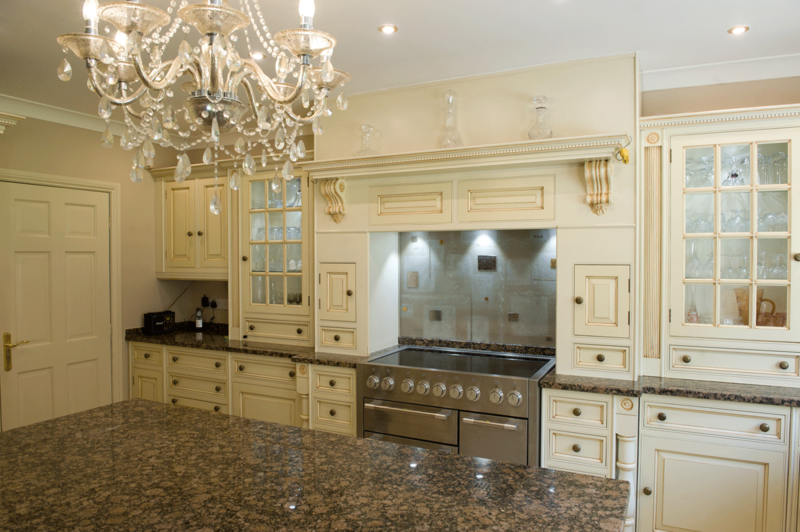 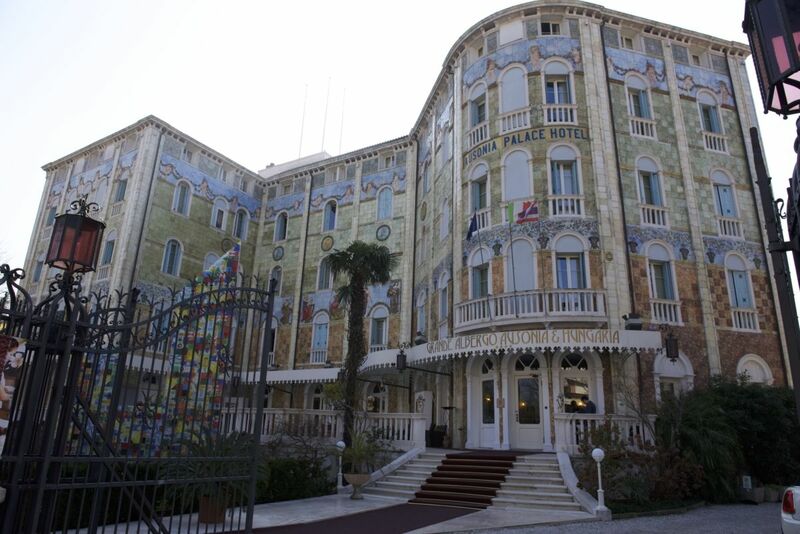 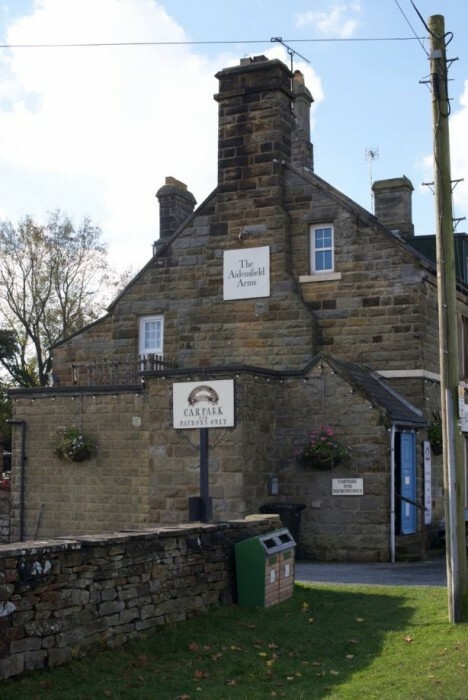 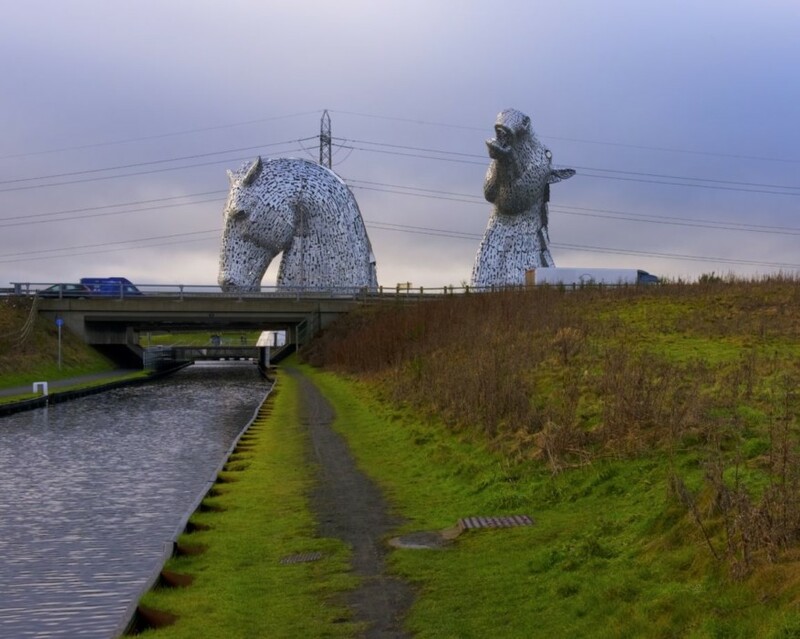 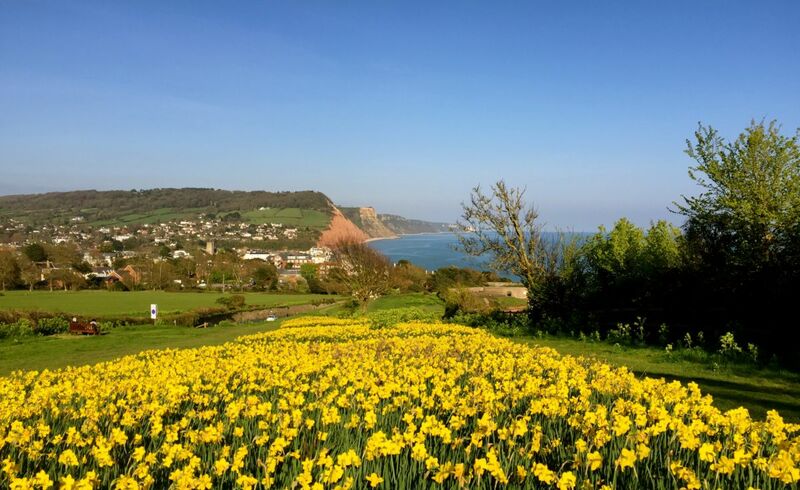 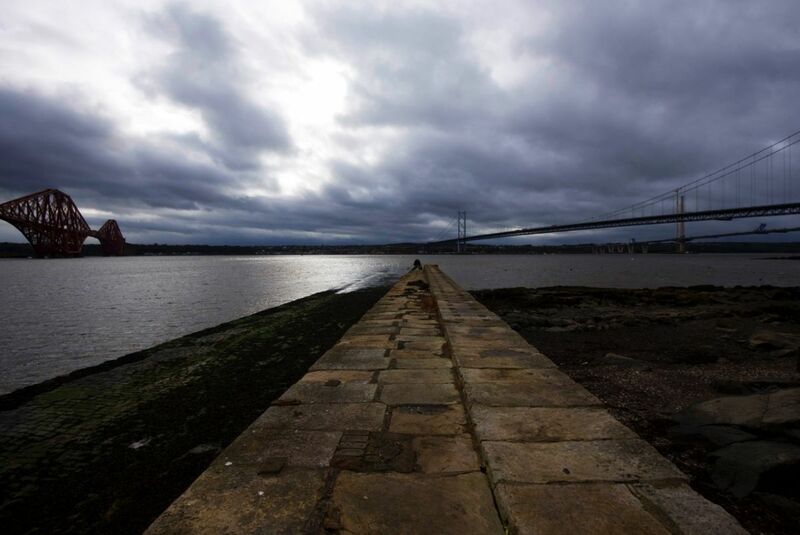 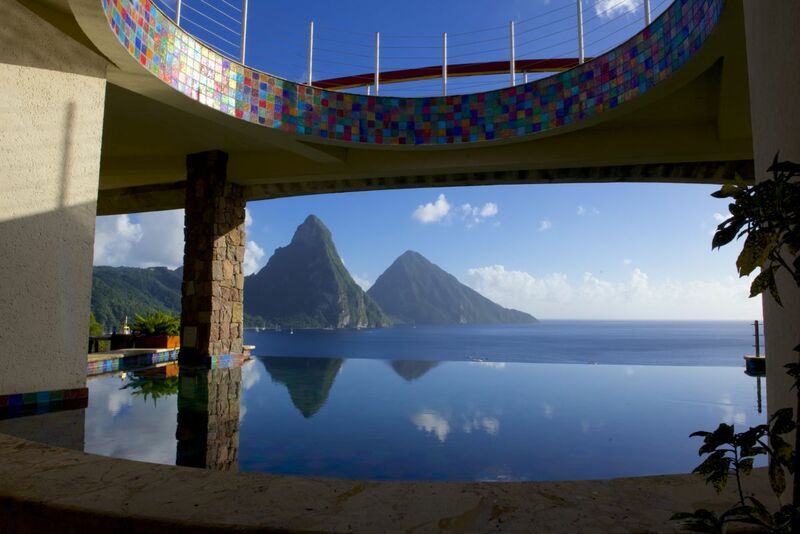 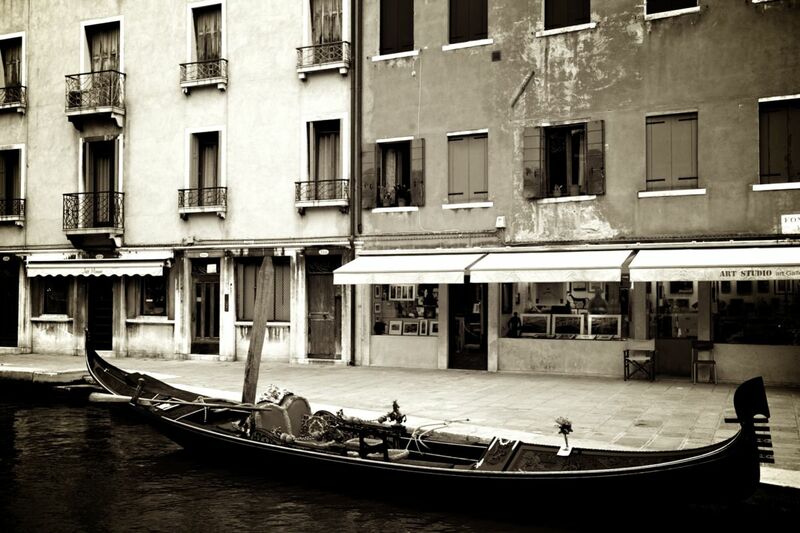 Our contact details can be found right here on our website. 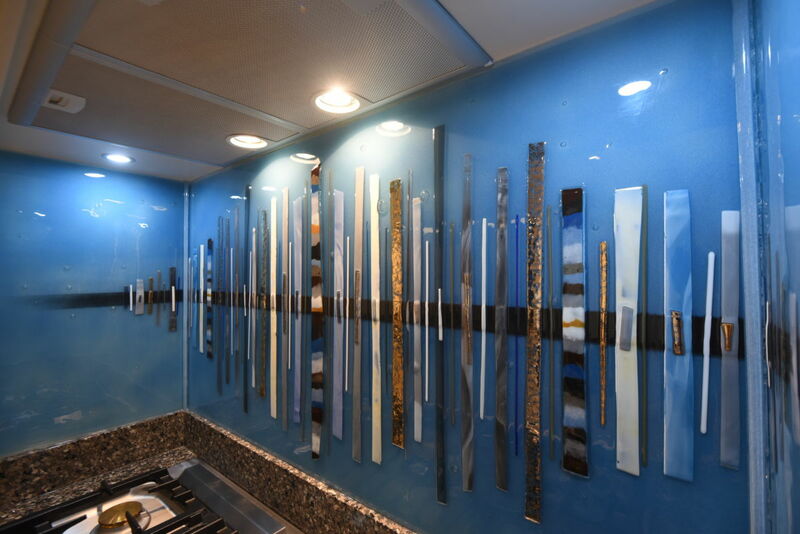 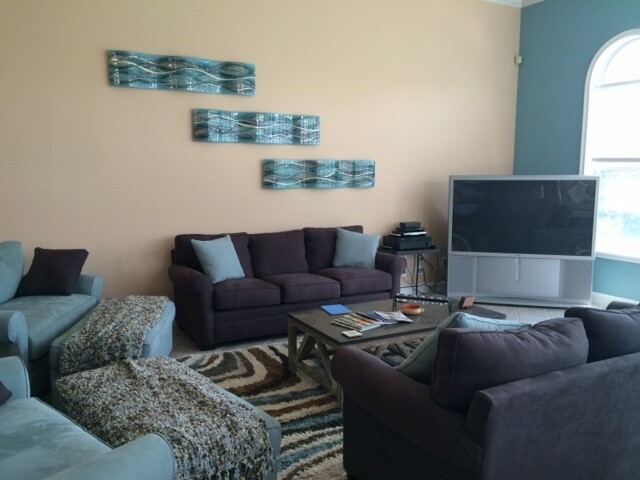 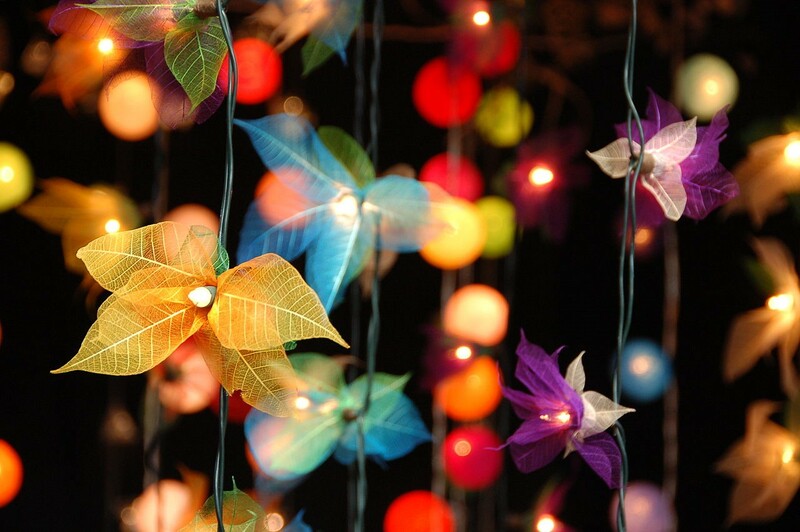 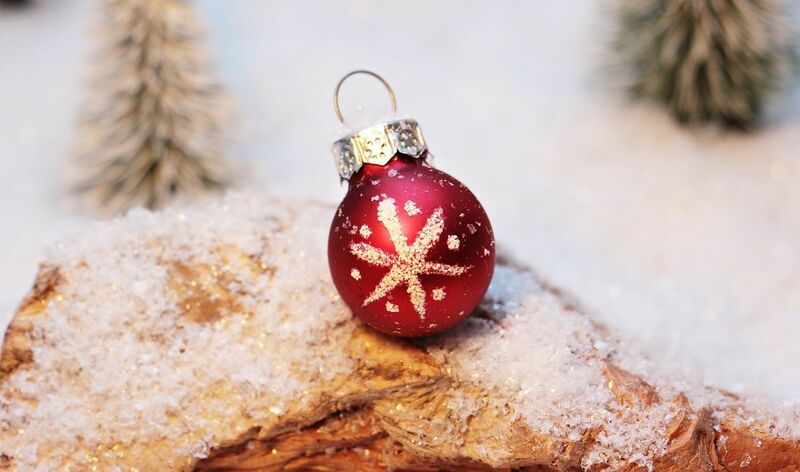 Let us create the perfect decoration for your home!